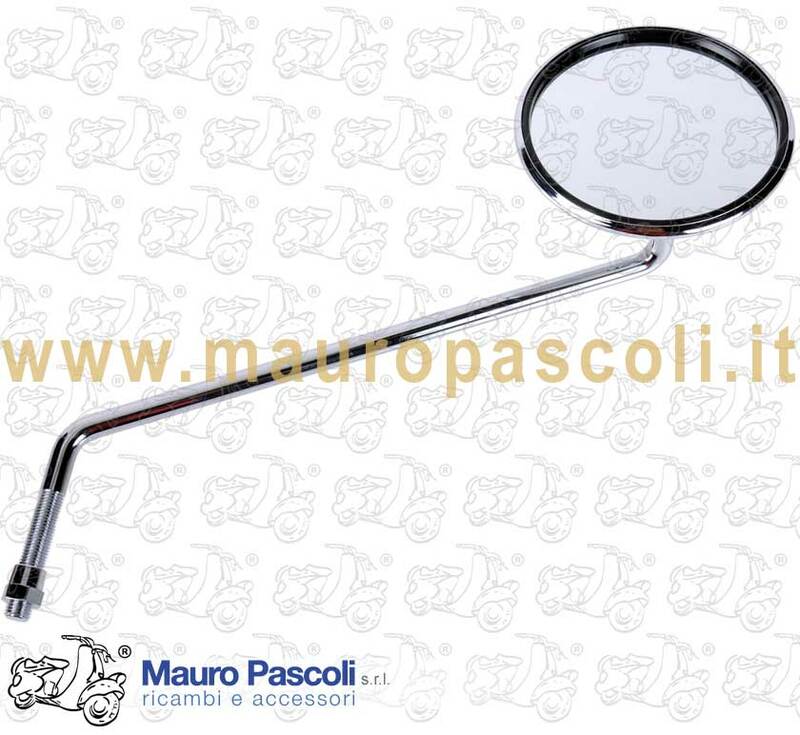 Compatibility: VESPA :125 T5. 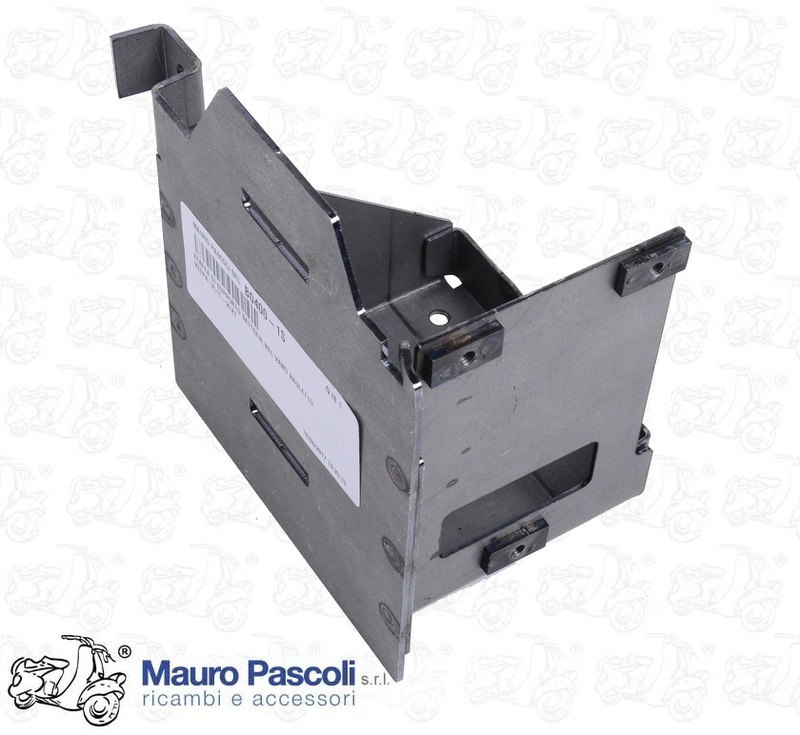 VNX5T CON MISCELATORE . 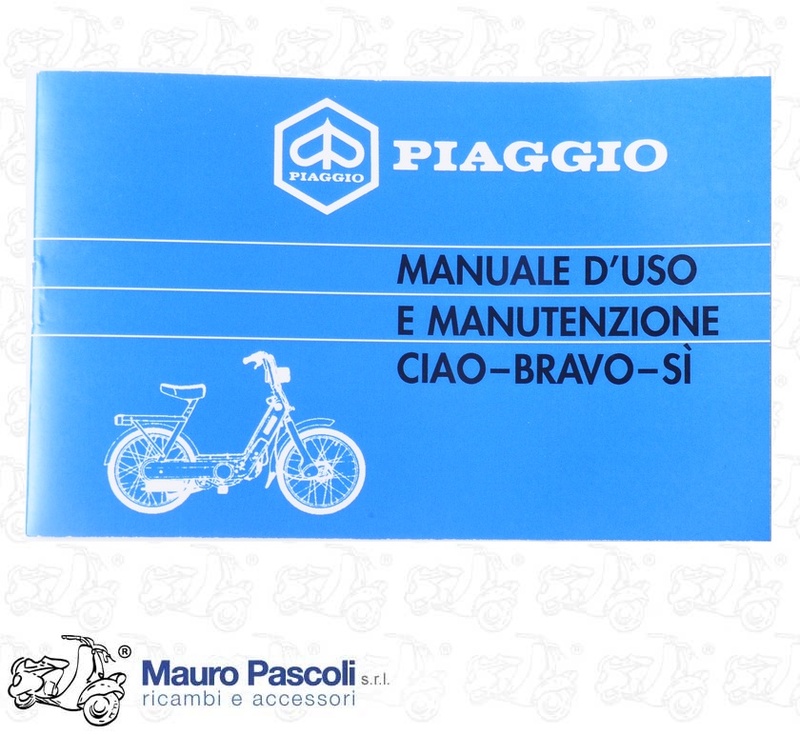 MANUALE PER STAZIONE DI SERVIZIO PIAGGIO. 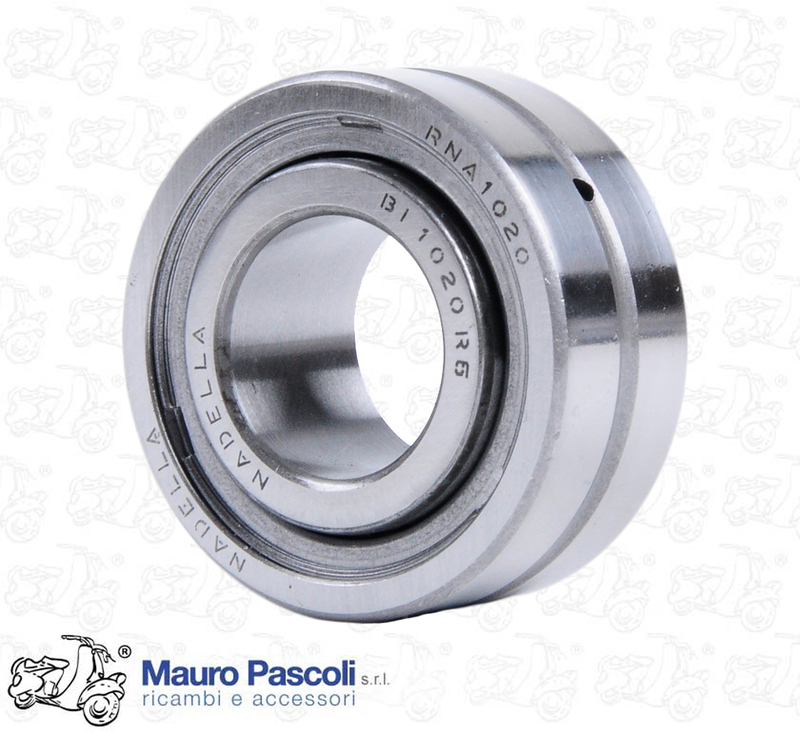 Compatibility: COSA : VNR1T - VNR2T - VLR1T - VLR2T - VSR1T. 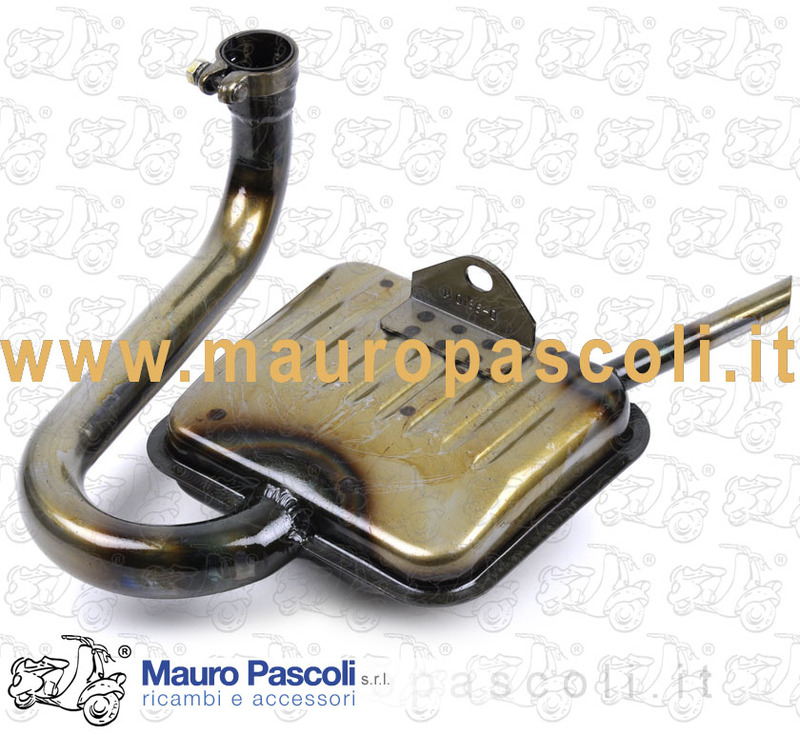 Compatibility: VESPA : PX 125 T5 - VNX5T - 200 RALLY - VSE1T 40654> - PX 200 E - VSX1T > ARCOBALENO . 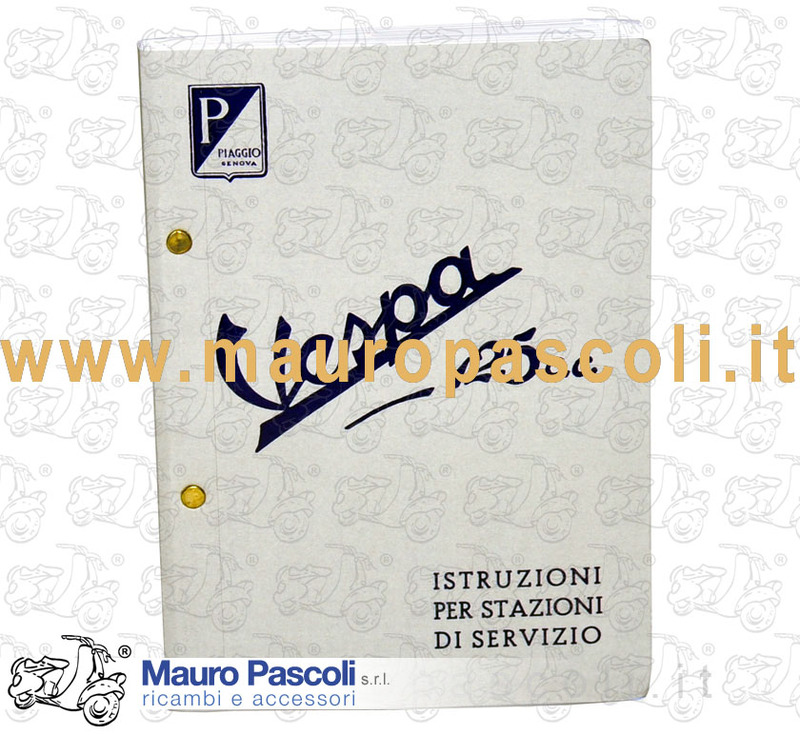 LIBRETTO USO E MANUTENZIONE . 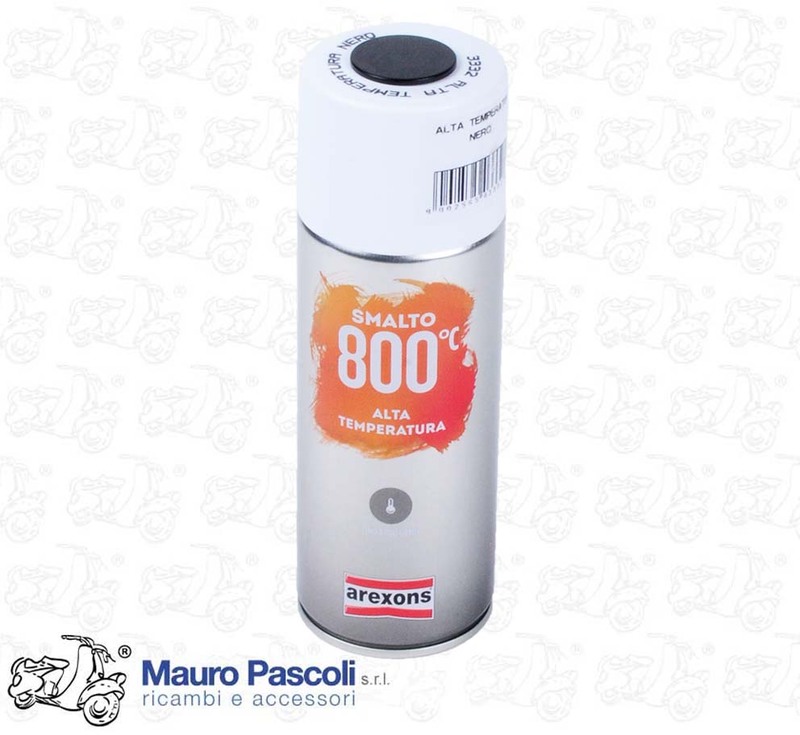 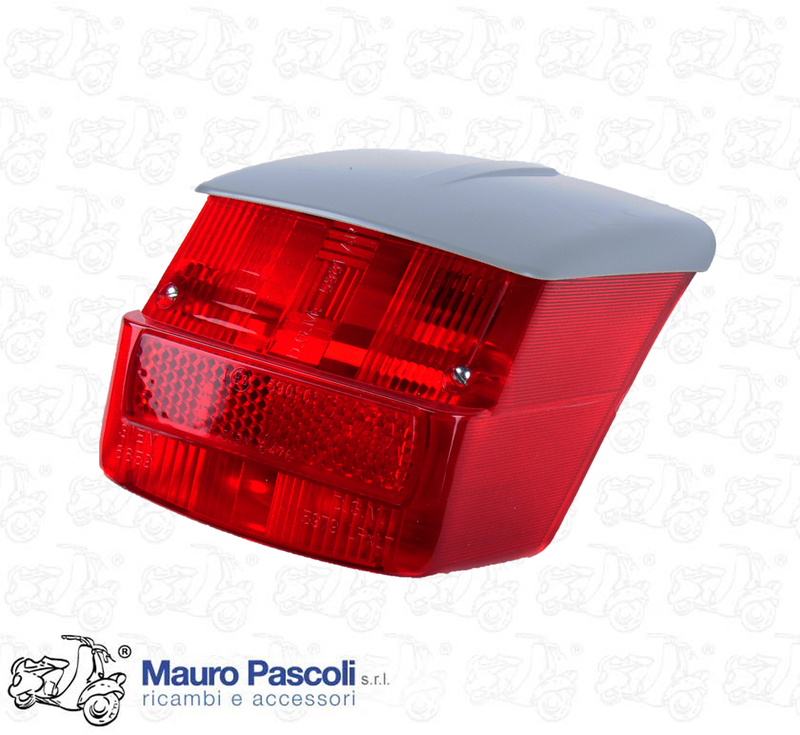 Compatibility: VESPA : PX 80 E ARCOBALENO -V8X1T> ARC. 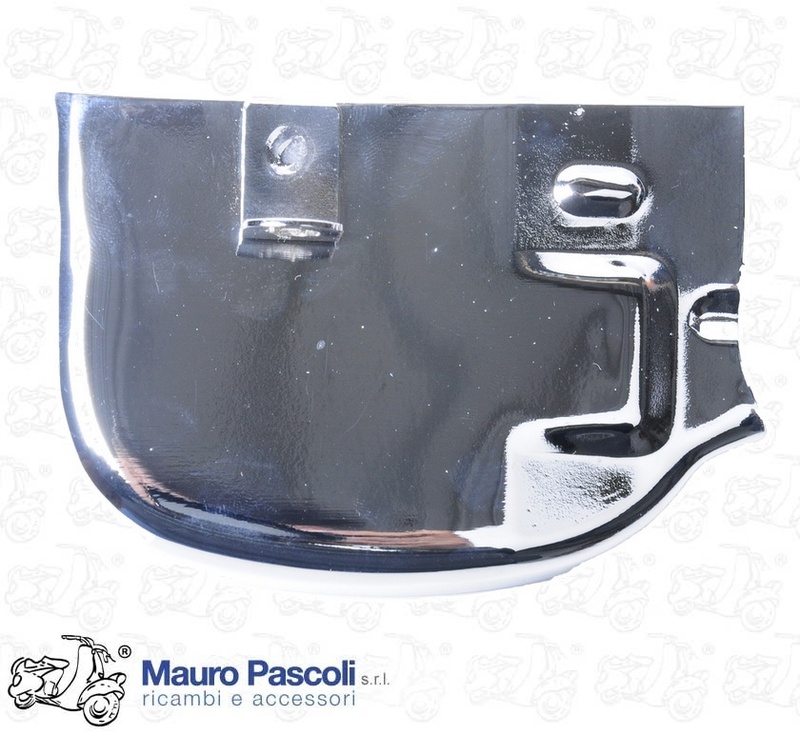 ELEST. 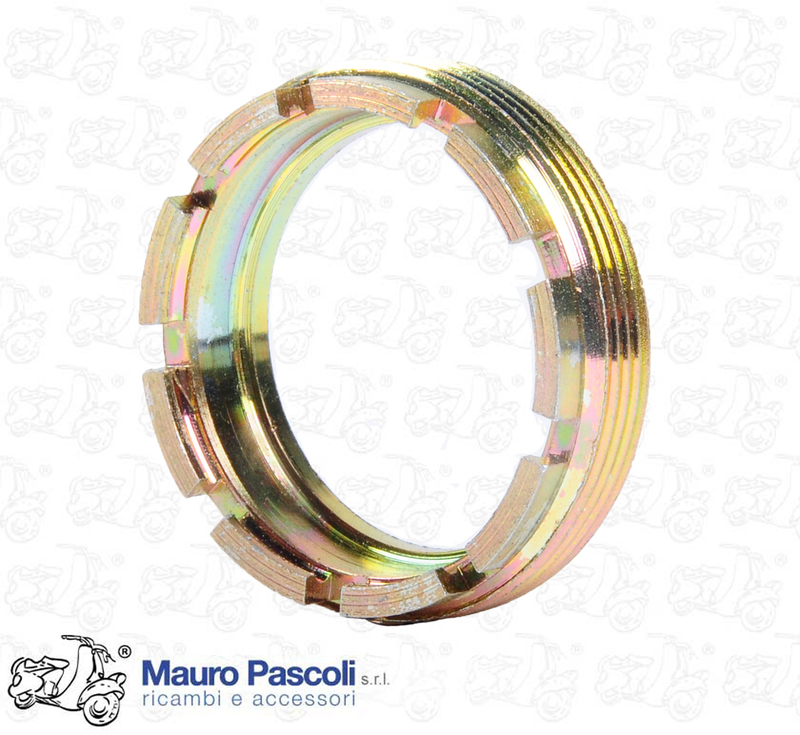 - PX 125 E ARCOBALENO- VNX2T>ARC. 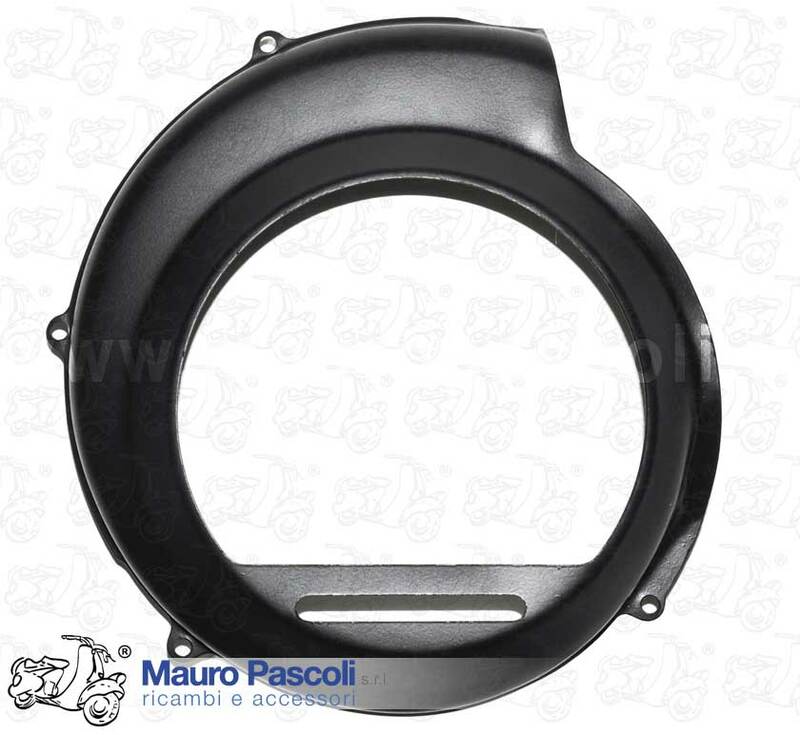 ELEST PX 150 E ARCOBALENO - VLX1T> ARC. 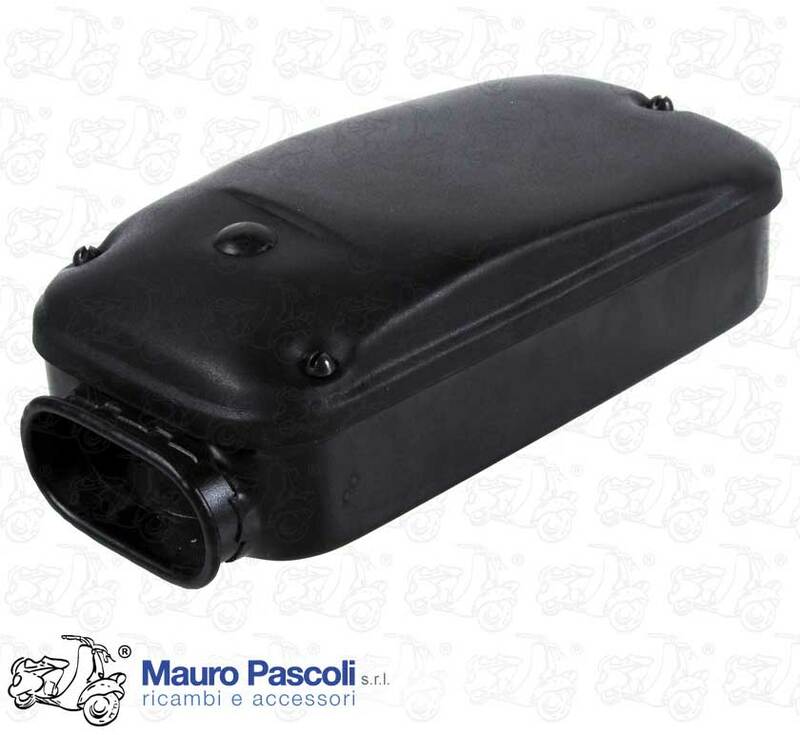 ELEST - PX 200 E ARCOBALENO - VSX1T . 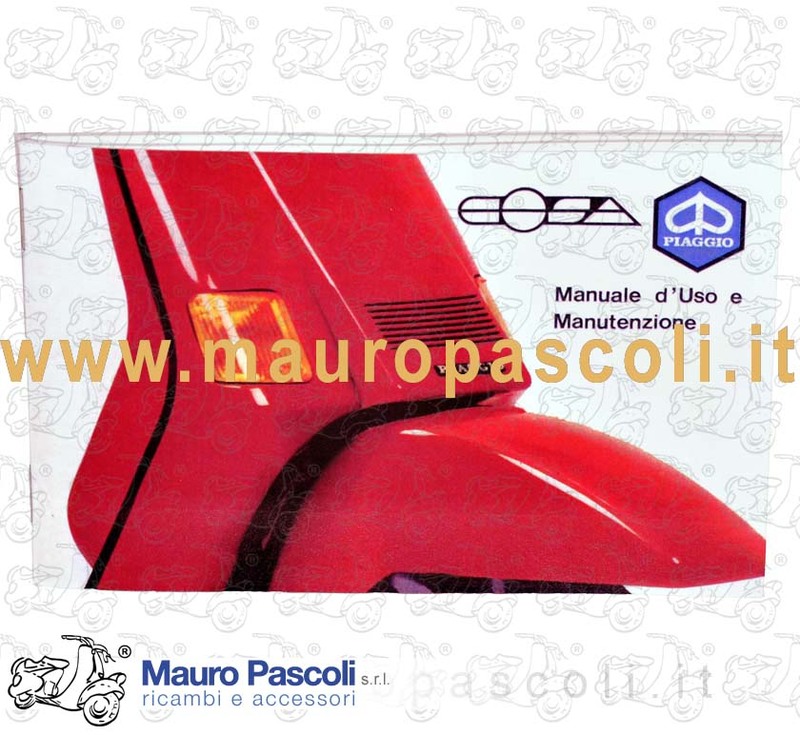 Compatibility: VESPA PX MILLENIUM DAL 2001> . 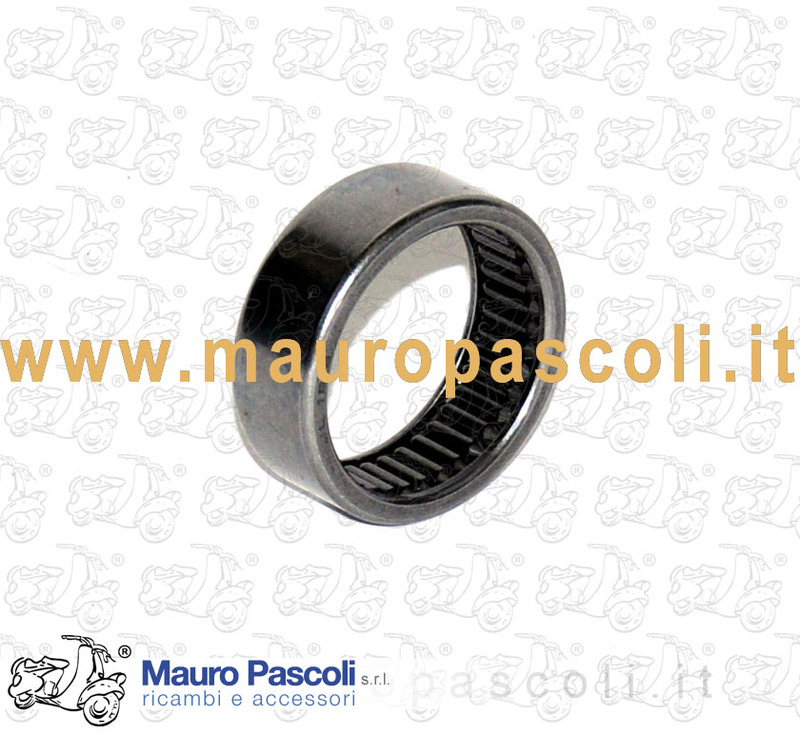 Compatibility: VESPA : V5SS1T>2T - V9SS1T>2T. 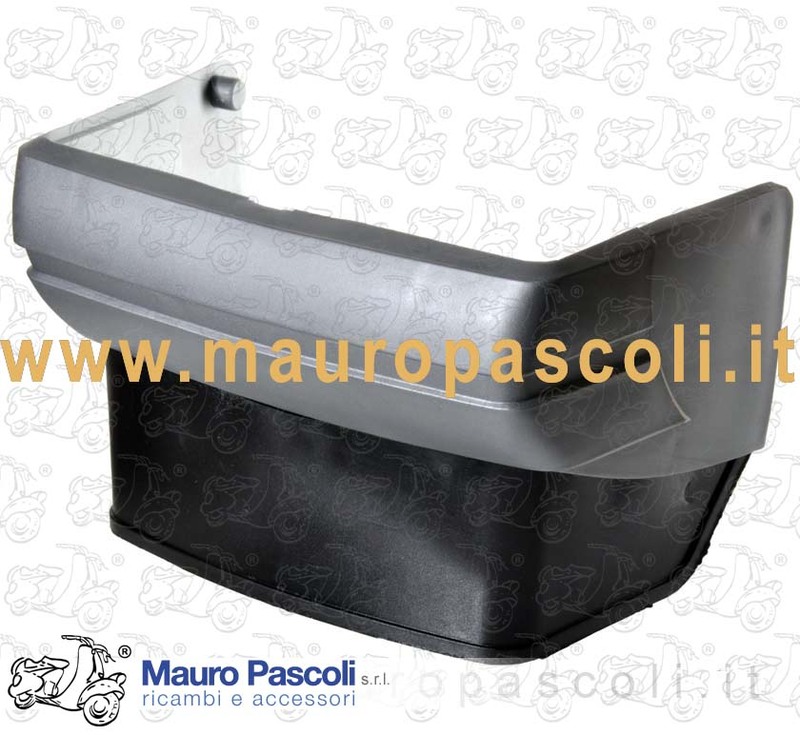 ADATTABILE : VESPA - V5X5T - V5N1T>2T - V5P1T>2T. 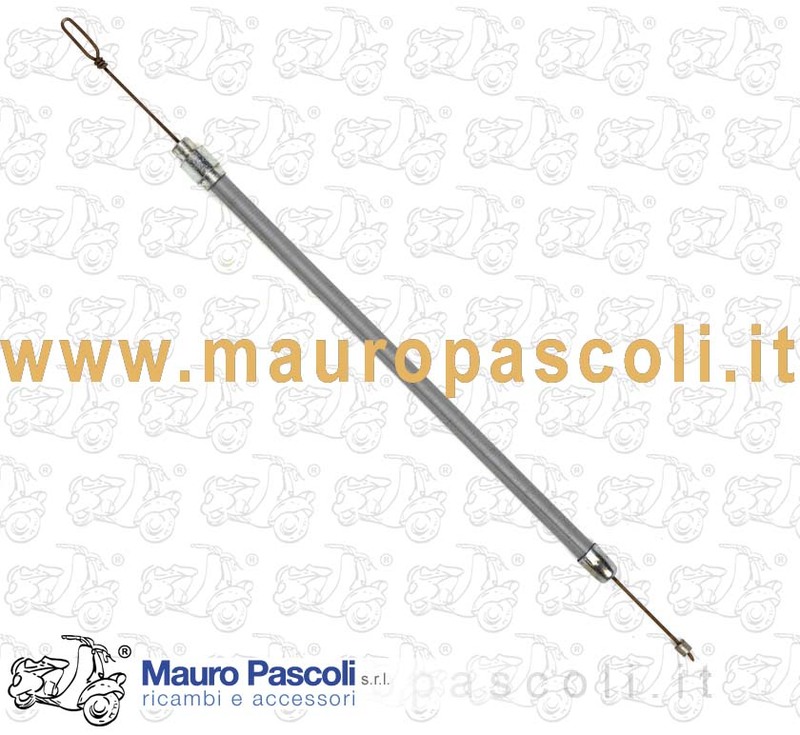 Compatibility: COSA 2 : VNR2T - VLR2T - VSR1T. 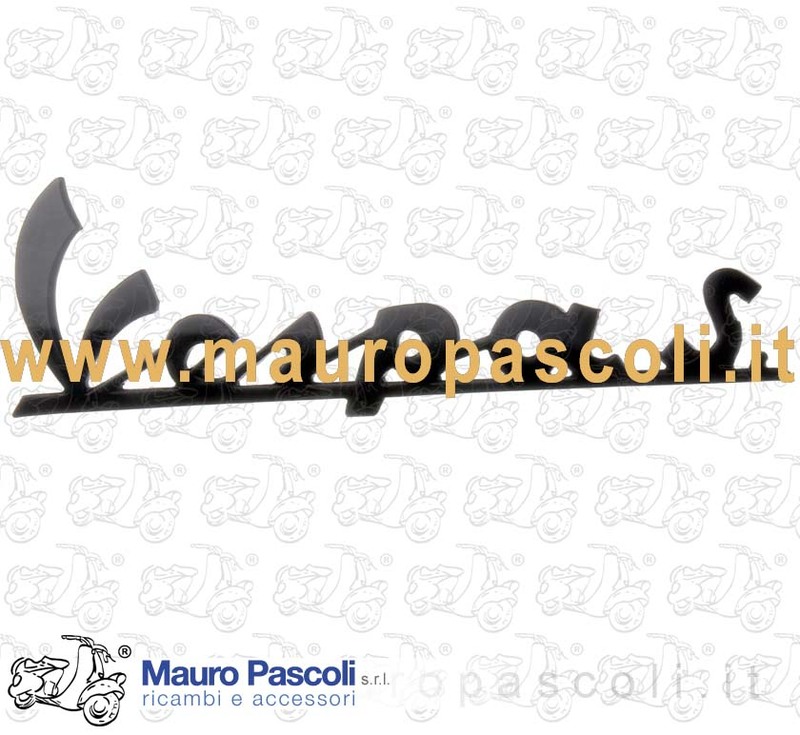 Compatibility: VESPA : 125 .VNX1T - 150 .VLX1T, MODELLI CON IMPIANTO CON FRECCE . 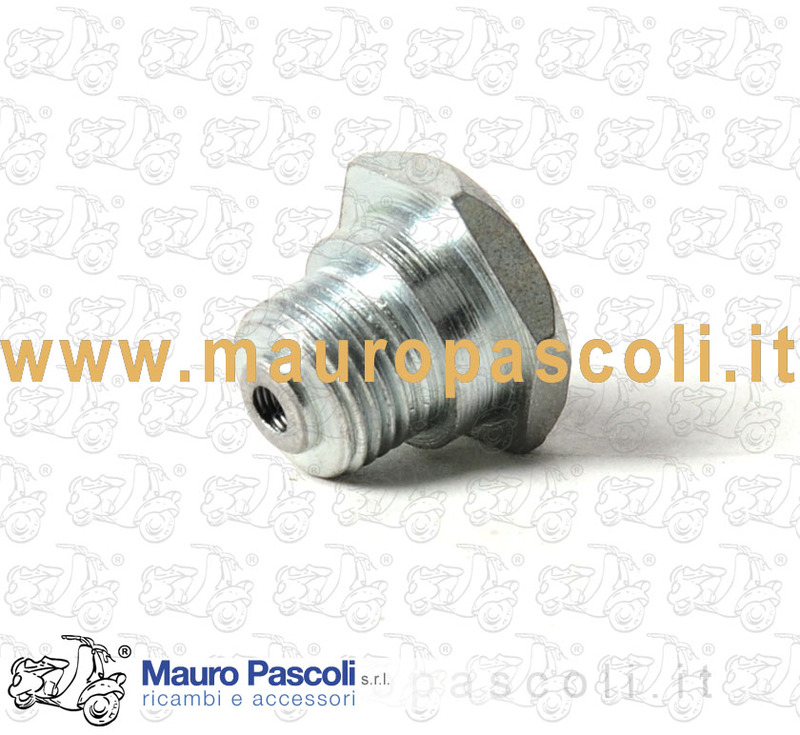 Compatibility: VESPA : VNL3T - VSB1T - VSC1T - VSD1T - VSE1T,E MODELLI ESPORTAZIONE. 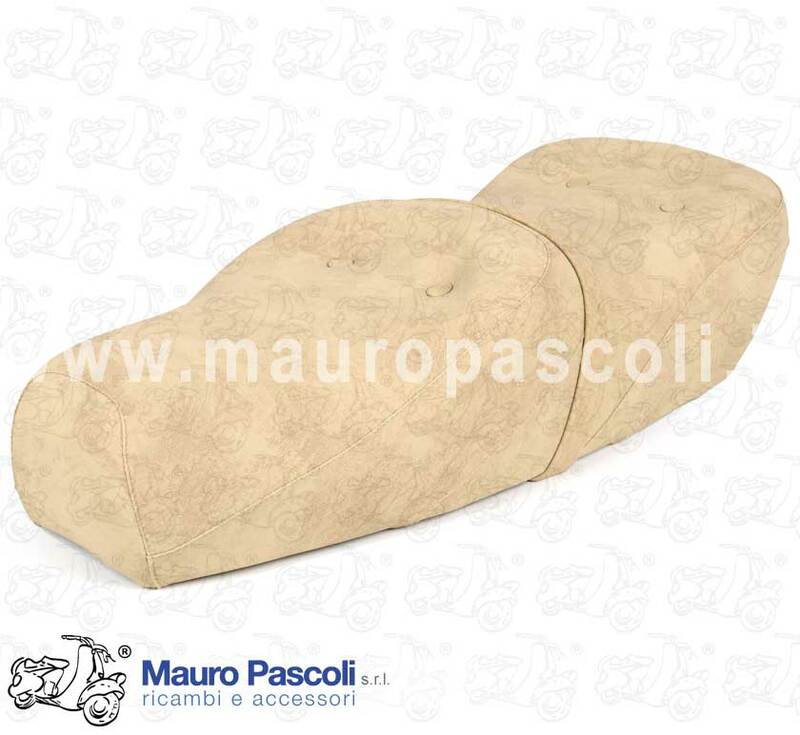 Compatibility: VESPA : 50 PK - V5X1T - 125 PK - V5X2T - VMX1T - VMX5T. 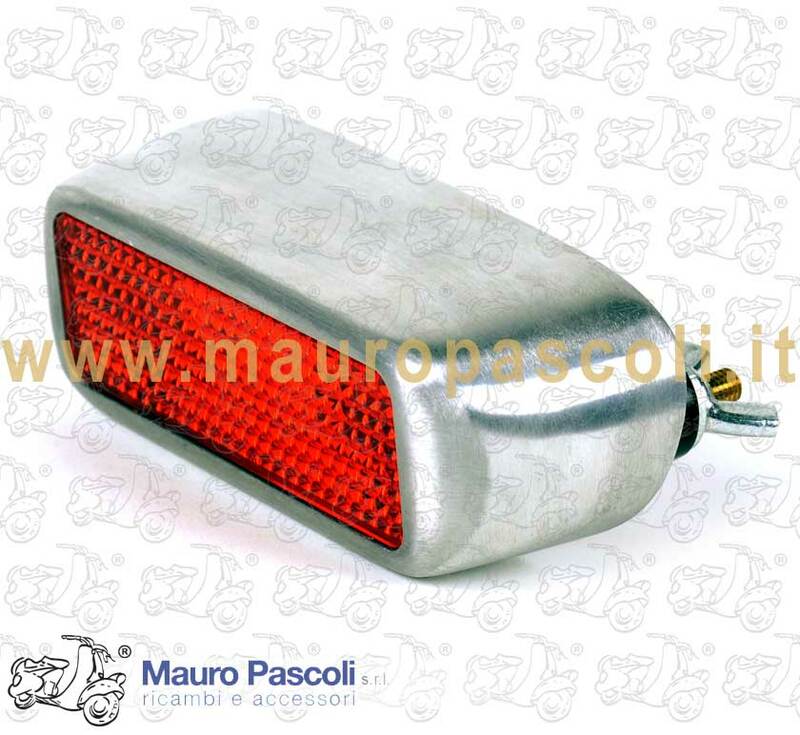 Compatibility: VESPA : 80 .V8X1T - 125 .VNX2T - 150 .VLX1T - 200 .VSX1T- SOLO VERSIONE ARCOBALENO. 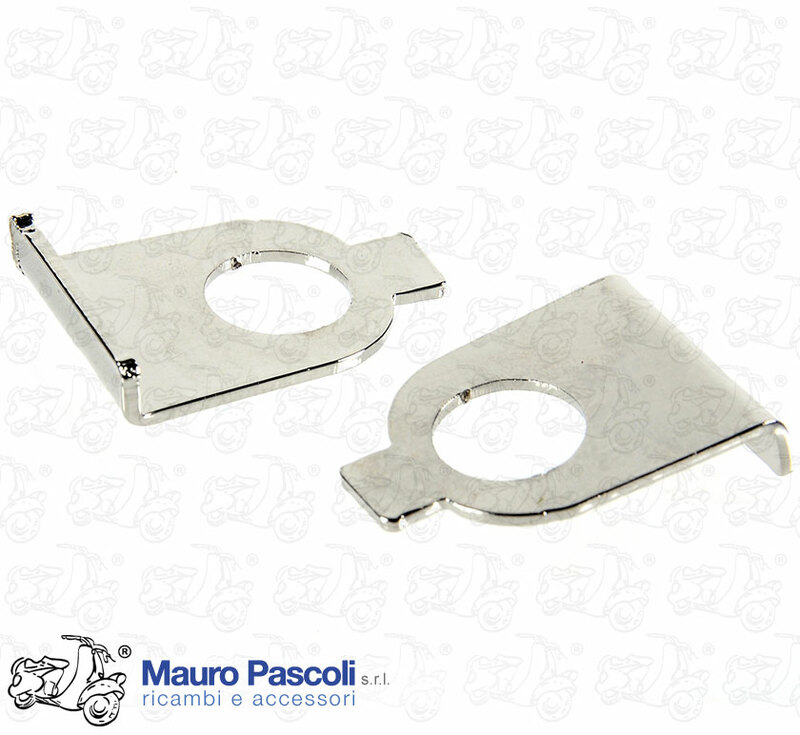 Compatibility: VESPA : VNX2T 8617> - VNX5T - VLX1T 359690> - VSX1T 115294> - APE : TL1T>6T. 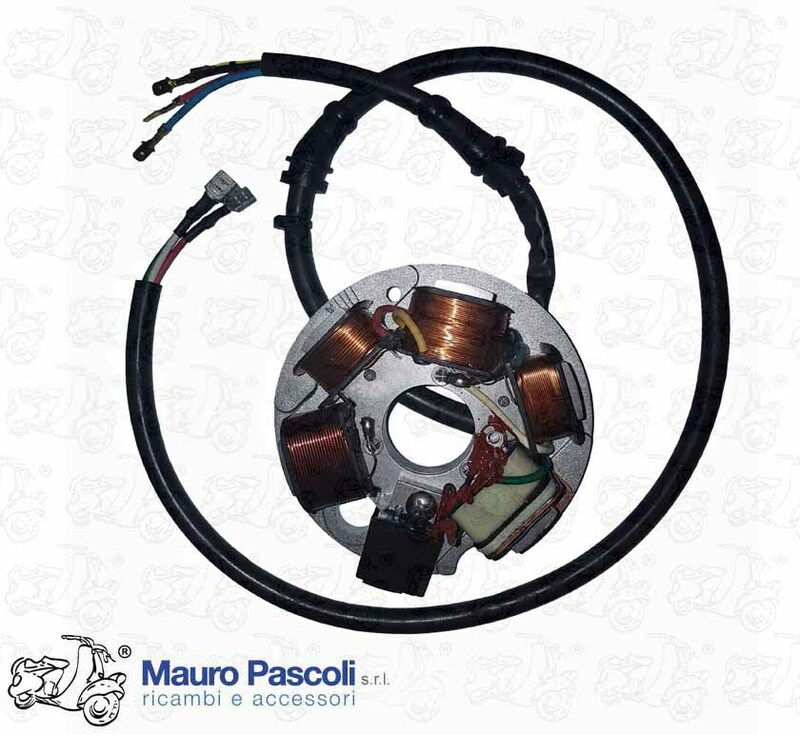 Compatibility: VESPA : 80 .V8X1T - 125 .VNX2T - 150 .VLX1T - 200 .VSX1T. 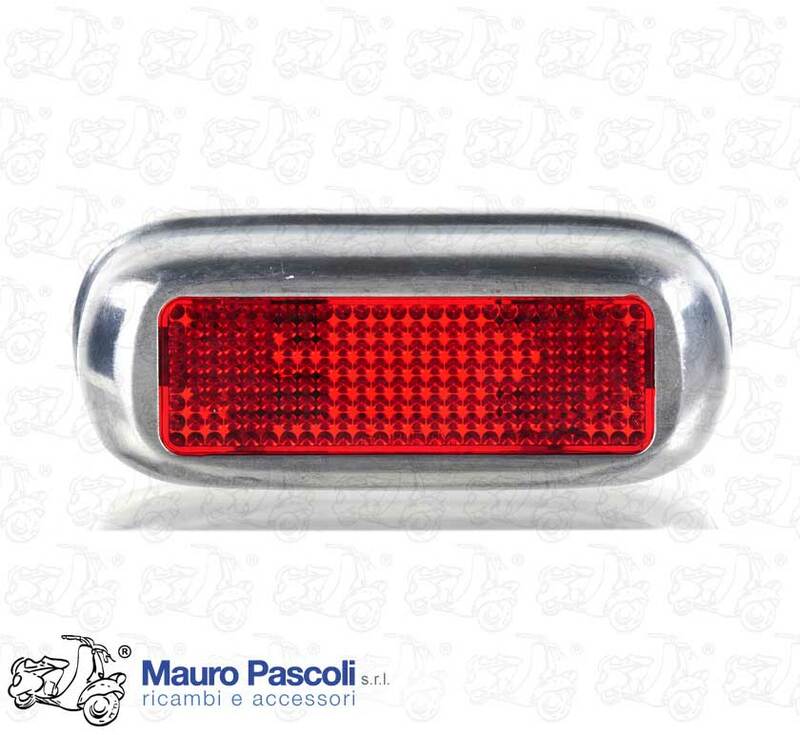 MODELLI VERSIONE ARCOBALENO . 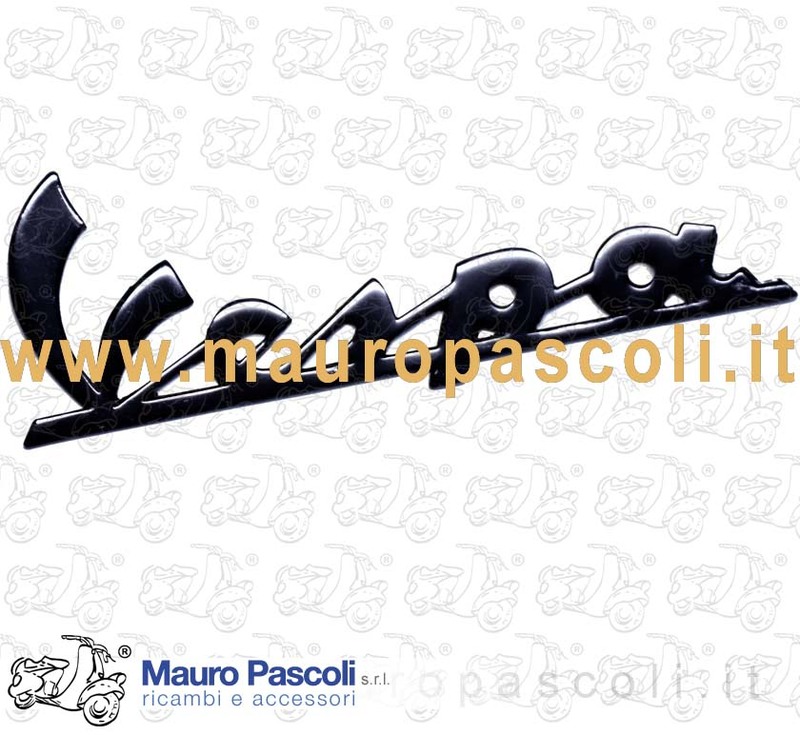 Compatibility: VESPA : V5A1T >78025 - V5SA1T >13023. 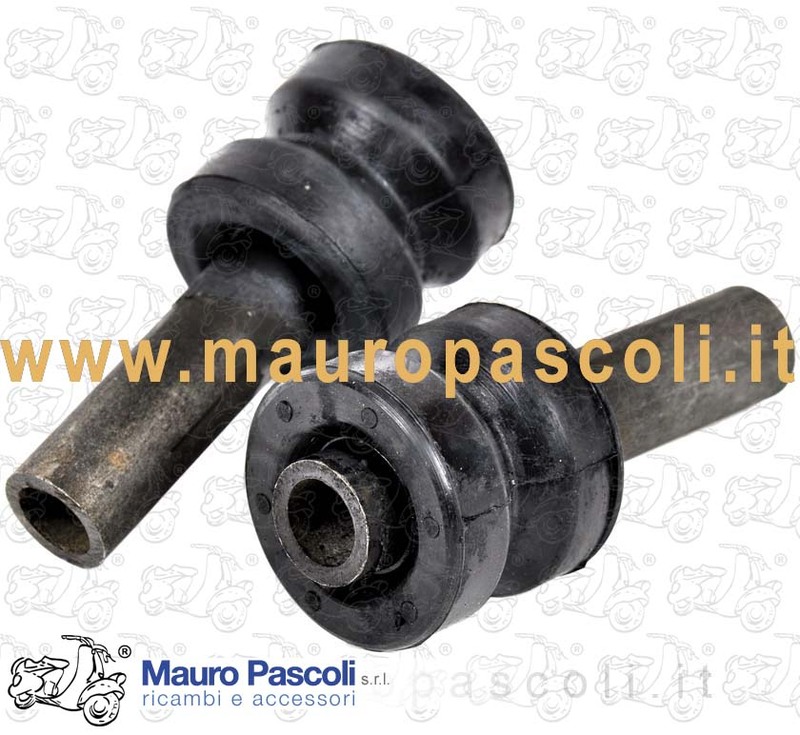 Compatibility: VESPA : V5A1T 881750>912751 - V5B3T 59440>211357 - V5B4T - V9A1T 117888>169000 - VMA2T 137025> 189099 - VMB1T >46984. 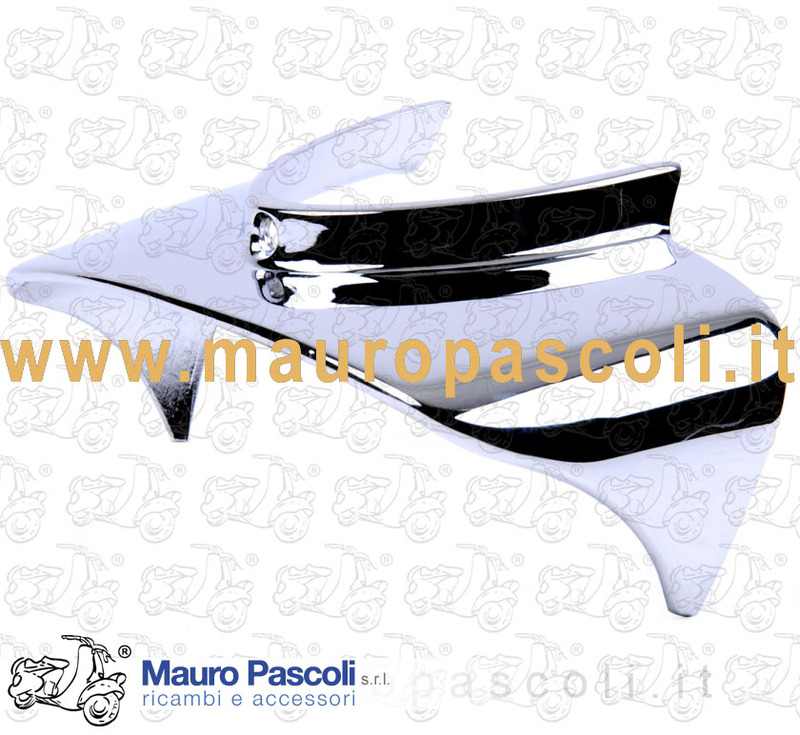 CHROME. 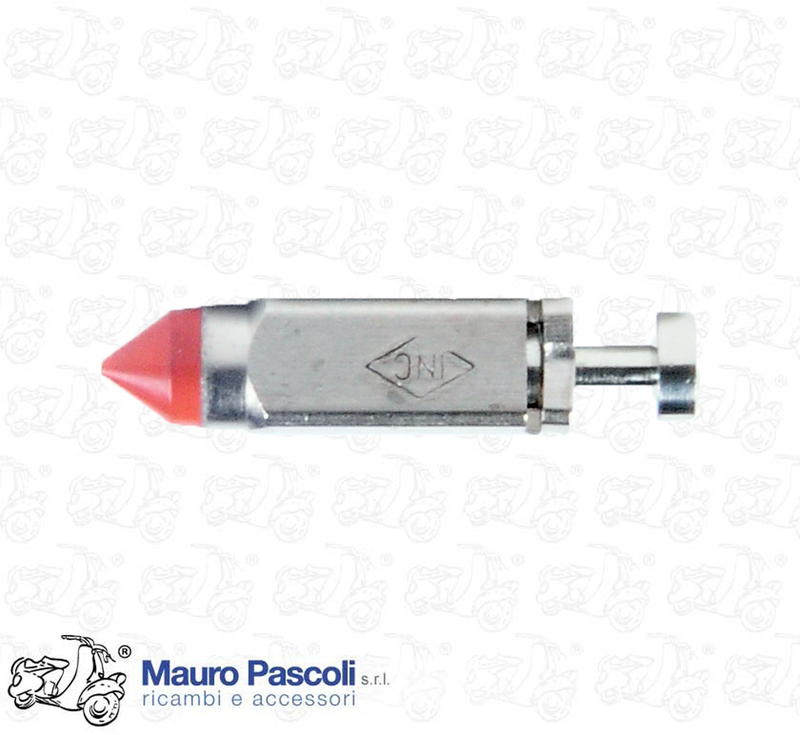 SUITABLE FOR ALL MODELS ABOVE RAINBOW PX 125-150 -PE 200. 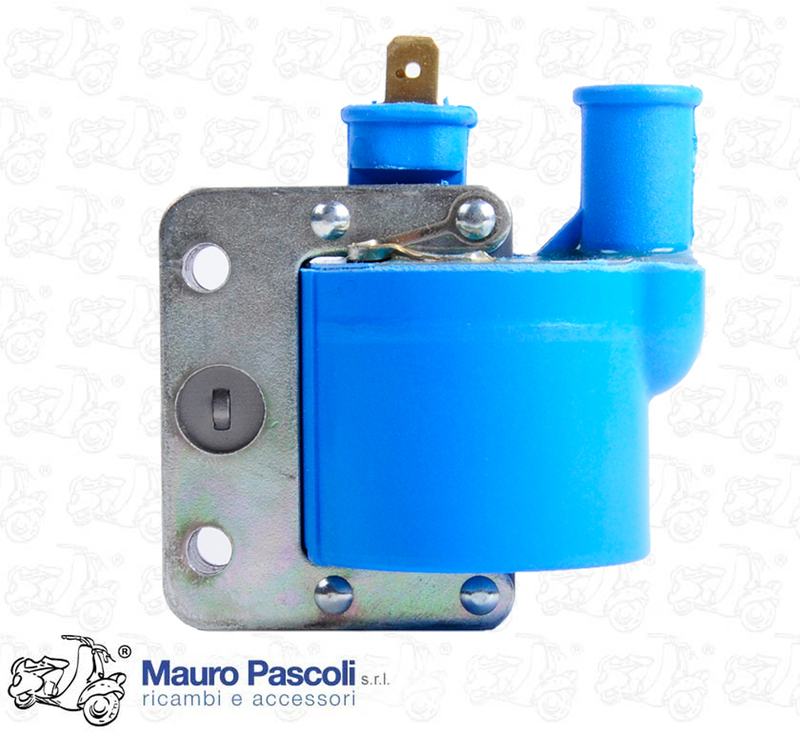 Compatibility: VESPA : V30T>33T - VM1T>2T - VNB1T 032100>6T - VNC1T - VL1T>3T - VGL1T - VB1T - VBA1T 81257> - VBB1T>2T - VBC1T - VS1T>5T - VLA1T - VLB1T>2T - VSB1T - VSC1T . 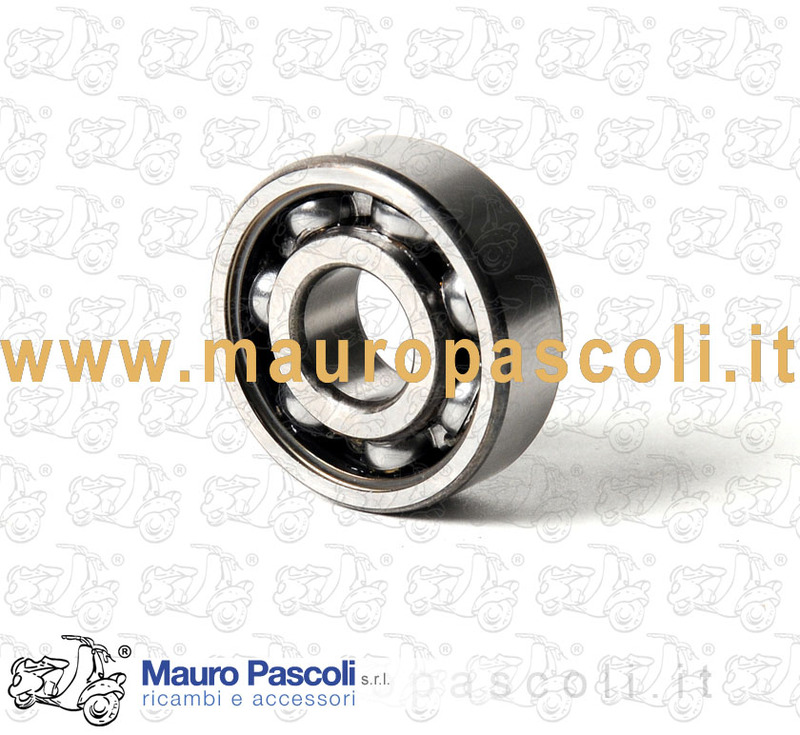 Compatibility: VESPA : V5A1T >789904 - V5A2T >77695 - V5A3T >5307 - V5SA1T - V5SS1T>2T - V9A1T >57884 - V9SS1T>2T - VMA1T>2T >52766 - VNA1T>2T - VNB1T>2T >09000 - VBA1T - VBB1T >17450. 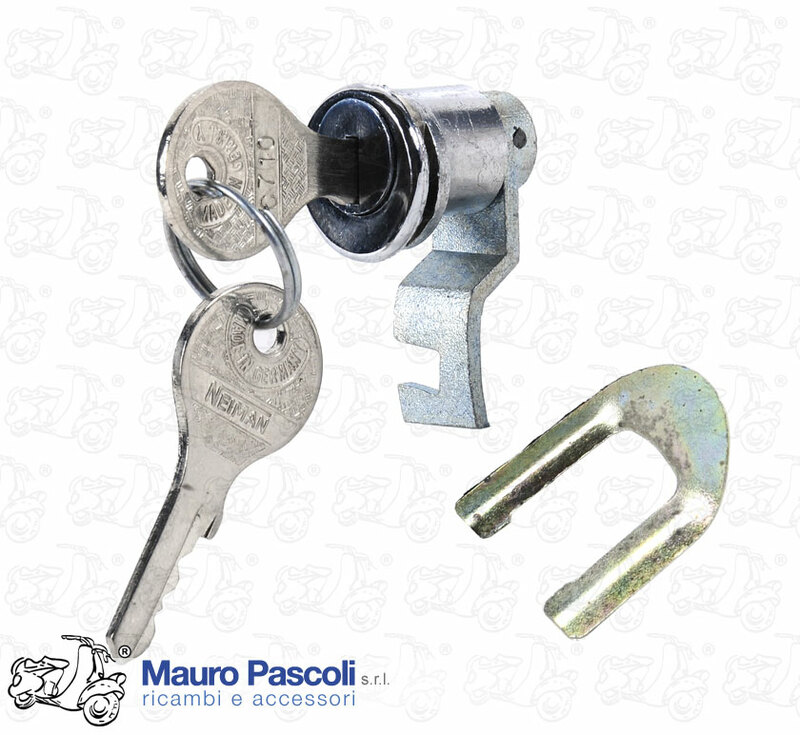 Compatibility: COSA : VNR1T - VLR1T - VSR1T. 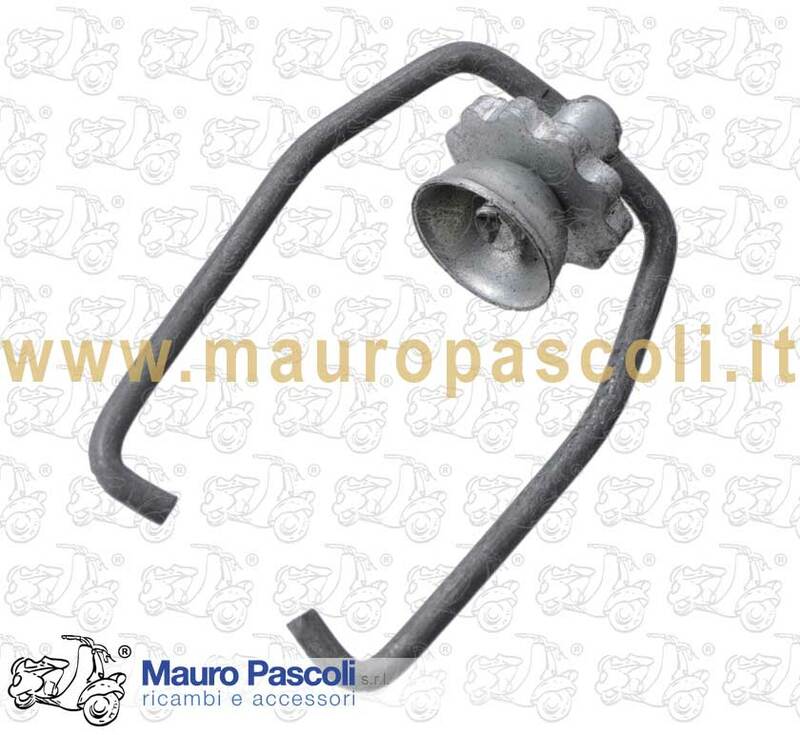 Compatibility: VESPA : V13T- MODELLI ESPORTAZIONE GERMANIA: VD. 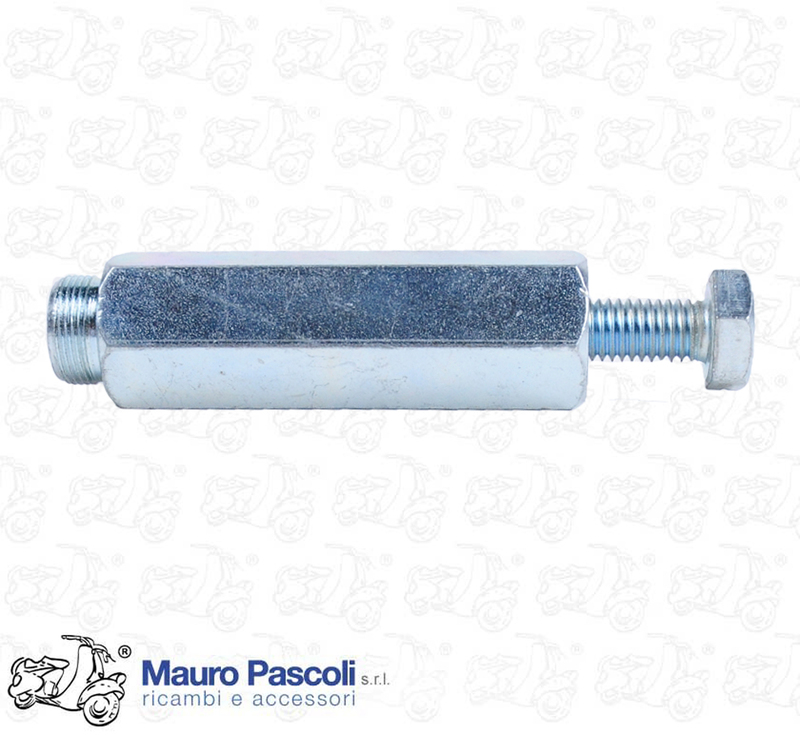 Compatibility: VESPA : VNB1T >25251 - VBA1T. 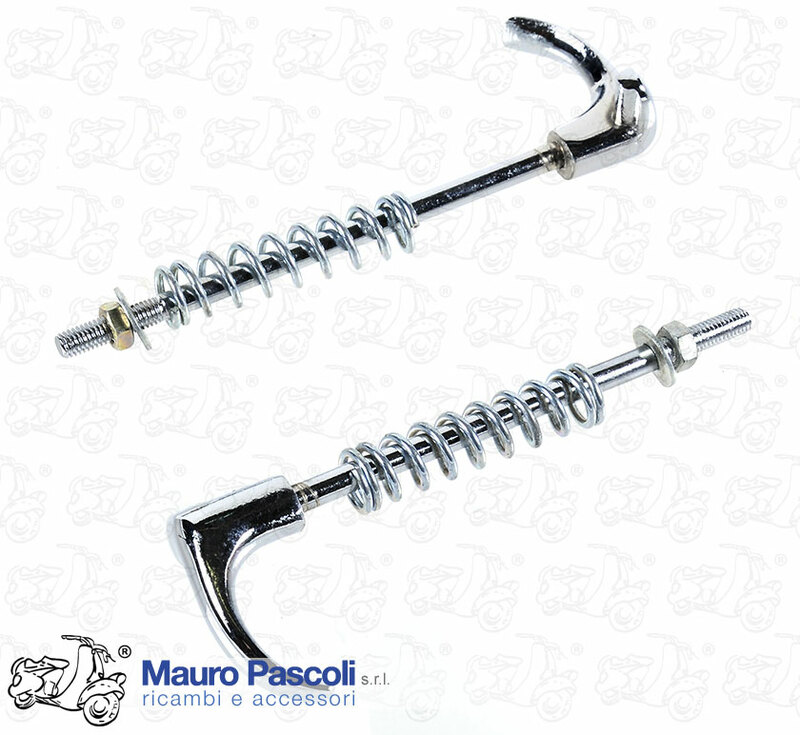 Compatibility: VESPA : 125 - PRIMAVERA ET3 - VMB1T . 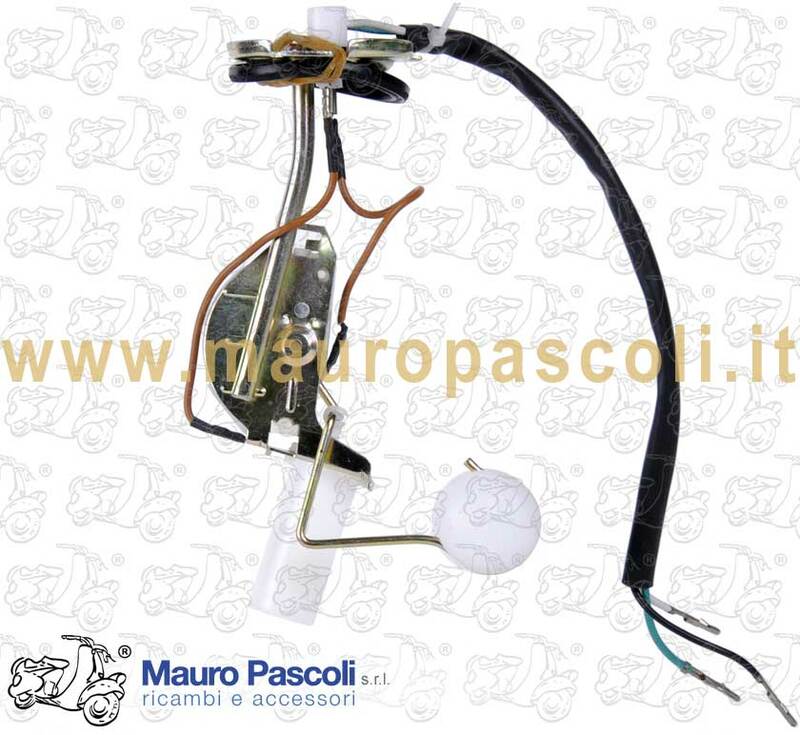 Compatibility: VESPA : V5A1T>3T - V5B1T>4T - V5R1T - V9A1T - VMA1T>2T - VMB1T - V11T>15T - V30T>33T - VU1T - VM1T>2T - VN1T>2T - VNA1T>2T - VNB1T>6T - VNC1T - VNL2T>3T - VL1T>3T - VGL1T - VGLA1T - VGLB1T - VB1T - VBA1T - VBB1T>2T - VBC1T - VS1T>5T - VLA1T - VLB1T>2T - VSB1T - VSC1T - VSD1T - VSE1T. 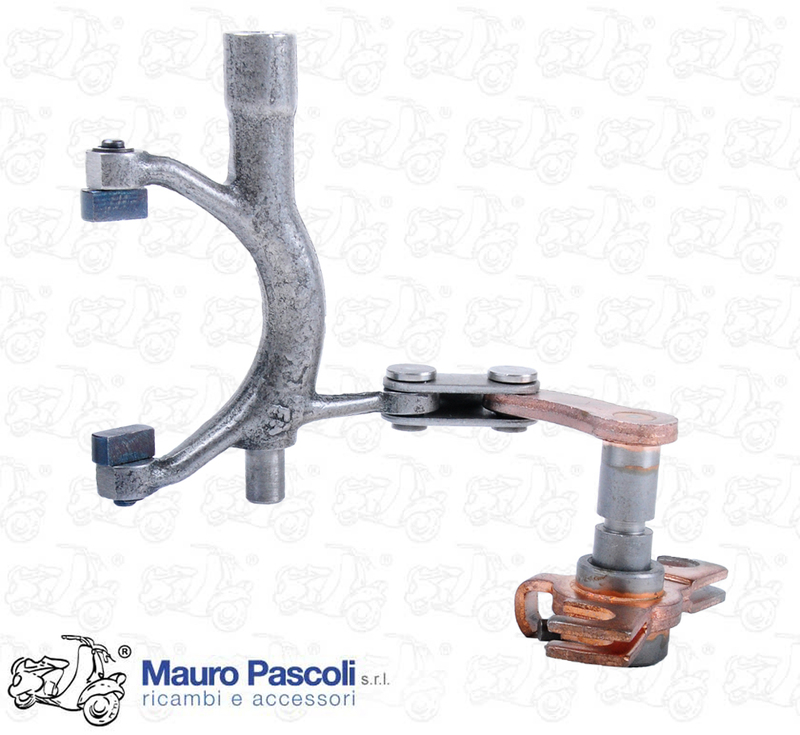 Compatibility: VESPA : V98T - V1T - APE : A1T>15T. 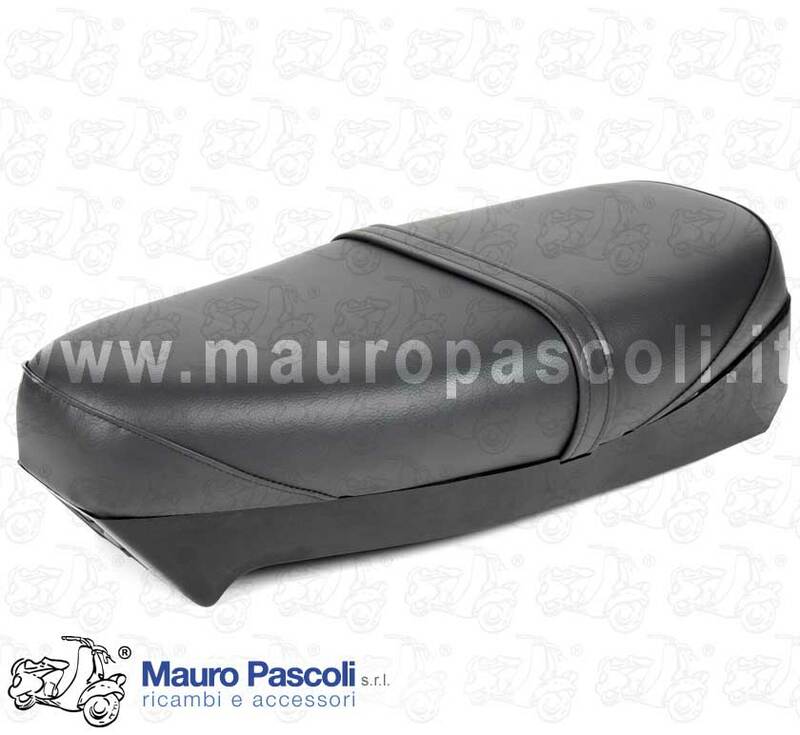 Compatibility: VESPA : VNX2T-FD - ZAP M094 EURO 1. 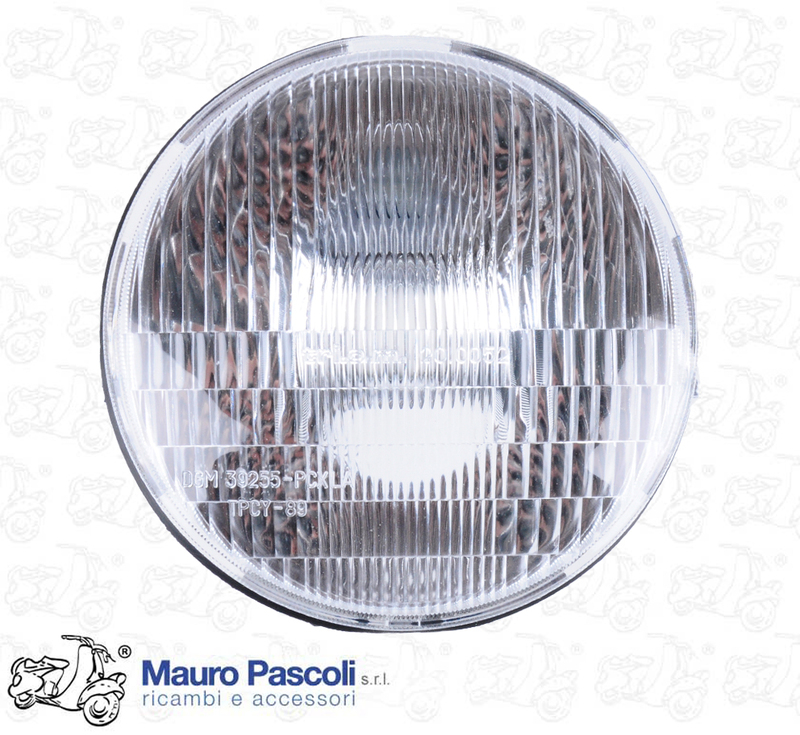 2004 - ZAP M094 EURO 2. 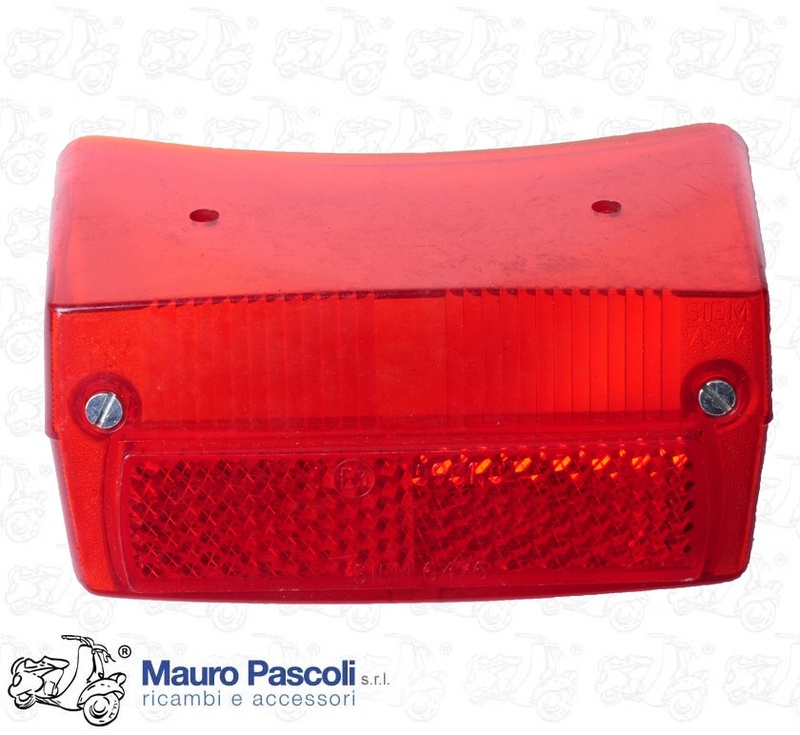 2004 - ZAP M742 EURO 3. 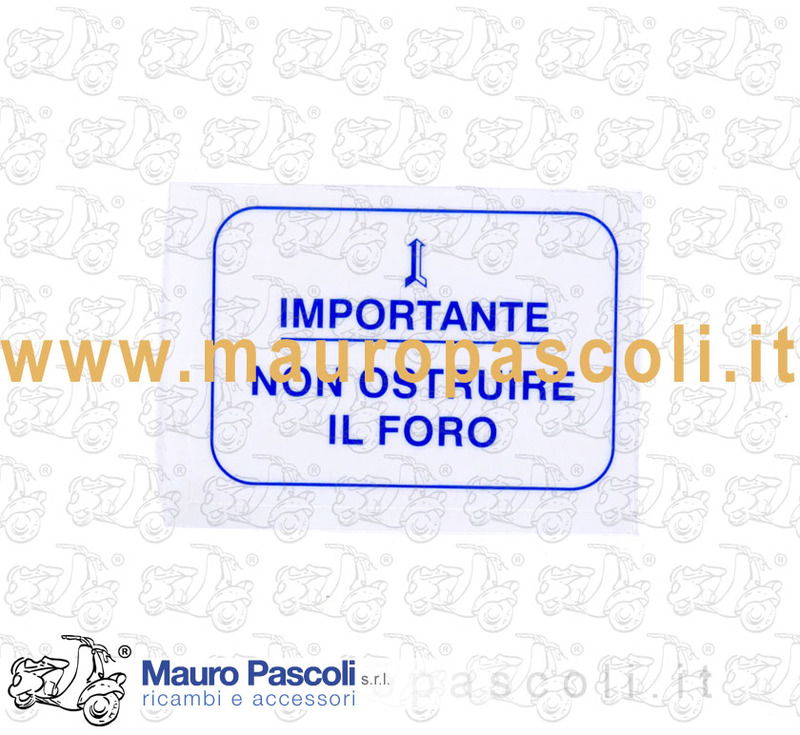 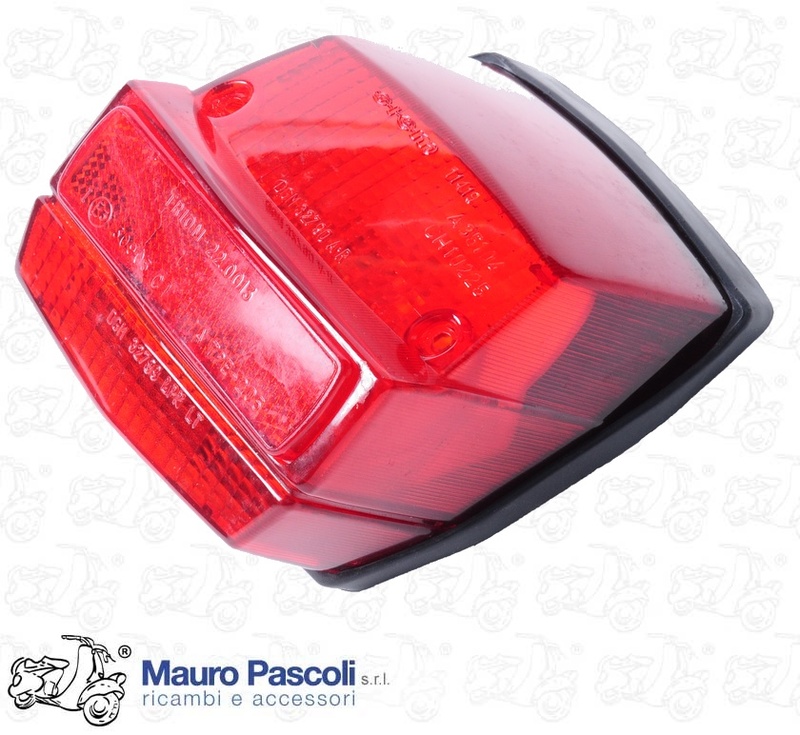 2011 - COSA : VNR2T - VESPA : VLX1T-FD - ZAP M093 EURO 1. 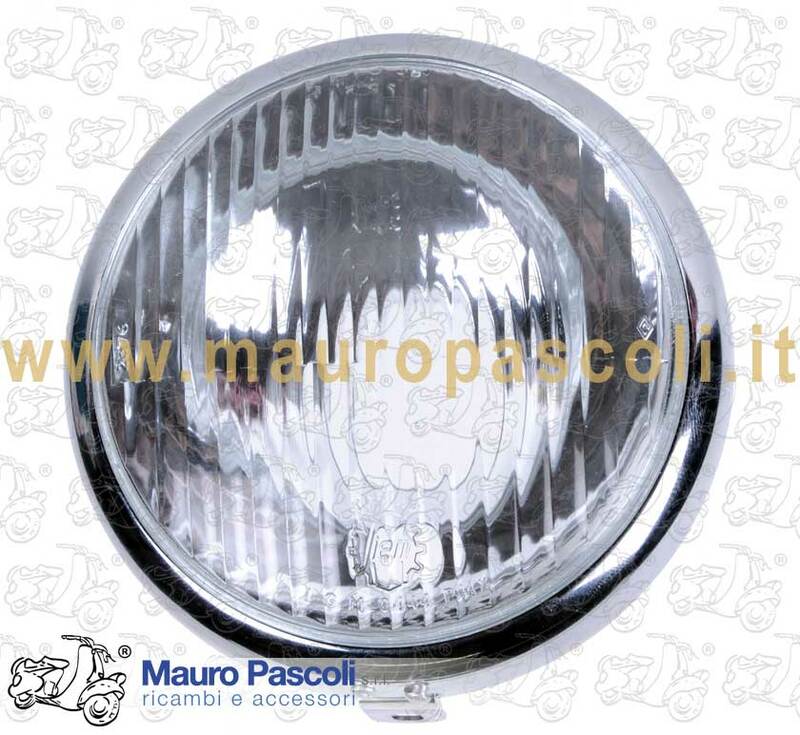 2004 - ZAP M093 EURO 2. 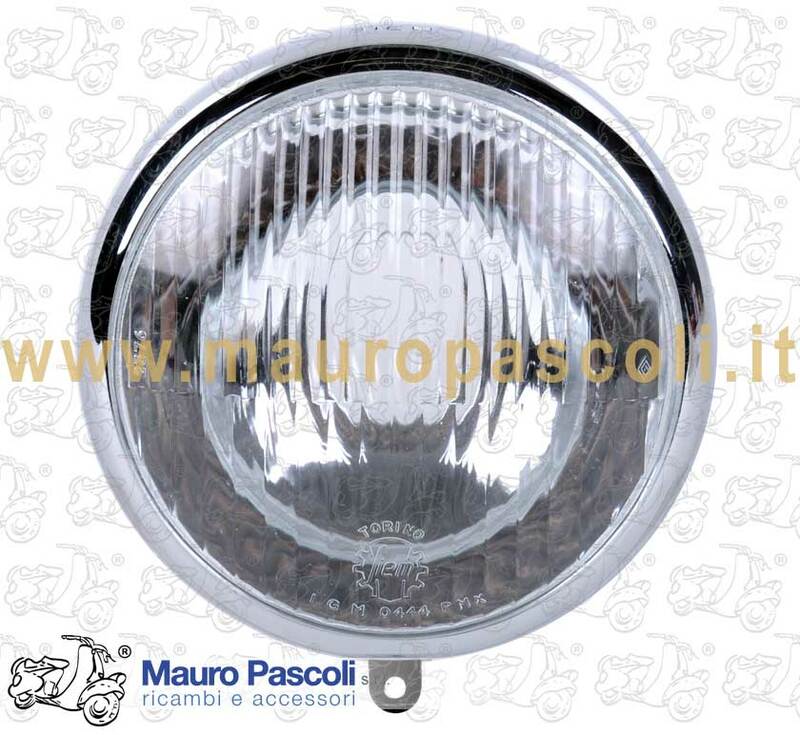 2004 - ZAP M093 EURO 2. 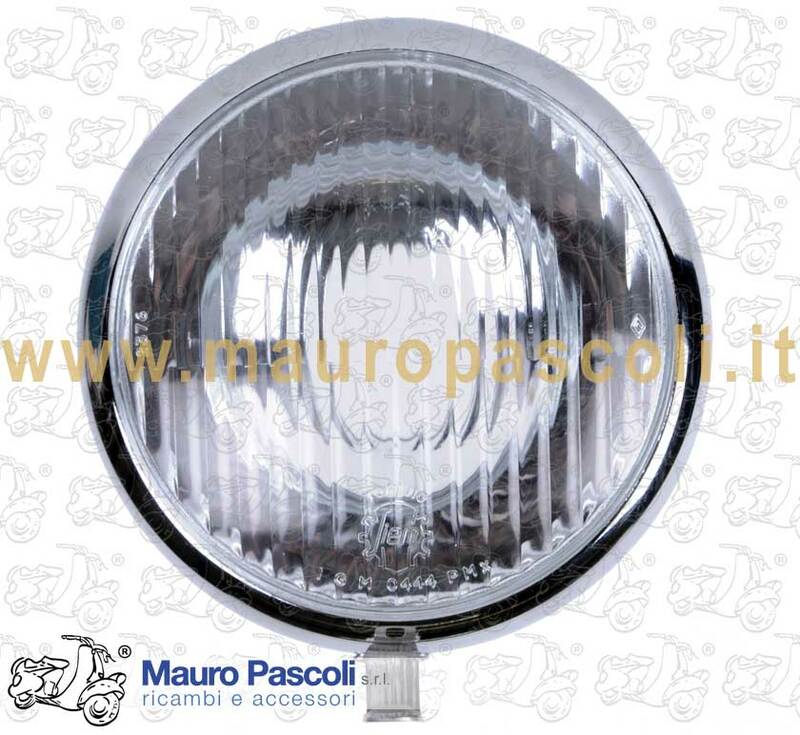 2007 - ZAP M741 EURO 3. 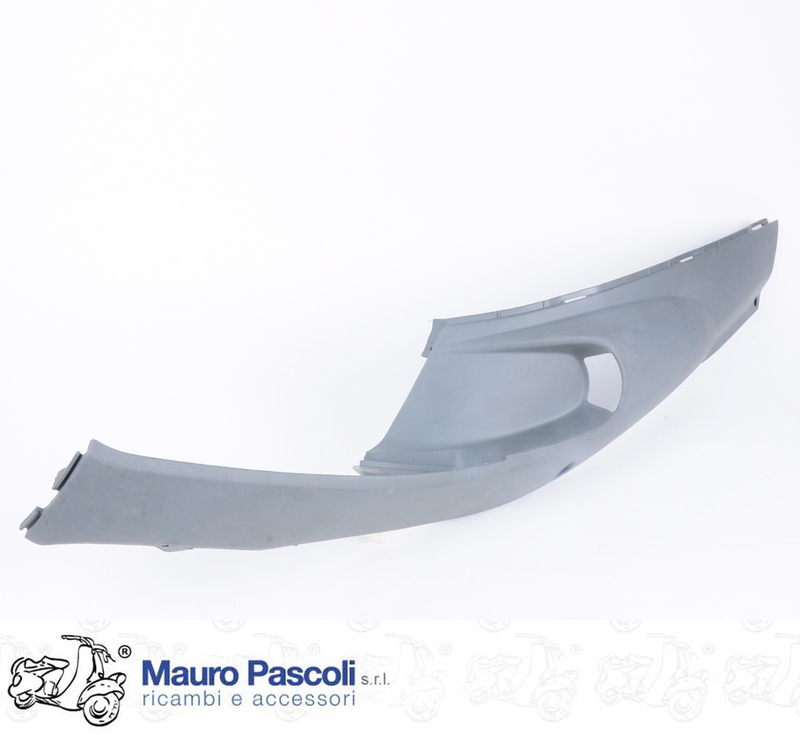 2011 - COSA : VLR2T - VESPA : VSX1T-FD - COSA : VSR1T. 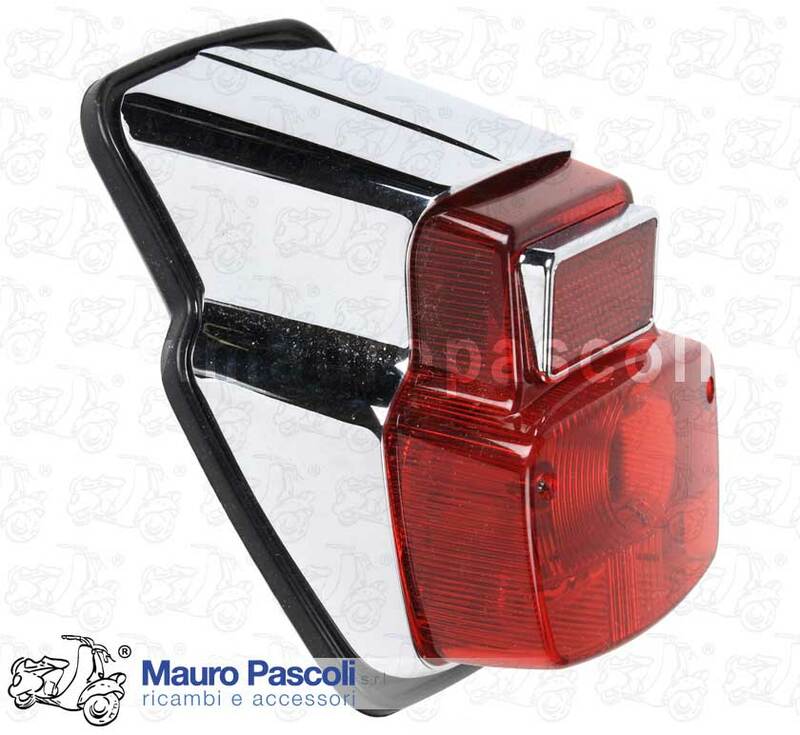 Compatibility: VESPA : 90 . 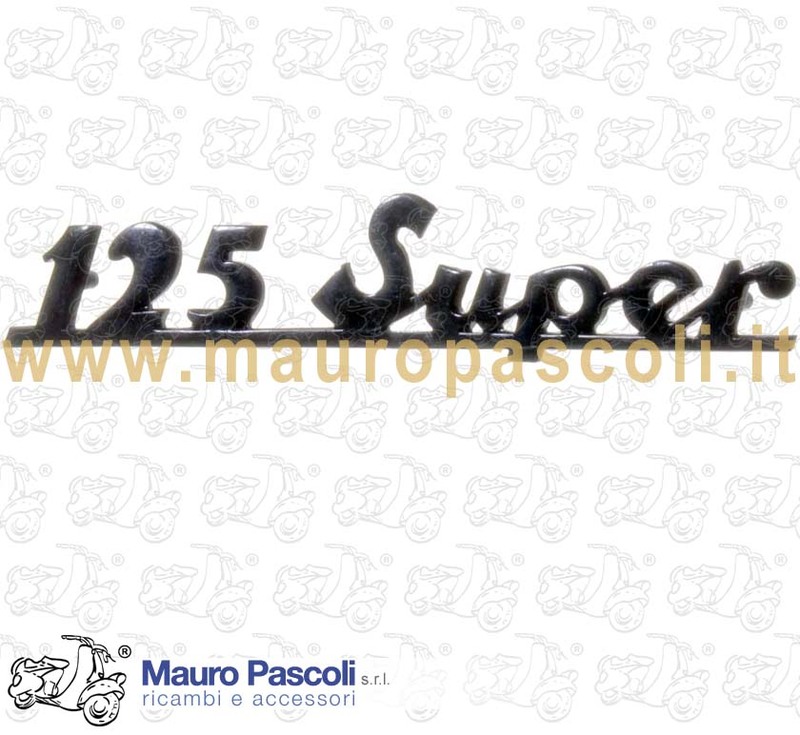 V9SS2T - 125 . 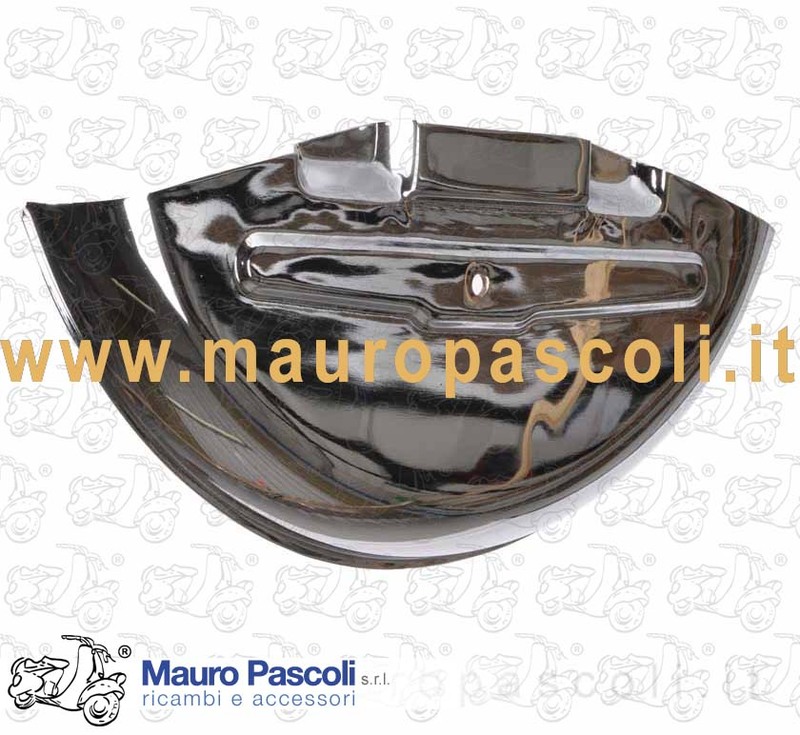 VMA2T - VMB1T. 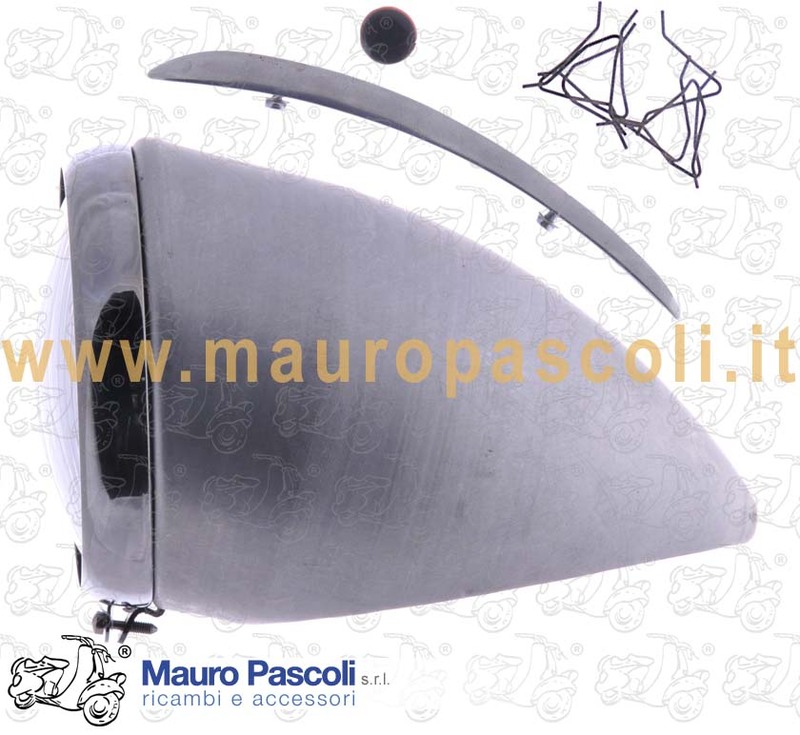 Compatibility: VESPA : 98 .V98T - 1946 - 1947 . 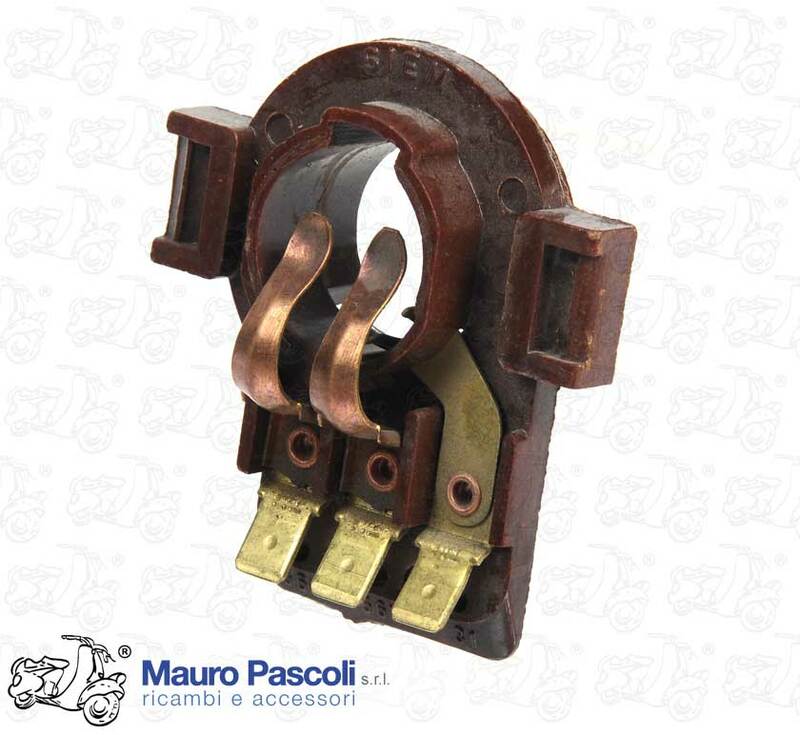 Compatibility: APE : AE01T>2T - AE1T>3T - AD1T>2T - PENTARO : APC1T>2T. 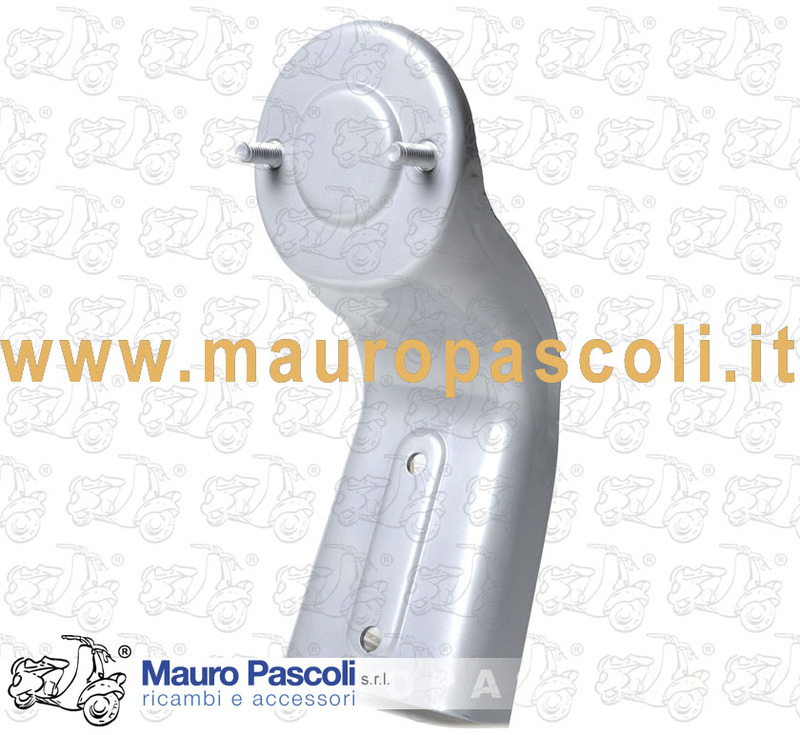 Compatibility: VESPA : T5 . 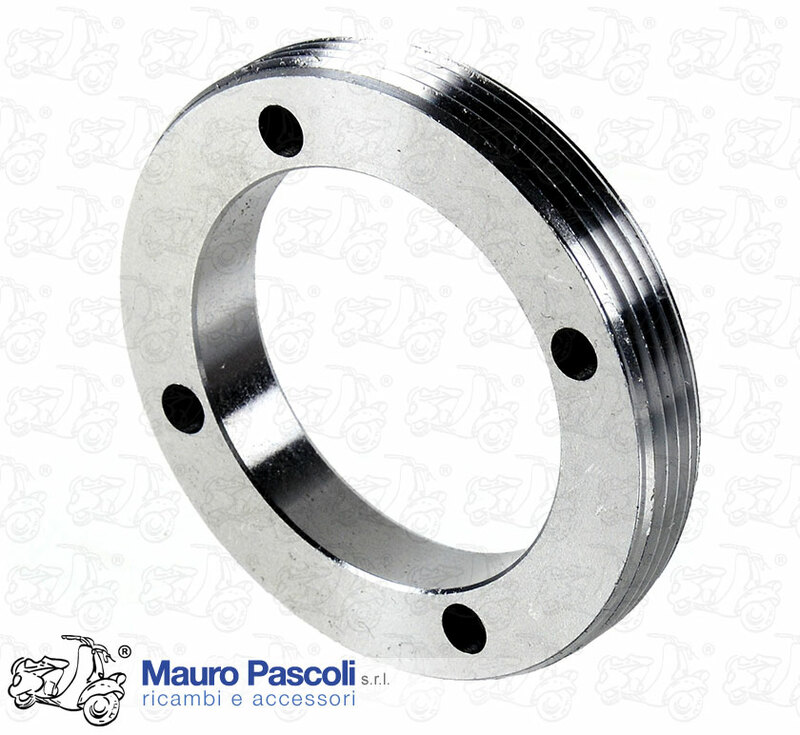 VNX5T . 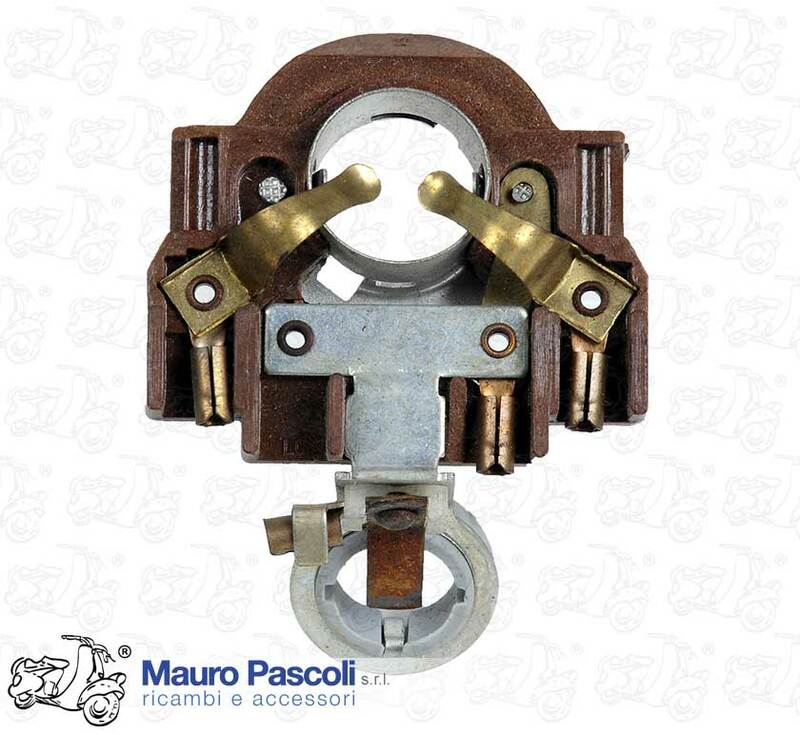 Compatibility: VESPA : V98T - V1T>15T > MONTATO FINO AL MOTORE V22M . 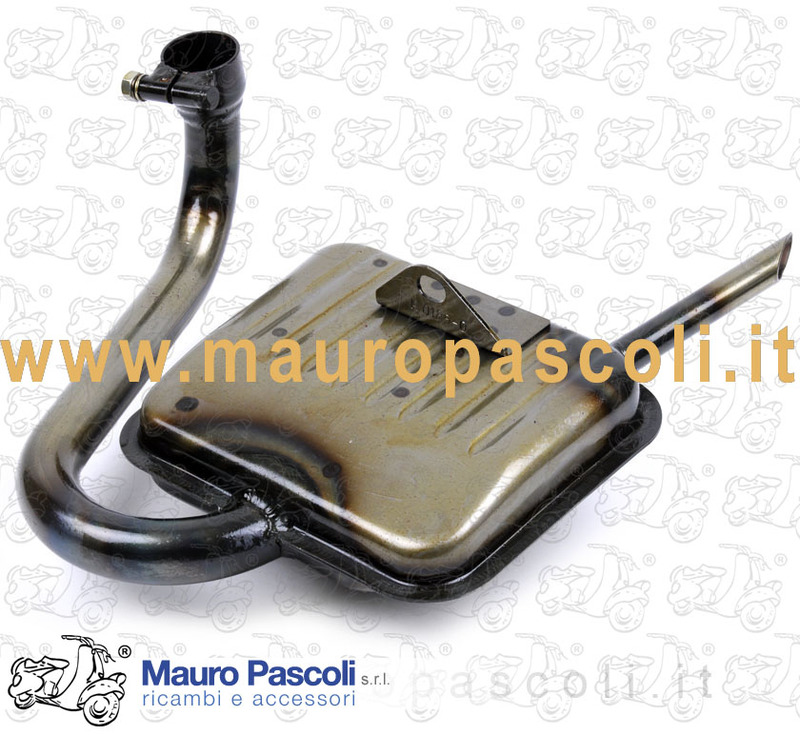 Compatibility: VESPA : 125 - VNB1T. 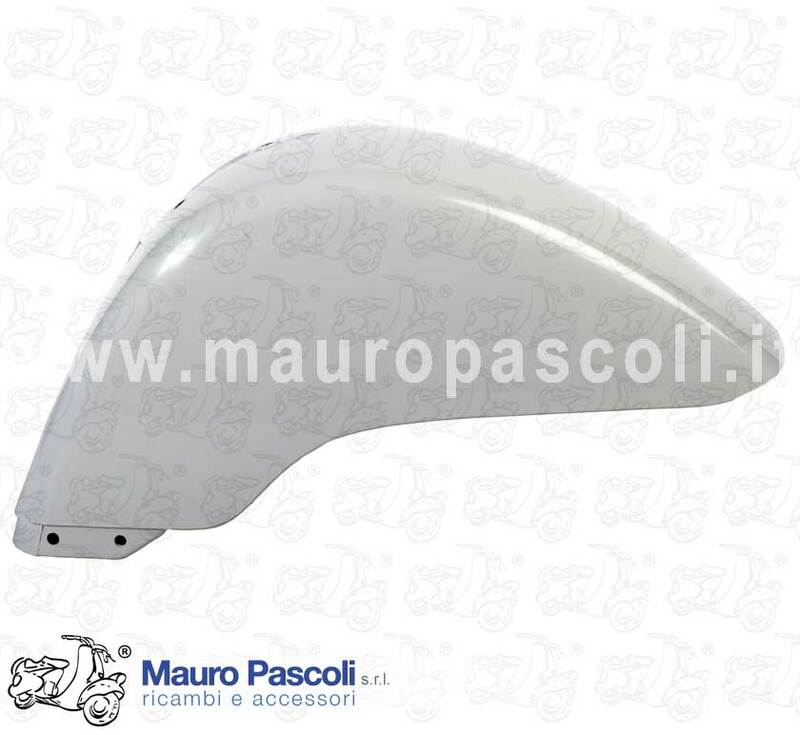 Compatibility: VESPA 125 GTR - TS - 150 SPRINT VELOCE - 180 / 200 RALLY. 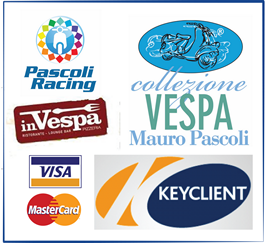 Compatibility: VESPA : VNX1T - VLX1T - VSB1T - VSC1T - VSD1T - VSE1T - VSX1T. 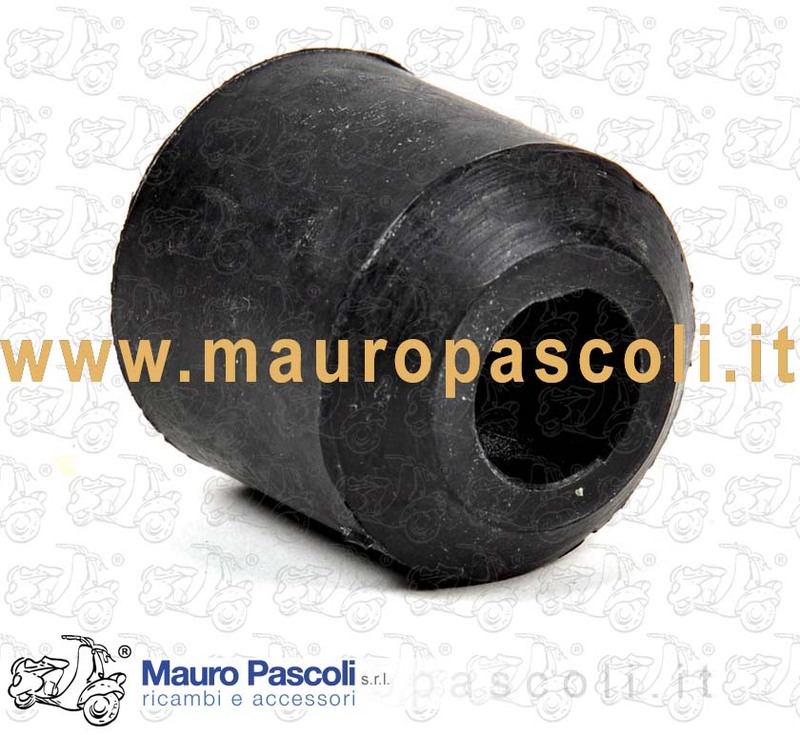 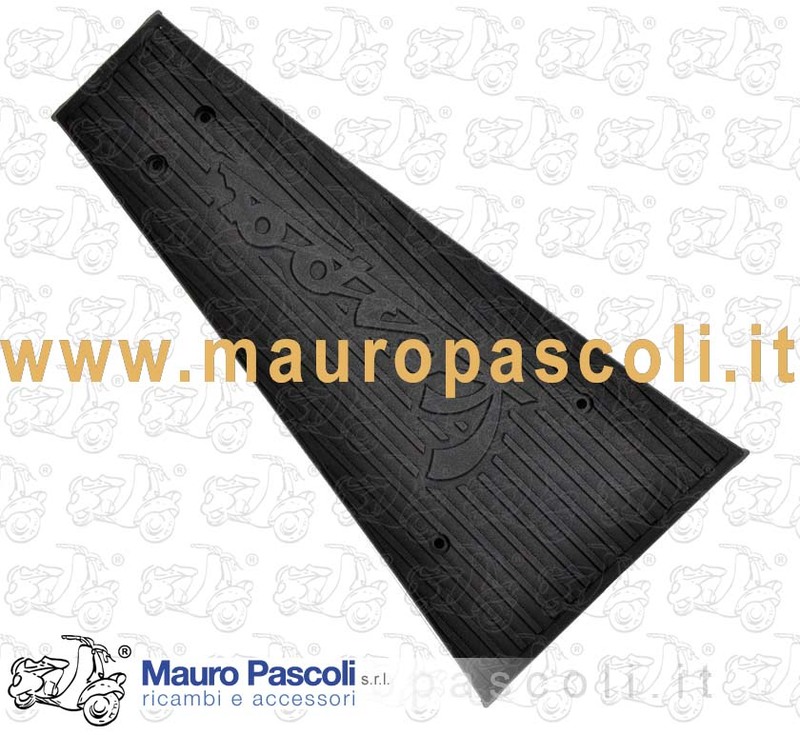 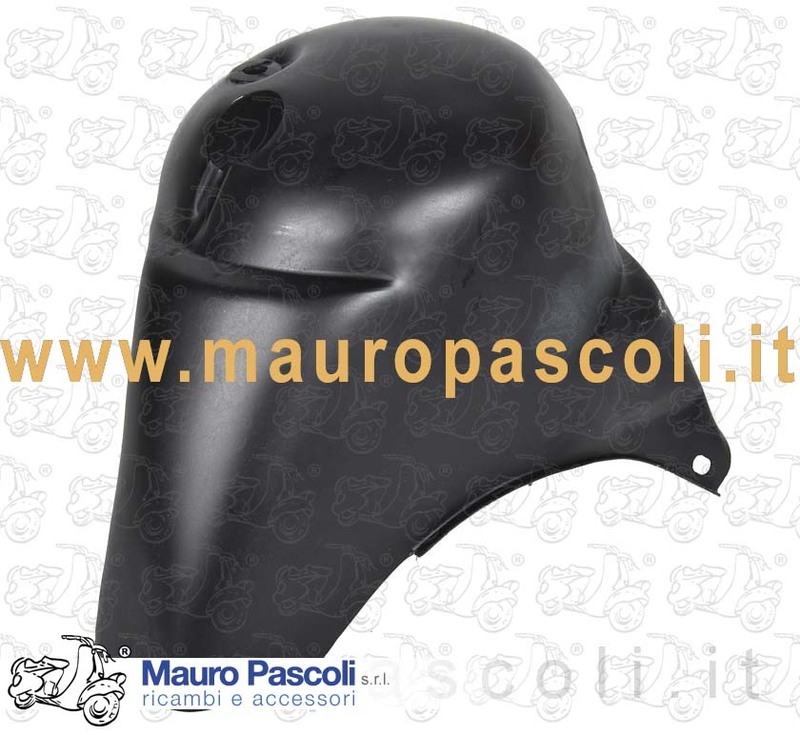 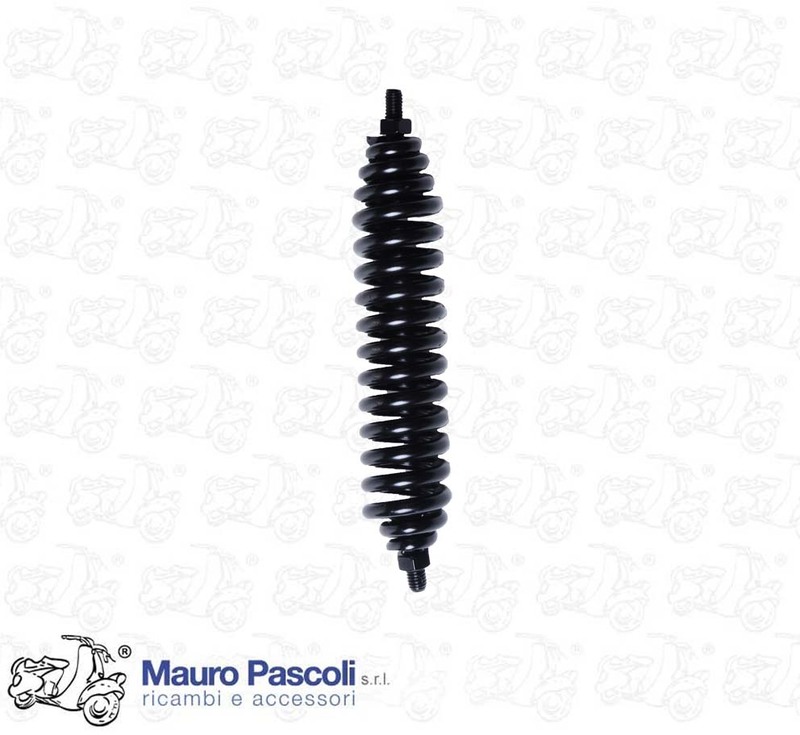 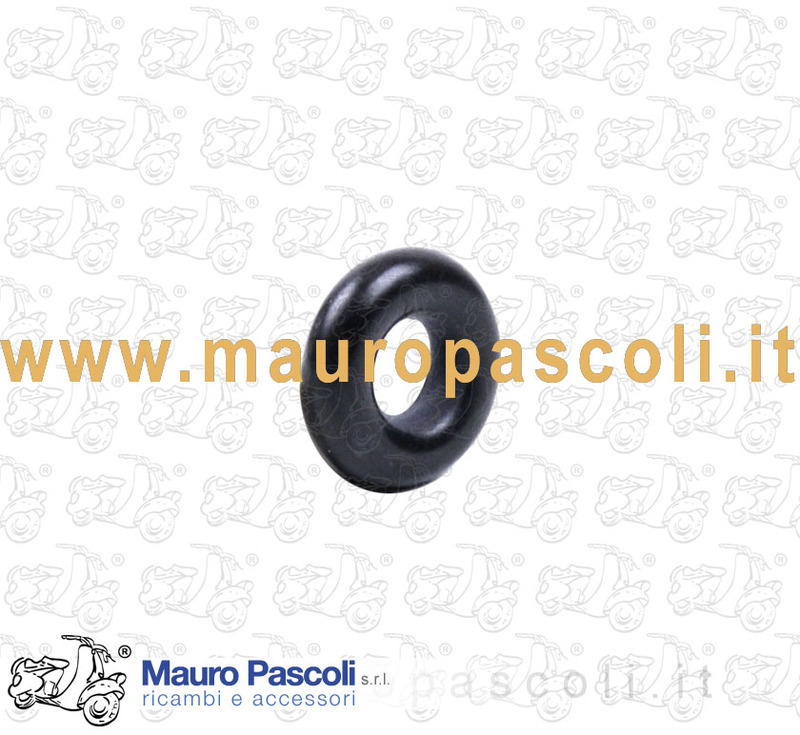 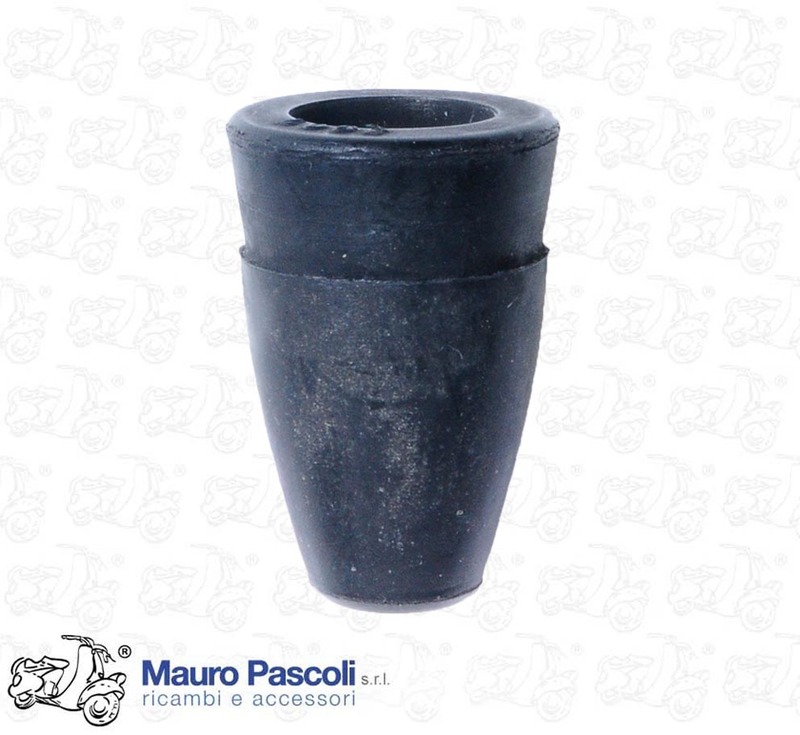 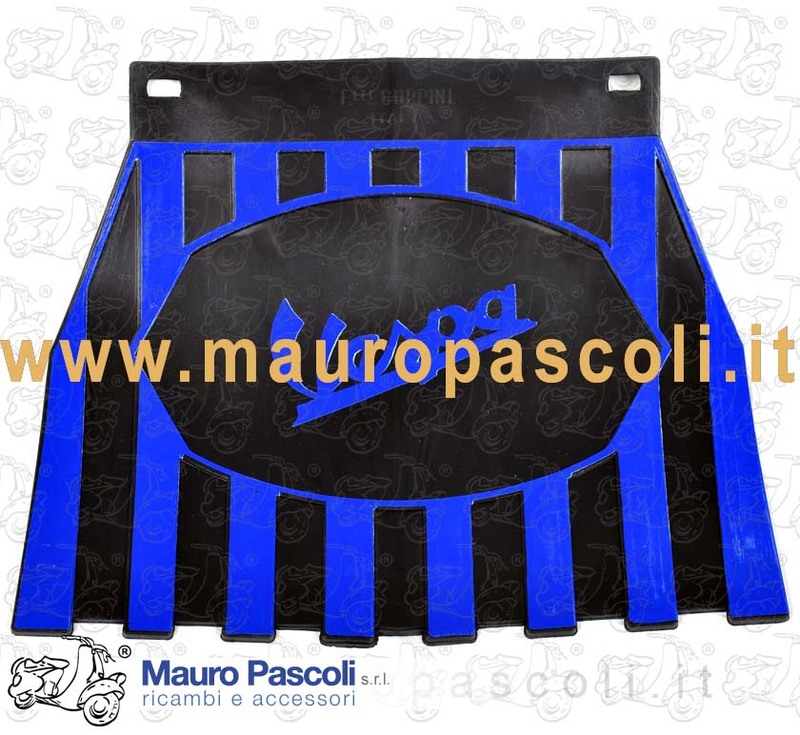 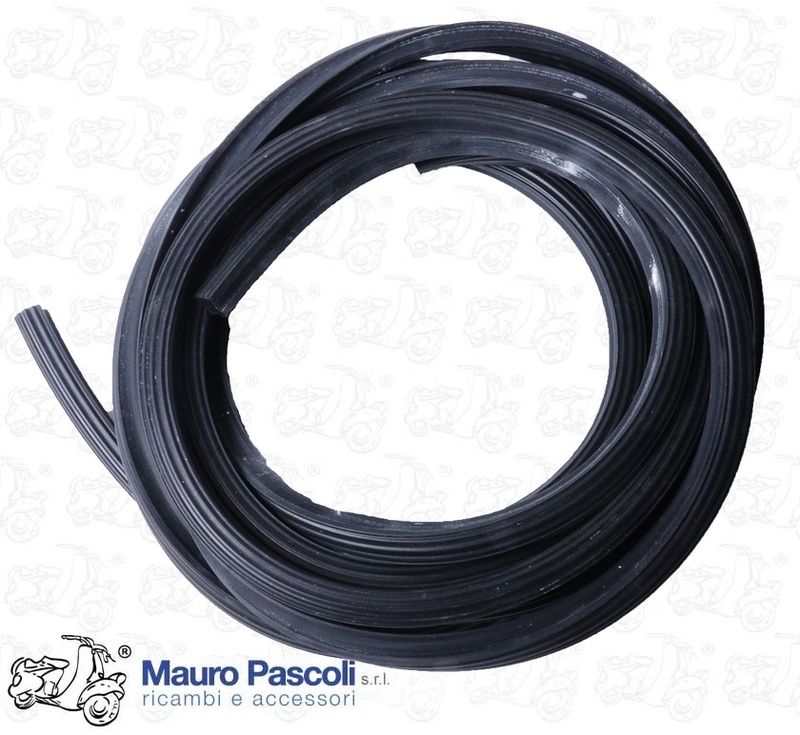 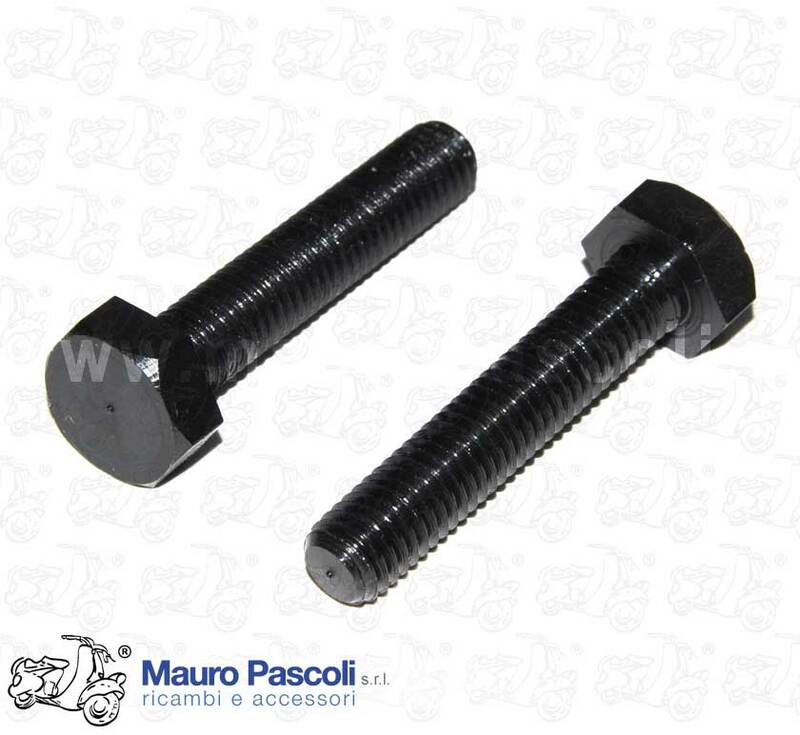 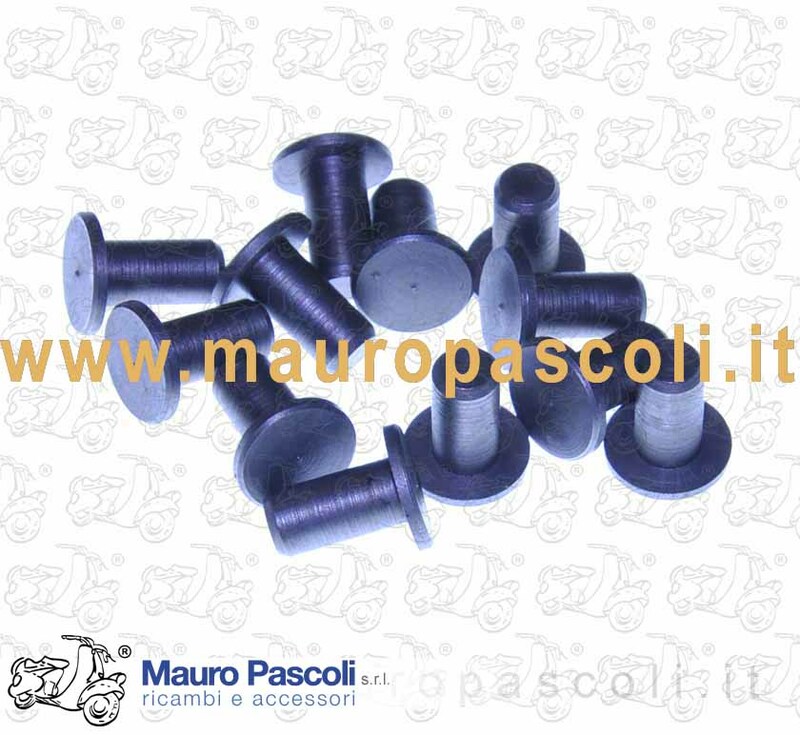 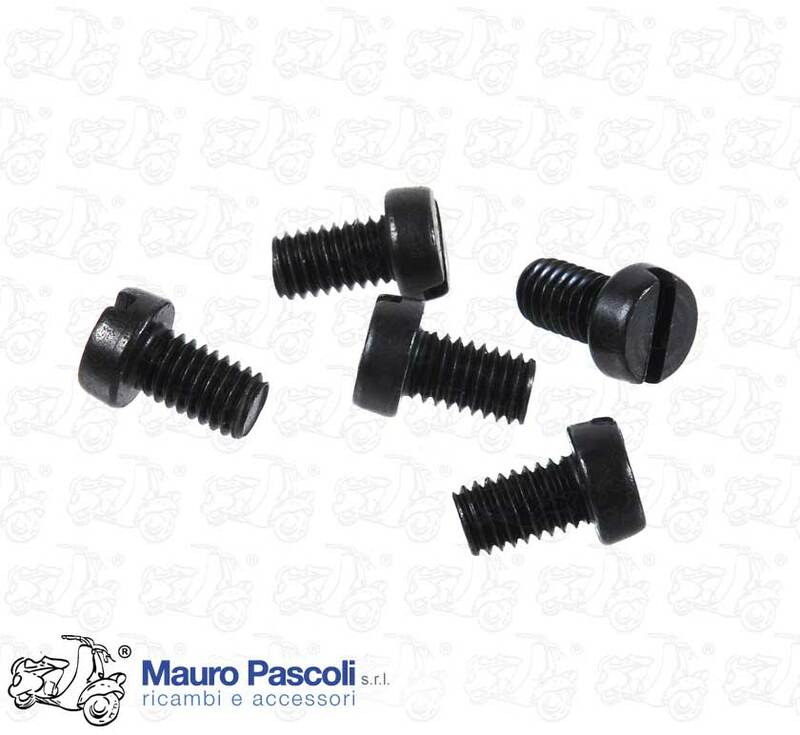 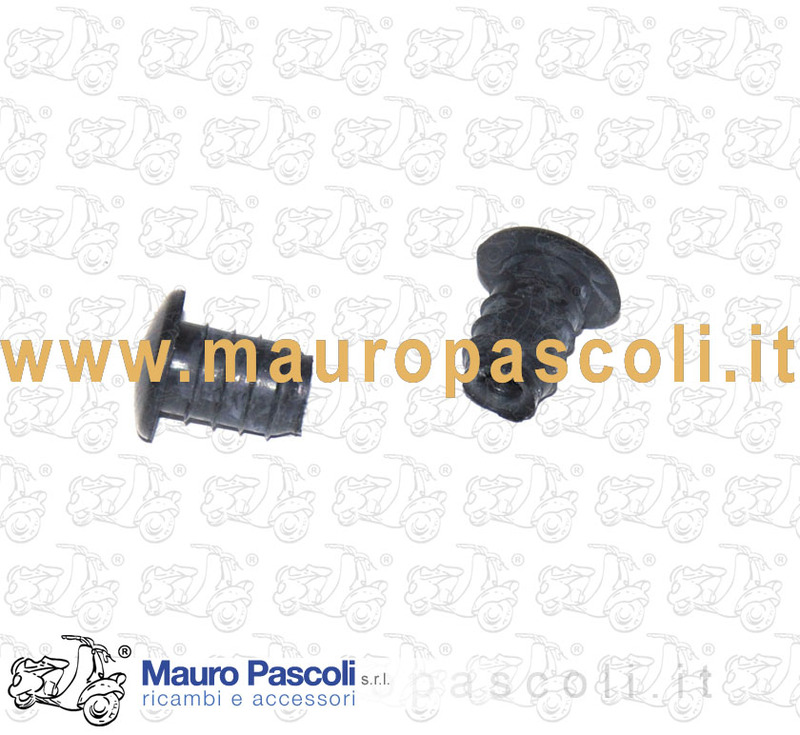 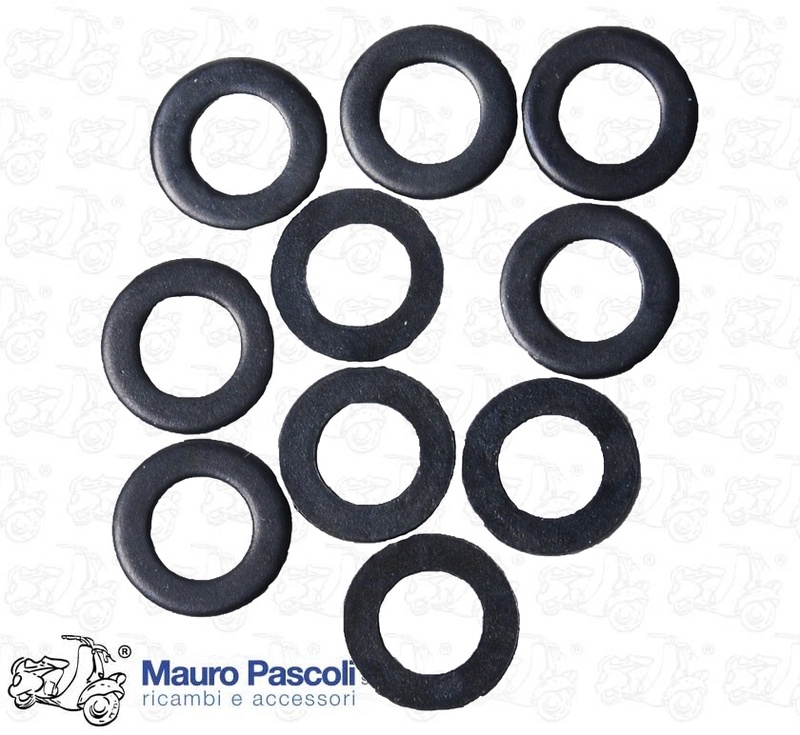 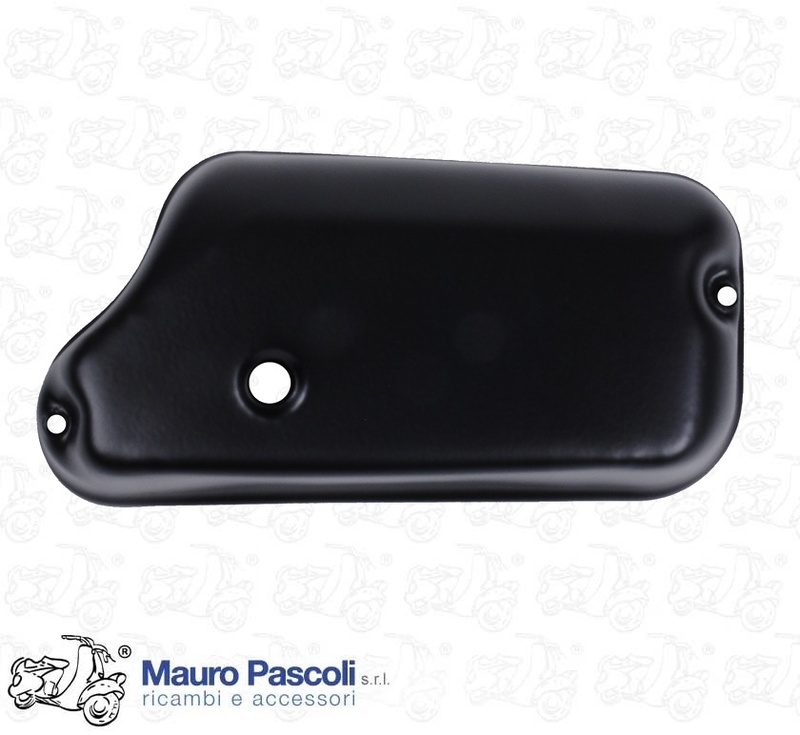 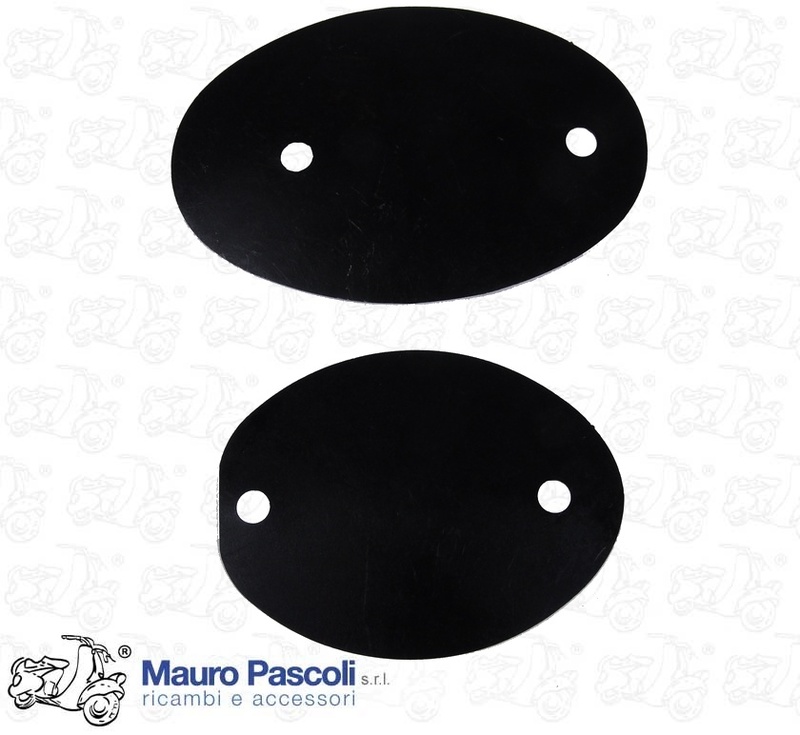 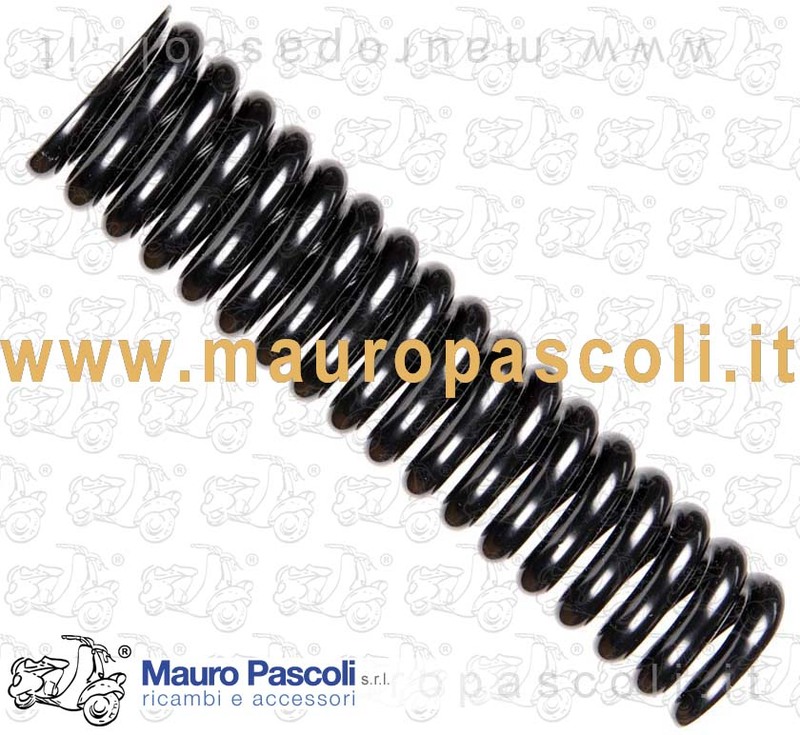 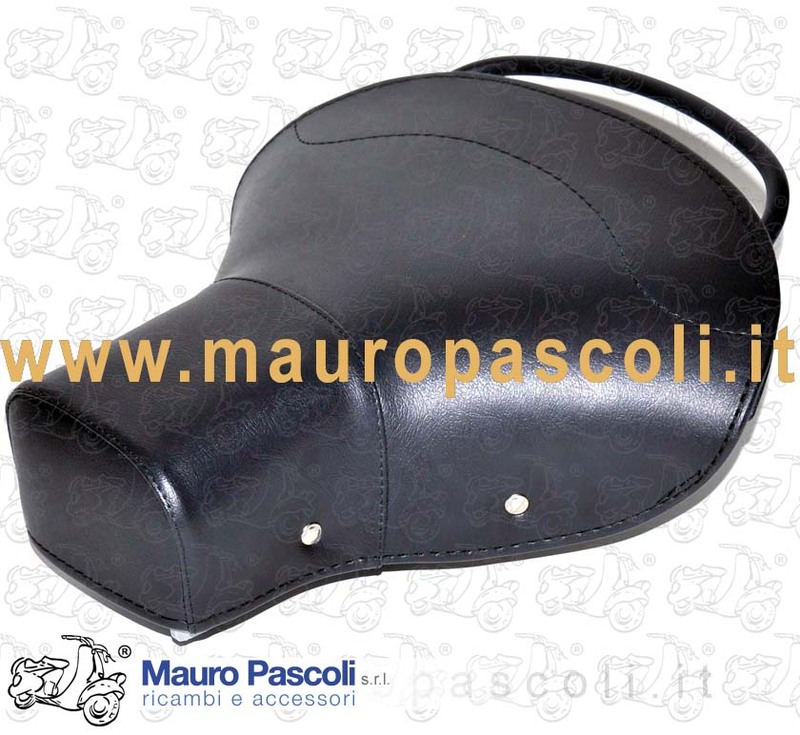 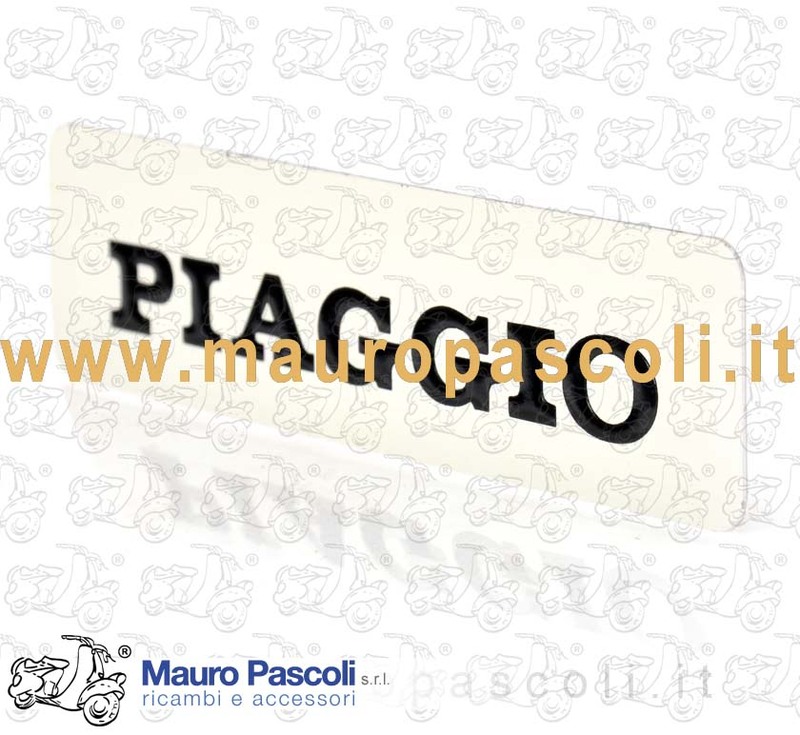 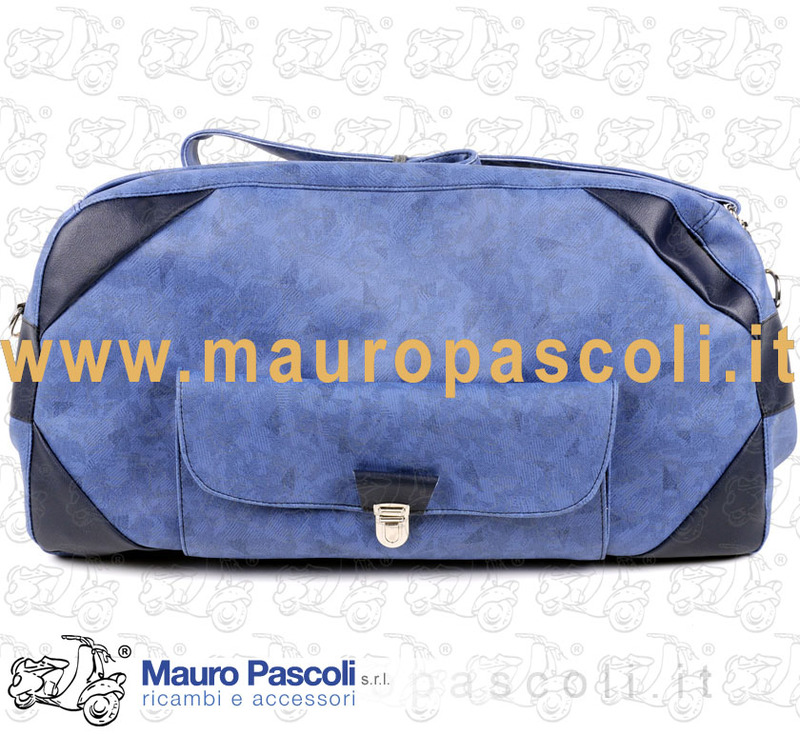 Made by Mauro Pascoli srl in black plastic e black grommet in rubber. 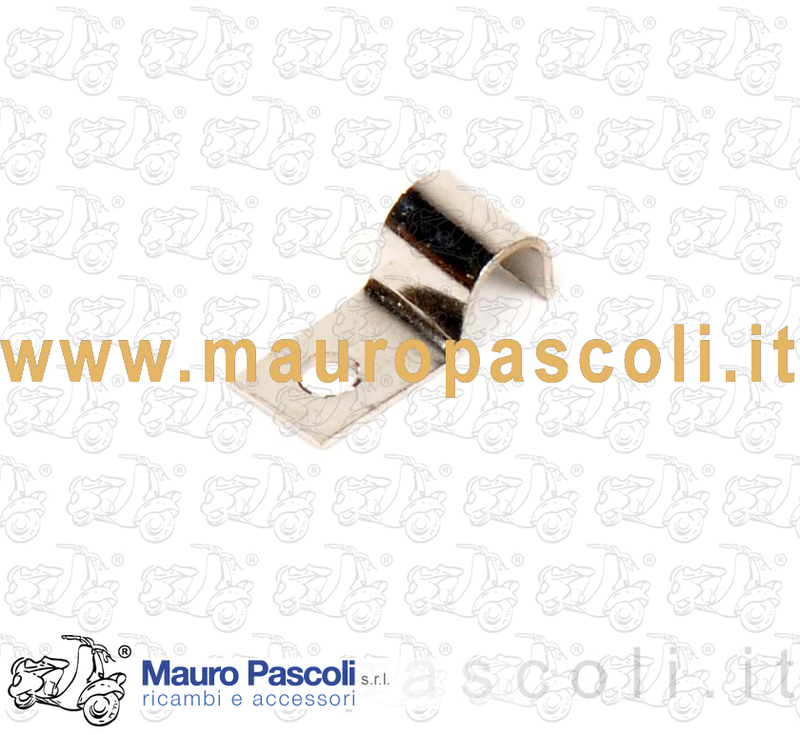 Compatibility: ADATTABILE.VESPA :VEICOLI PROD. 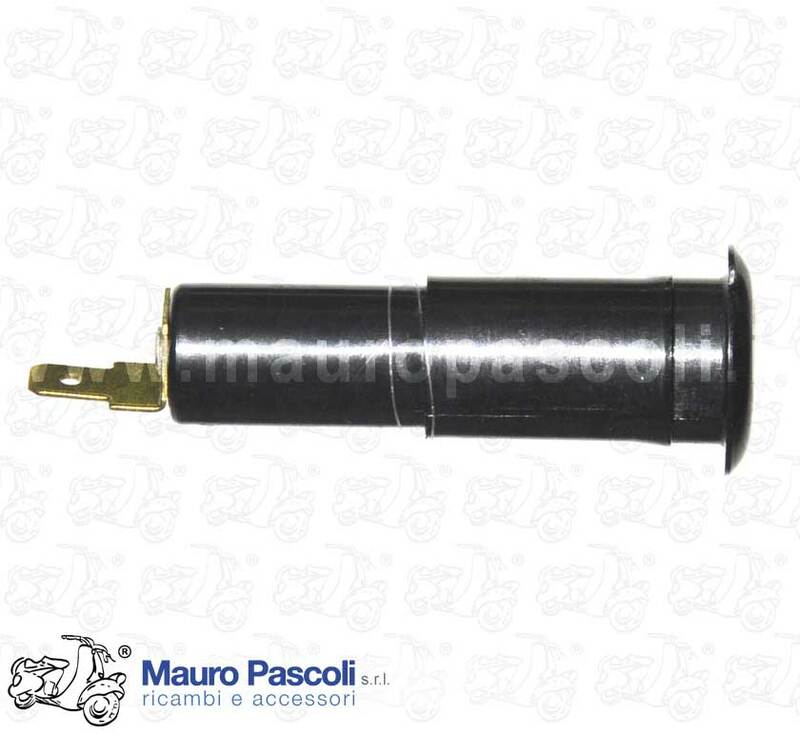 ITALIA CON BATTERIA A 6 V : VNB1T - VBA1T - VBB1T - VS4T0035311>VS5T - VLA1T - VSB1T - VSC1T - VEICOLI ESTERO CON BATTERIA A 6 V . APE : TIPO AF1T>2T - TM703 ....... INTERUTTORE DEL RIBALTABILE CHIUSO. 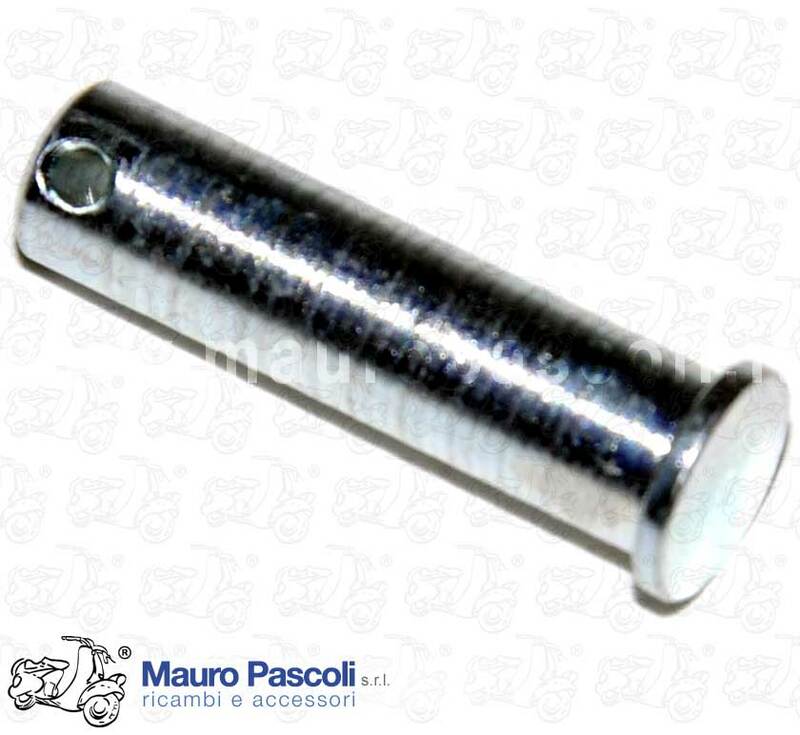 INTERUTTORE ADATTO PER MODIFICHE VEICOLI CON ACCENSIONI NUOVE DI TIPO ELETTRONICO A 12 V.
Compatibility: Tutti gli CIAO - All CIAO.....CIAO P - PX .BRAVO P - SI . 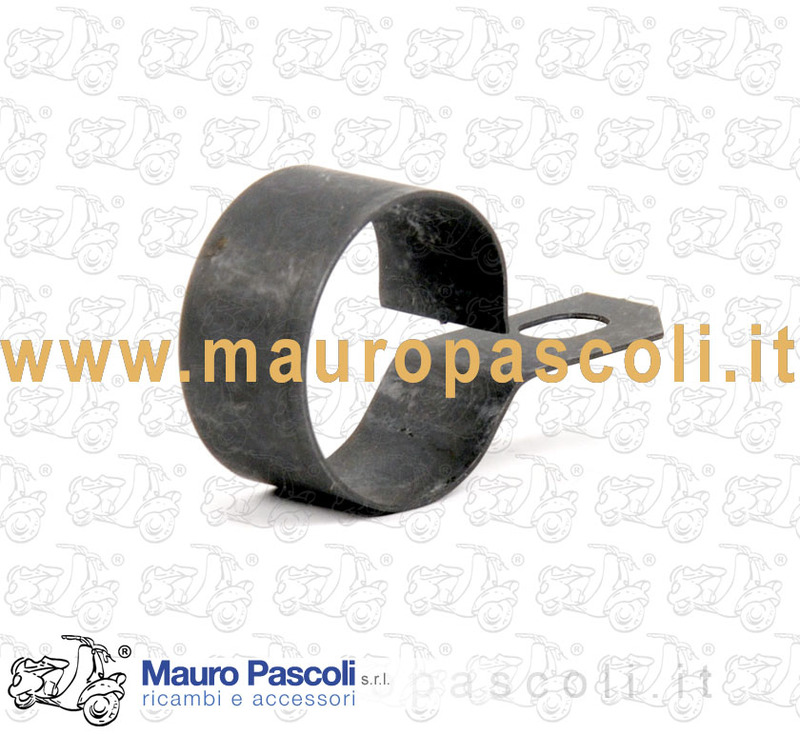 Compatibility: VESPA : V5A1T 922305> - V5B3T 306418> - V5R1T - V5X1T - V5X2T - V5X3T - V5X4T - V5X5T - V5N1T>2T - V5S1T>2T - V5P1T>2T - VAS1T - VA51T>2T - V8X5T - VA81T - V8A1T - V8X1T - VAM1T - VVM1T - VMS1T - VMX1T - VMX5T>7T - VMA2T - VMB1T 76046> - VNX1T 77543> - VNX2T - VNX5T - VLX1T 139228> - VSX1T 37723> . 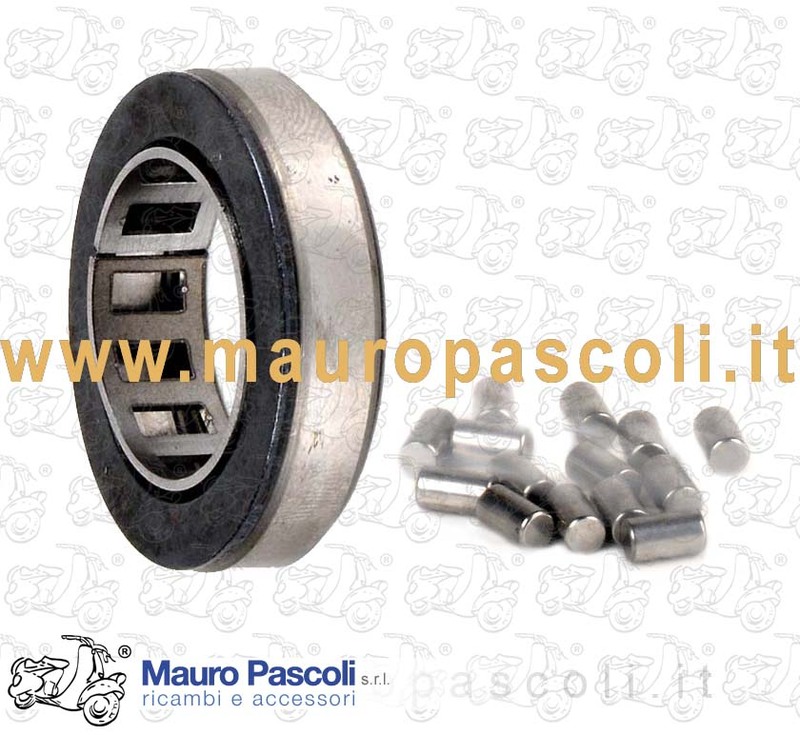 Compatibility: VESPA : V1T 18451> - V11T>15T - V30T - V31T - V32T - V33T - APE : A1T-A11T>15T - AB1T>4T - AC1T. 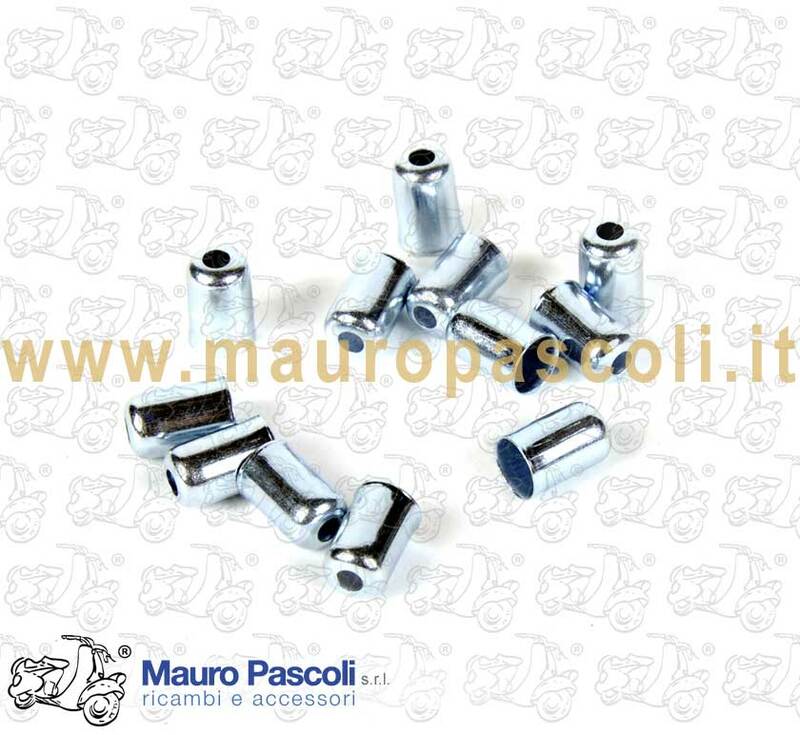 Compatibility: VESPA : V8X5T - VA81T - VAM1T - VMX1T - VMX5T. 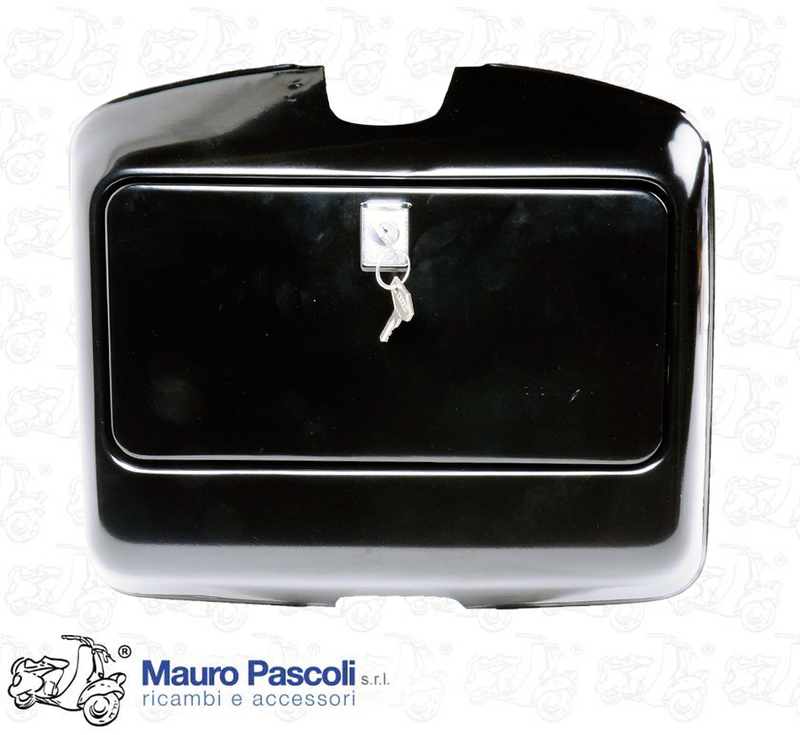 ADATTABILE : VESPA - V5X1T - V5X2T. 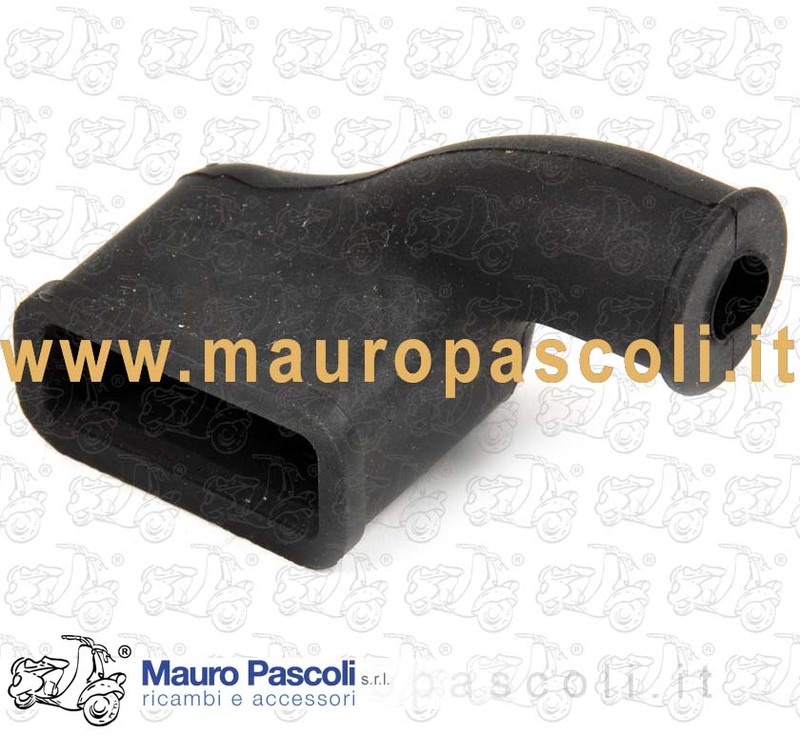 Compatibility: VESPA : VSB1T - VSC1T. 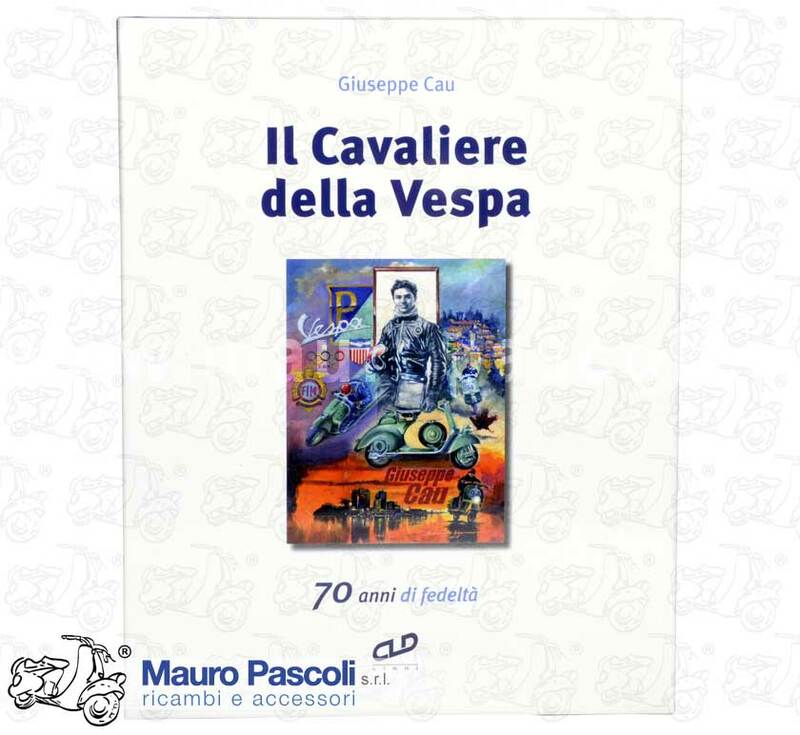 Book: "GIUSEPPE CAU IL CAVALIERE DELLA VESPA"
Compatibility: ADATTABILE : VESPA - V8X1T - VNA1T>2T - VNB1T>6T - VNC1T - VNL2T>3T - VNX1T>2T - VBA1T - VBB1T>2T - VBC1T - VLA1T - VLB1T>2T - VLX1T - VSX1T. 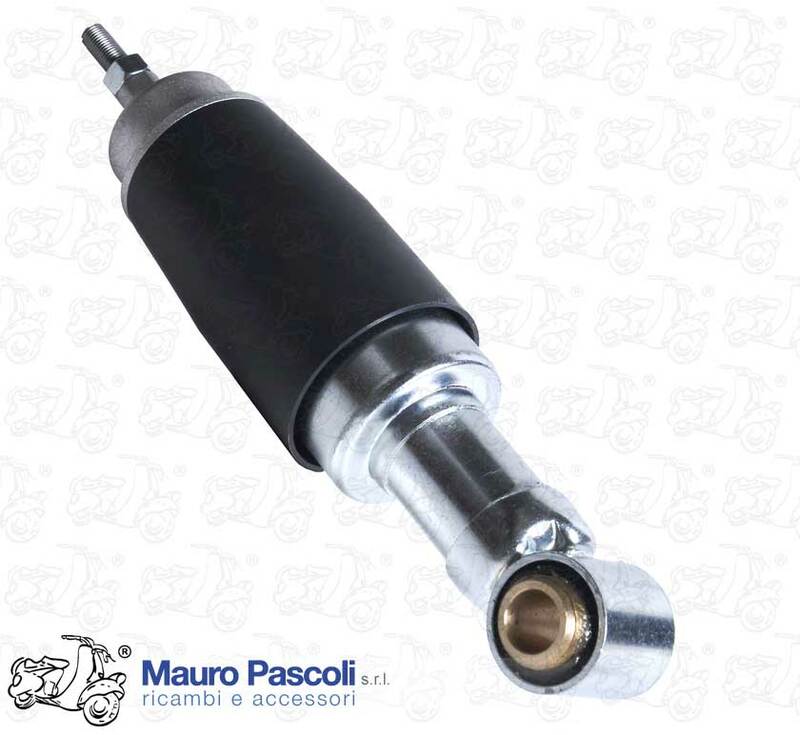 Compatibility: VESPA : V8X1T - VNB1T>6T - VNC1T - VNL2T>3T - VNX1T>2T - VNR1T>2T - VBA1T - VBB1T>2T - VBC1T - VLA1T - VLB1T - VBX1T - VLX1T - VSD1T - VSE1T - VSX1T. 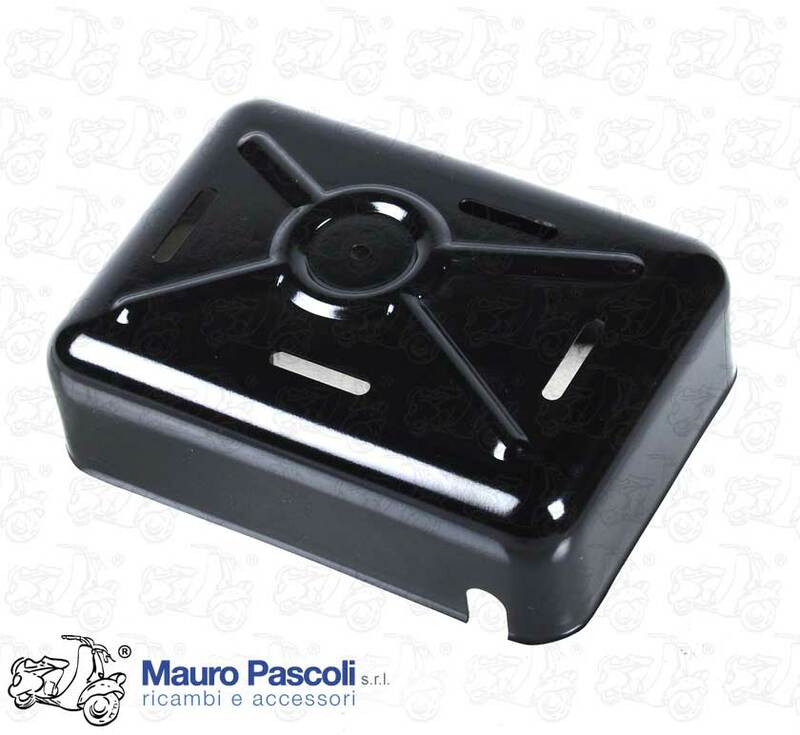 Compatibility: VESPA : VNB5T>6T - VNC1T - VNL2T - VBB1T>2T - VBC1T - VLA1T - VLB1T>2T - VSD1T - VSE1T. 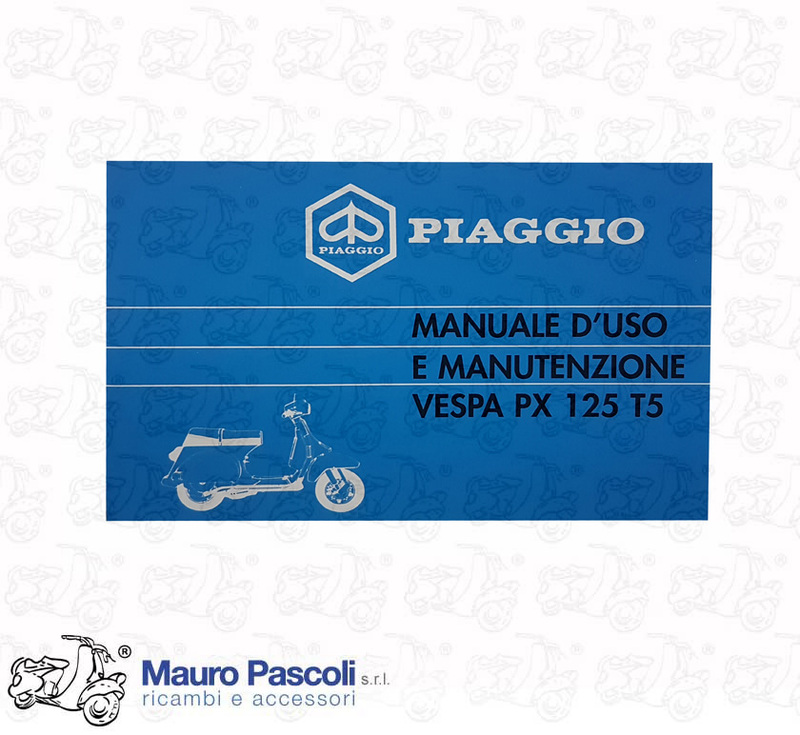 Compatibility: VESPA : V98T - 125 .V1T. 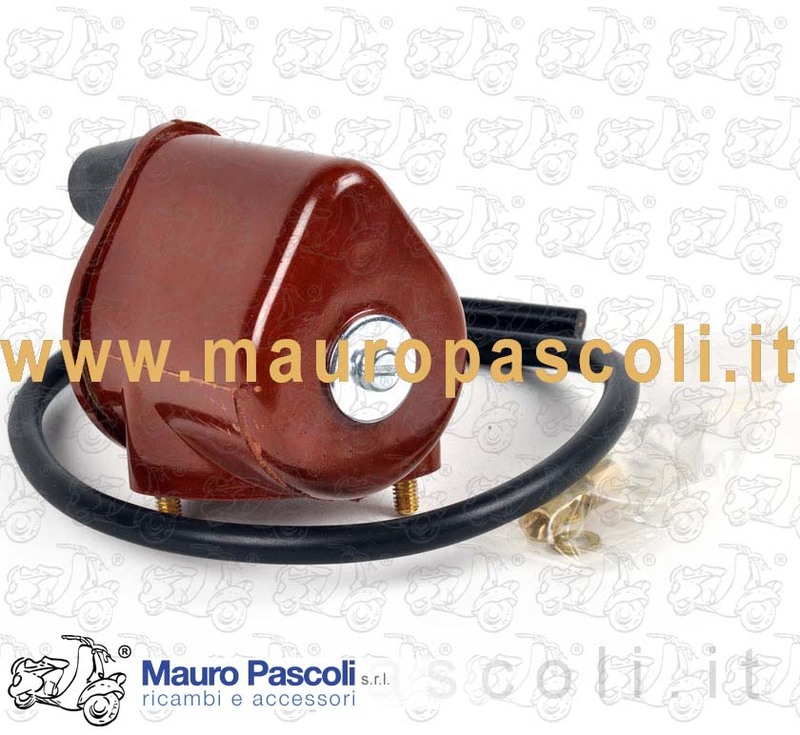 Compatibility: VESPA : 125 V1T>15T. 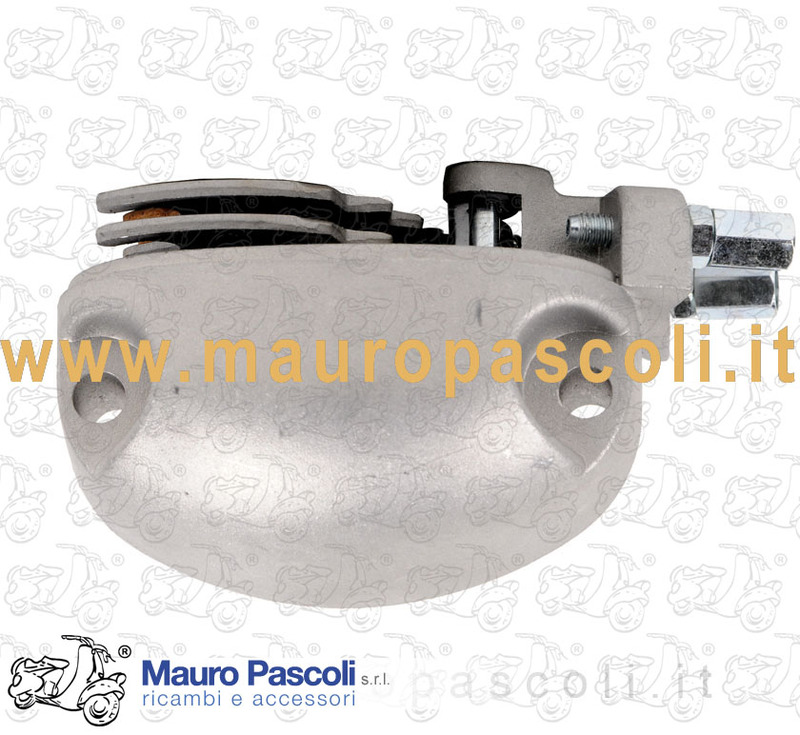 Compatibility: VESPA : V98T - V1T - V11T>15T,FINO AL MOTORE V22M. 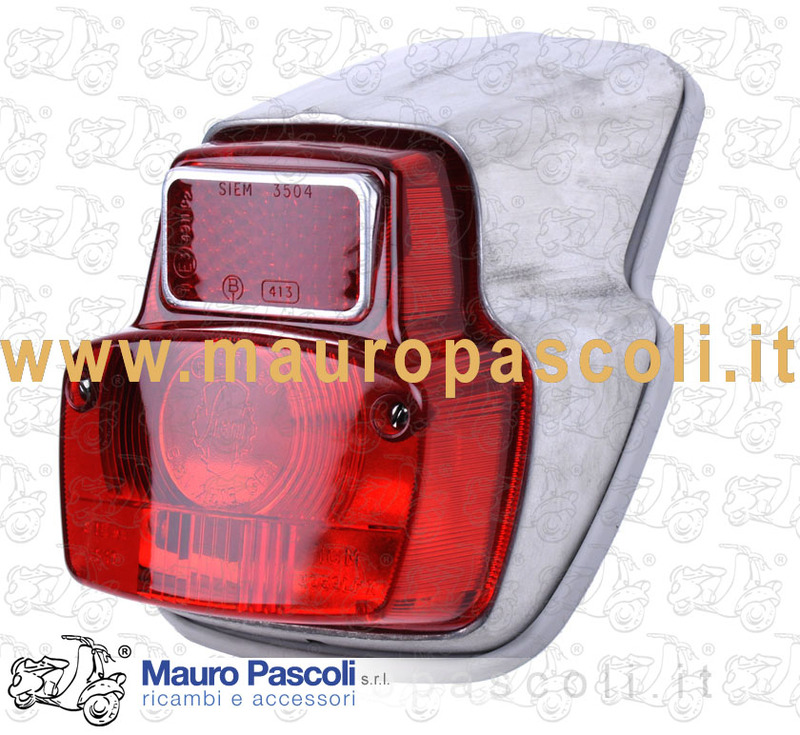 Compatibility: VESPA : VU1T - VM1T. 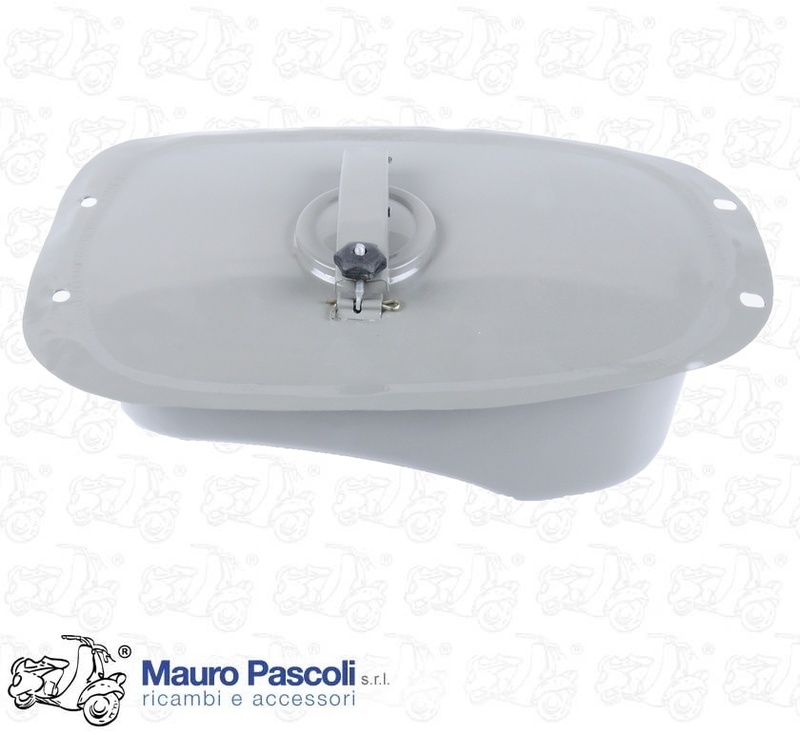 Compatibility: VESPA : VLA1T. 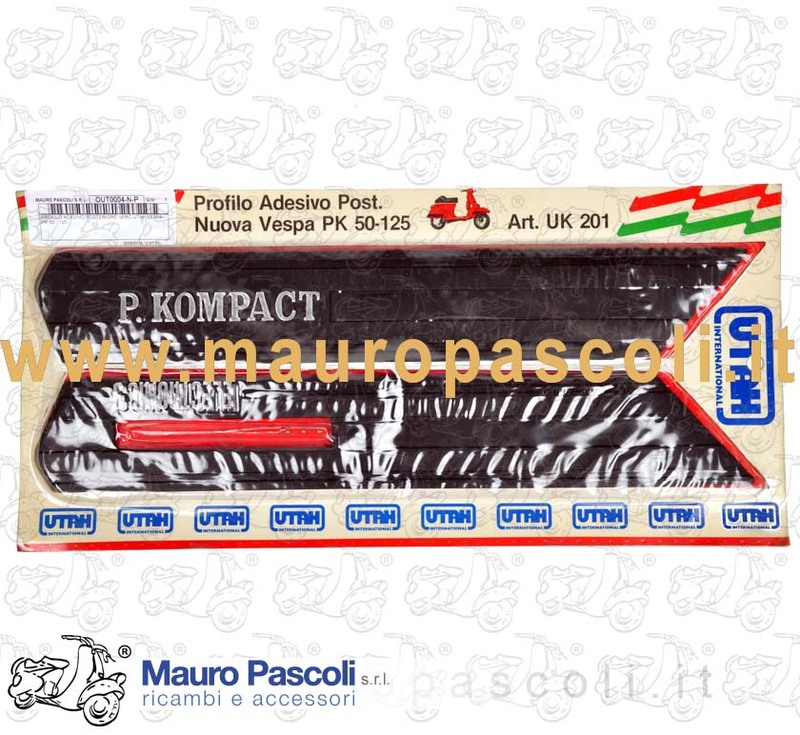 125 -VNL1T MERCATO , SVIZZERA E FRANCIA. 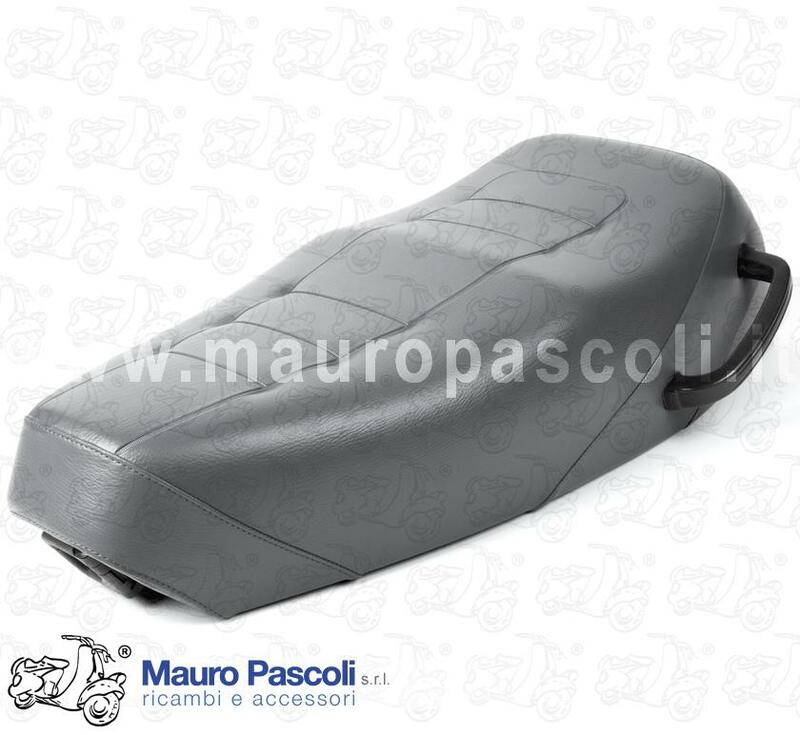 Compatibility: VESPA : V5X1T>3T - V5S1T - V8X5T - VA81T - VAM1T - VMS1T - VMX1T - VMX5T. 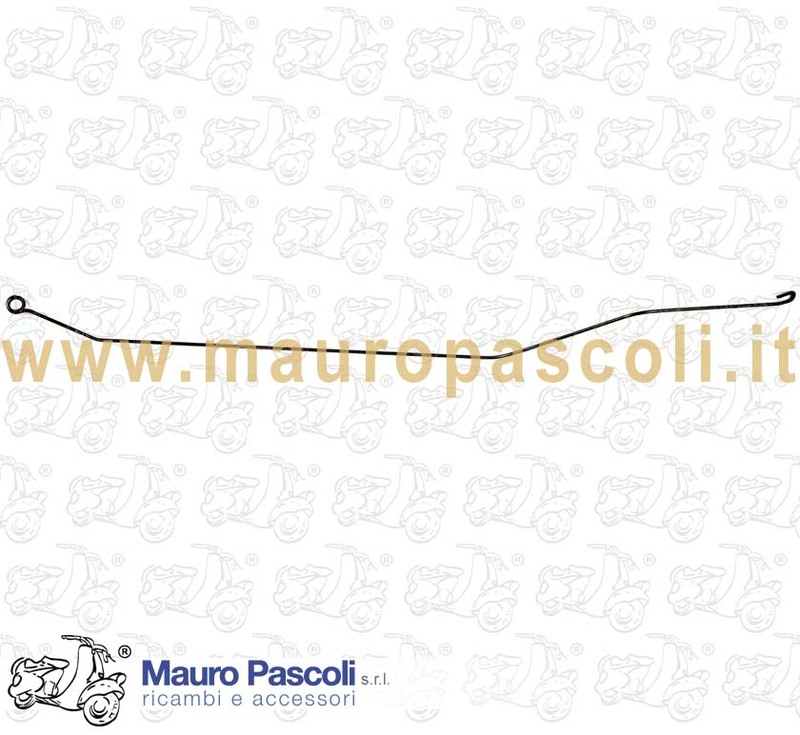 Compatibility: VESPA : GS 150 .VS1T>5T . 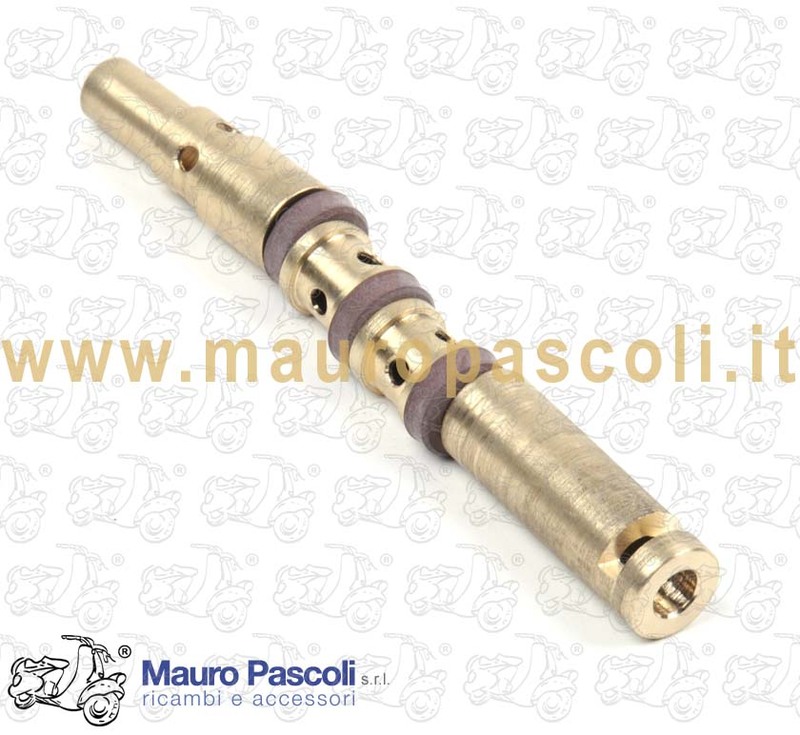 Compatibility: VESPA : VM2T - VN1T>2T - VNA1T - VNA2T >107007 - VL1T>3T - VB1T - VS1T>3T. 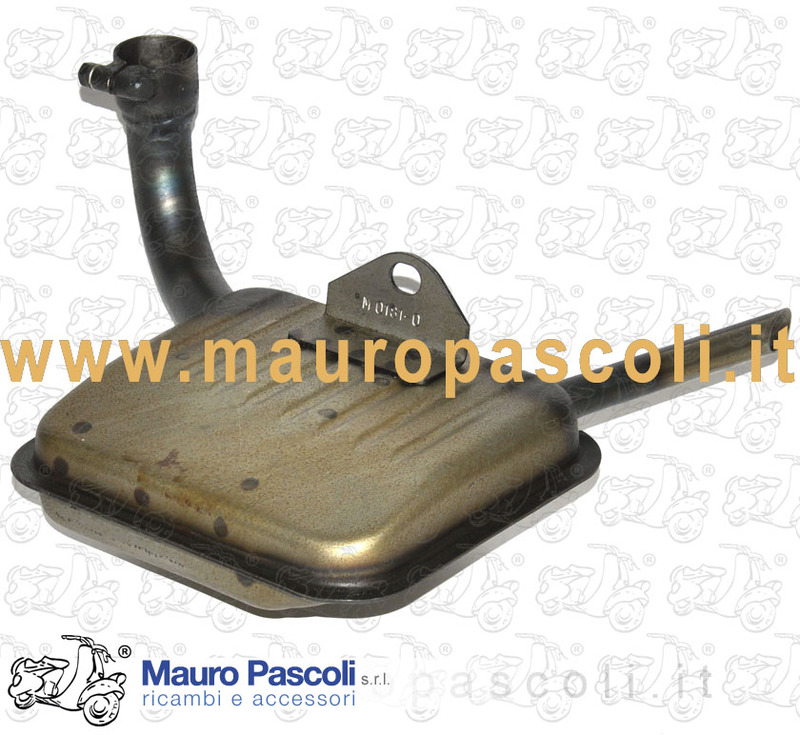 Compatibility: VESPA : 125 - VNB1T - VNB2T. 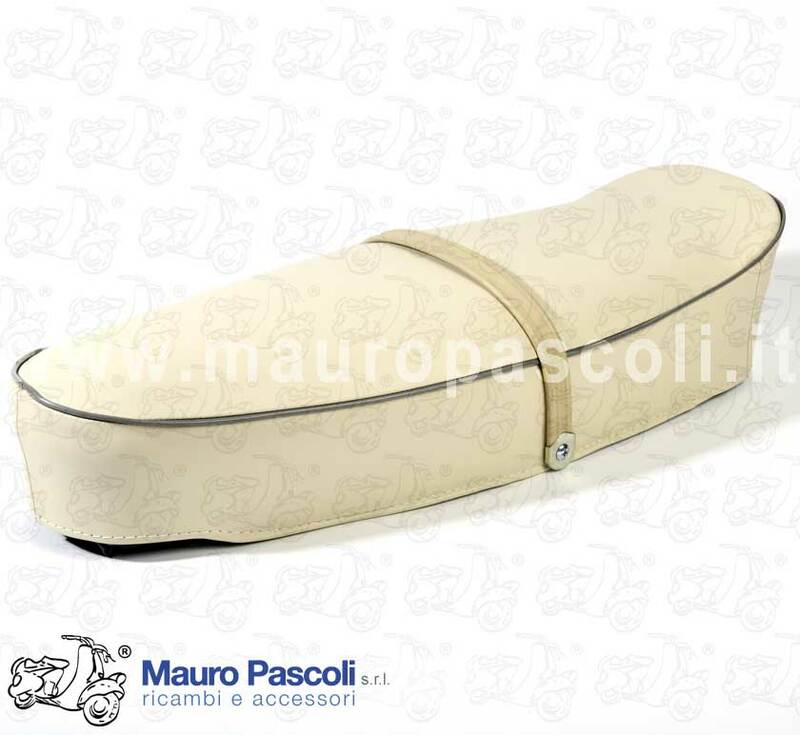 Compatibility: VESPA : SOLO VEICOLI CON LAMPEGGIATORI - V8X1T - VNX1T - VNX2T - VBX1T - VLX1T - VSX1T. 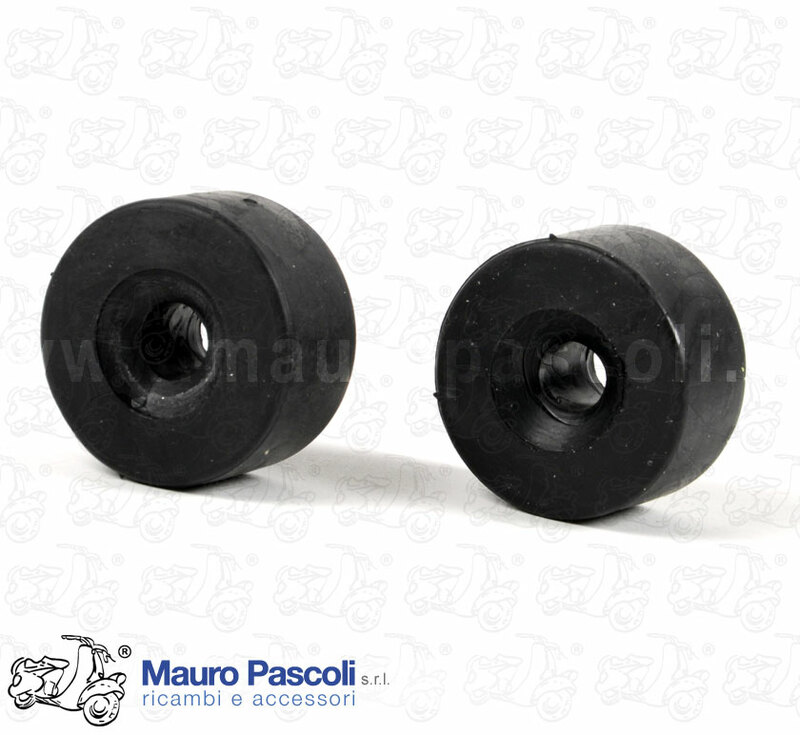 Compatibility: VESPA 50 PK V5X1T - V5X2T - V5S1T. 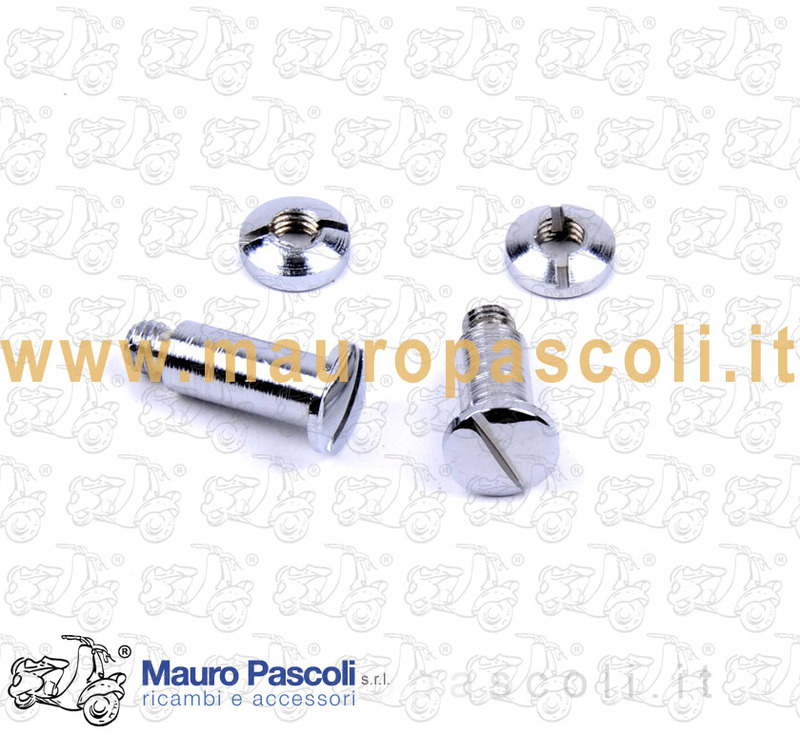 ADATTABILE : VESPA - VNX1T>145519 - VLX1T> 254544 - VSX1T> 85484 . 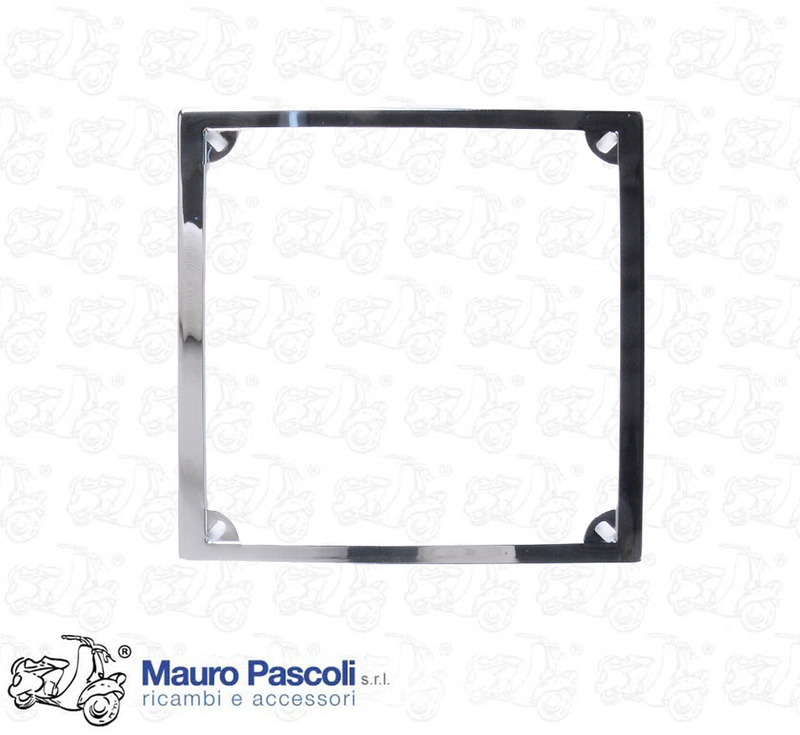 Compatibility: VESPA : V8A1T - V8X1T - VNX1T>2T - VBX1T - VLX1T - VSX1T. 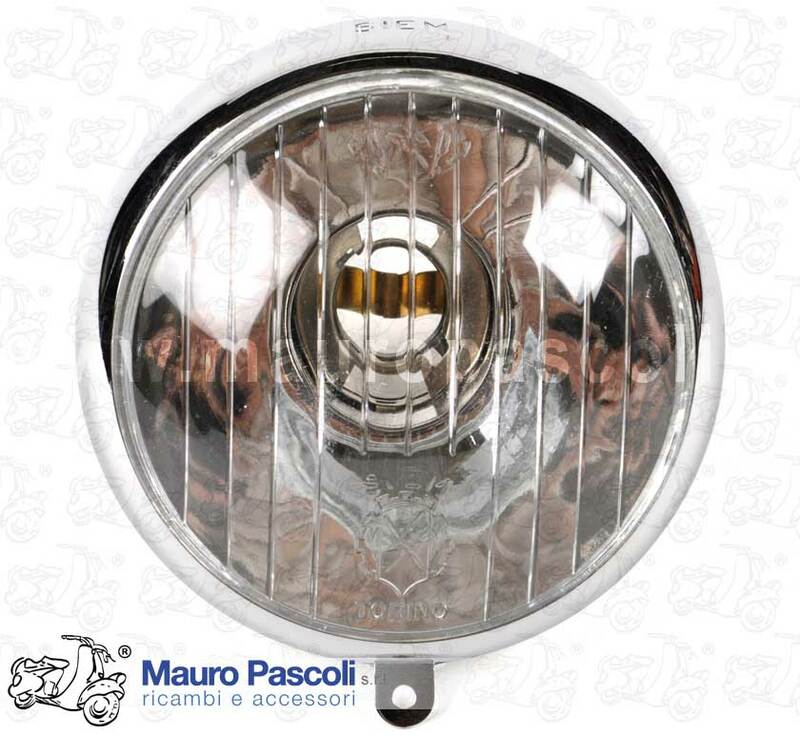 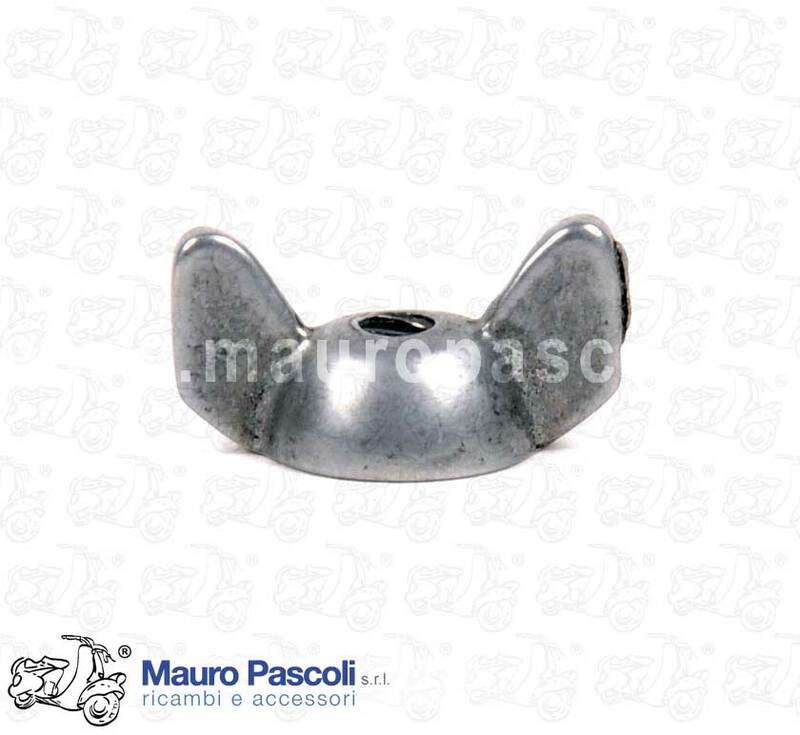 ADATTABILE : VESPA - VNX2T-FD - ZAP M093 EURO1>EURO2 2004 - ZAP M741 EURO3 2011 - VNX5T - VLX1T-FD - ZAP M094 EURO1>2 2004 - ZAP M094 EURO2 2007 - ZAP M742 EURO3 2011 - VSX1T-FD. 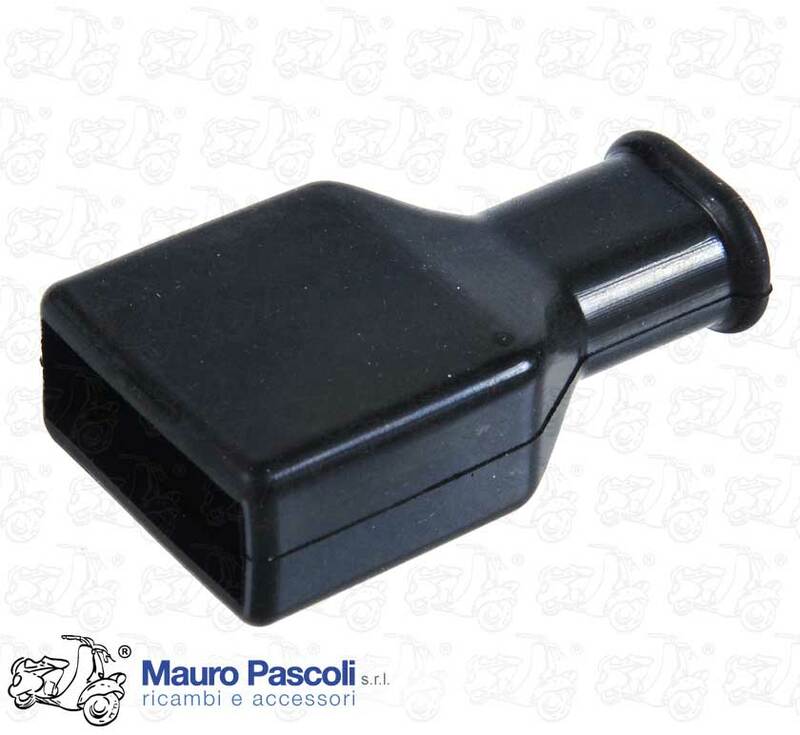 Compatibility: VESPA : VNB1T>6T - VNC1T - VGLA1T - VGLB1T - VBA1T - VBB1T>2T - VBC1T - VLA1T - VLB1T>2T. 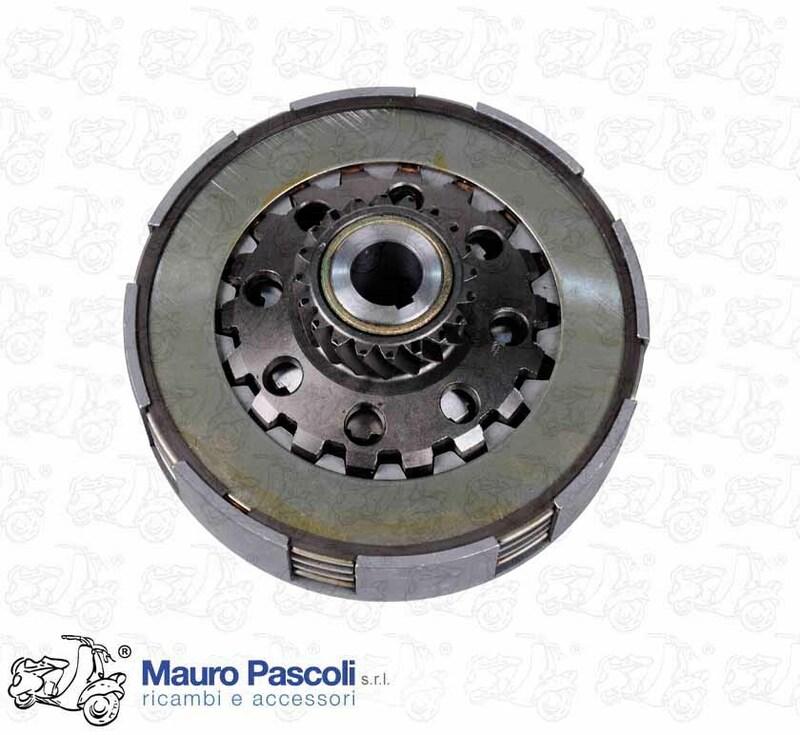 Compatibility: VESPA : 125 - VNB5T 026921>6T - VNC1T -VNL2T -VNL3T -150 - VBB2T 212456> VBC1T- VLA1T 067469> VLB1T >2T - P 150 S - VBX1T - 180 RALLY - VSD1T - 200 RALLY - VSE1T . 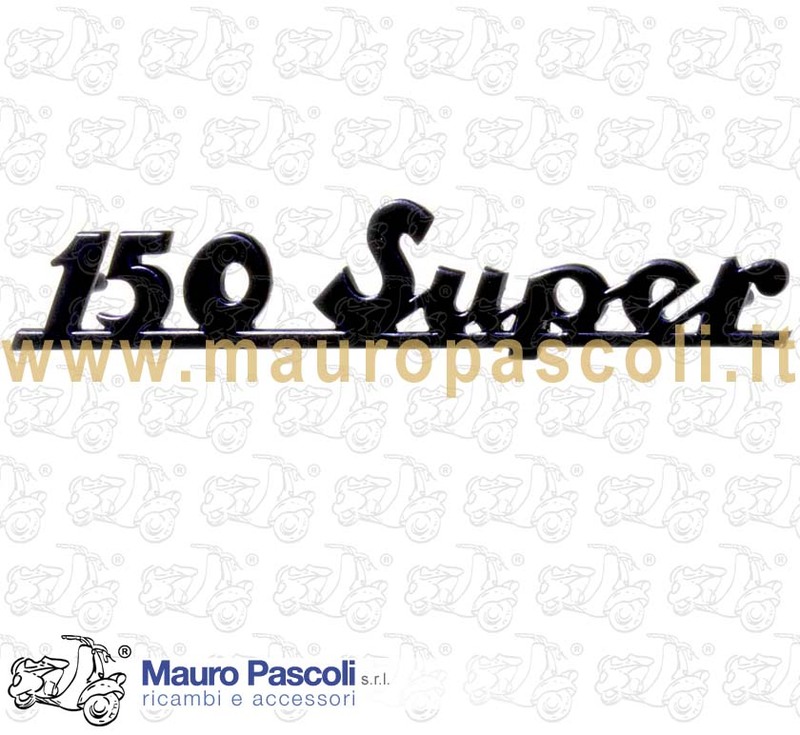 Compatibility: VESPA : 50 - V5SS1T - 90 - V9A1T >141543 - V9SS1T - 125 - VMA1T - VMA2T >140161 . 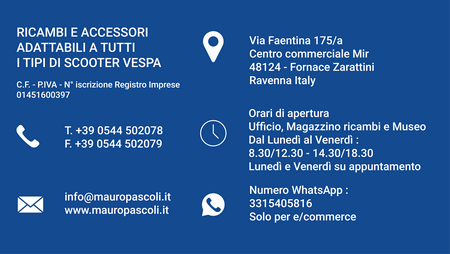 Compatibility: VESPA : V98T - V1T>15T - V30T>33T - APE : A1T>15T - AB1T>4T. 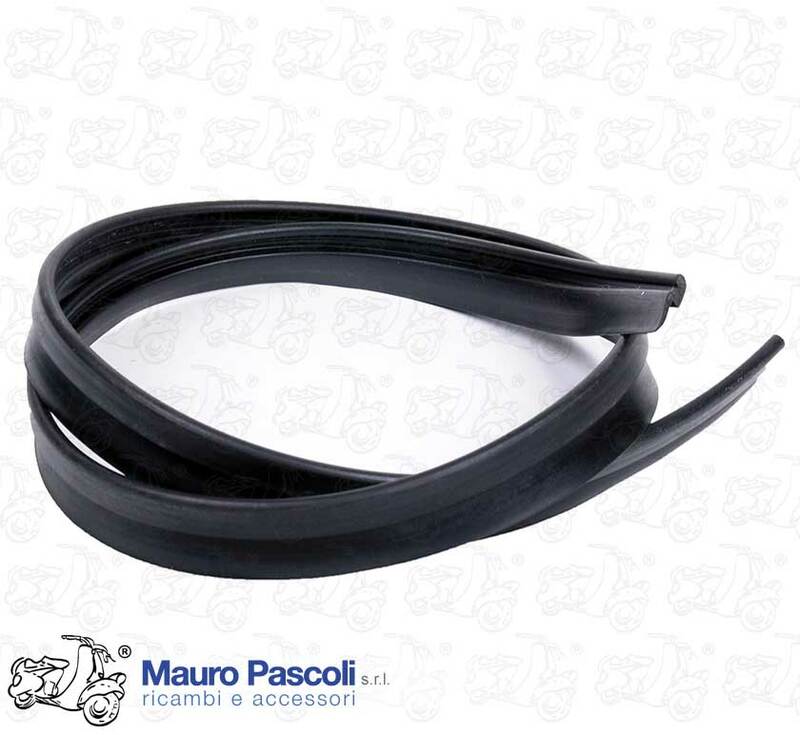 Compatibility: VESPA : V5A1T 922851> - V5B3T 310810> - V5SA1T 90091> . 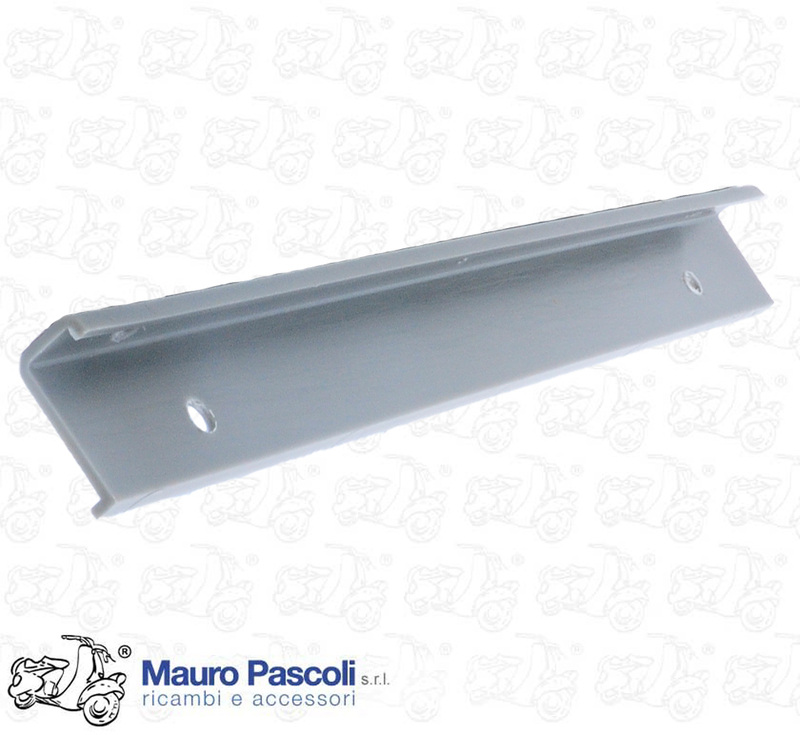 E MODELLE RER IL MERCATO ESTERO :V8A1T - V9B1T11227> . 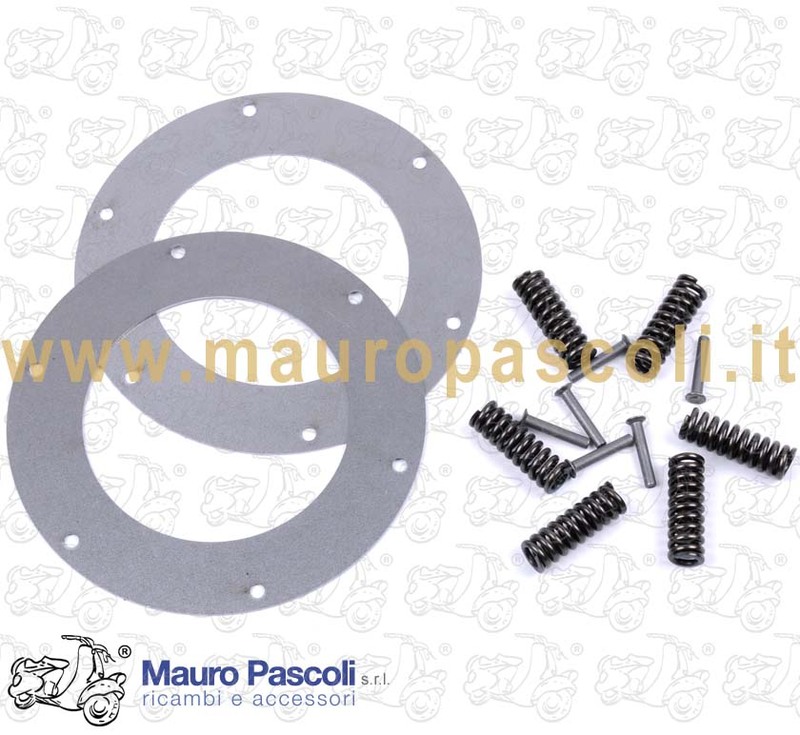 Compatibility: VESPA :V5A1T>3T - V5B1T>4T - V5R1T - V5SA1T - V5SS1T>2T - V5X1T >5T - V5N1T>2T - V5S1T>2T - V8X5T - V9A1T - V9SS1T>2T - VVM2T - VMS1T - VMX1T - VMX5T>7T - VMA1T>2T - VMB1T - APE : TL1T>3T - TM1T(125). 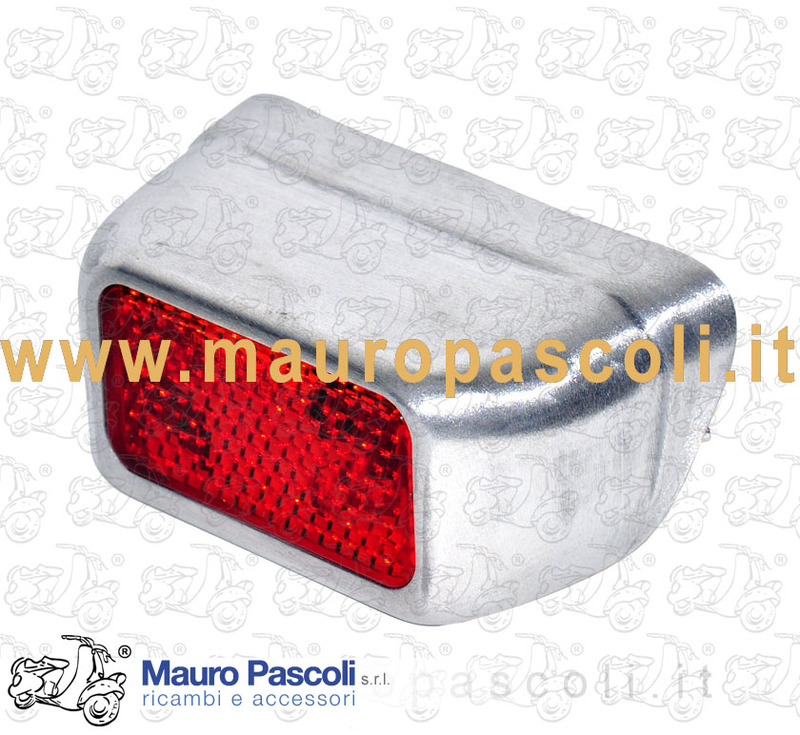 Compatibility: VESPA : V30T>33T - VU1T - VM1T. 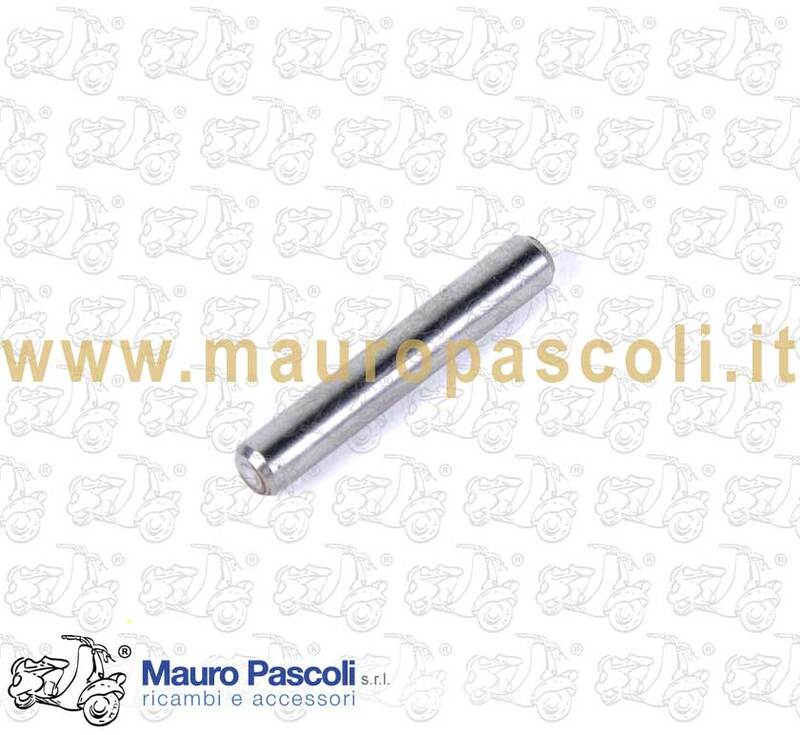 Compatibility: VESPA : 125 - V1T - V11T - V12T - V13T - V14T - V15T - V30T - V31T - V32T - V33T . 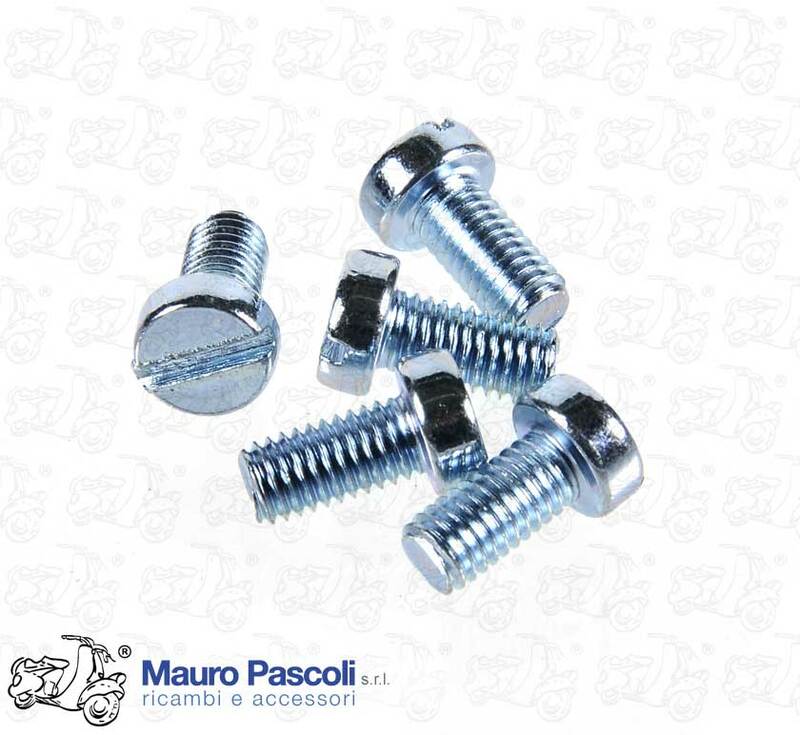 Compatibility: VESPA : V8A1T - V8X1T - VNX1T>2T - VNX5T - VLX1T - VSX1T. 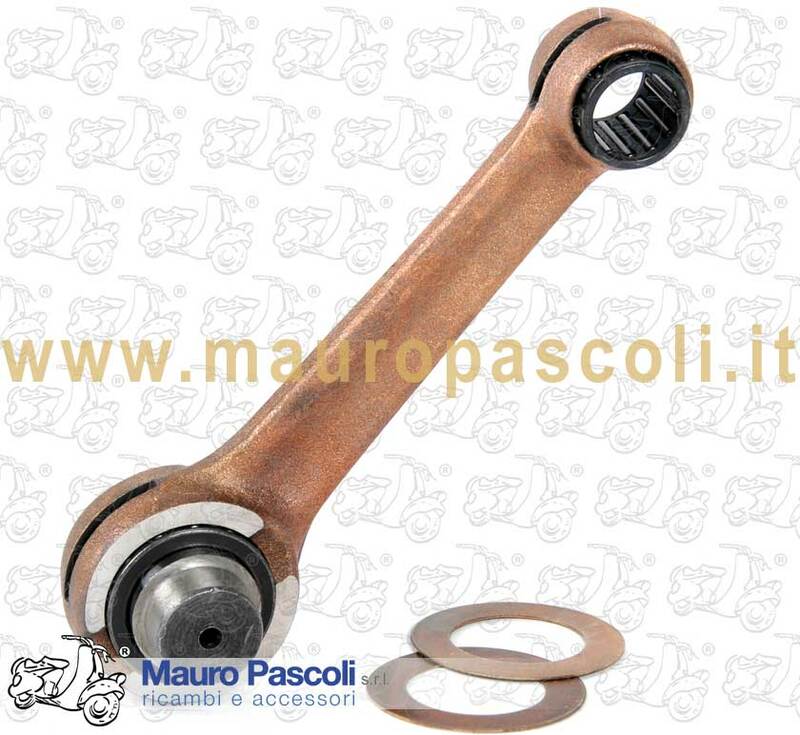 Compatibility: VESPA : V1T - V11T>15T - V30T>33T - VU1T - APE : A1T-A11T>15T. 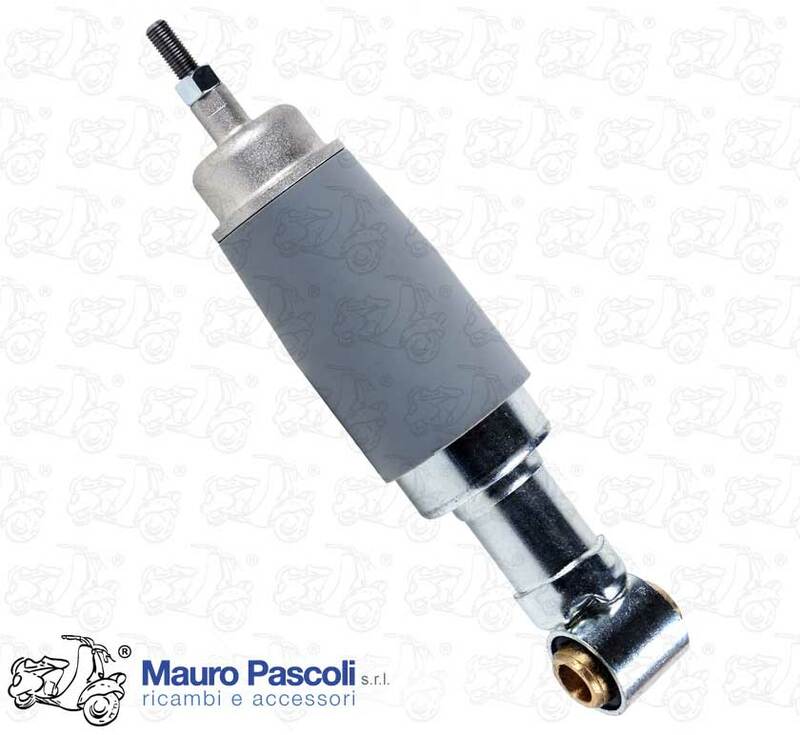 Compatibility: VESPA : VNA1T>2T - VNB1T>4T - VGLA1T - VBA1T. 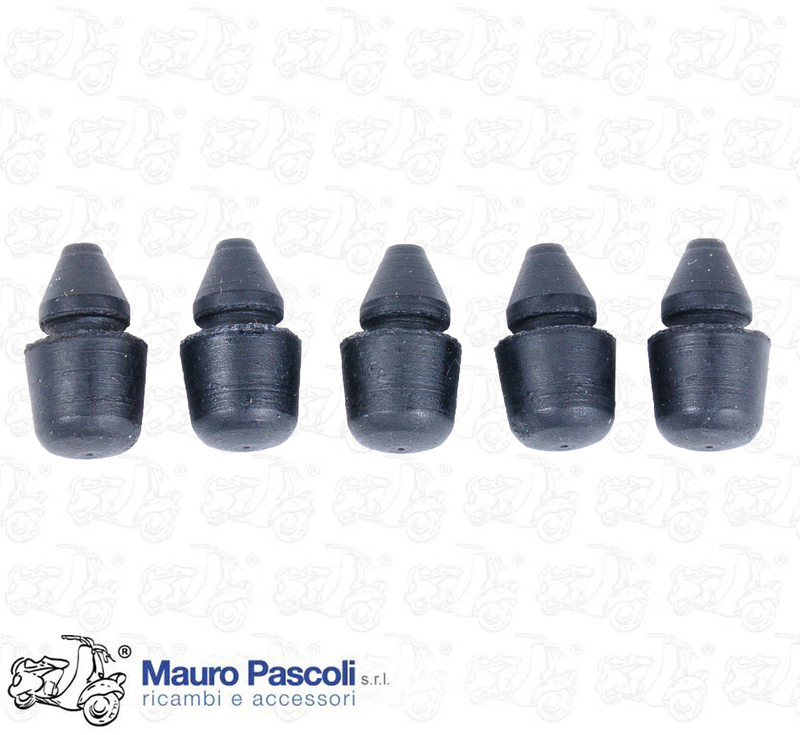 Compatibility: VESPA : V8A1T - V8X1T - VNX1T - VNX2T - VNX5T - VLX1T - VSX1T. 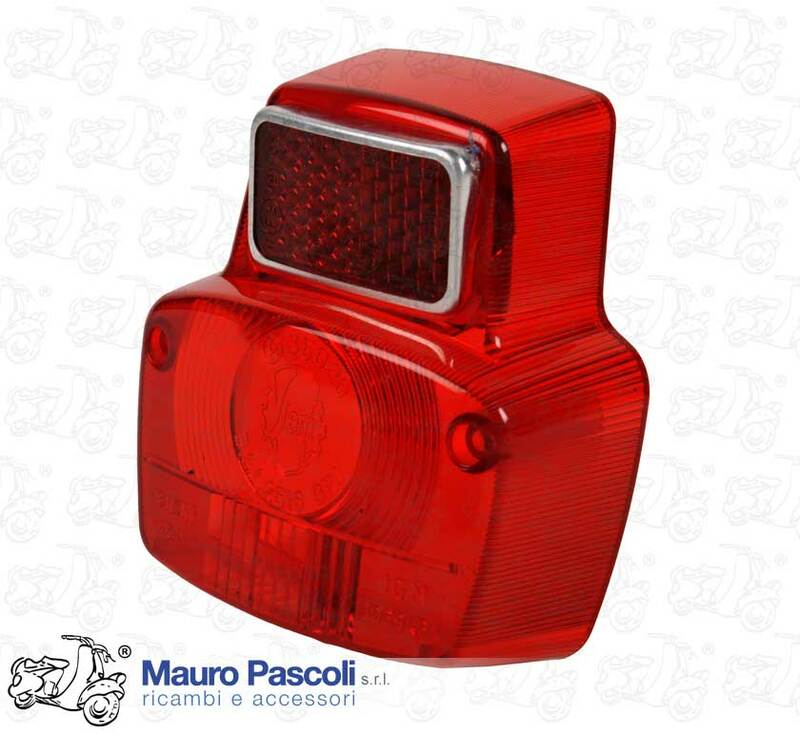 Compatibility: VESPA : VL3T - VGL1T - VB1T - VBA1T - VBB1T>2T - APE : AC1T>4T - AD1T>2T. 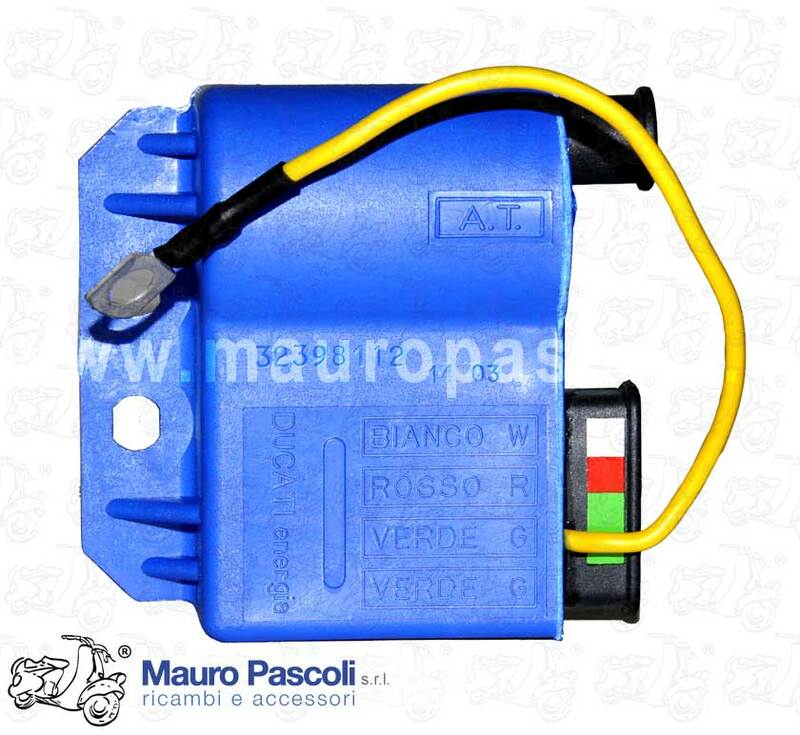 Compatibility: VESPA : VU1T - VM1T>2T - VN1T>2T - VNA1T>2T - VNB1T>4T - VL1T>3T - VB1T - VBA1T - VBB1T - VS1T>5T. 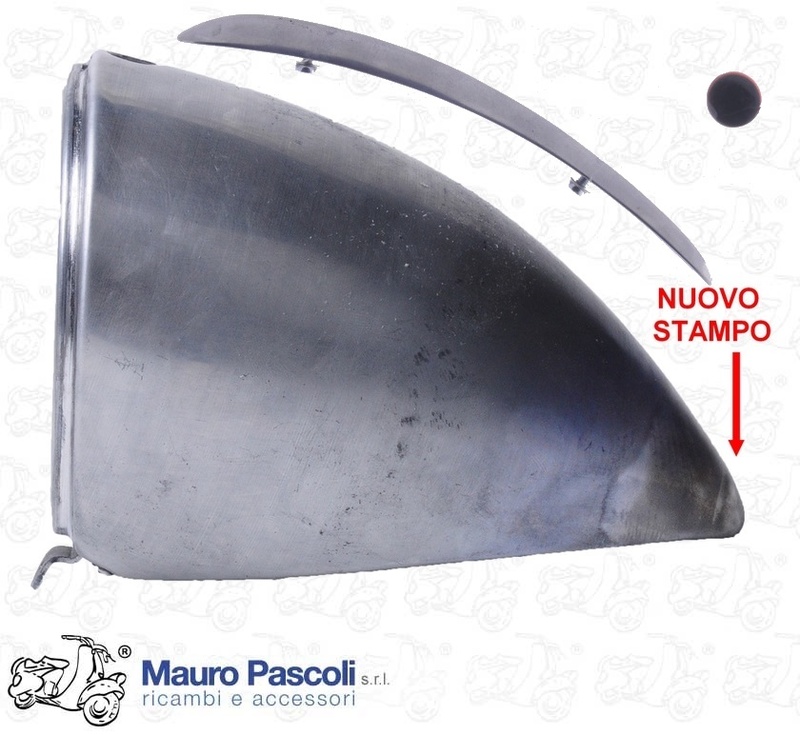 ADATTABILE : VESPA - V98T - V1T>15T - V30T>33T. 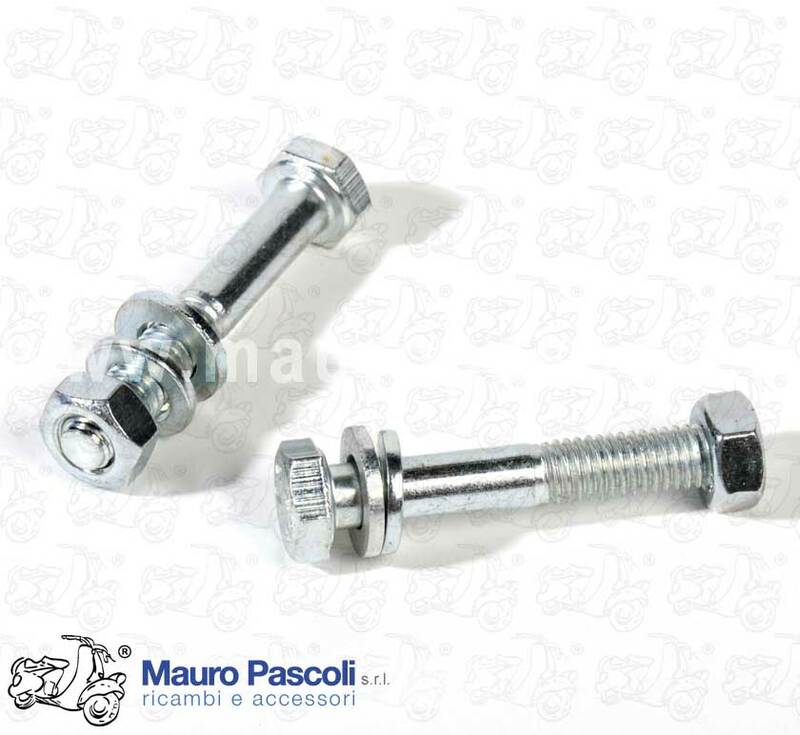 KIT N 2 BOLTS WITH NUTS AND WASHERS, FIXING SUPPORT STAND. 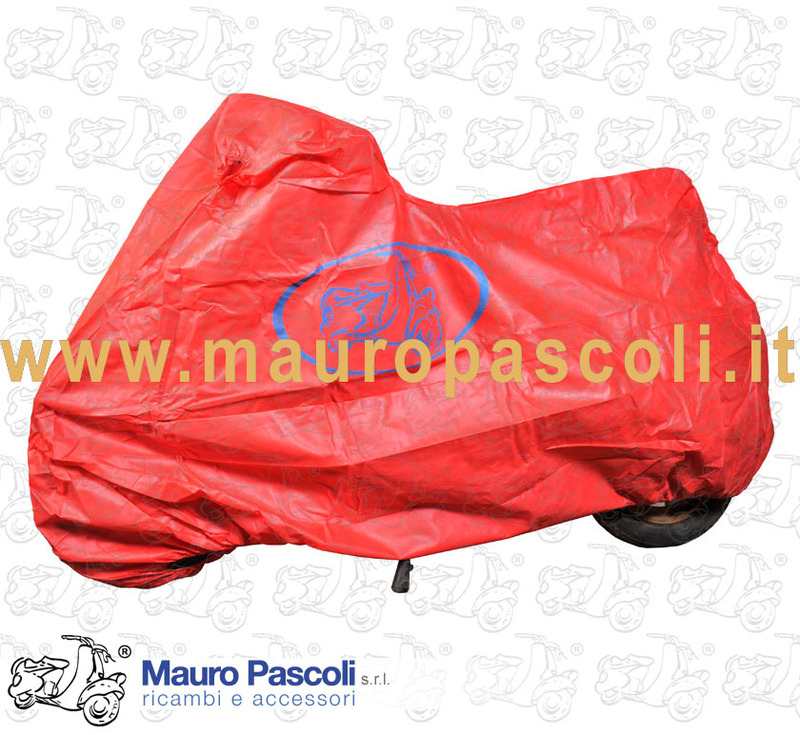 Compatibility: VESPA : V98T - V1T>15T - V30T>33T. 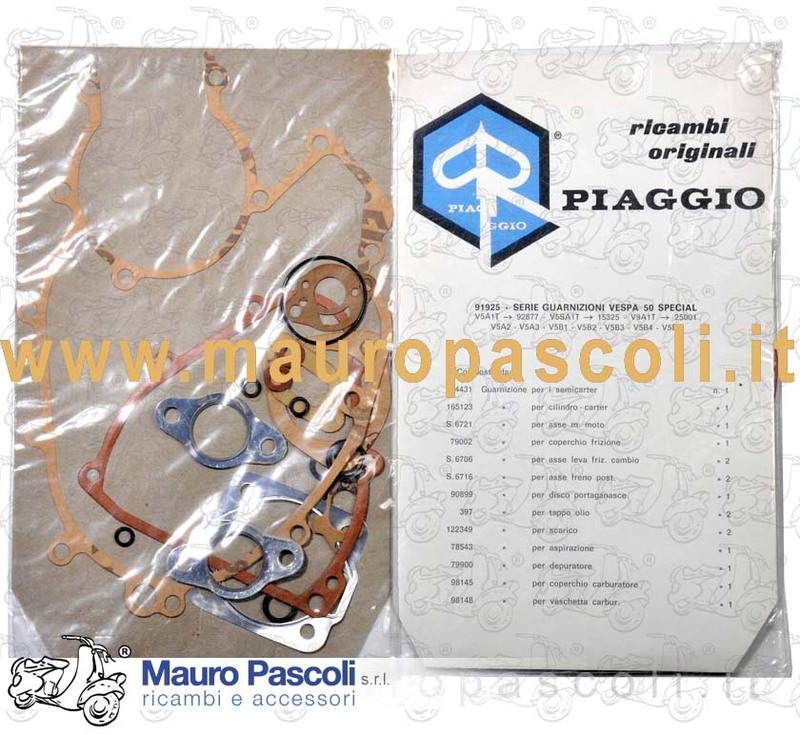 Compatibility: VESPA : 125 - VNL2T - GT - GTR - 150 - VLB1T - VLB2T - SPRINT - SPRINT VELOCE . 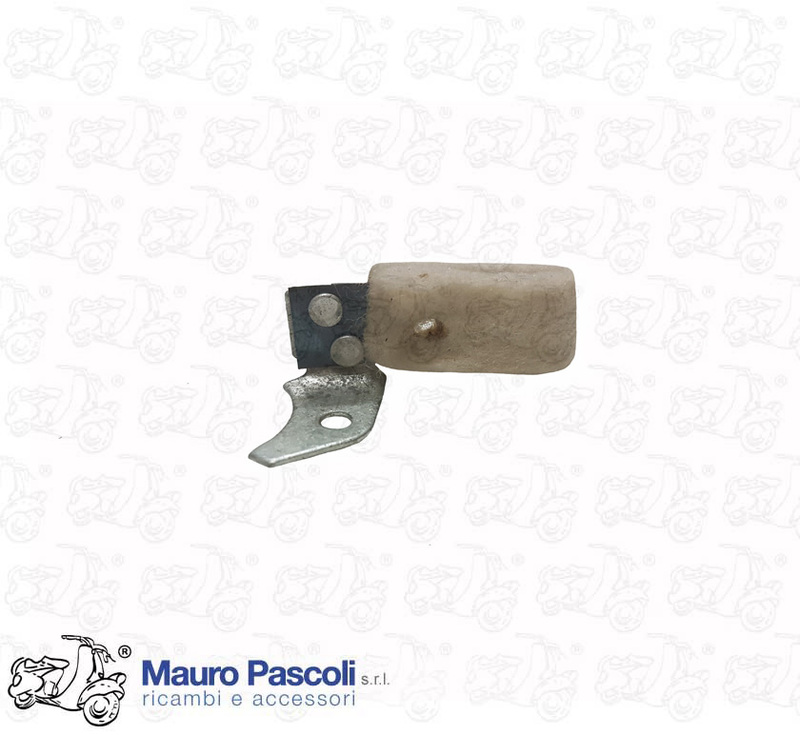 Compatibility: VESPA : 125 - V11T >32860 . 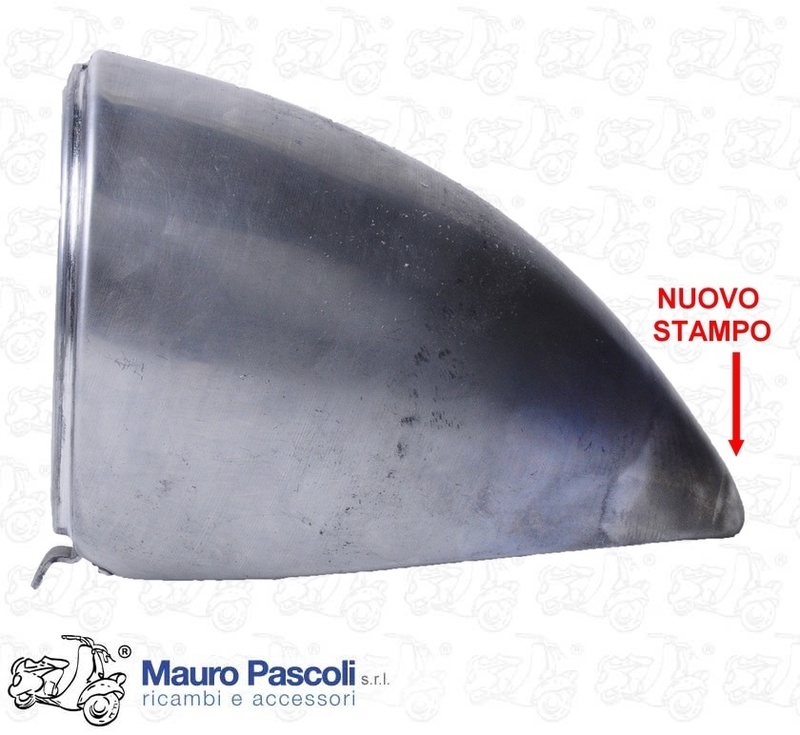 ADATTABILE : VESPA 125 - V12T - V13T - V14T - V15T . 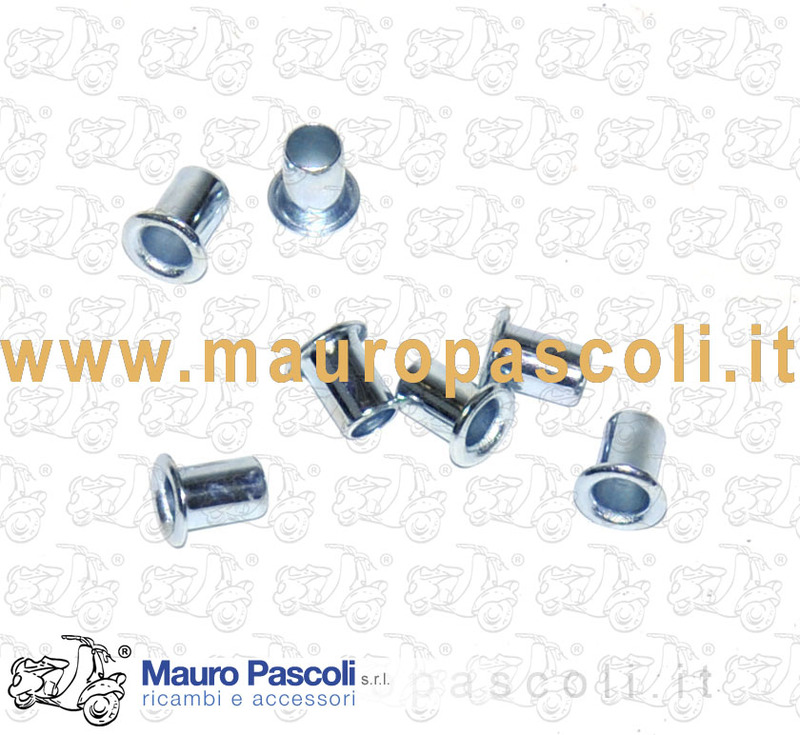 Compatibility: VESPA : V5A1T>3T - V5B1T>4T - V5R1T - V5SA1T - V5SS1T>2T - V5X1T>3T - V5N1T - V5S1T - V9A1T - V9SS1T>2T - VMA1T>2T - VMB1T. 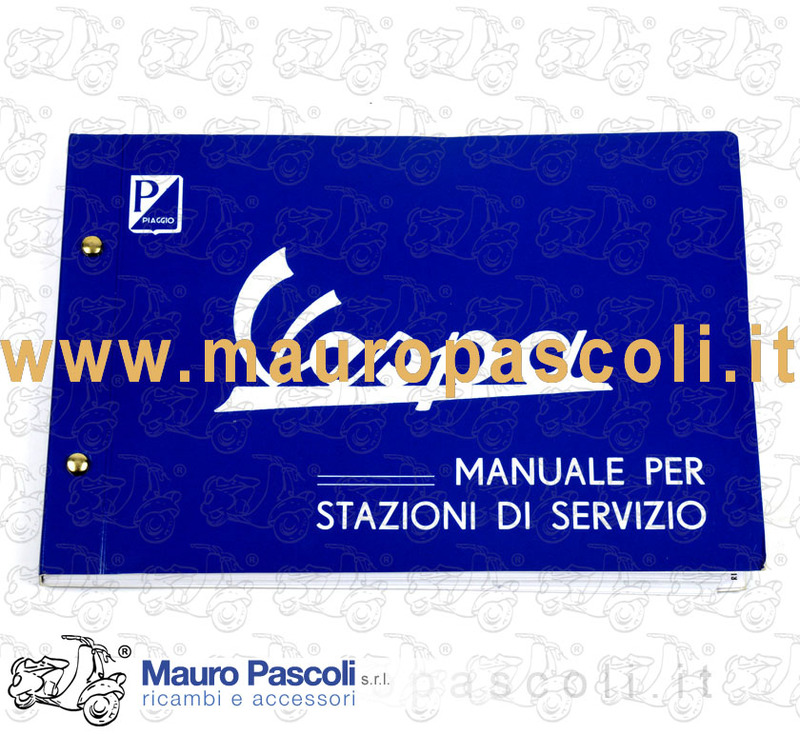 Compatibility: VESPA : V30T>33T - VM1T>2T - VN1T>2T - VNA1T>2T - VNB1T>2T - VL1T>3T - VB1T - VS1T>5T. 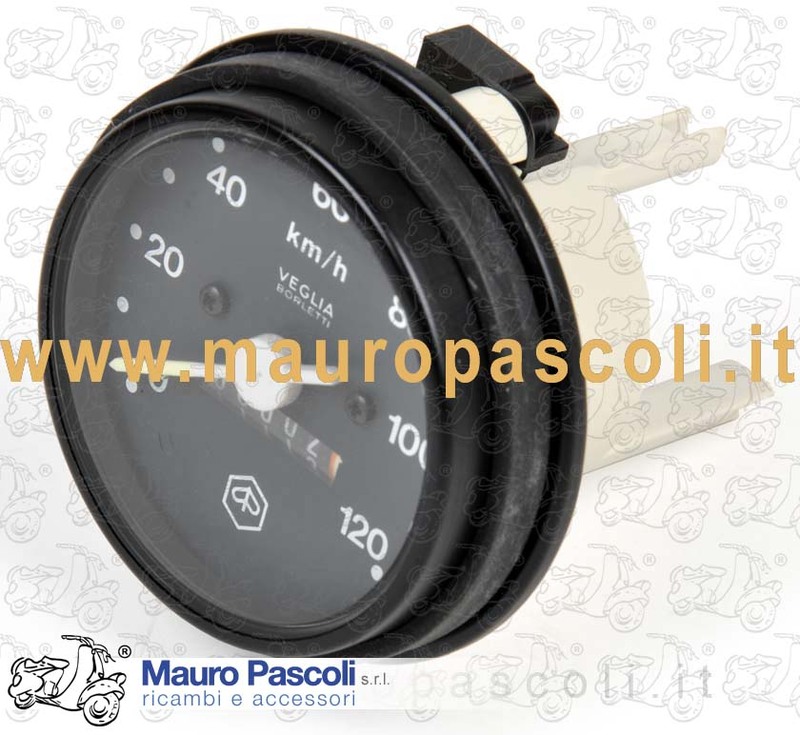 Compatibility: VESPA : VNA1T>2T - VNB1T>6T - VBA1T - VBB1T>2T. 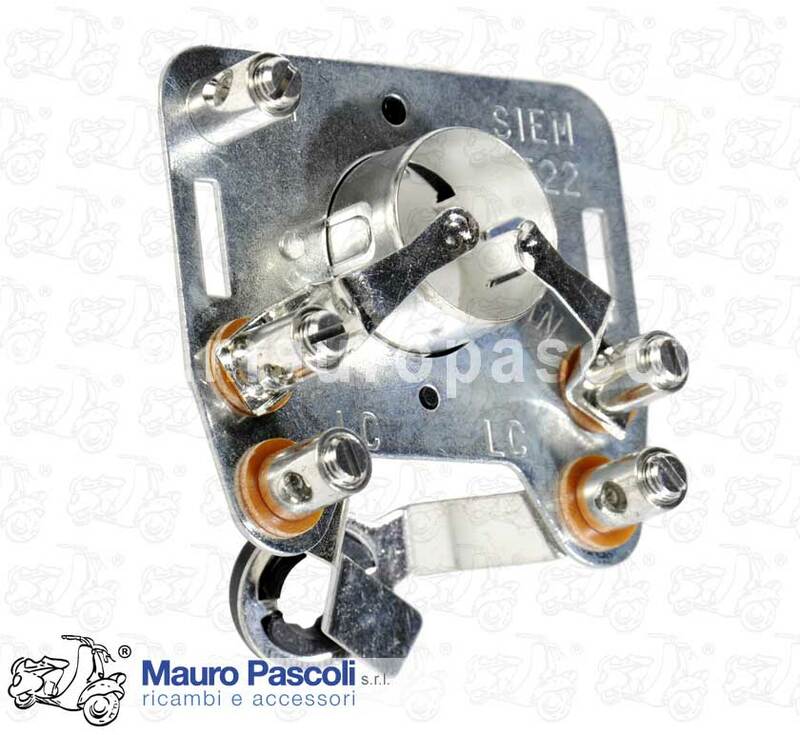 Compatibility: VESPA : V5A1T>2T - V5SA1T - V5SS1T>2T - V9A1T - V9SS1T>2T - VMA1T>2T - VM1T>2T - VN1T>2T - VNA1T>2T - VNB1T>6T - VNC1T - VL1T>3T - VGL1T - VGLA1T - VGLB1T - VB1T. 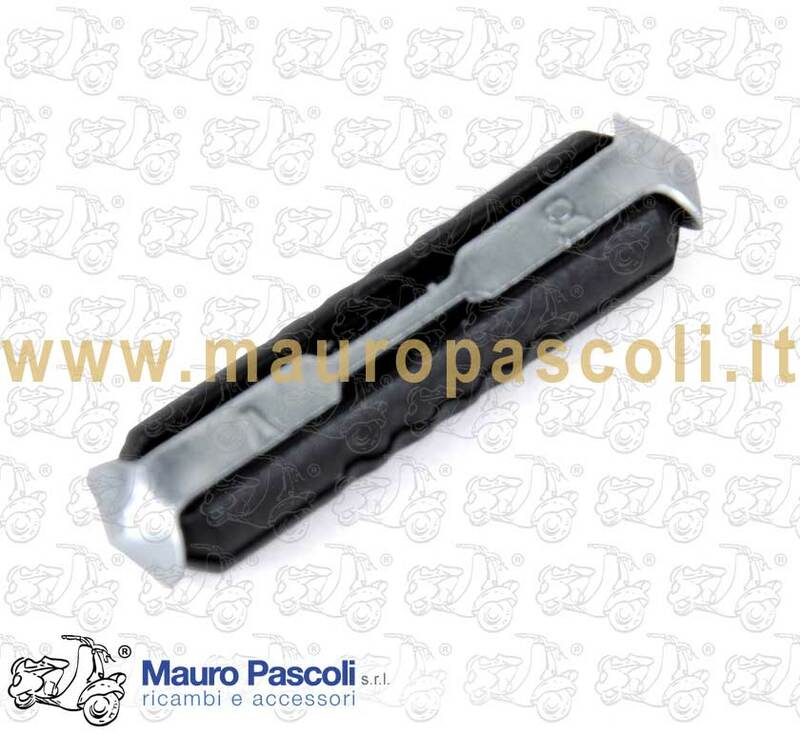 Compatibility: VESPA : V5SS1T - V9A1T >90970 - V9SS1T>2T - VMA1T - VNB3T>6T - VNC1T - VBB1T 71001> - VBB2T - VBC1T >216812 - VSB1T. 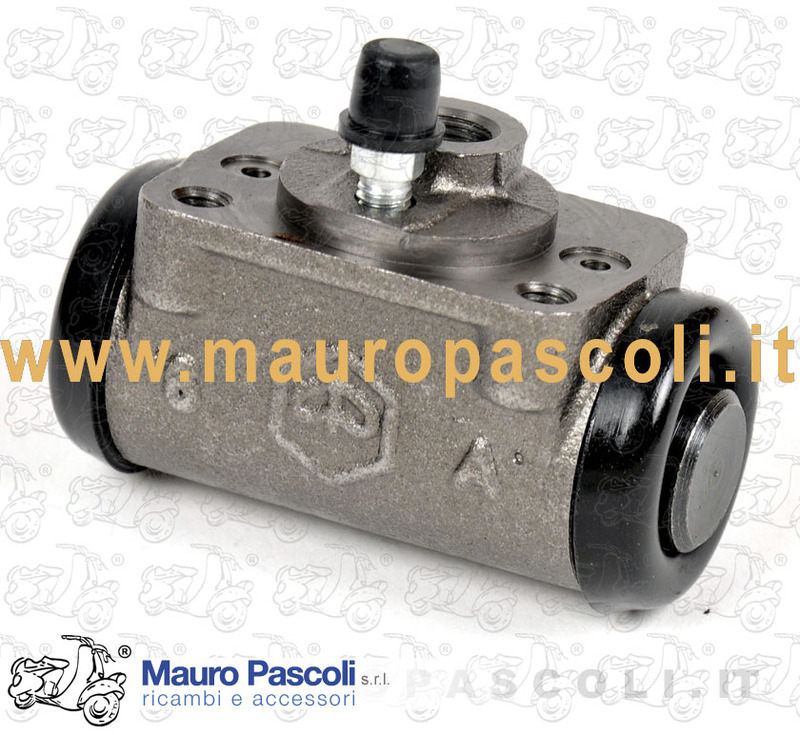 Compatibility: VESPA : V98T - V1T>15T - V30T>33T - VU1T - APE : A1T>15T - AB1T>2T. 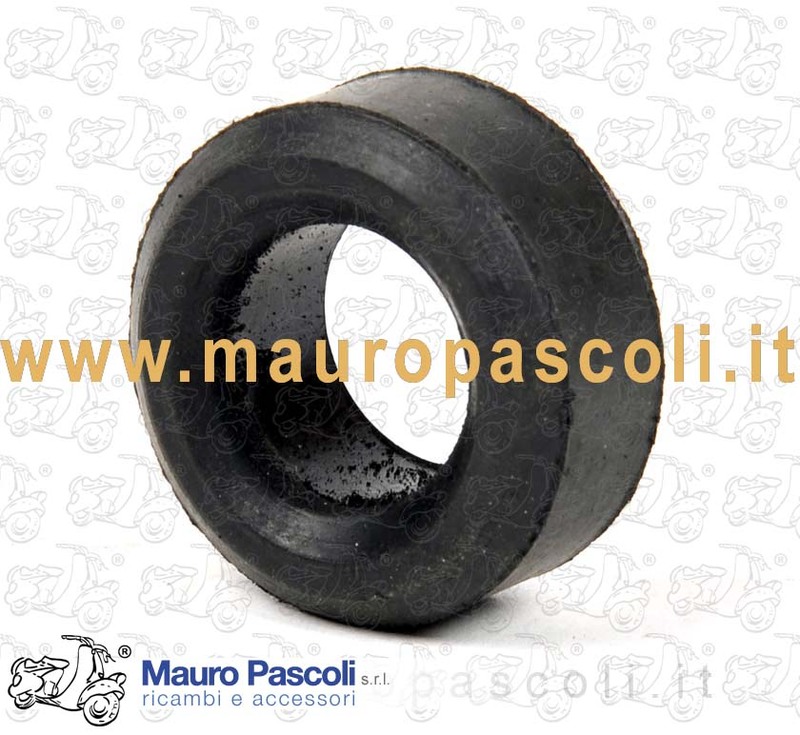 Compatibility: APE : A1T-A11T>15T - AB1T>4T - AC1T>4T - AE1T - PENTARO : APA1T - APB1T. 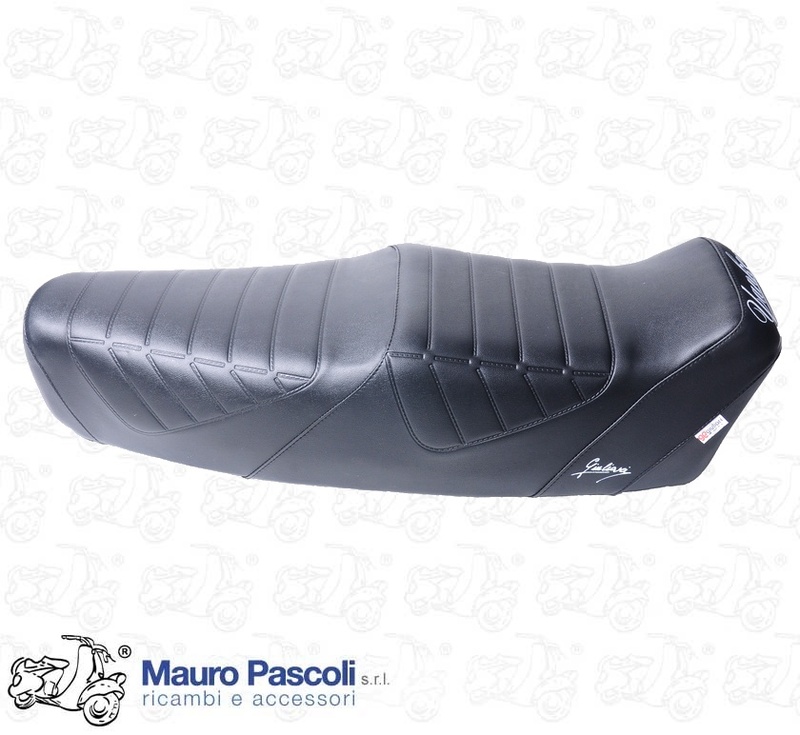 Compatibility: VESPA : V8X1T - VNX1T - VNX2T>135966 - VBX1T - VLX1T>552410 - VSX1T>195574. 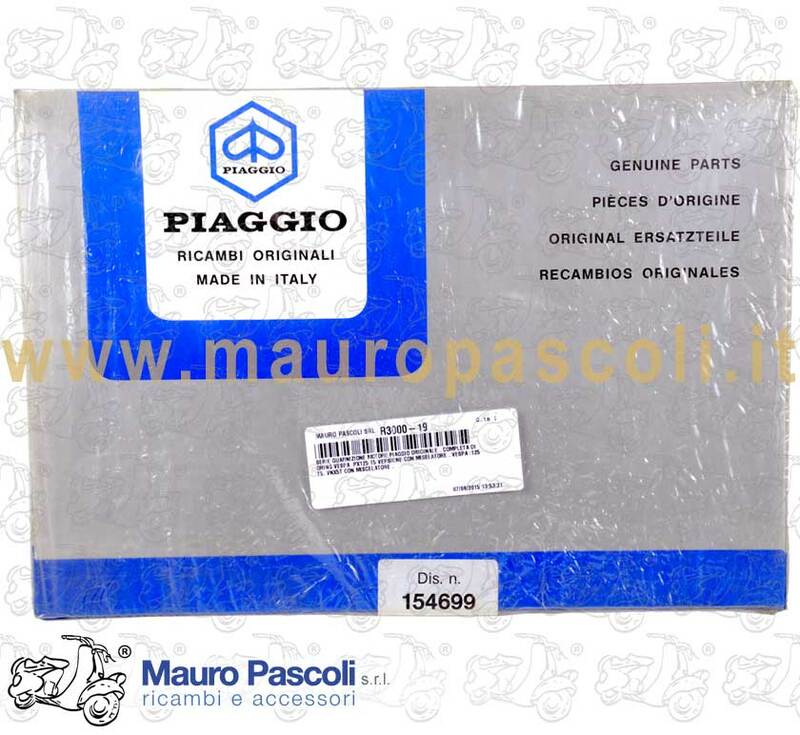 Compatibility: VESPA : VLB1T 52001> - VLB2T 50001> >51523 - MERCATI ESTERI 125 GT-125 SPRINT MOD VNL2T . 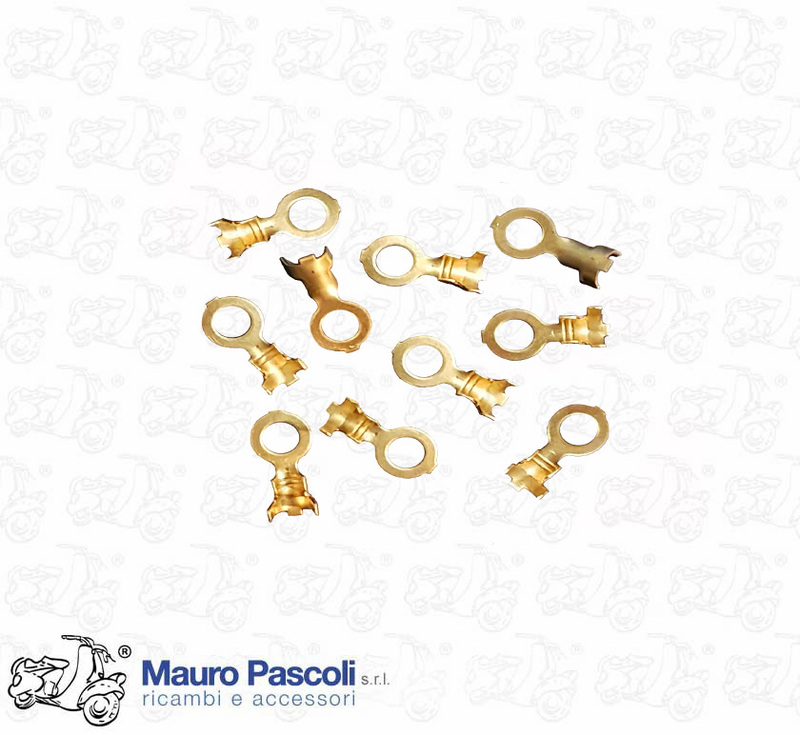 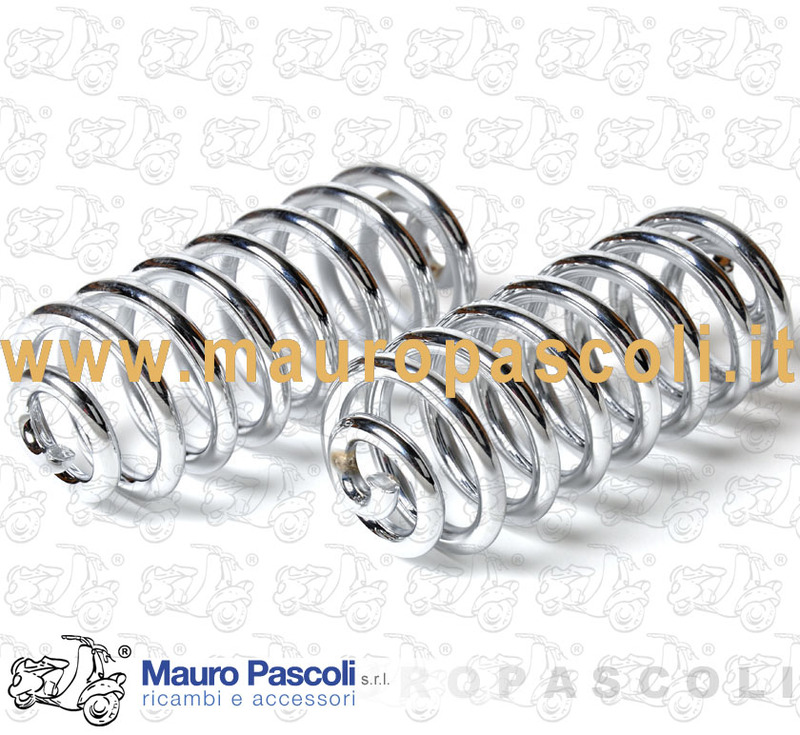 Compatibility: VESPA : 50 S - V5SA1T 69245> - 90-V9A1T 141544> - 125 PRIMAVERA - VMA2T 140162> - 125 PRIMAVERA ET3 - VMB1T . 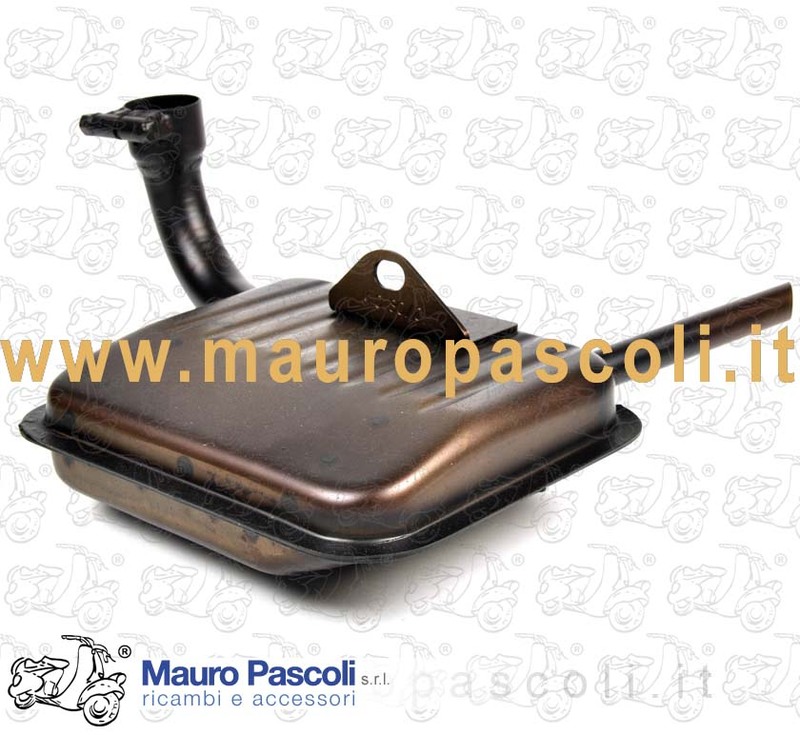 Compatibility: VESPA : 125 .V30T - V31T - V32T - V33T . 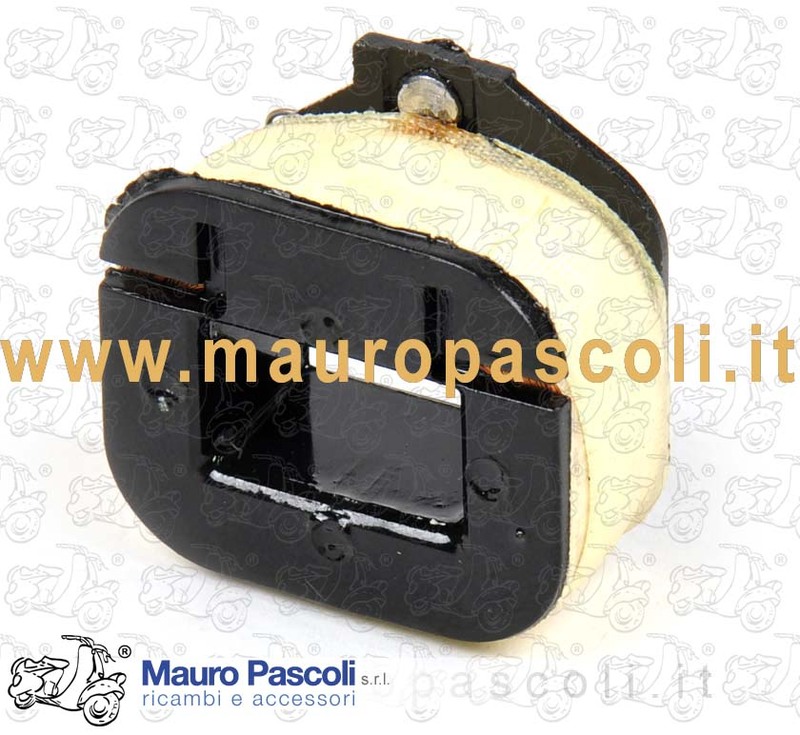 Compatibility: VESPA : VSD1T - VSE1T. 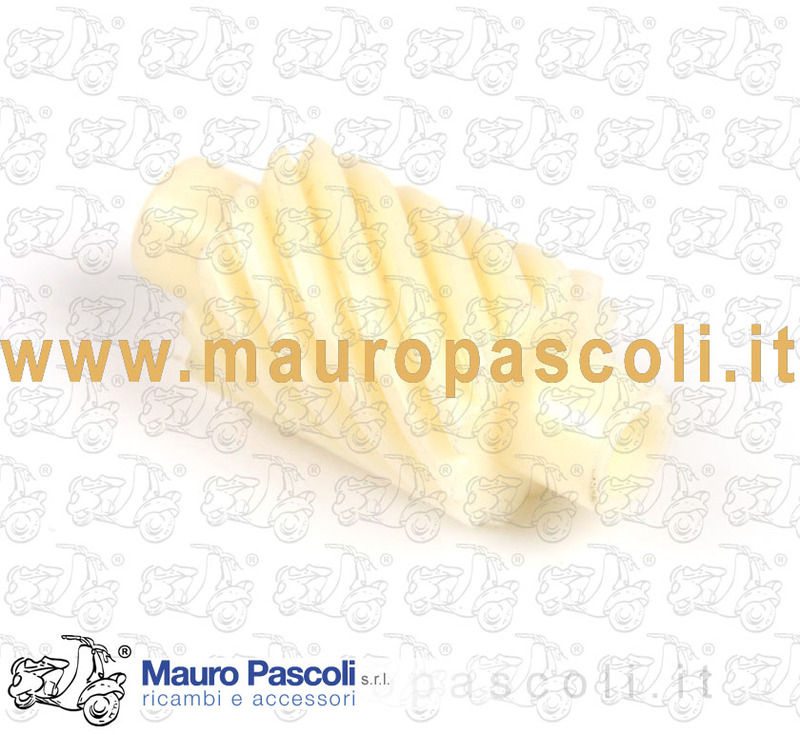 RALLY. 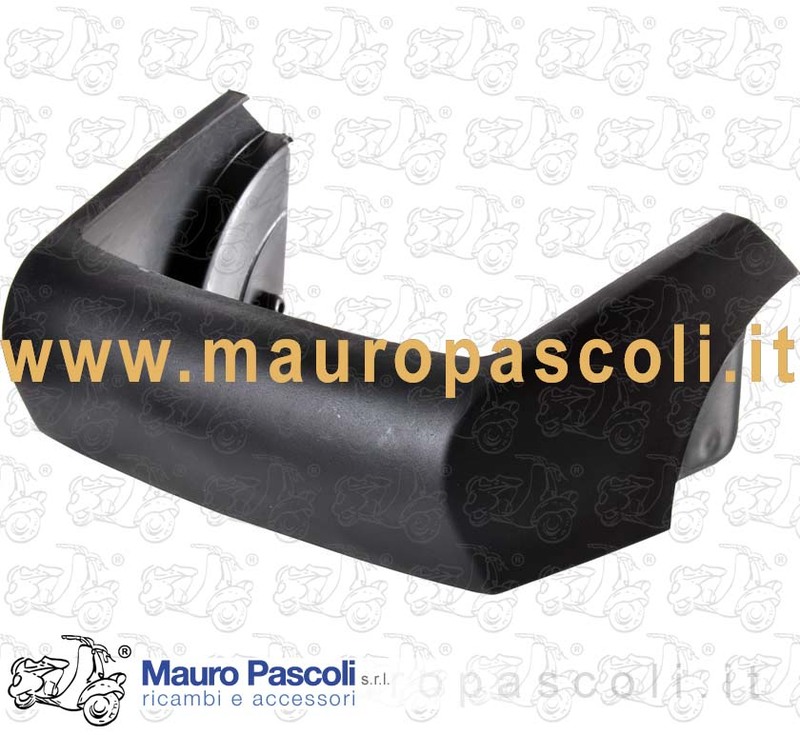 Compatibility: VESPA : VSC1T - VSD1T - VSE1T. 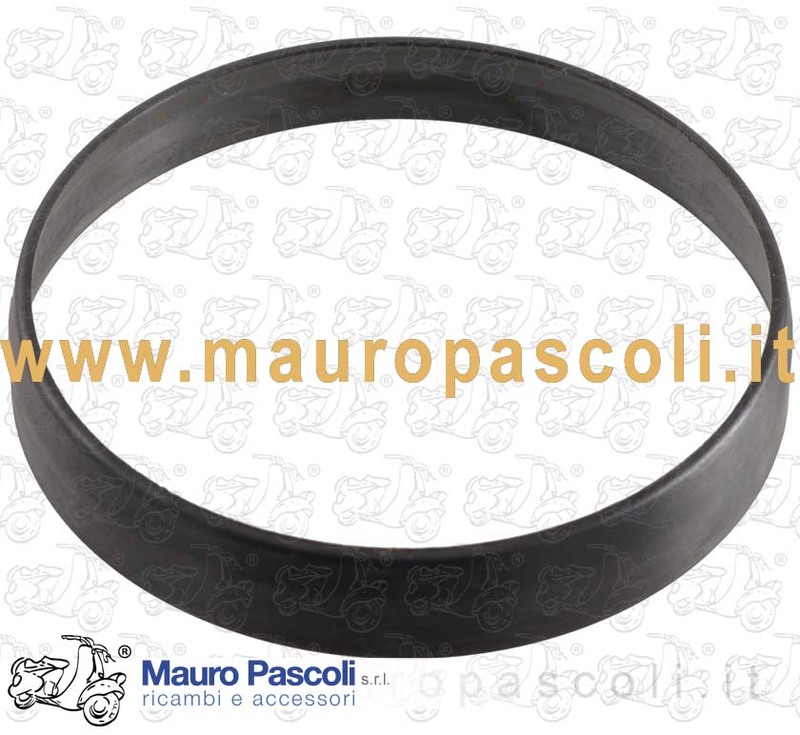 Compatibility: VESPA : V1T - V11T>15T - V30T>32T >228595 - APE : AB1T>4T - AC1T>3T >79315. 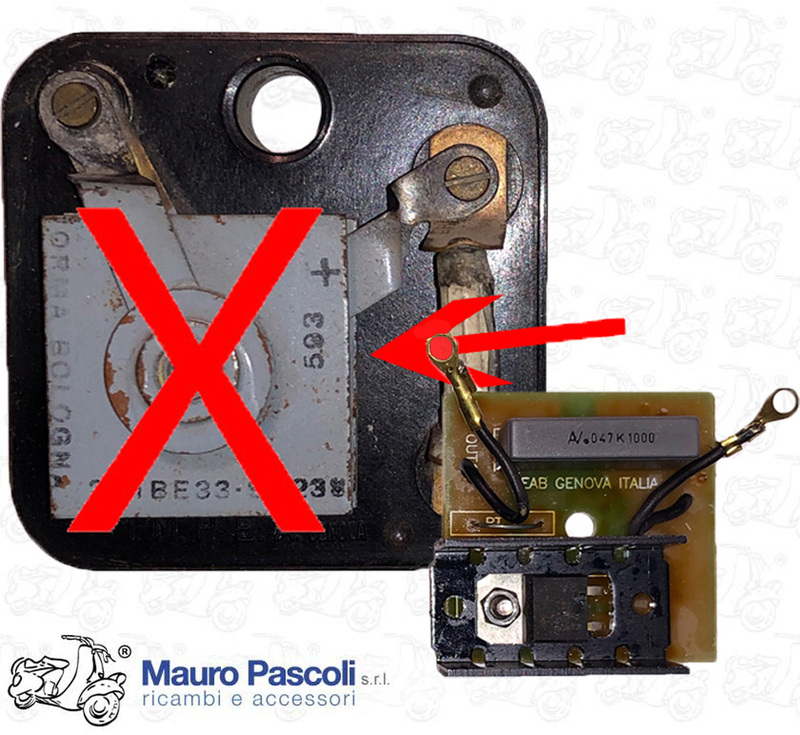 Compatibility: VESPA : VN2T - VL3T - VB1T - APE : AC1T 25722> AC3T. 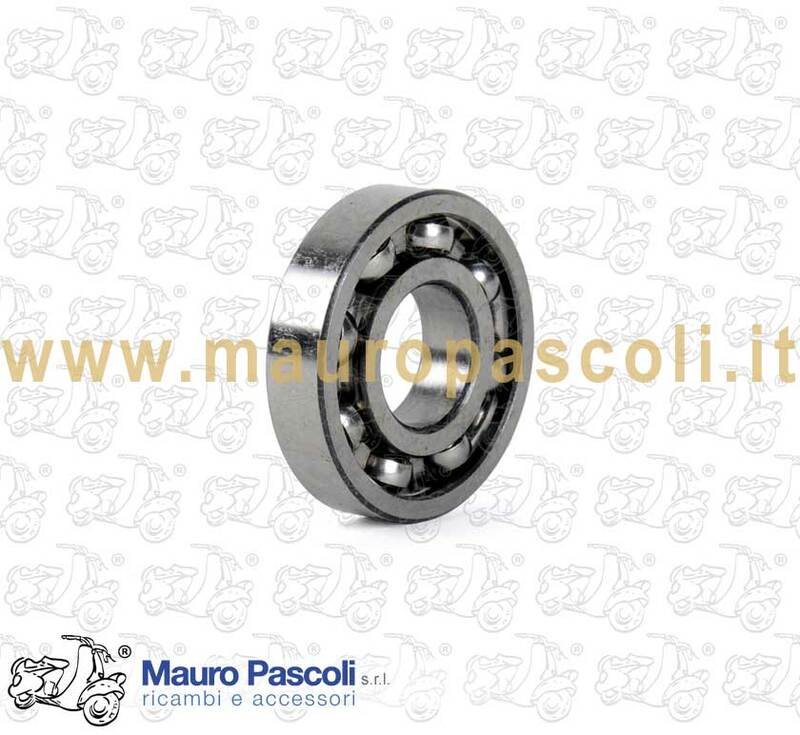 Compatibility: VESPA : VM1T>2T - VN1T>2T - VL2T>3T - VGL1T - VB1T - VS1T>5T - APE : AB2T 14552>4T - AC1T>4T - AE01T>2T - AE1T>3T - AD1T>2T - PENTARO APA1T - APB1T - APC1T>2T. 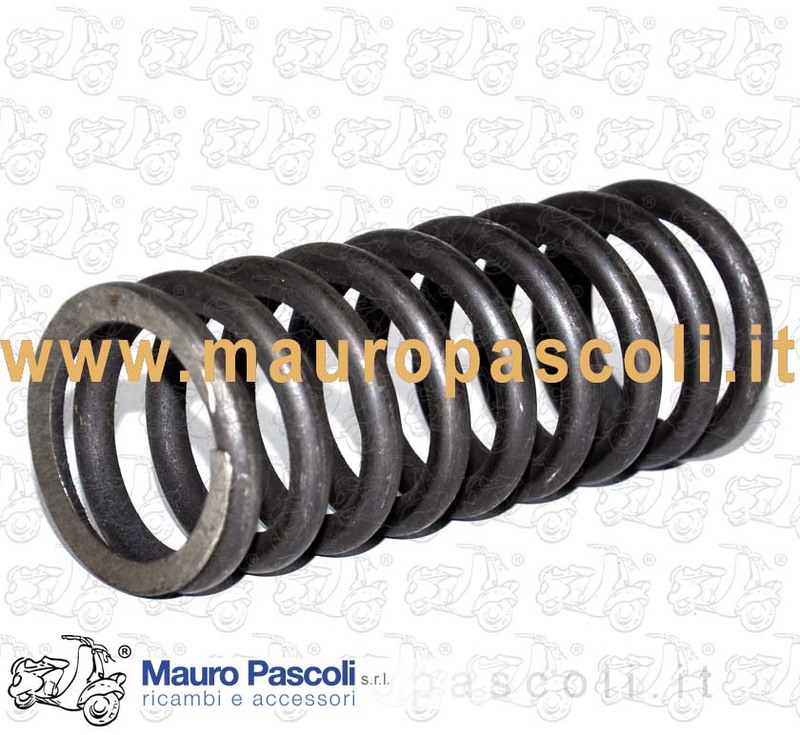 ADATTABILE : VESPA - V5A1T>3T - V5B1T>4T.SPECIAL - VMA1T>2T.PRIMAVERA - VMB1T.ET3. 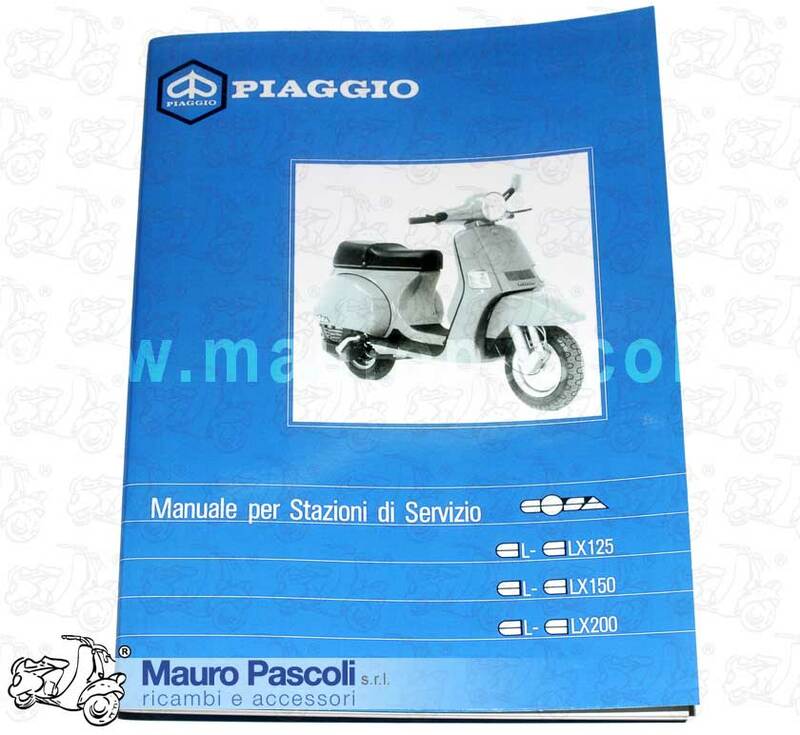 Compatibility: VESPA : 98 - V98T - 125 - V1T>5000 . 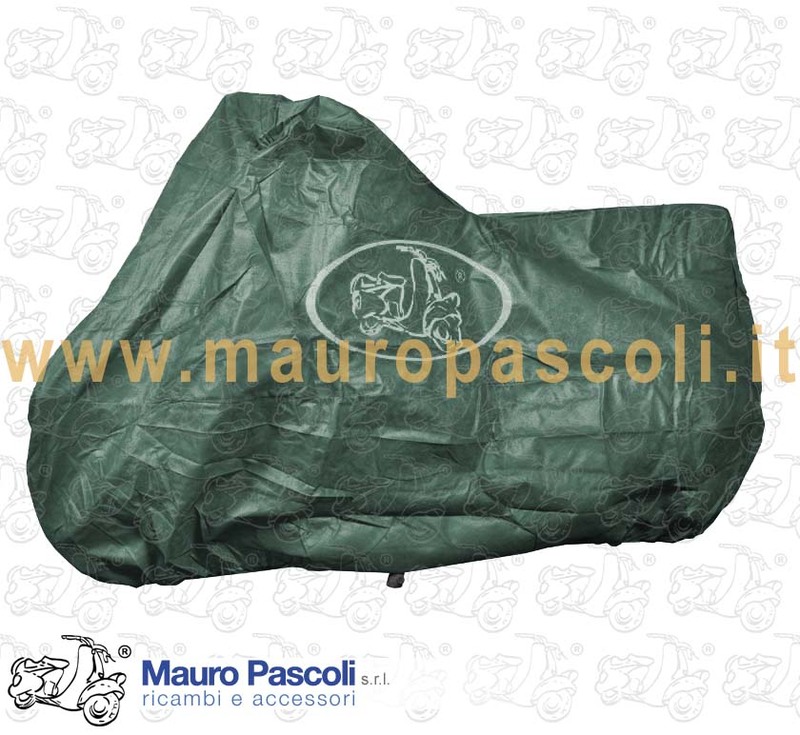 Compatibility: VESPA :125 . 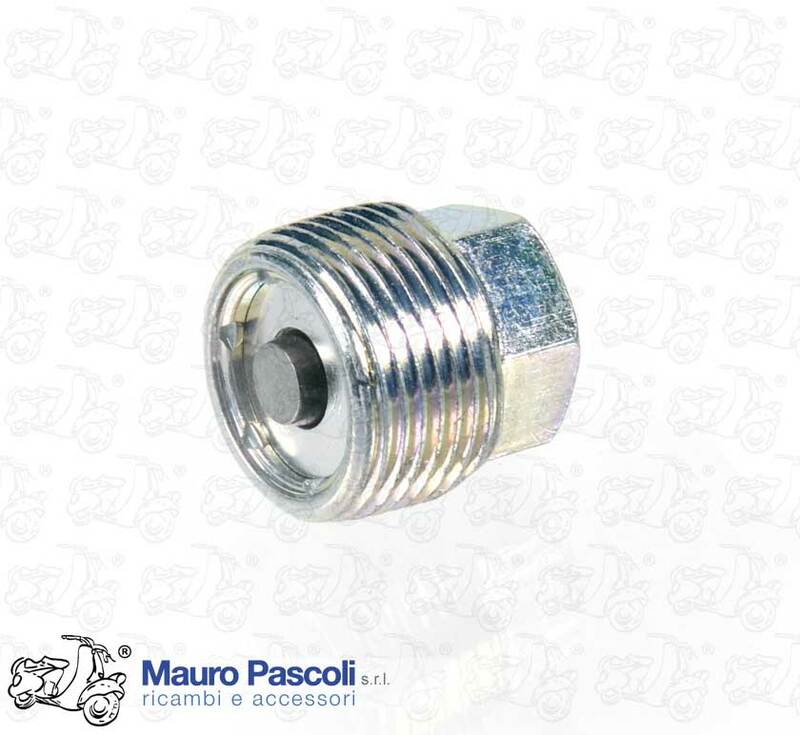 VNA1T - VNA2T - VNB1T - VNB2T - VNB3T - VNB4T - VNB5T - 150 .VL1T - VL2T - VL3T - VB1T - VBA1T - VBB1T - VBB2T . 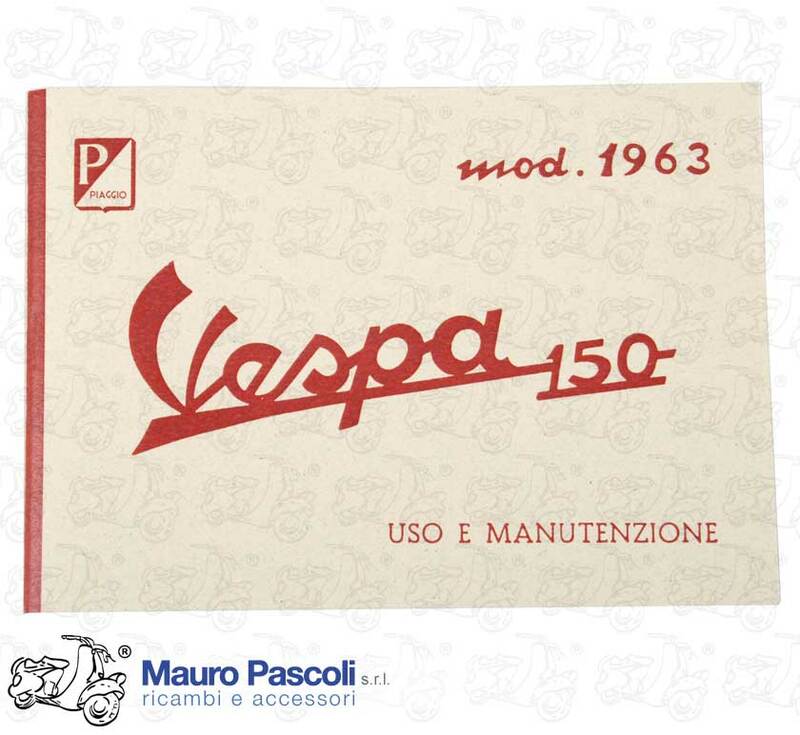 Compatibility: VESPA : V1T>15T - V30T>33T. 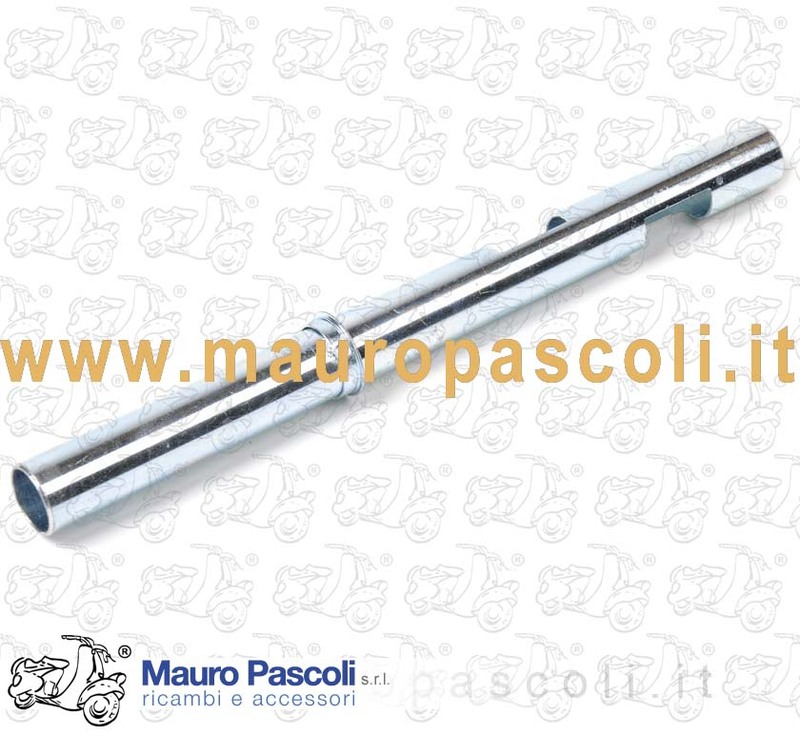 Compatibility: VESPA : V5A1T>3T - V5B1T>4T - V5R1T - V5SA1T - V5SS1T>2T - V9A1T - V9SS1T>2T - VMA1T>2T - VMB1T. 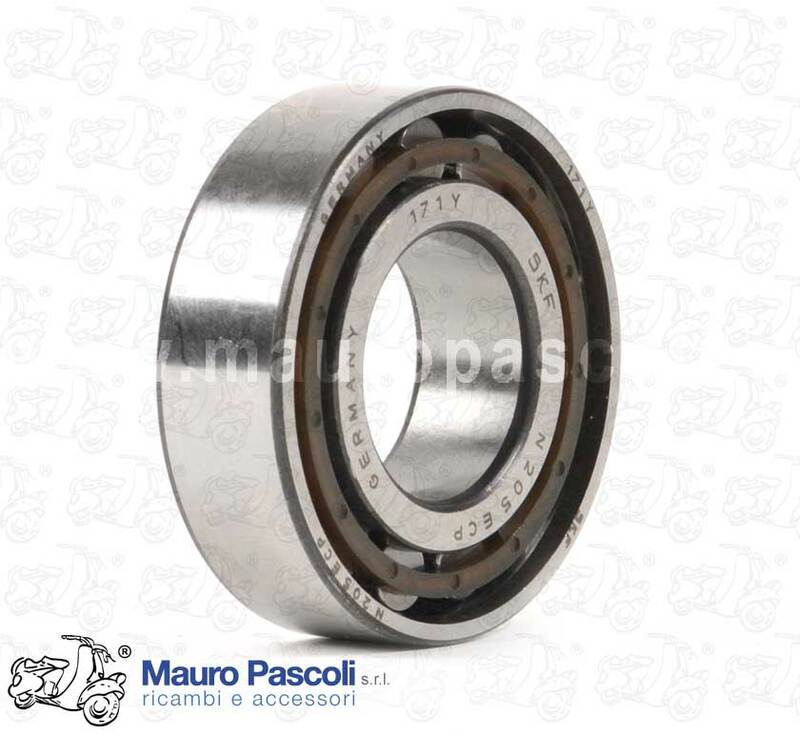 Compatibility: CIAO( P-PV-PX-PXV) C7E1T 1713833>- C7V1T 5546165>-C7E1T SC 2428334>-C7V1T SC 2581176>-ERRE 2-BRAVO (P-PV)EML1T 5136743>-EVL1T 6081185>-MOD- SI - BOXER 2-BTM1T 391917>- BTV1T 779140> . 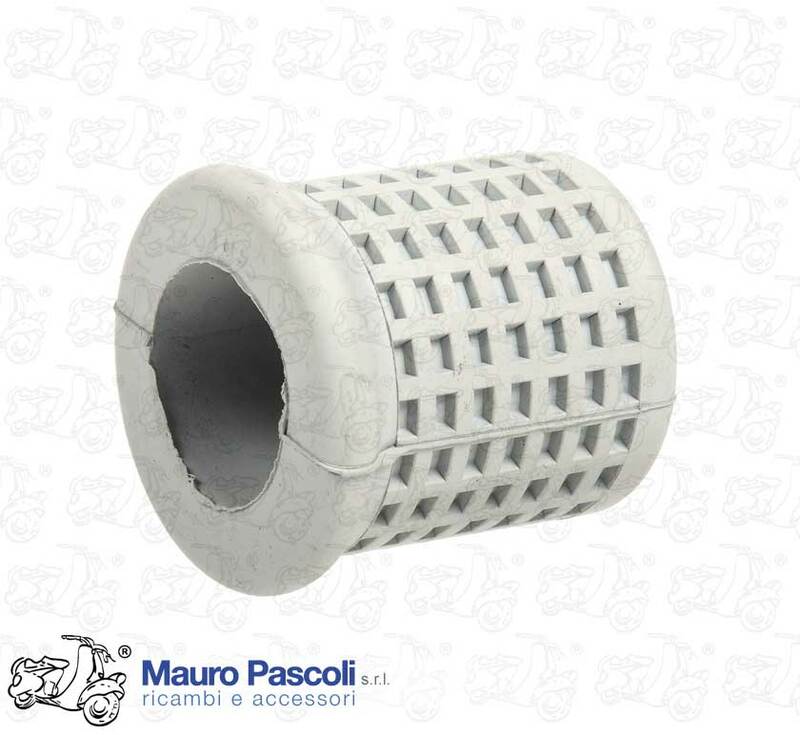 Compatibility: APE : AC1T>AC4T >57744 - PENTARO : APA1T - APB1T. 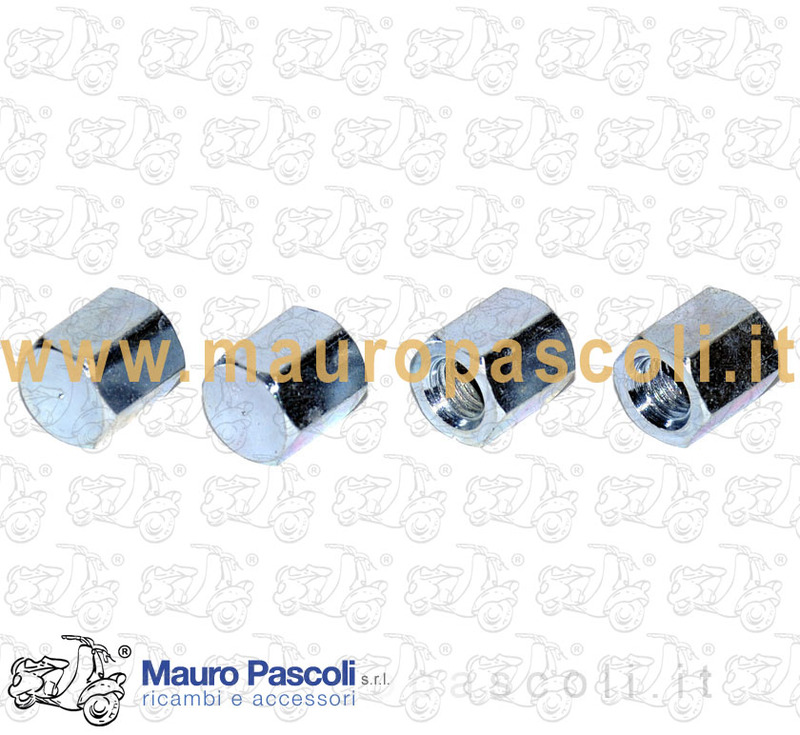 Compatibility: VESPA : 50 - V5A1T N - L - R - V5A2T>3T- V5SA1T- V5B1T>V5B4T-V5SS1T>2T- PK -V5X1T>3T-VA51T V5R1T- 90 -V9A1T- V9SS1T>2T -125 - VM1T>2T- VU1T-VN1T>2T-VNA1T>2T- VNB1T>VNB6T-VNC1T VNL2T > GTR -VNL3T - VMA1T>2T- VMB1T - 150 -VL1T>3T-VB1T-VBA1T-VBB1T>2T-VGL1T-VGLA1T VGLB1T-VLA1T - GS-VS1T>VS5T-VLB1T>2T> S. VEL- VBC1T - 160 VSB1T - 180 SS - VSC1T -VSD1T-200 - VSE1T - APE - 50 -TL1T>2T - 150 - AB1T>4T- AC1T>4T - AE01T>2T - AE1T>3 - AD1T>2T. 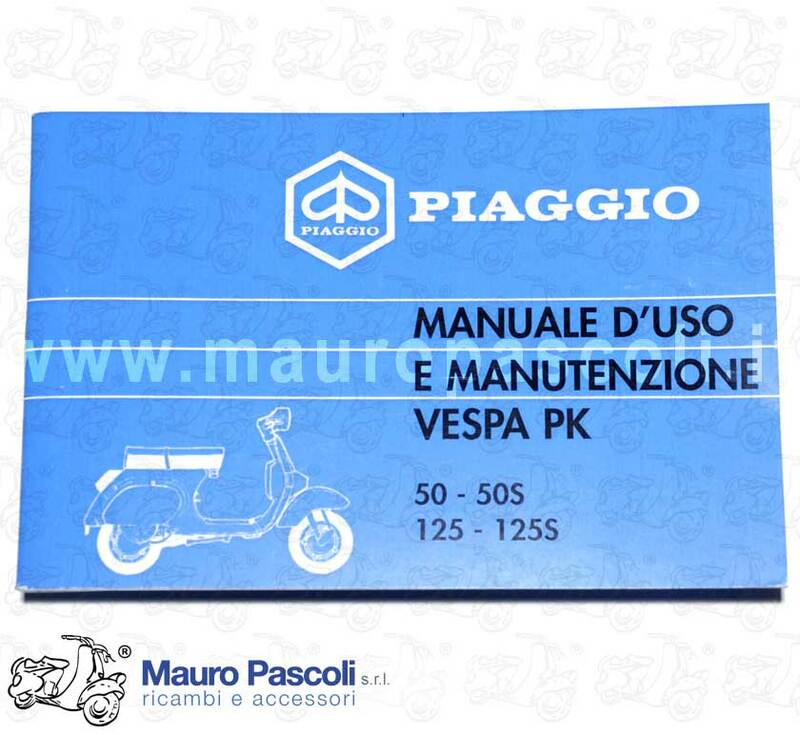 Compatibility: VESPA : 150 .GS - VS1T - VS2T - VS3T - VS4T - VS5T. 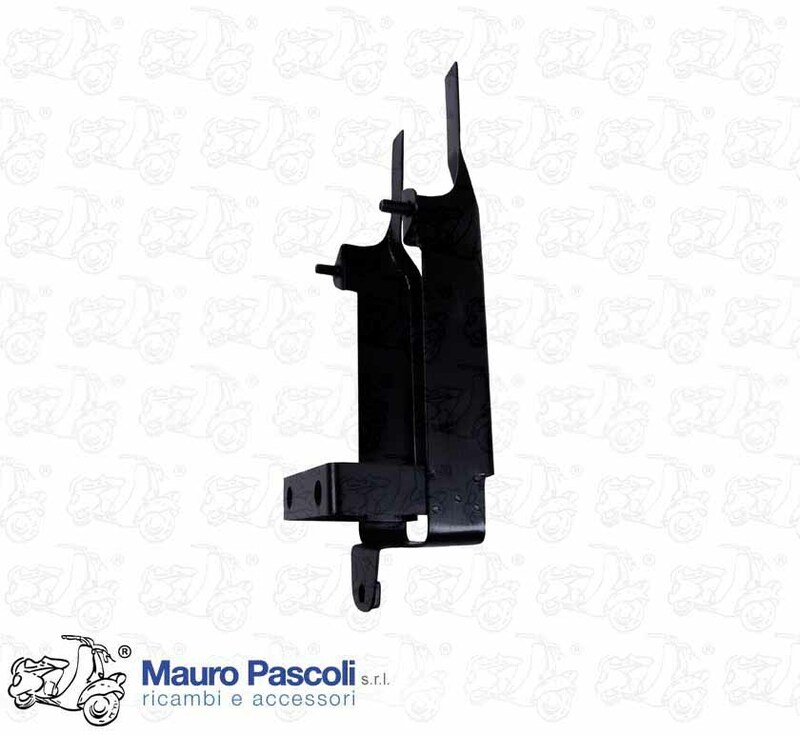 Compatibility: VESPA : V8A1T - V8X1T - VNB2T>6T - VNC1T - VNL2T - VNX1T>2T - VNX5T - VNR1T>2T - VBB1T>2T - VBC1T - VLA1T - VLB1T>2T - VBX1T - VLX1T - VLR1T>2T - VSD1T - VSE1T - VSX1T - VSR1T - APE : AC3T 90187 - AC4T. 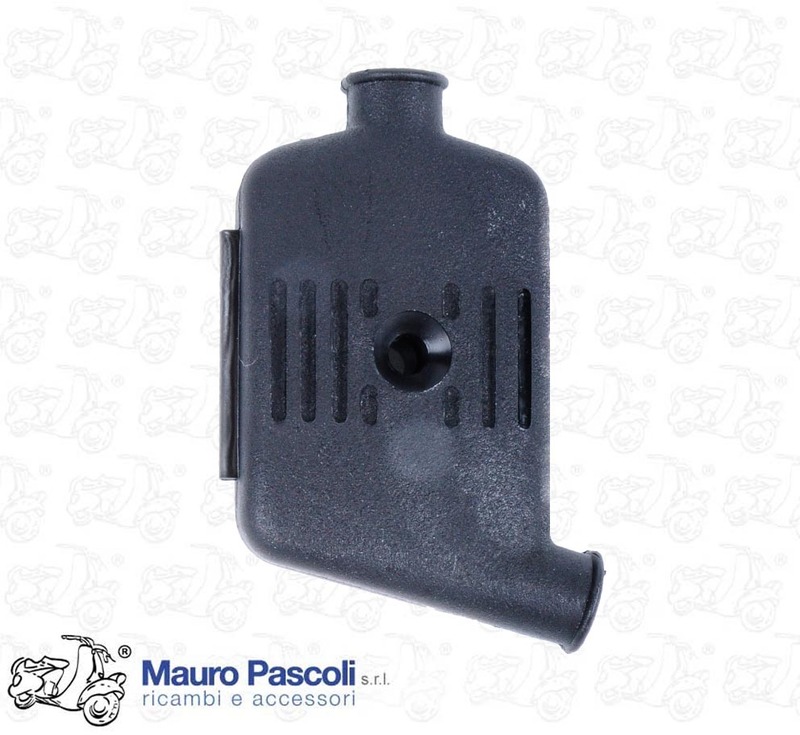 Compatibility: VESPA : VNC1T 24900> - VNL2T 60900> - VNL3T - VNX1T>2T - VNX5T - VNR1T>2T - VBC1T 70200> - VLB1T 73900> - VBX1T - VLX1T - VLR1T>2T - VSD1T - VSE1T - VSX1T - VSR1T 3016725> - APE : MPR1T >13118 - MPA1T >55584 - MPV1T >13183 - MPM1T >14861. 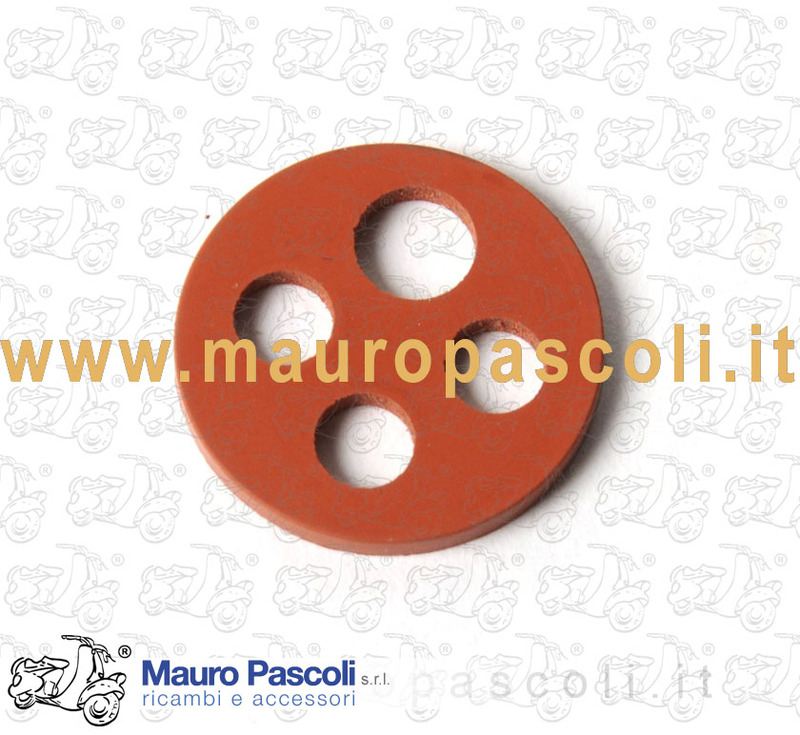 Compatibility: VESPA : V5B3T>4T - V5R1T - V5X1T>5T - V5N1T>2T - V5P1T>2T - VAS1T - VA51T>2T - V8X5T - VA81T - V8A1T - V8X1T - VAM1T - VVM1T>2T - VMS1T - VMX1T - VMX5T>7T - VMA2T - VMB1T - VNL3T - VNX1T>2T - VNX5T - VNR1T>2T -VBX1T - VLX1T - VLR1T>2T - VSE1T - VSX1T - VSR1T - APE : TL1T> 3T - TM1T - MPR1T>2T - MPP1T - MPV1T>2T - MPM1T>2T - MPMC1T - MPF1T - AF1T>2T. 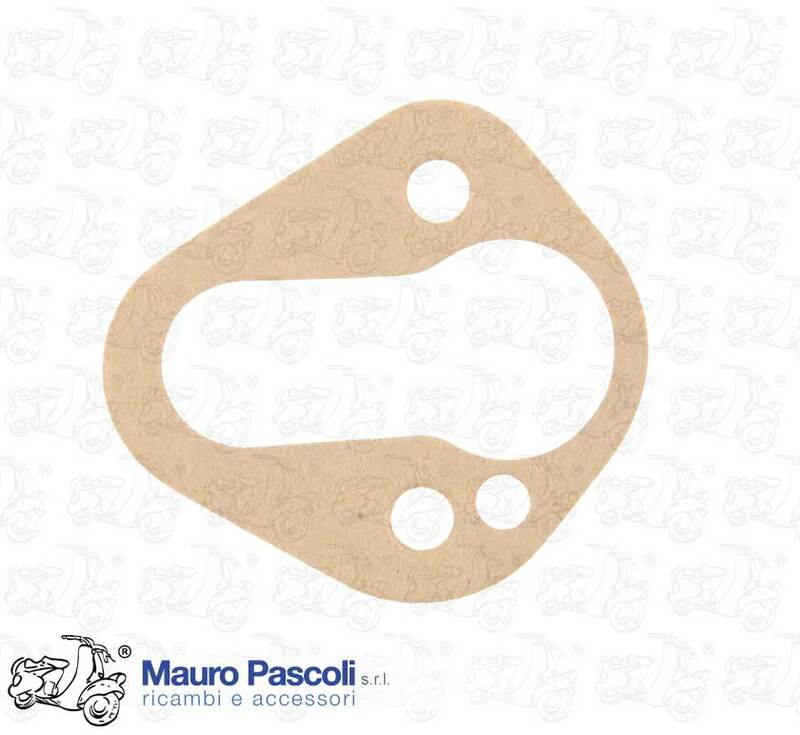 Compatibility: VESPA : VNB1T>5T - VBA1T - VBB1T>2T - VLA1T. 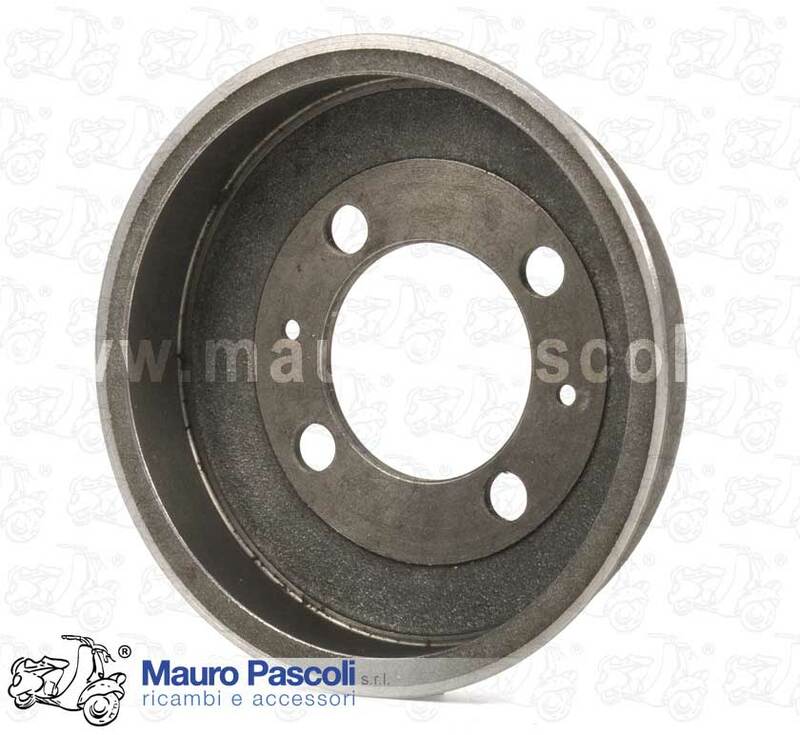 Compatibility: VESPA : V98T- V1T>15T - V30T>33T - VU1T - VM1T>2T - VN1T>2T - VL1T>3T - VGL1T - VB1T - VS1T>5T - APE : A1T>15T - AB1T>4T - AC1T>4T. 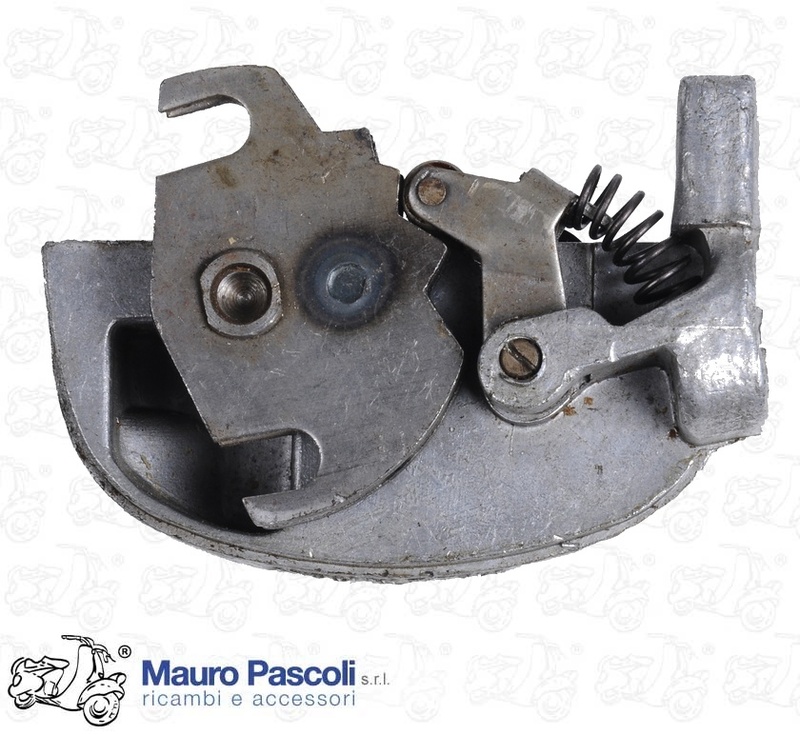 Compatibility: VESPA : VM1T>2T - VN1T>2T - VL2T>3T - VGL1T - VB1T - VS1T>5T - APE : AB2T 14552>4T - AC1T>4T - AE01T>2T - AE1T>3T - AD1T>2T - PENTARO : APA1T - APB1T - APC1T>2T. 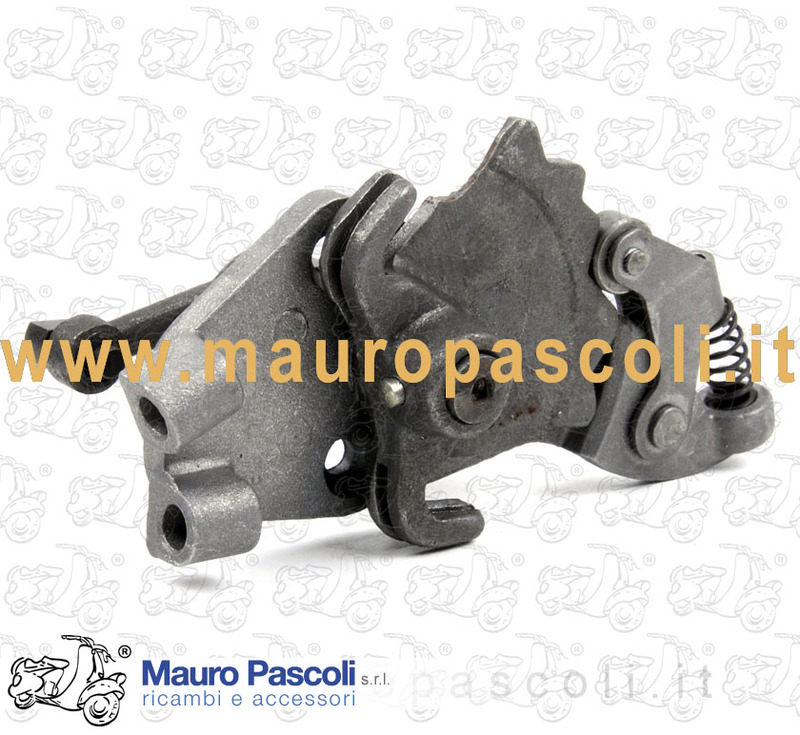 Compatibility: VESPA : V98T - V1T>15T - V30T>33T - VU1T. 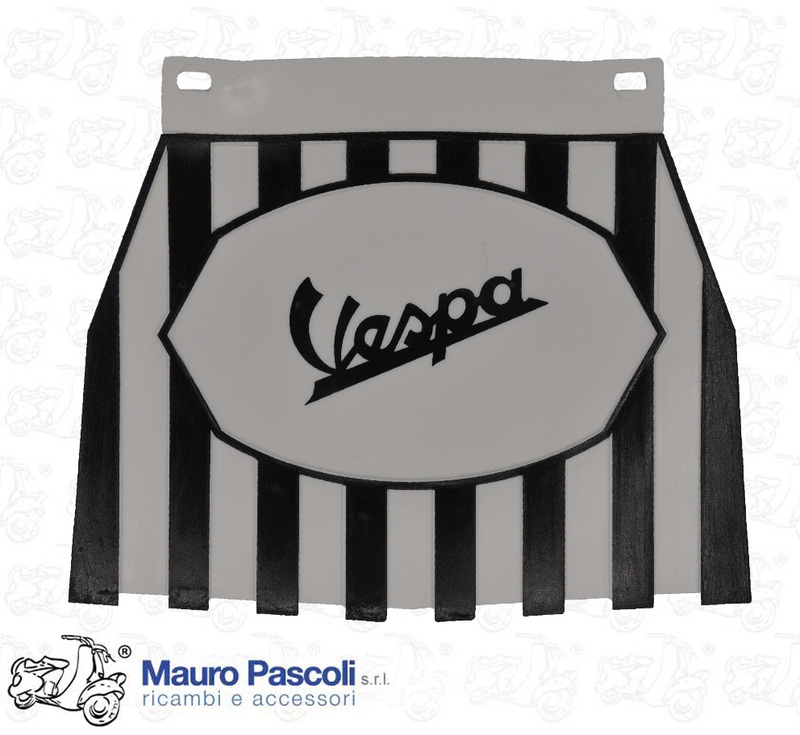 Compatibility: VESPA : VSB1T 0029901> - VSC1T. 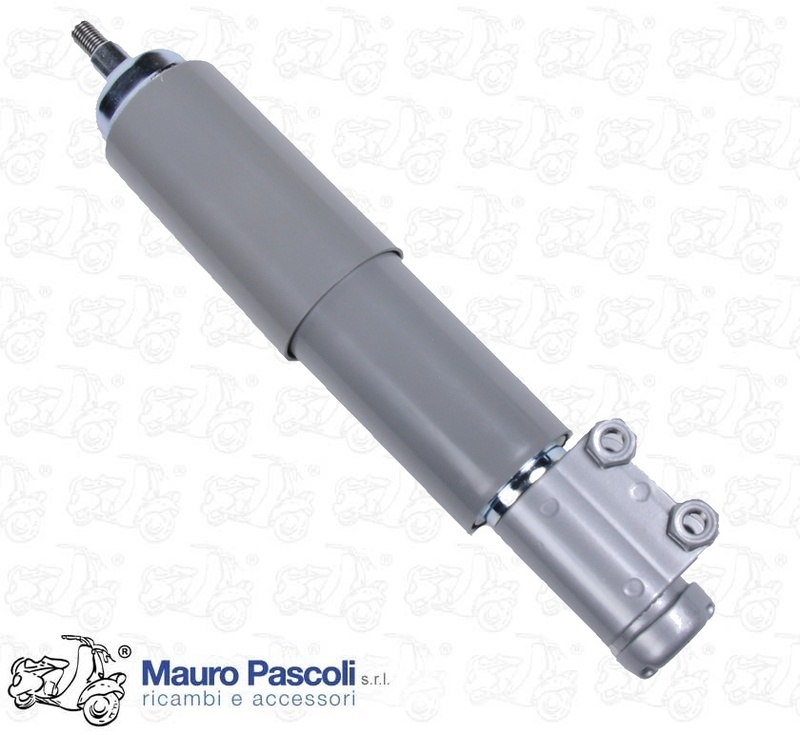 Compatibility: VESPA : V15T - V30T>33T - VM1T>2T - VN1T>2T. 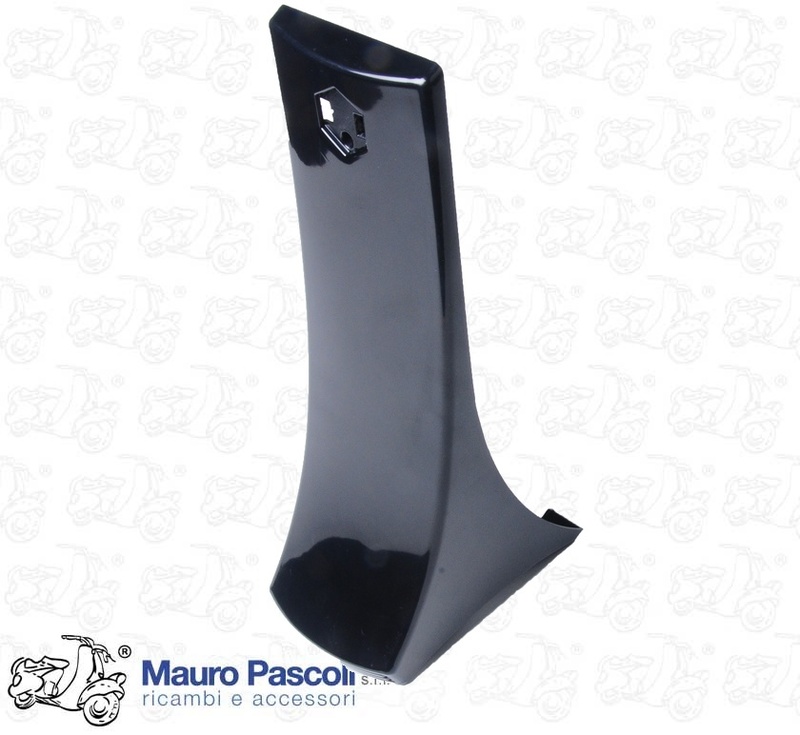 Compatibility: VESPA : GS 150 - VS4T - VS5T. 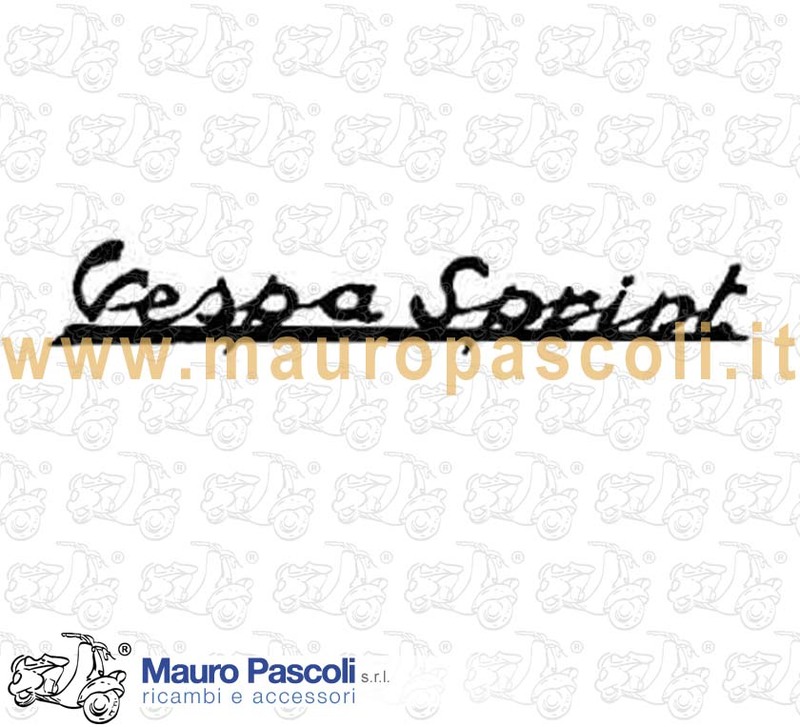 Compatibility: VESPA : 200 . 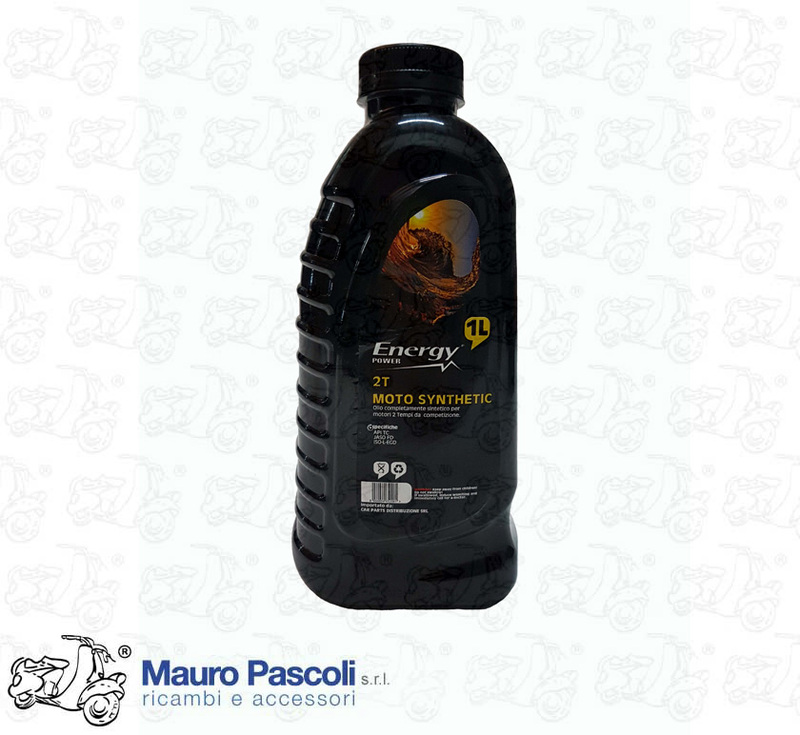 RALLY . 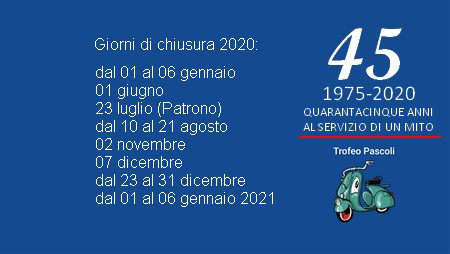 VSE1T . 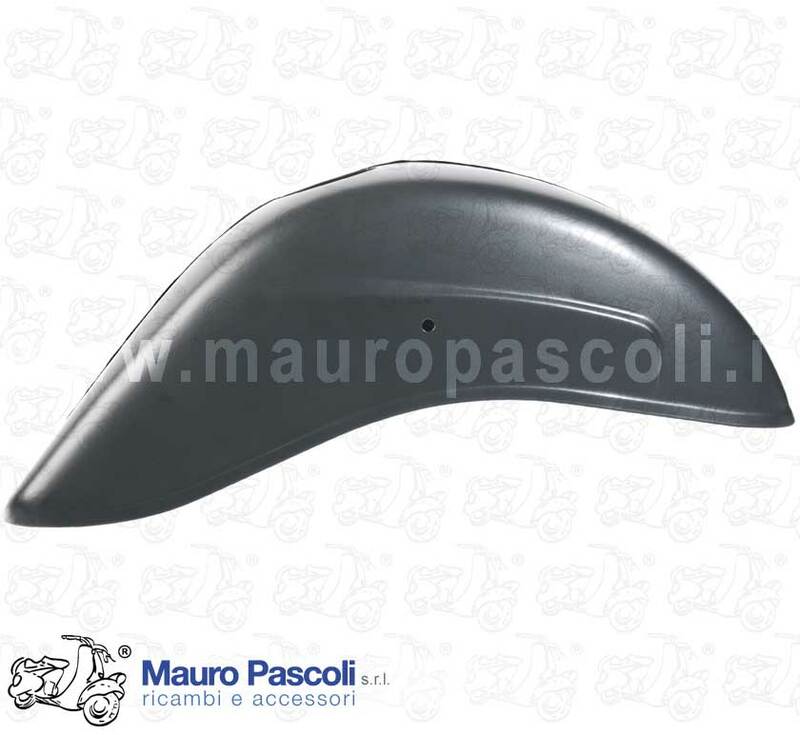 Compatibility: VESPA : VLB1T 52001> - VLB2T 50001> - MERCATI ESTERI 125 GT-125 SPRINT MOD VNL2T . 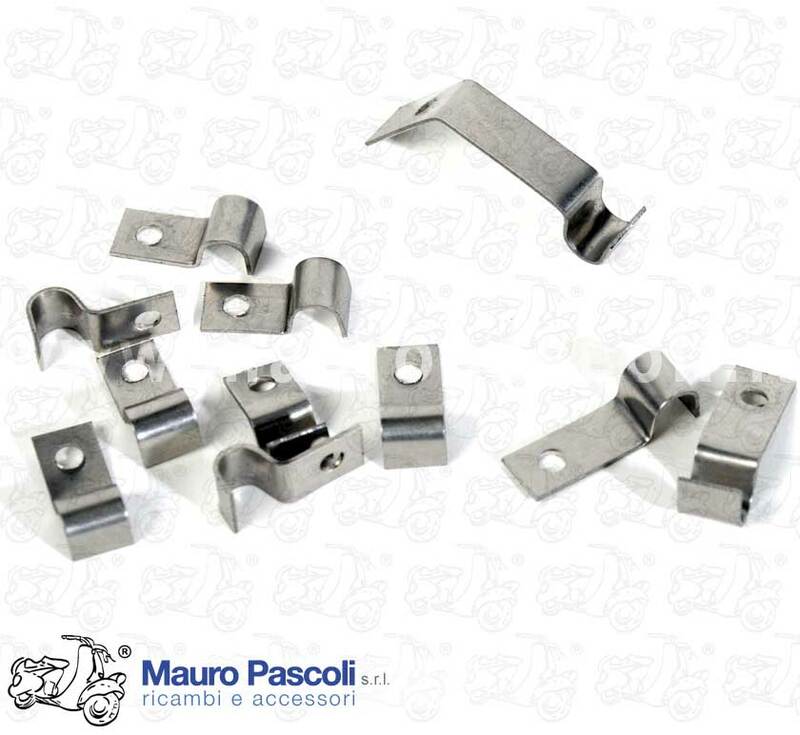 ADATTABILE : VESPA - VNA1T>2T - VNB1T>6T - VNC1T - VNL2T - VNX1T - VBA1T - VBB1T>2T - VBC1T - VS5T - VLA1T - VLB1T>2T. 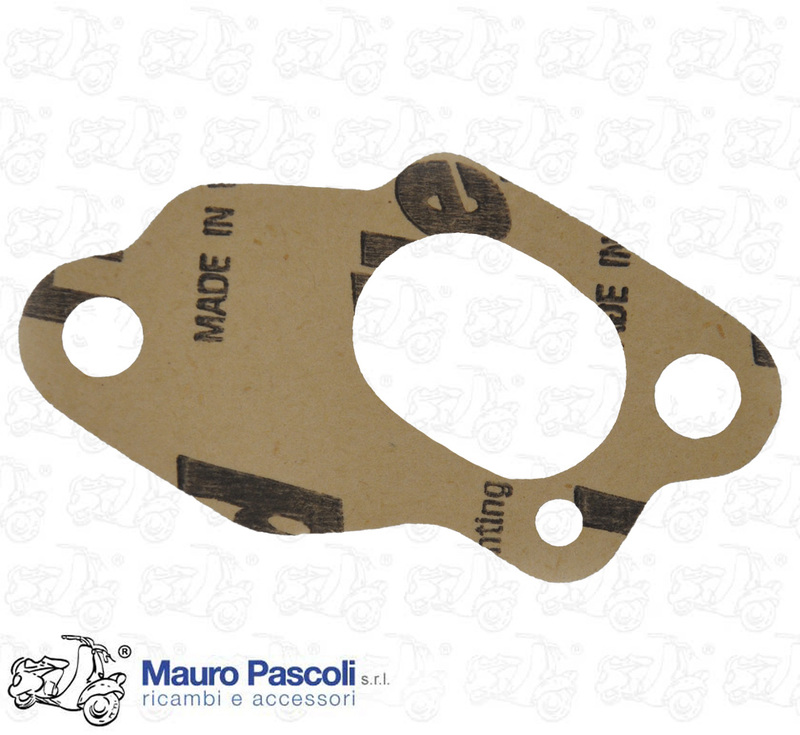 Compatibility: VESPA : V1T>15T - V30T>33T - VU1T - VM1T - APE : A1T>15T - AB1T. 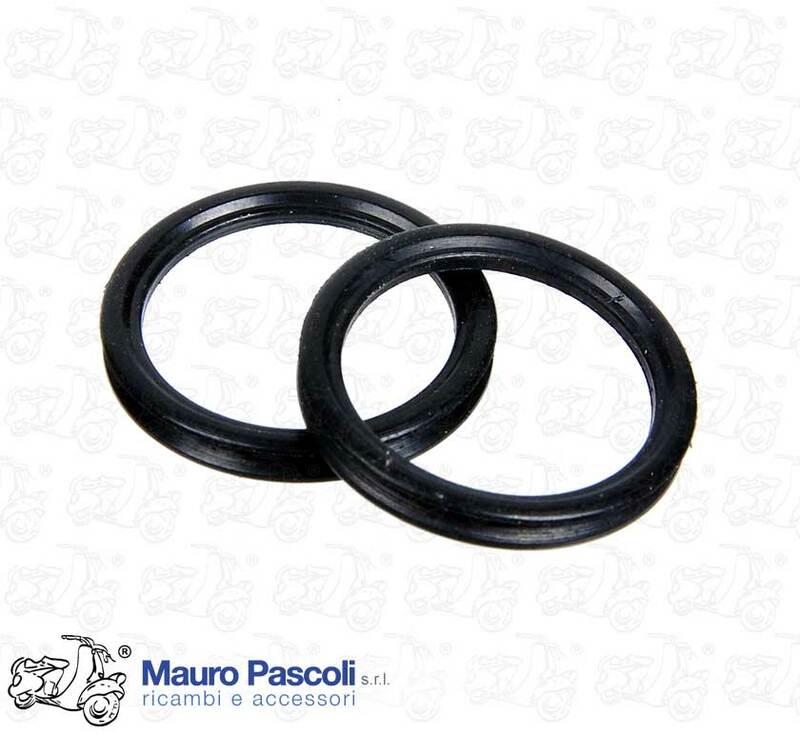 Compatibility: VESPA : VS1T>5T - APE : AB2T 14552> - AC4T 71664> - AD1T >9804 - PENTARO : APC1T >1012. 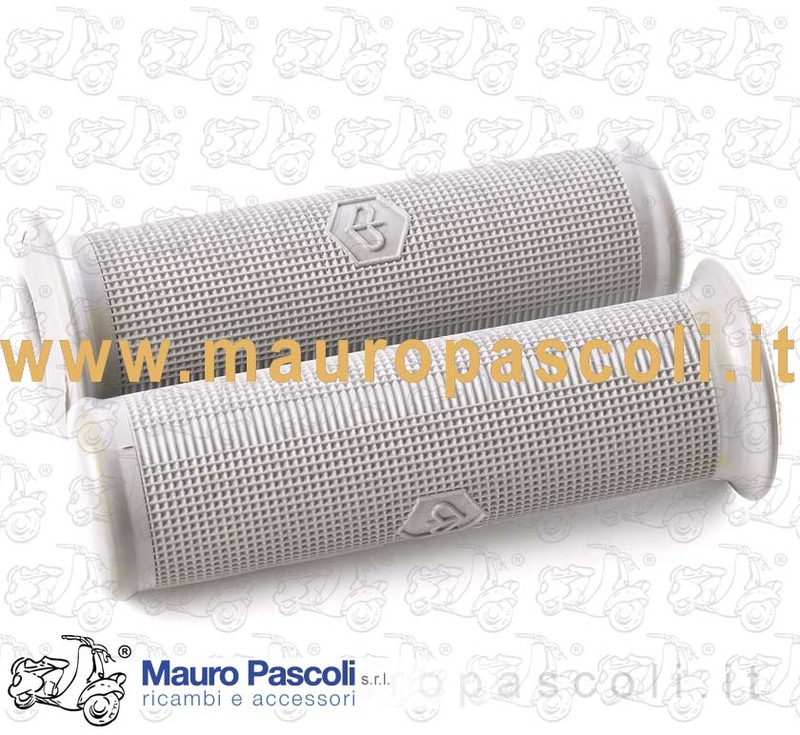 Compatibility: VESPA : V1T - V11T - V12T - V13T - V14T - V15T. 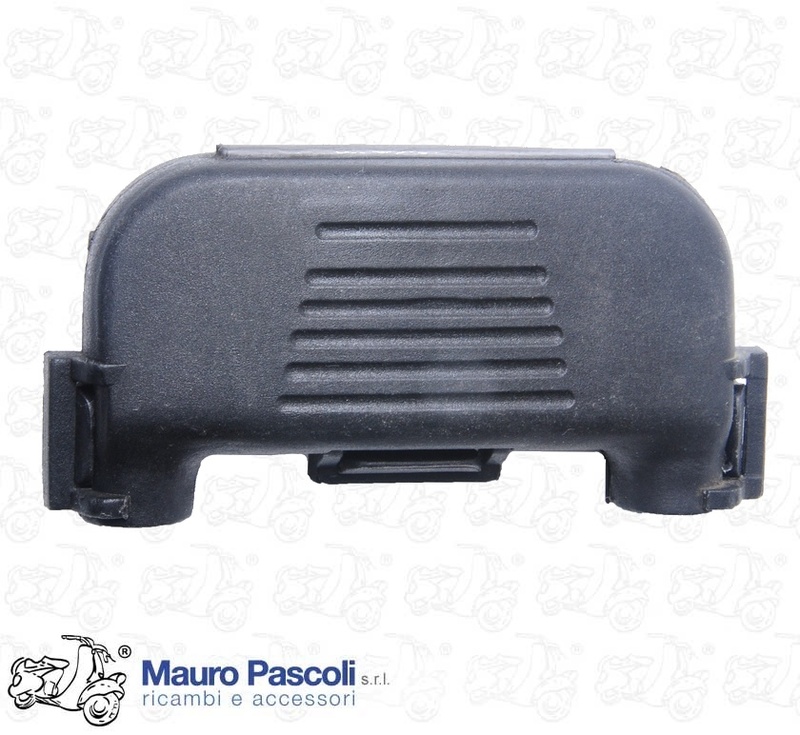 Compatibility: VESPA : VNB4T>6T - VNC1T - VNL2T>3T - VBC1T - VLA1T - VLB1T>2T - VBX1T. 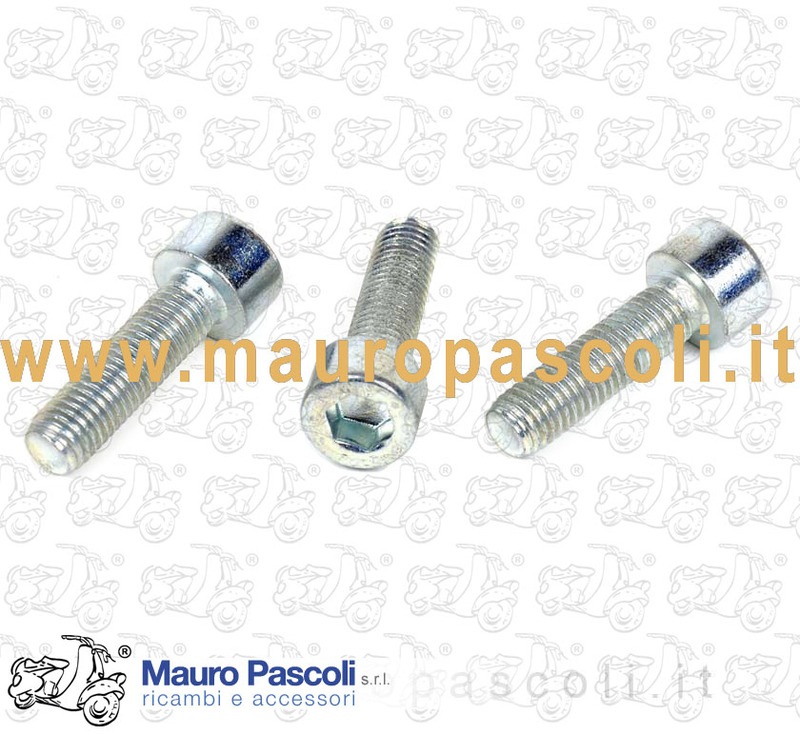 Compatibility: VESPA : V5A1T 500001> - V5A2T>3T - V5B1T>4T - V5R1T - V5SA1T - V5SS1T>2T - V5X1T>2T - V9A1T - V9SS1T>2T - VMA1T>2T - VMB1T. 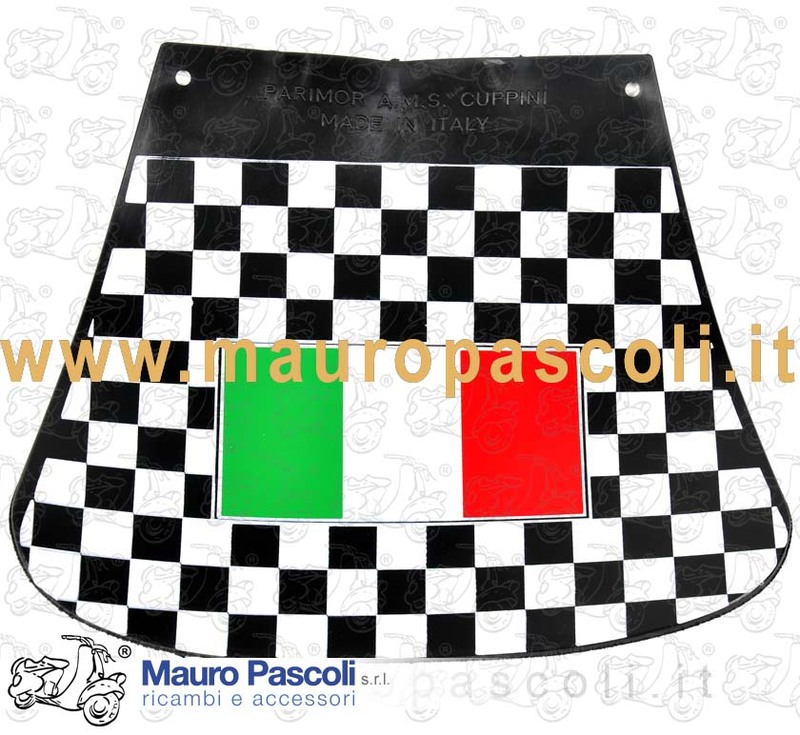 Compatibility: VESPA : 160 GS -VSB1T - 180 SS - VSC1T - 180 RALLY - VSD1T - 200 RALLY - VSE1T >40653 . 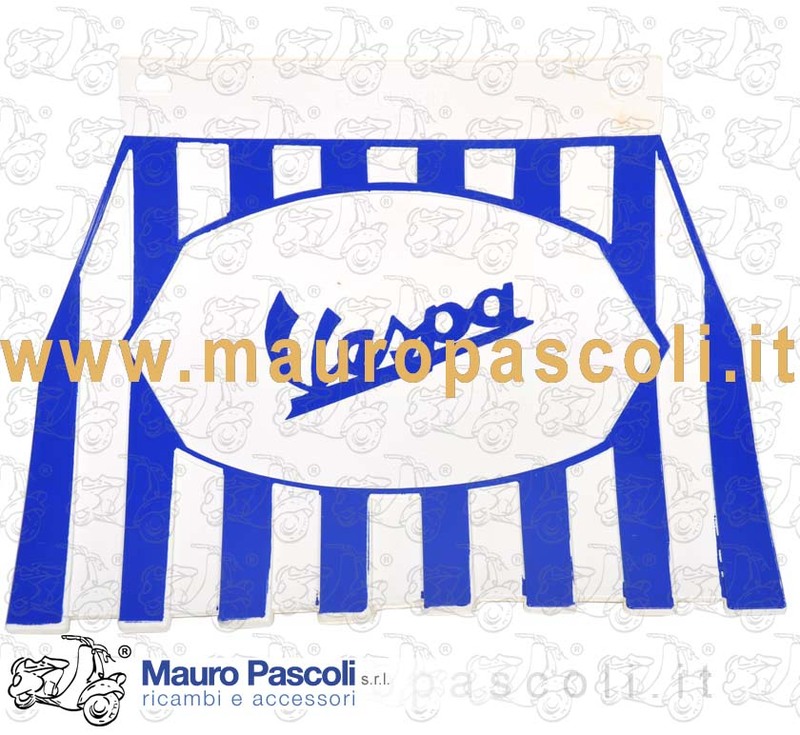 Compatibility: SCRITTA IN ALLUMINIO ,USO PER PERSONALIZZAZIONE DECORATIVO VEICOLI ,ABBIGLIAMENTO CASCHI . 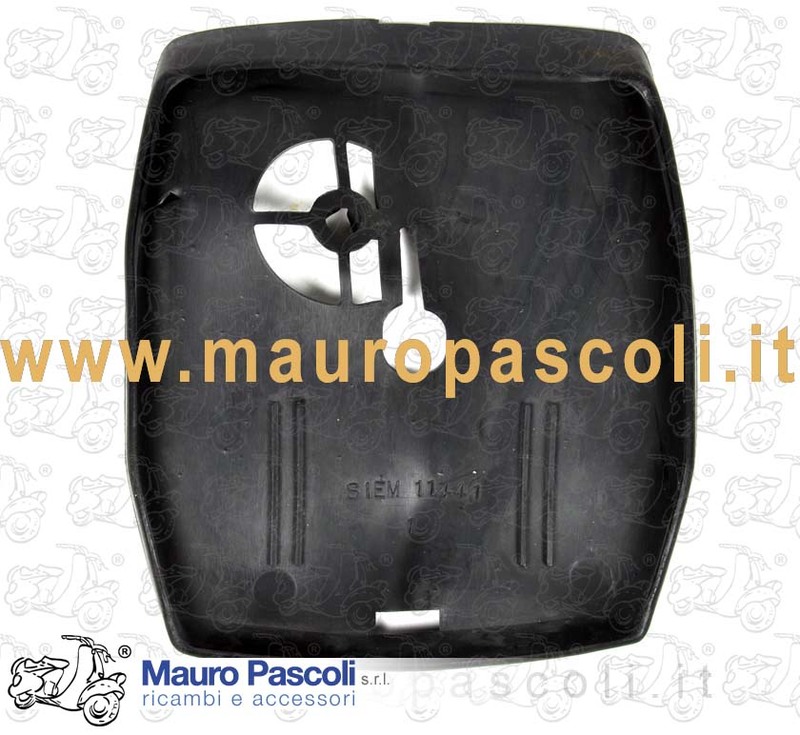 Compatibility: VESPA : 150 GL - VLA1T - VGLA1T - VGLB1T . 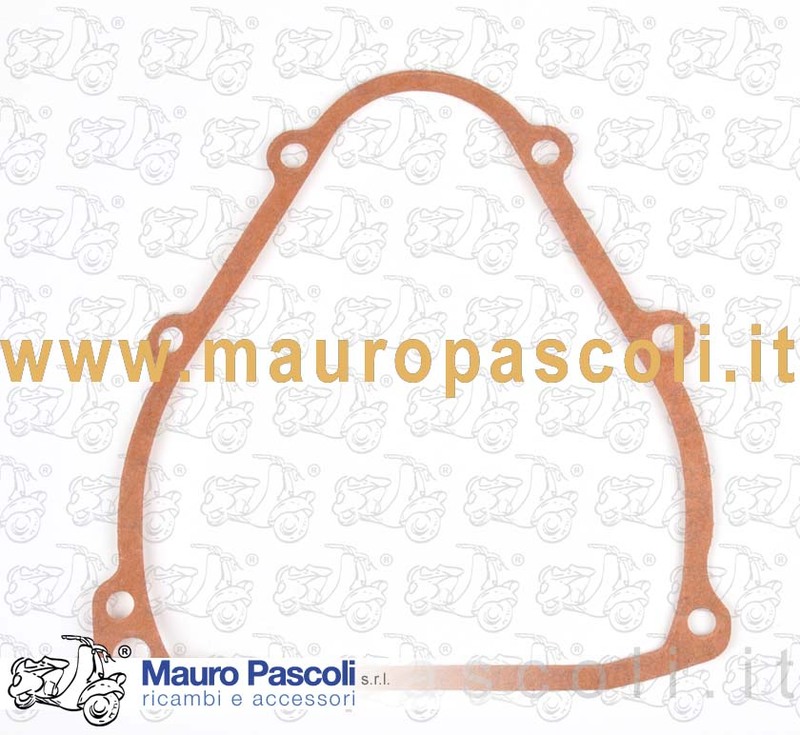 Compatibility: VESPA :125 - VM1T>2T - VN1T>2T - VNA1T>2T - VNB1T>5T>026920 - 150 - VL1T>3T - VB1T- VBA1T VBB1T>2T>212455 - VGL1T- VGLA1T- VGLB1T - VLA1T>067468 - VS1T>5T - APE - 125 - A1T - A11T>15T 150 - AB1T>4T - AC1T>3T - PENTARO 160 - 175 - APA1T . 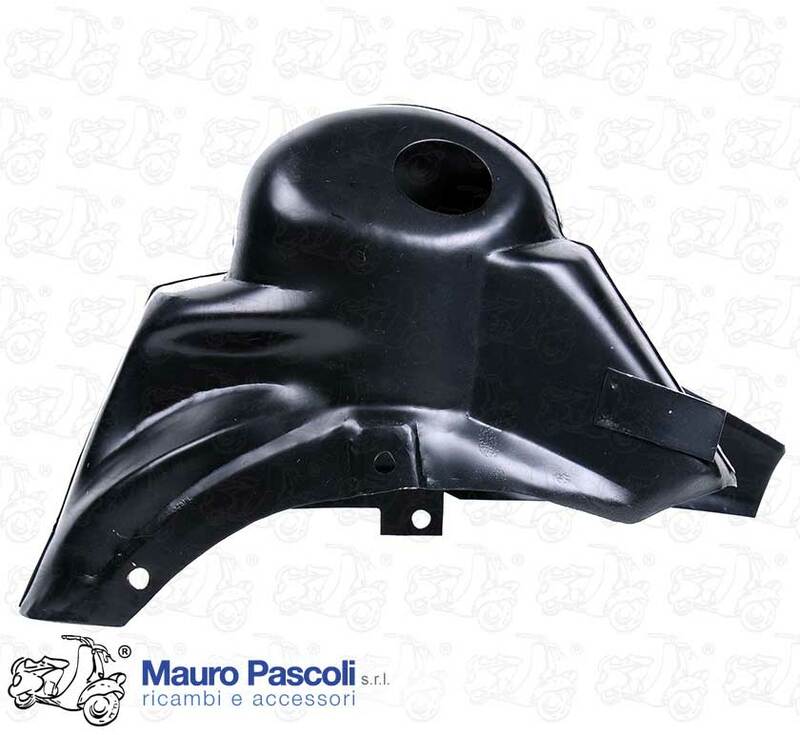 ADATTABILE : VESPA - V98T - 125 - V1T - V11T>15T - V30T>V33T . 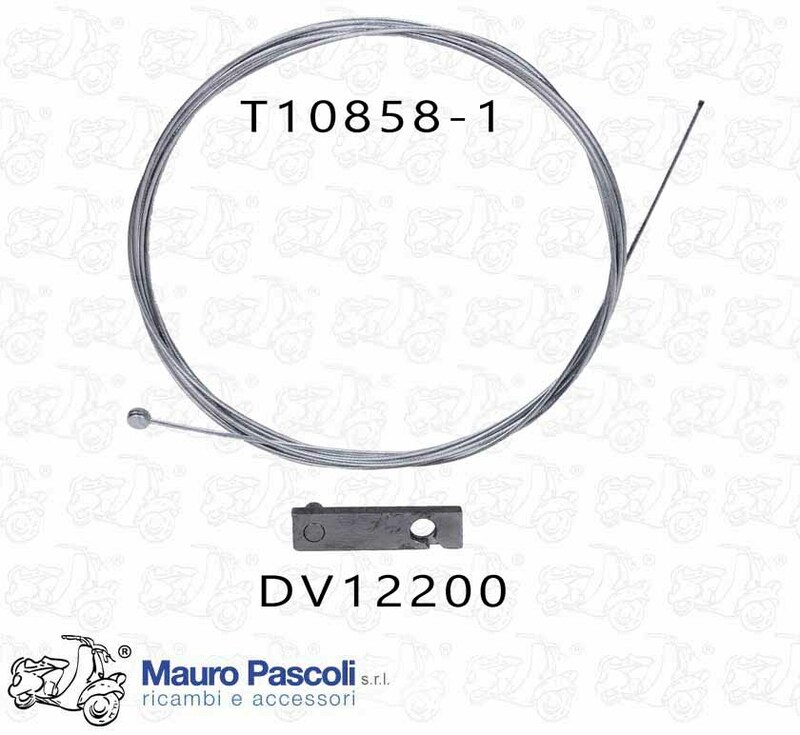 Compatibility: VESPA : V98T- 125 - V1T- V11T>V15T -V30T>V33T-VU1T VM1T>2T- VN1T>2T - VNA1T>2T - VNB1T>6T VNL2T - GT>GTR - VNL3T - 150 - VL1T>3T - VB1T - VBA1T - VBB1T>2T - VGL1T - VGLA1T - VGLB1T VS1T>5T -VLA1T - VLB1T> S.VELOCE - VSD1T - VSE1T - APE - 125 - A1T - A11T>A15T - AB1T>4T- AC1T>3T PENTARO 160 - 175 - APA1T . 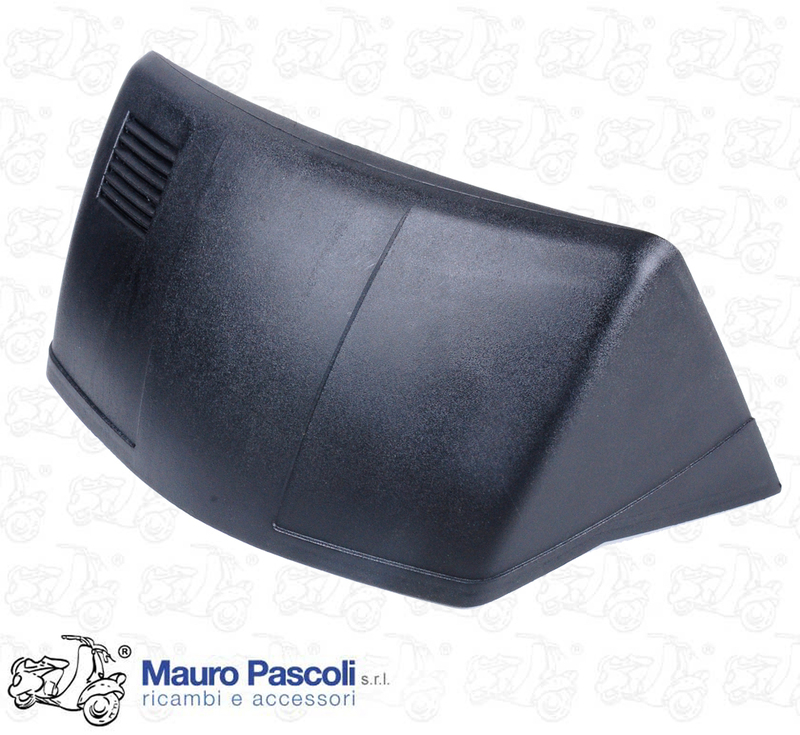 Compatibility: VESPA : VNC1T - VBC1T >153261. 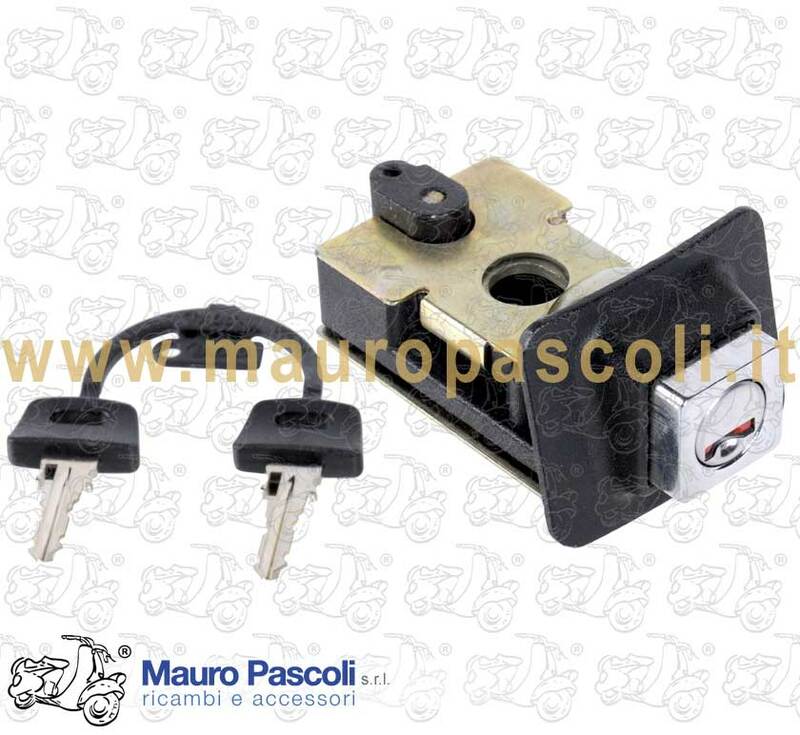 Compatibility: VESPA : V98T - V1T>15T - V30T>33T - VU1T - VM1T>2T - VN1T>2T - VNA1T>2T - VNB1T>6T - VNC1T - VL1T>3T - VB1T - VBA1T - VBB1T>2T - VBC1T. 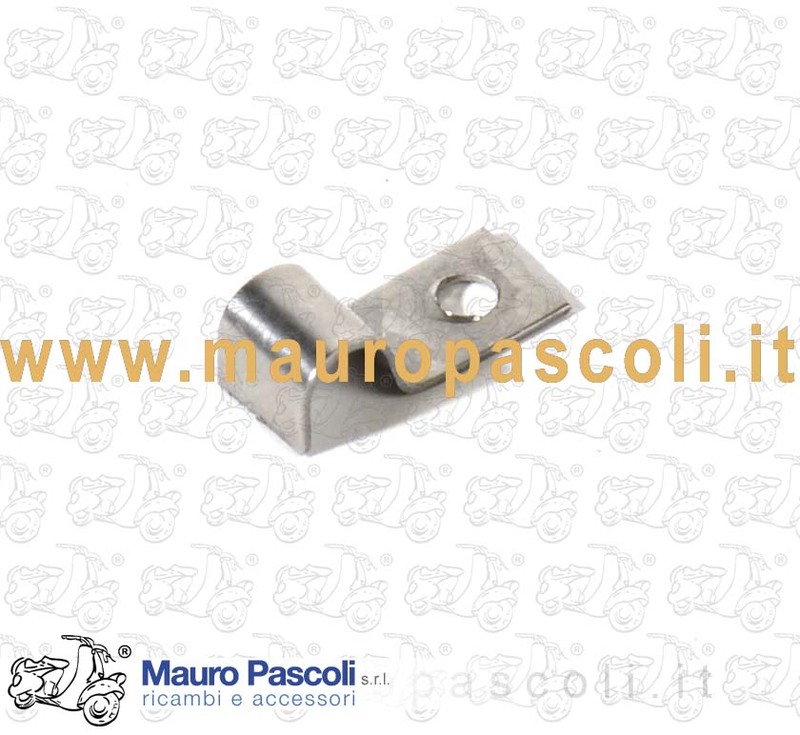 Compatibility: VESPA : V5A1T>A3T - V5B1T>4T - V5R1T - V5SA1T - V5SS1T>2T - V5X1T>5T - V5N1T>2T - V5S1T - V5P1T>2T - VA52T - V8X5T - VA81T - V8A1T - V9A1T - V9SS1T>2T - VAM1T - VMS1T - VMX1T - VMX5T - VMX6T>7T - VMA1T>2T - VMB1T - APE : TL1T>6T - TM1T(125) . 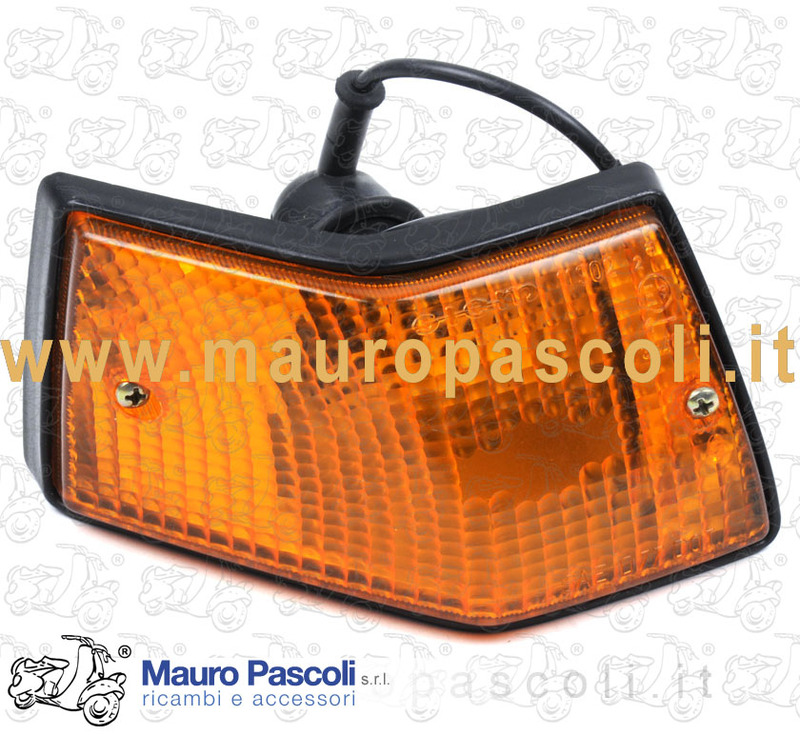 Compatibility: VESPA 50 REVIVAL .V5R1T - 125 ET3 . 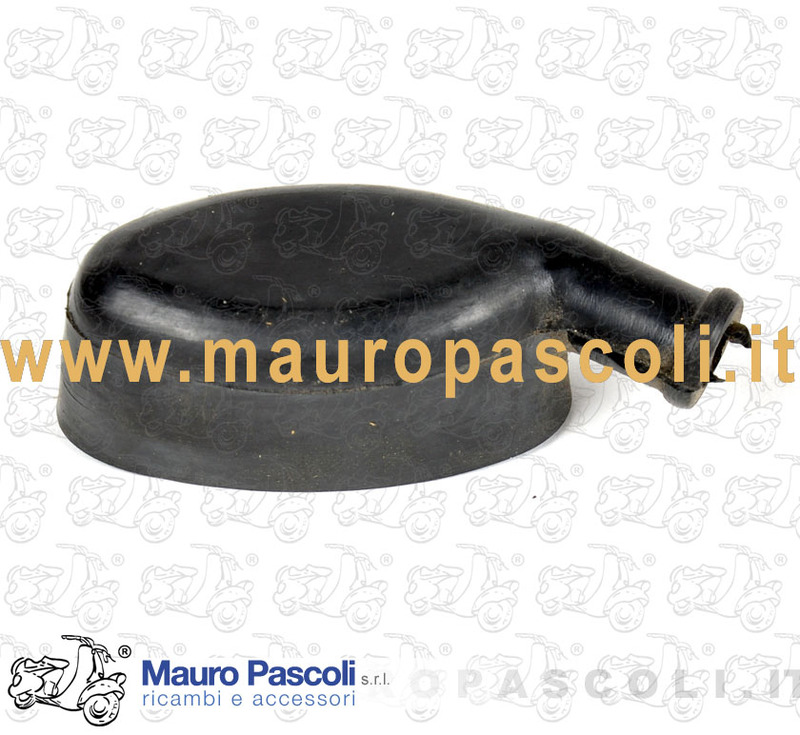 VMB1T ADATTABILE 50 - 90 -125 . 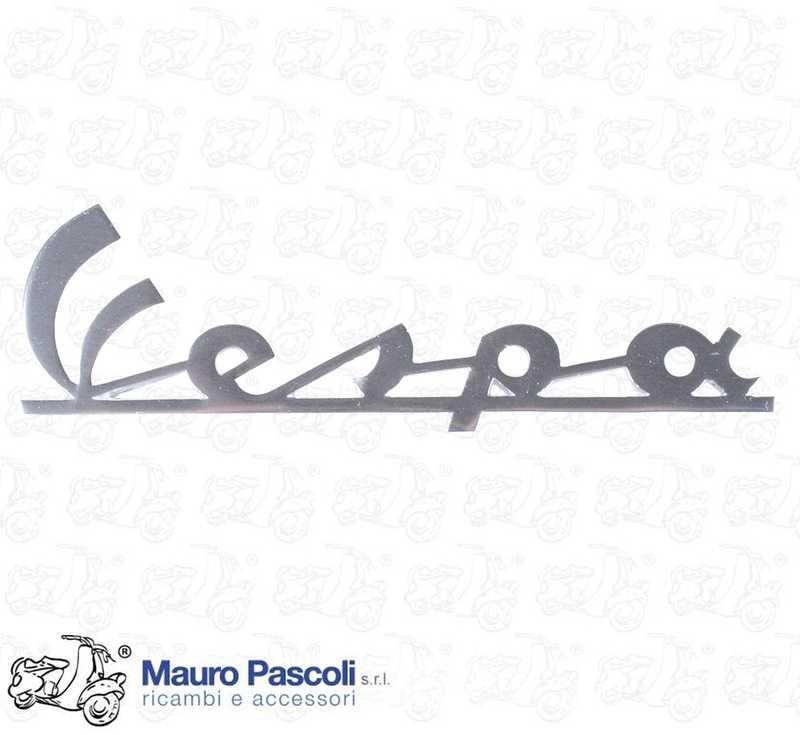 Compatibility: VESPA : 50 .V5A1T - V5A2T - V5A3T - V5B1T - V5B2T - V5B3T - V5B4T - V5SS1T - 90 . 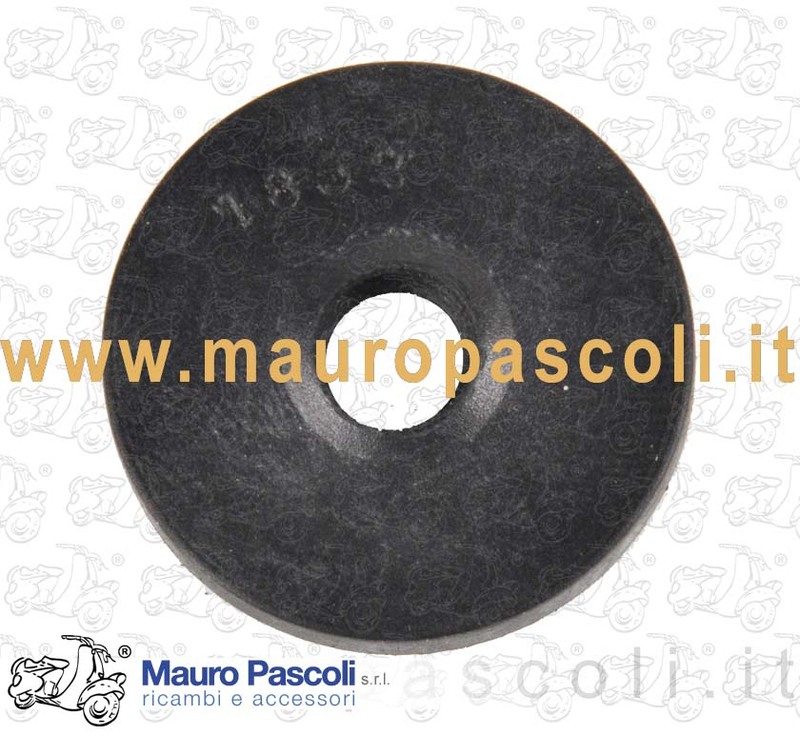 V9A1T - V9SS1T - 125 .VMA1T . 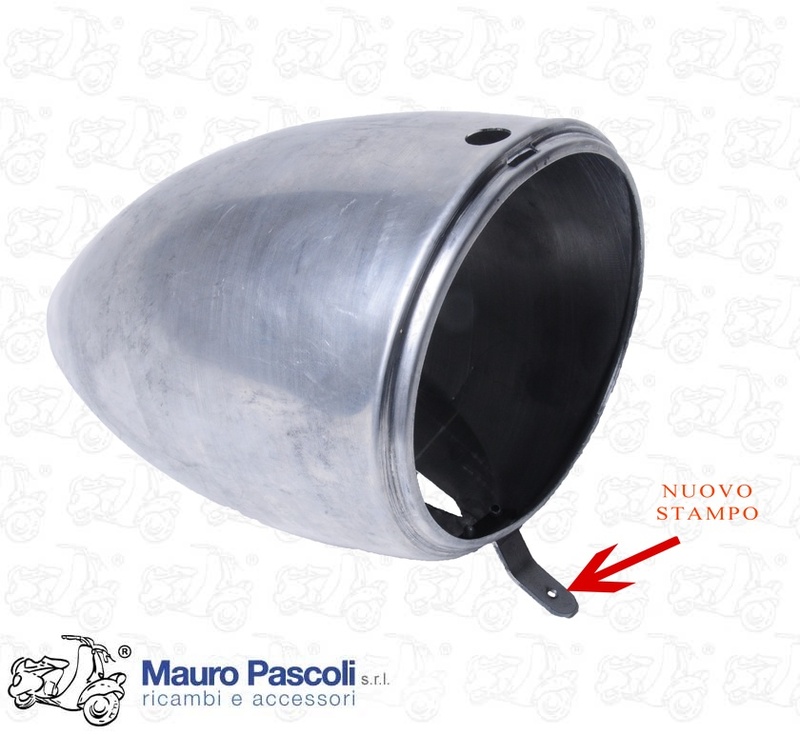 Compatibility: VESPA : 125 T5 VNX5T. 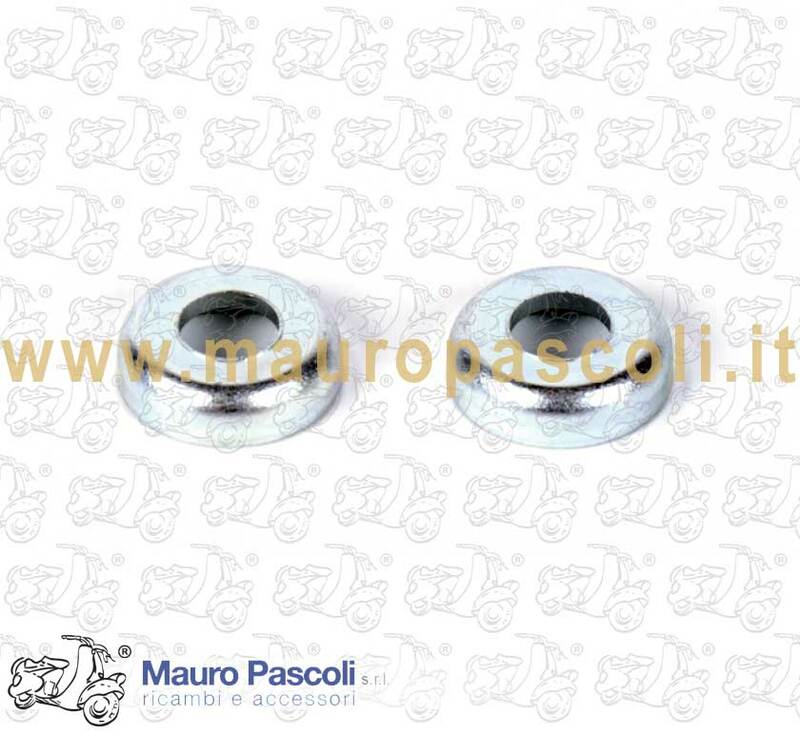 Compatibility: Tutte le VESPA - All VESPA , escluso i modelli con aggancio senza la ghiera . 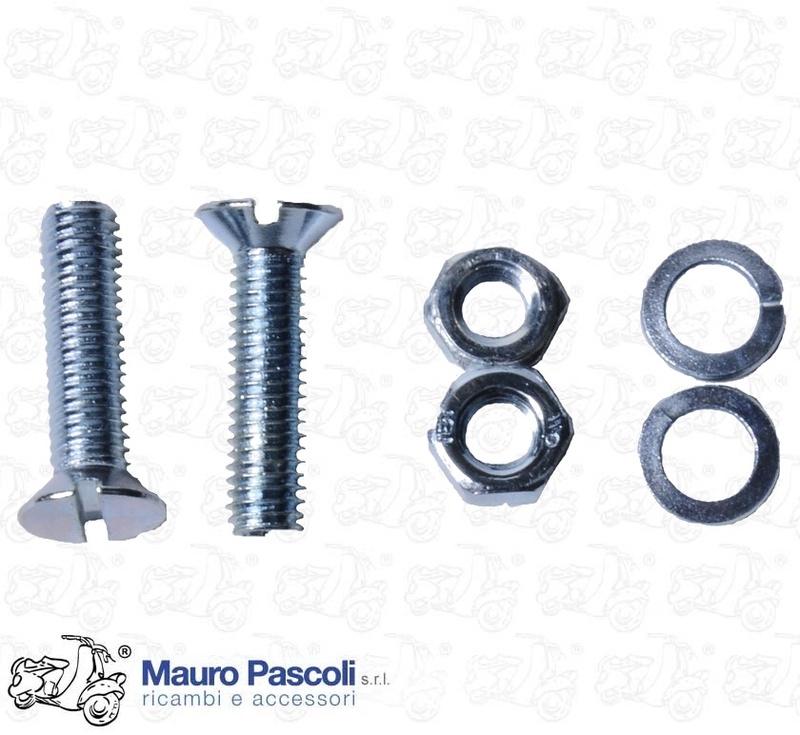 Compatibility: VESPA 160 GS VSB1T - 180 SS VSC1T - ADATTABILE A VESPA 125 TS VNL3T - 180/200 RALLY VSD1T - VSE1T. 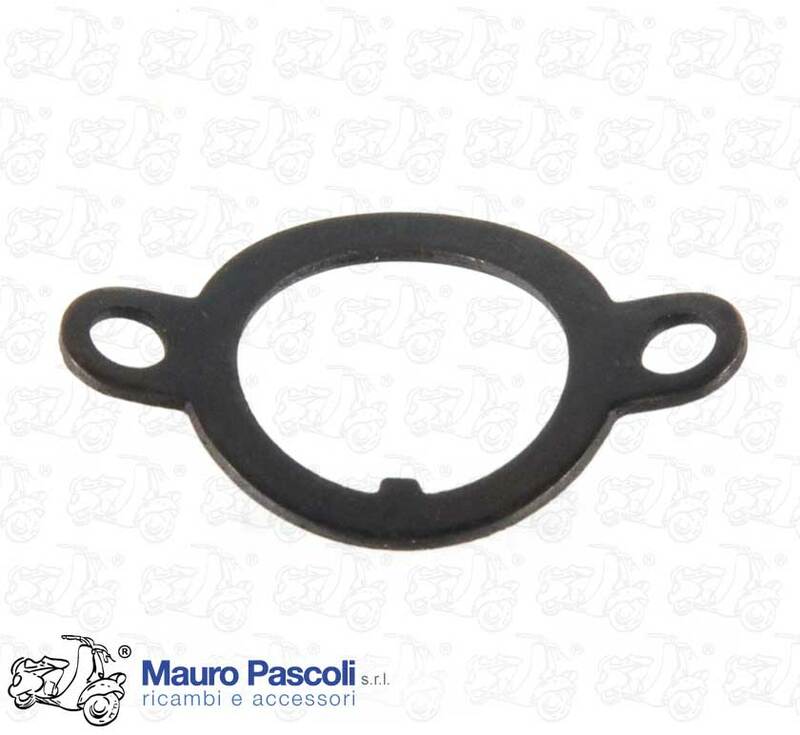 Compatibility: VESPA : V5SS1T - V9A1T - V9SS1T - VMA1T>2T - VMB1T - V98T - V1T>15T - V30T>33T - VU1T - VM1T>2T - VN1T>2T - VNA1T>2T - VNB1T>6T - VNC1T - VNL2T>3T - VNX1T>2T - VNX5T - VL1T>3T - VB1T - VBA1T - VBB1T>2T - VBC1T - VS1T>5T - VLA1T - VLB1T>2T - VLX1T - VSB1T - VSC1T - VSD1T - VSE1T - VSX1T - APE : A1T>15T - AB1T>4T - AC1T>4T - AE01T>2T - AE1T>3T - AD1T>2T - PENTARò : APA1T - APB1T - APC1T>2T. 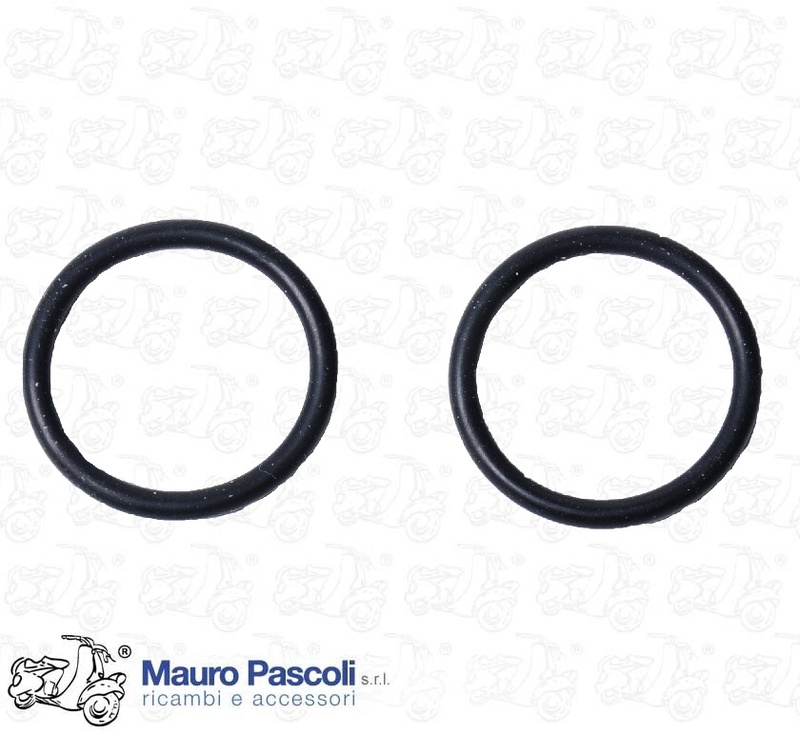 Compatibility: VESPA : VBA1T - VBB1T - VS1T>5T - VLA1T - VSB1T - VSC1T. 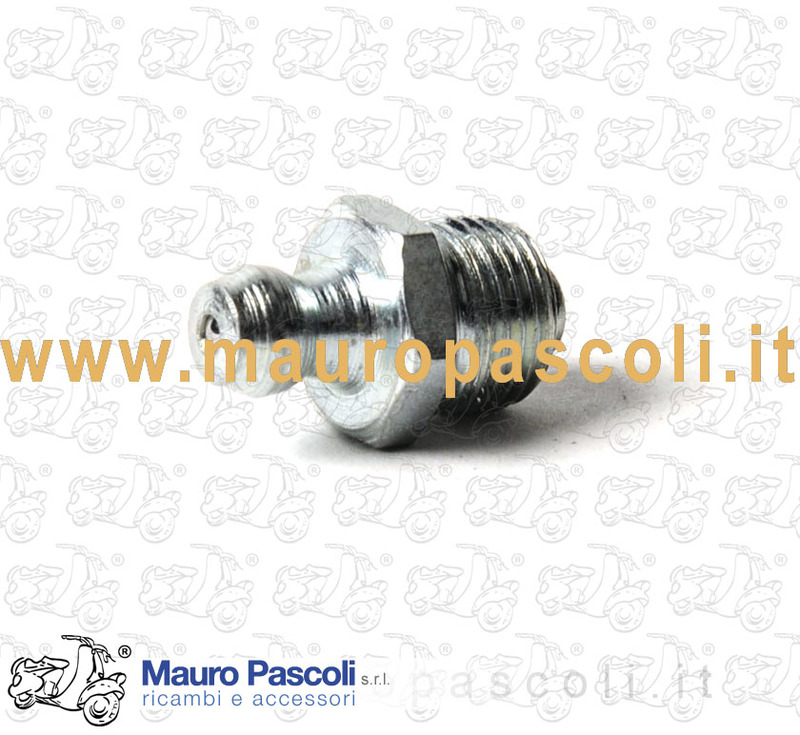 Compatibility: Tutte le VESPA - All VESPA. 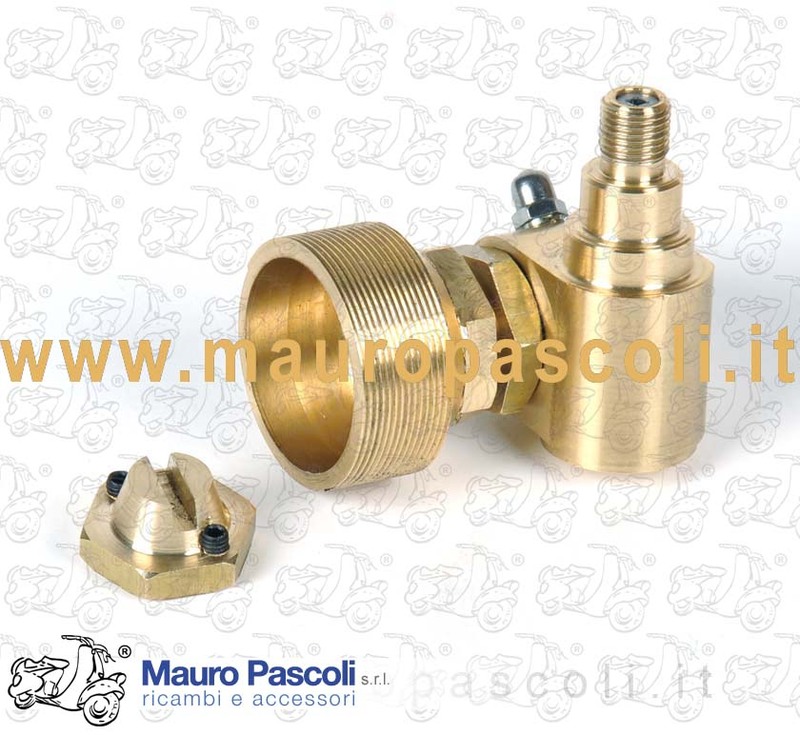 Compatibility: VESPA :V5A1T>3T -V5B1T>4T -V5R1T -V5SA1T>SS2T -V9A1T -V9SS1T>2T -VMA1T>2T - VMB1T -V98T - V1T>15T - V30T>33T - VU1T - VM1T>2T - VN1T>2T - VNA1T>VNB6T - VNC1T - VNL2T>3T - VNX1T>2T - VL1T>3T - VB1T - VBA1T>BB2T - VBC1T - VS1T>5T - VLA1T - VLB1T>2T - VLX1T - VSB1T - VSC1T - VSD1T - VSE1T - VSX1T - APE : TL1T>3T - TM1T(125) - A1T>15T - AB1T>4T - AC1T>4T - AE01T>02T - AE1T>3T - AD1T >2T - APA1T - APB1T - APC1T>2T. 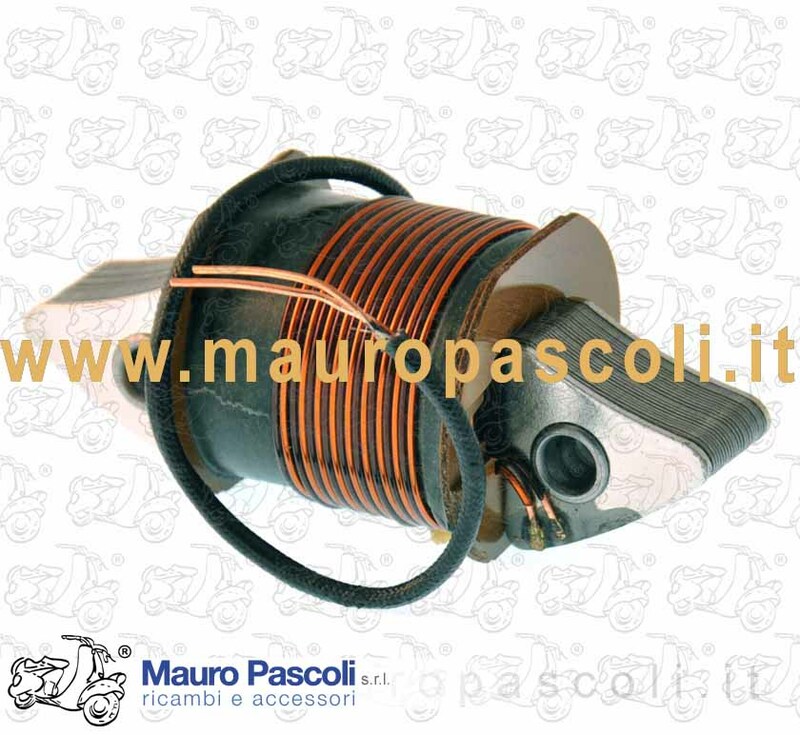 Compatibility: VESPA :: 80 - V8A1T - V8X1T - 125 - VNX1T > VNX2T -E - ARC. 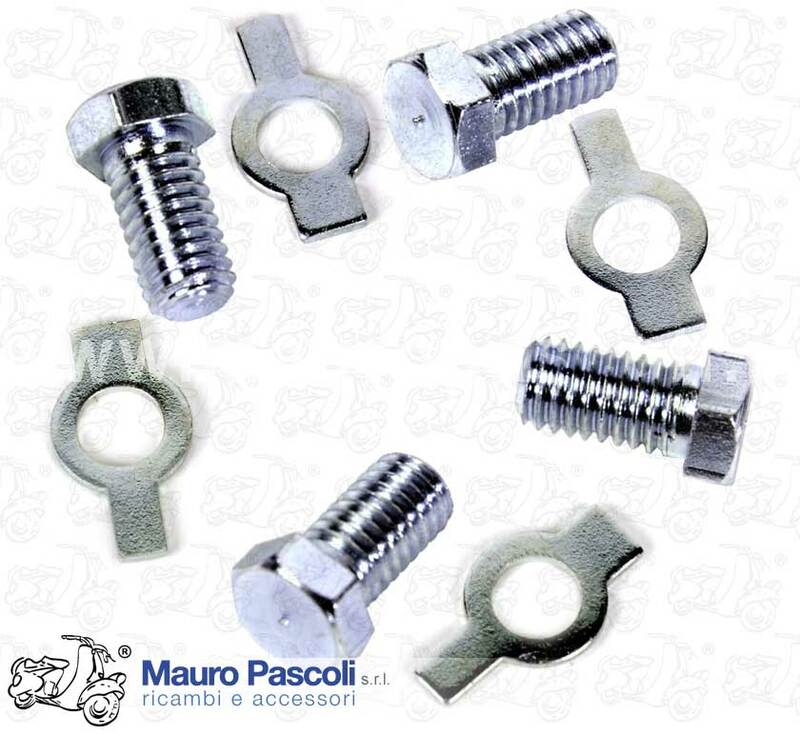 ELEST - VNX5T - VBX1T - VLX1T - E- ARC. 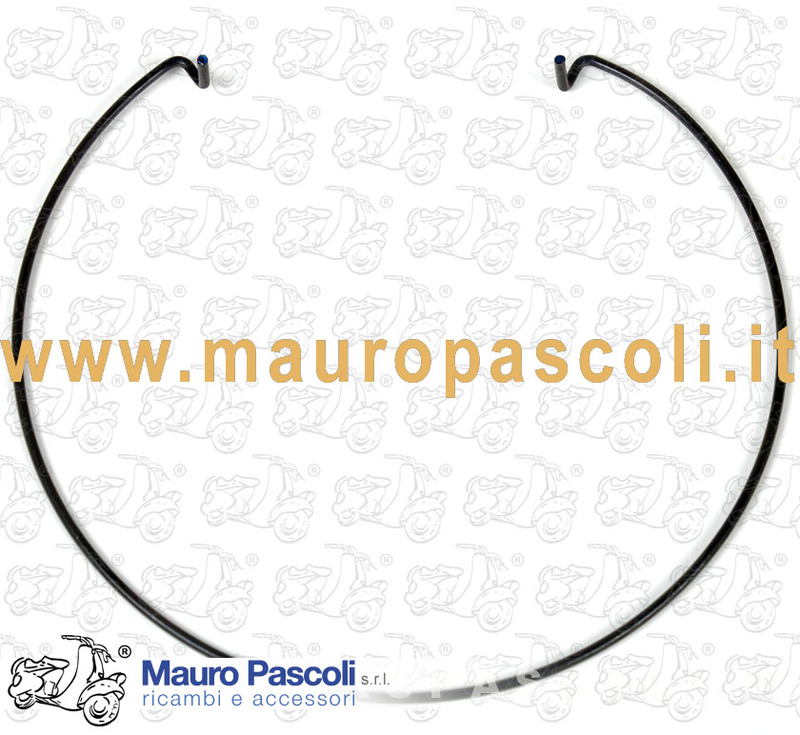 ELEST - 200 - VSX1T - E - ARC. 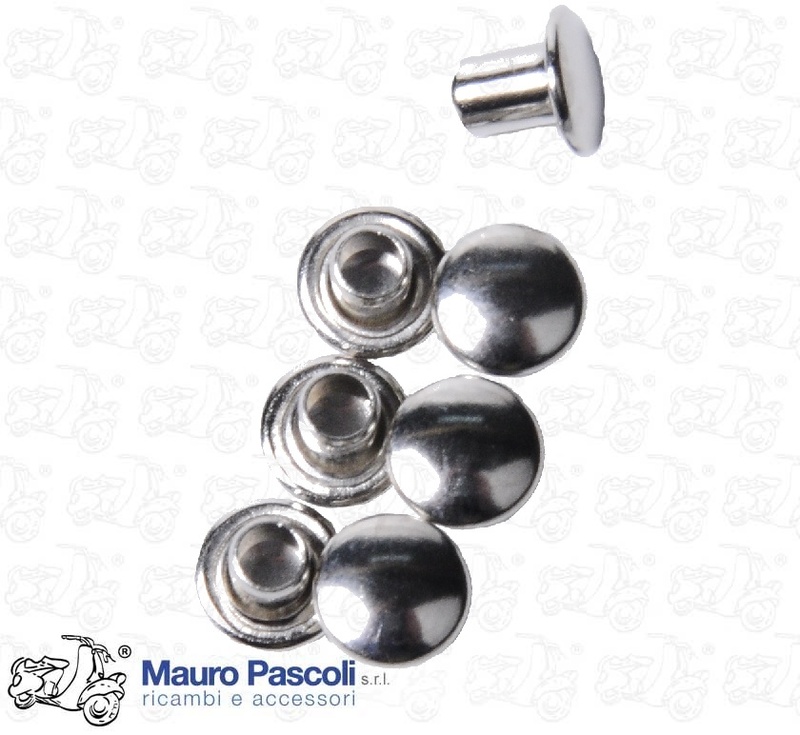 ELEST . 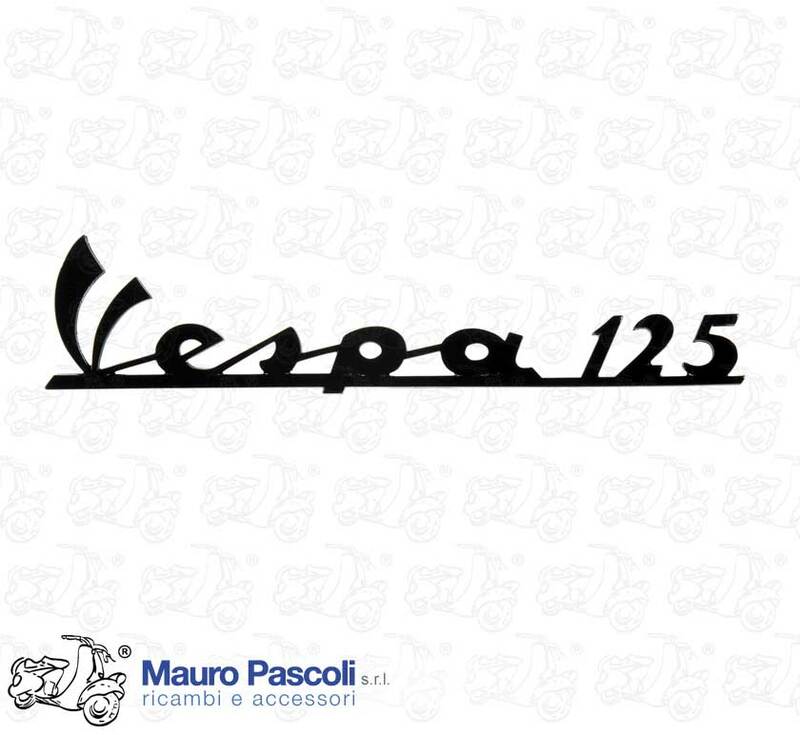 Compatibility: VESPA : 125. 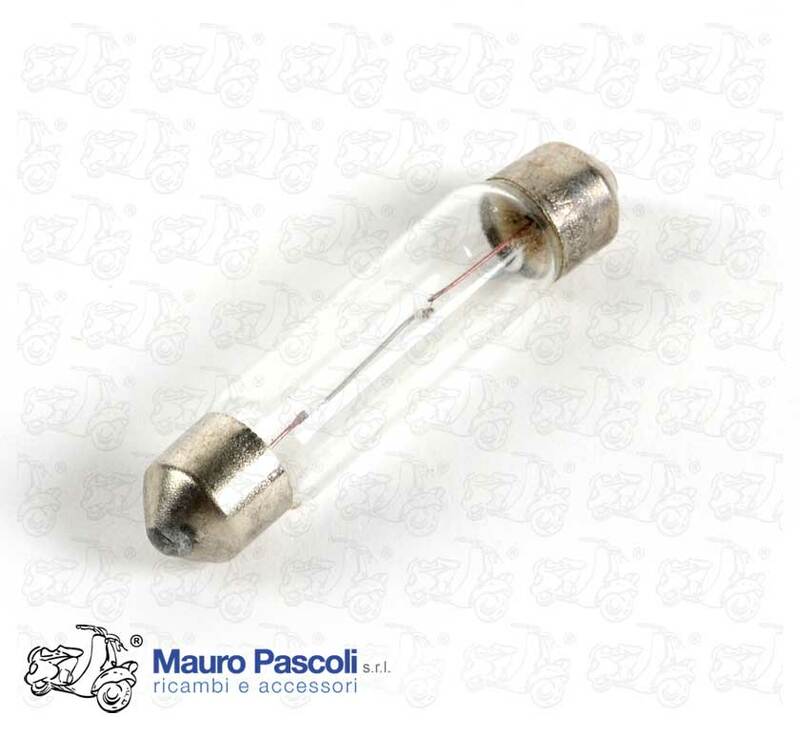 VNB1T - 150. 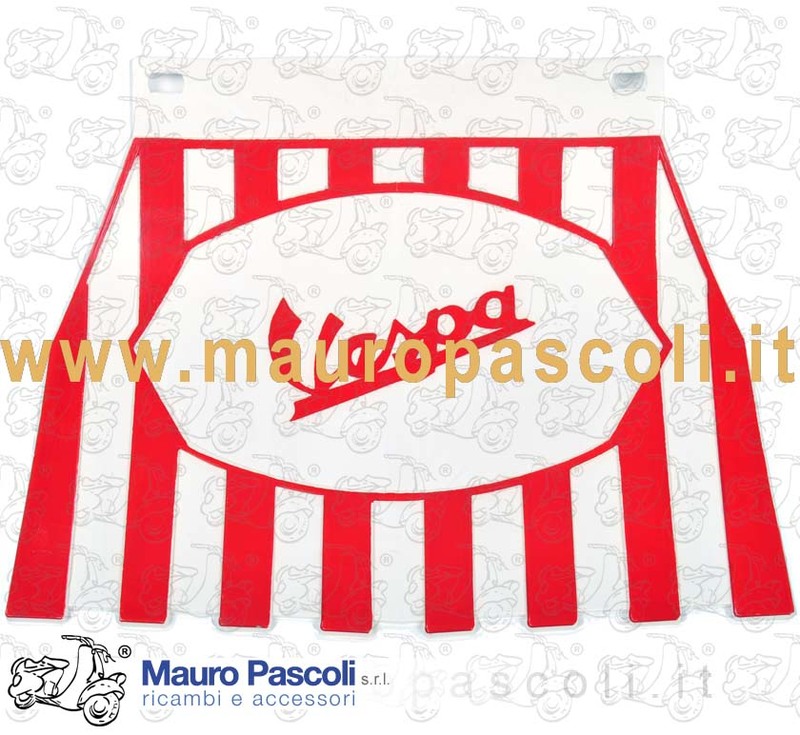 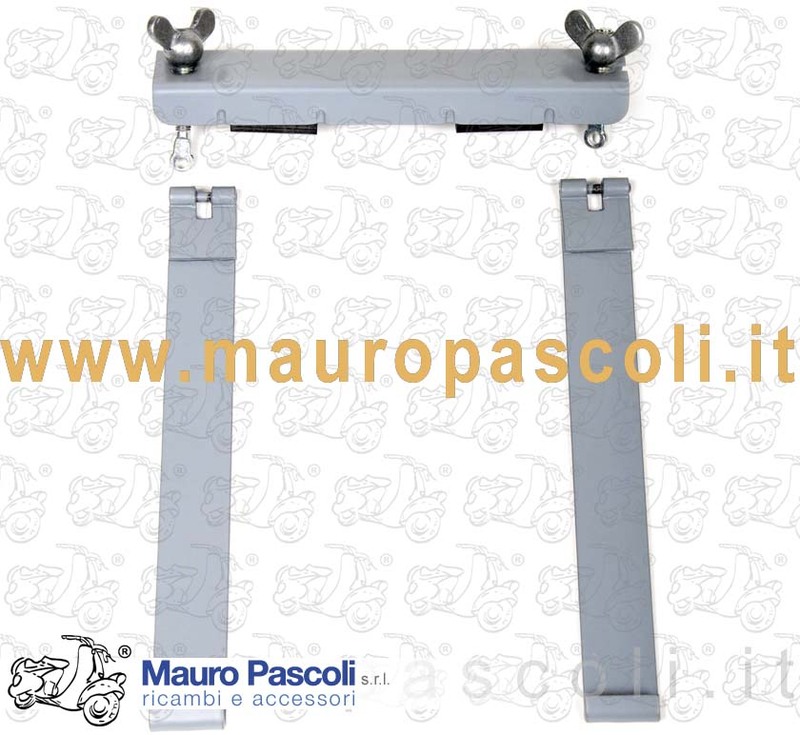 VBA1T - VBB1T - VS1T>5T - VLA1T - 160 VSB1T - 180 VSC1T MODELLI ESPORTAZIONE: VNC1T - VNL2T - VBC1T - VLB1T - VSE1T APE : AB1T>4T - AC1T>4T - AE01T>2T - AE1T>3T - AD1T>2T - PENTARO : APA1T - APB1T - APC1T>2T. 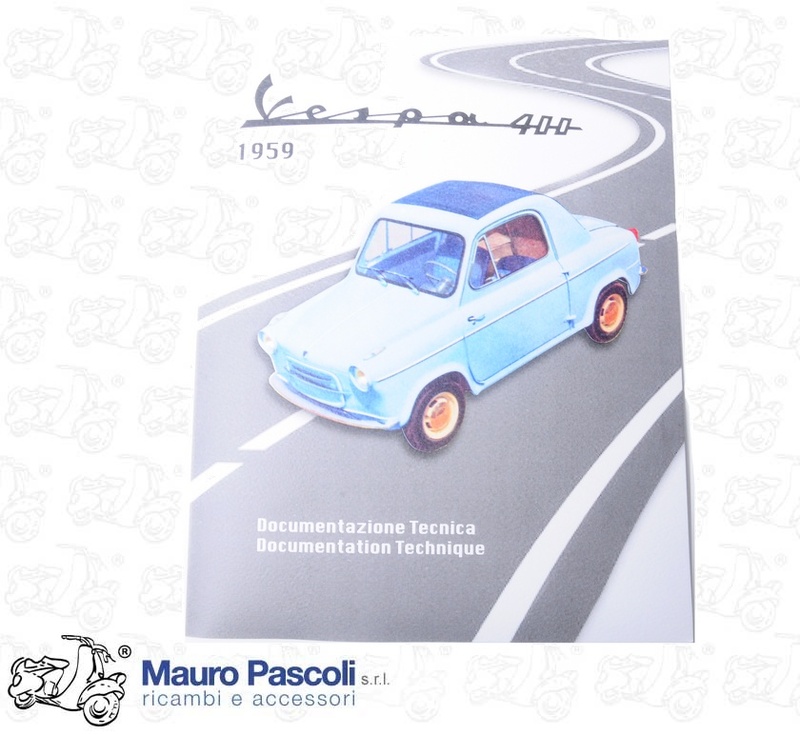 Compatibility: VESPA : VNX5T - VSB1T - VSC1T - APE : AE01T>2T - AE1T>3T - AD1T>2T - PENTARO : APC1T>2T. 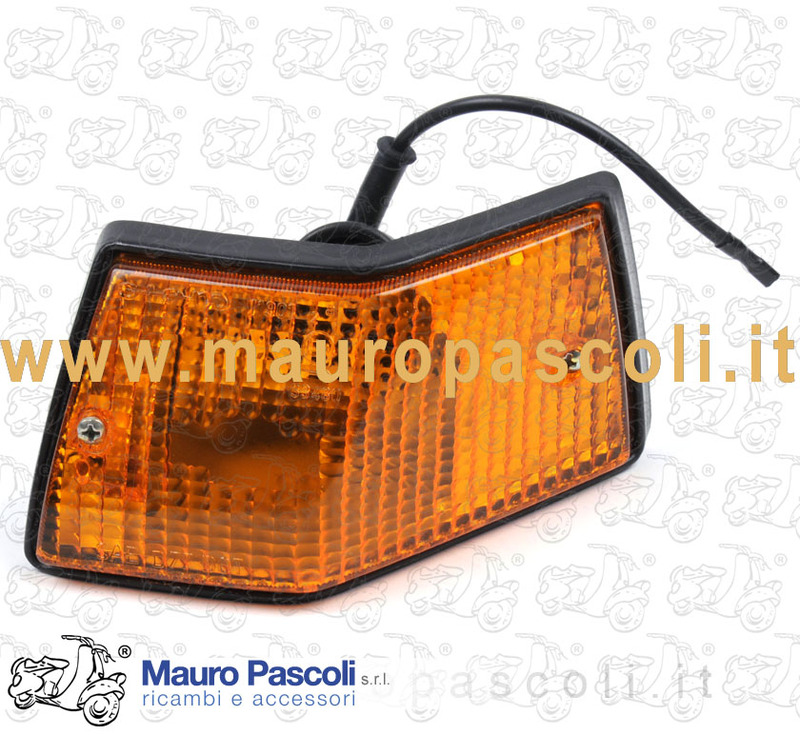 Compatibility: VESPA : 150 VL3T - VGL1T - VB1T. 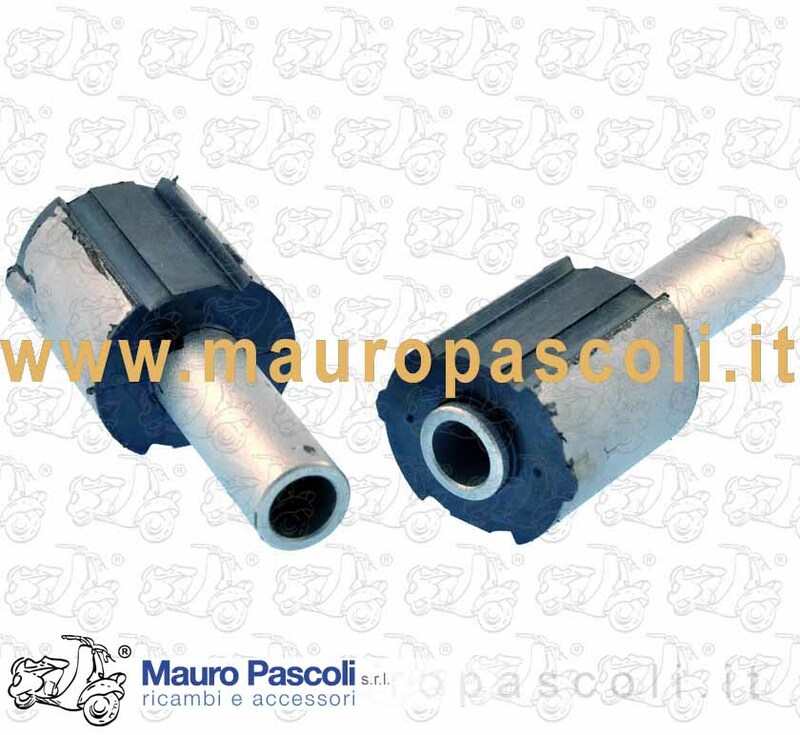 Compatibility: VESPA : V5A1T 500001> - V5A2T>3T - V5B1T>4T - V5R1T - V5SA1T - V5SS1T>2T - V9A1T - V9SS1T> 2T - VMA1T>2T. 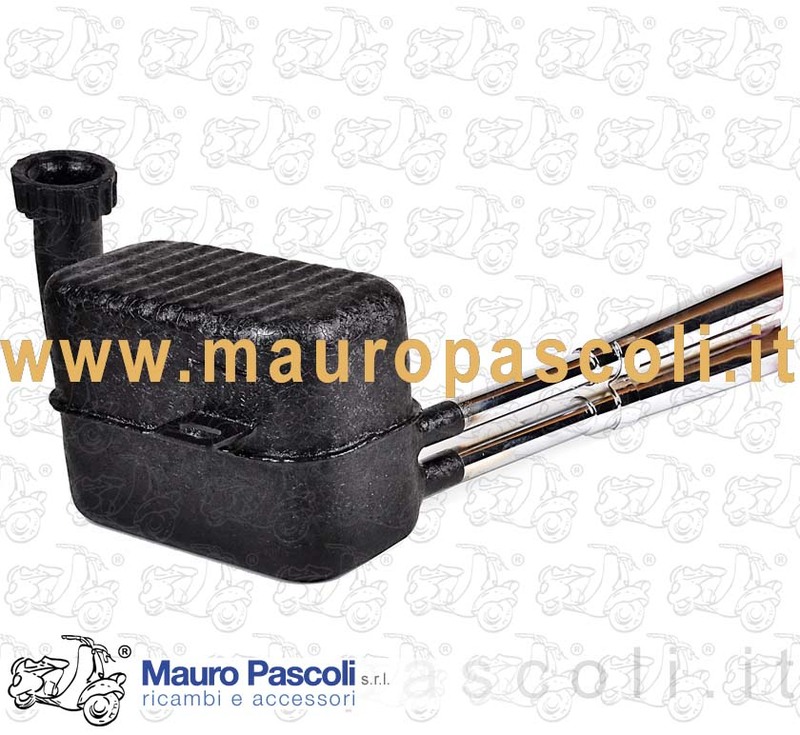 ADATTABILE : VESPA - V5X1T>3T. 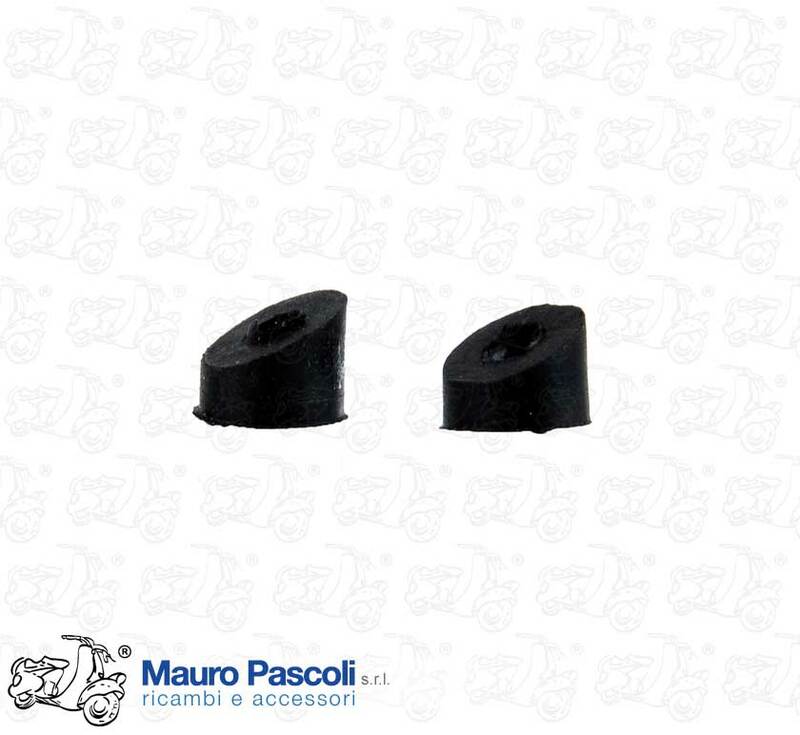 Compatibility: VESPA : V5X1T>2T - V5S1T - V8X5T - VA81T - VAM1T - VMX1T - VMX5T. 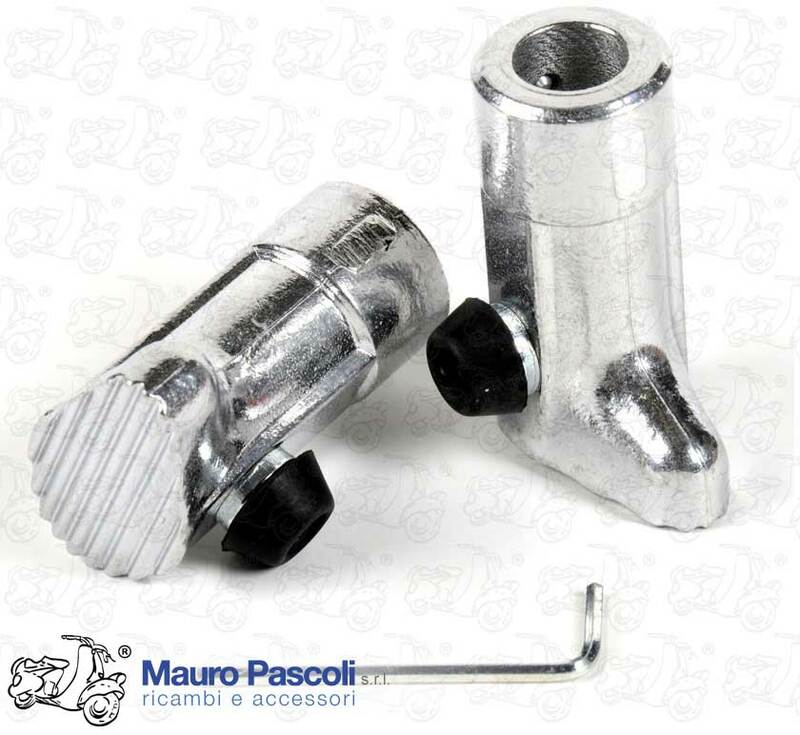 Compatibility: Tutte le VESPA - All VESPA . 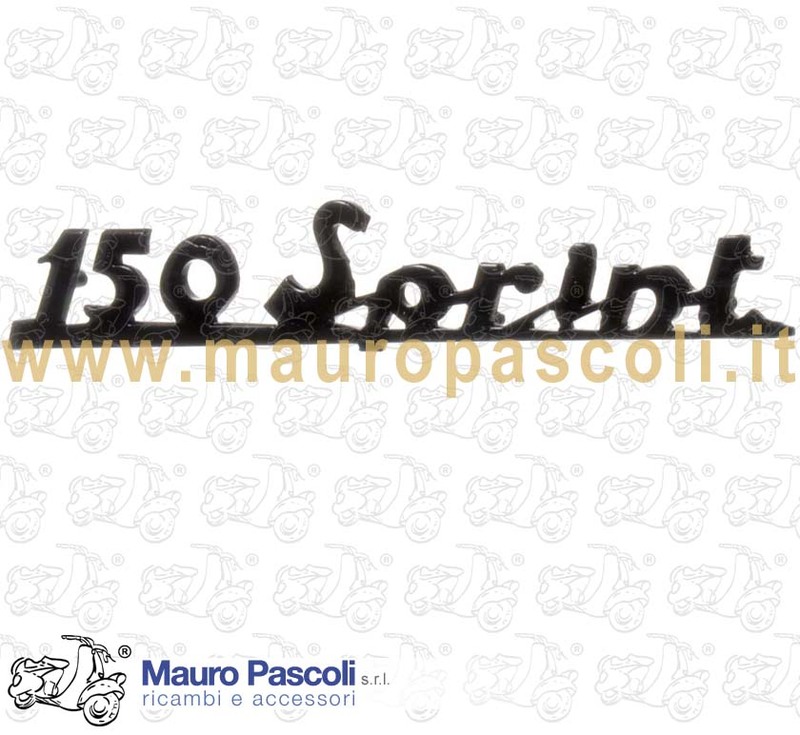 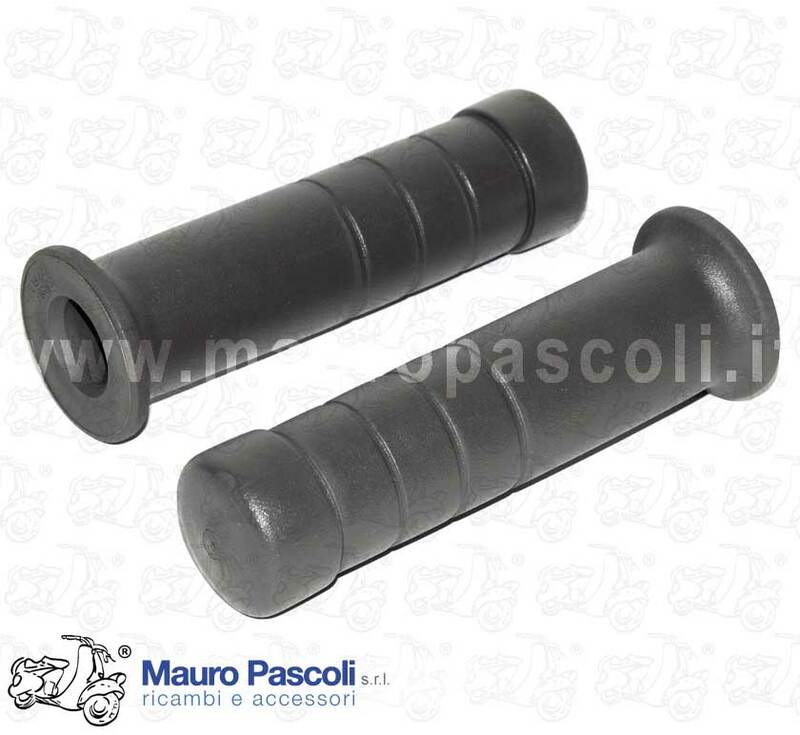 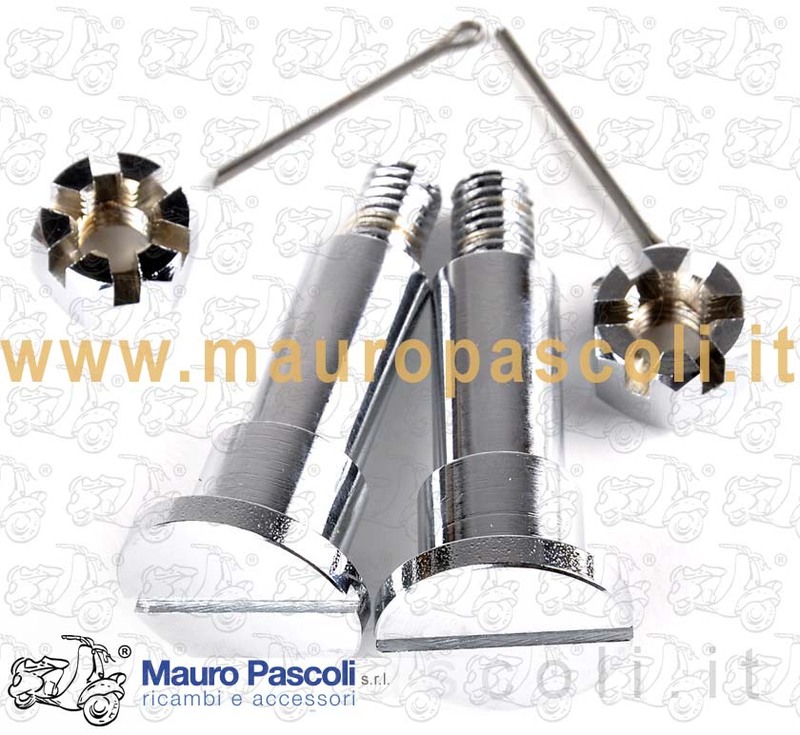 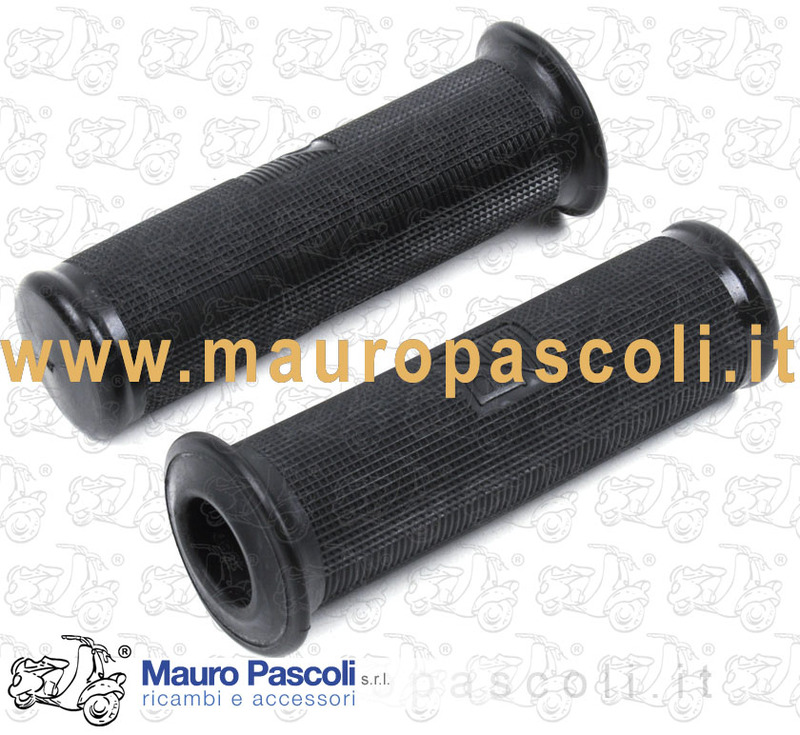 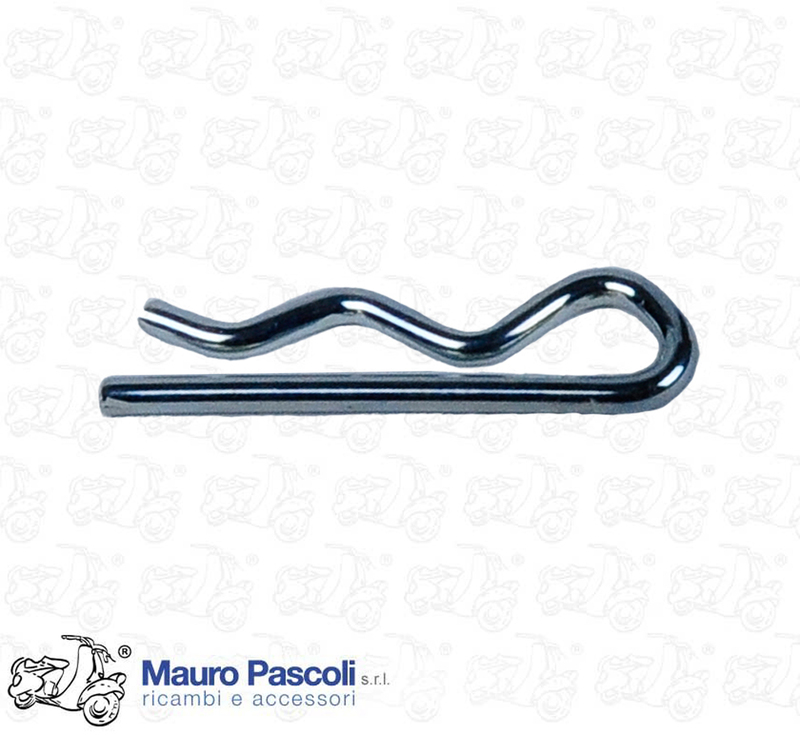 - PER MODELLI GS 150, SOLO PER IL MODELLO GS150 VS1T>9450. 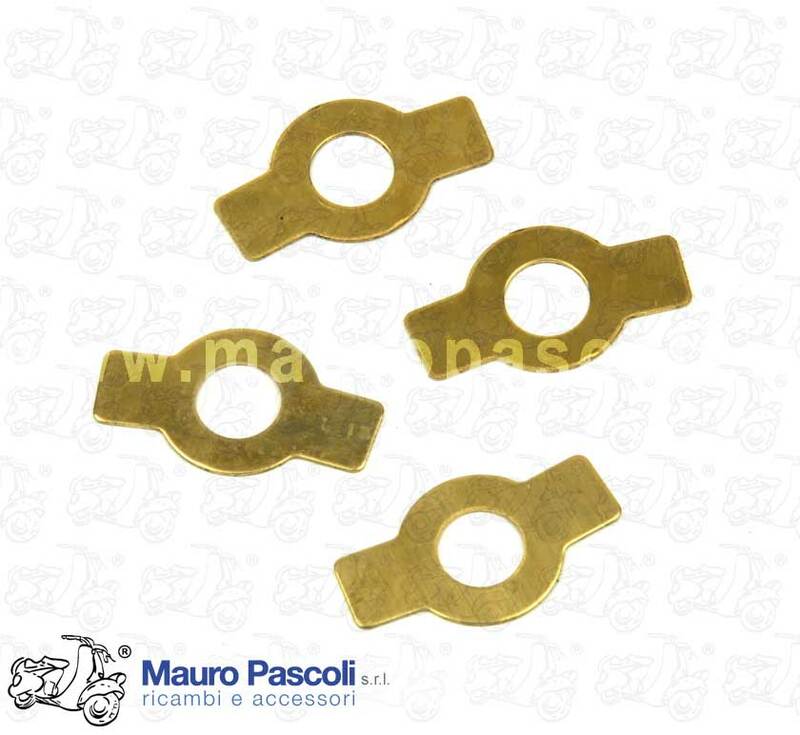 Compatibility: VESPA : VNA1T>2T - VNB1T>3T - VL1T>3T - VB1T - VBA1T - VBB1T - VS1T>5T. 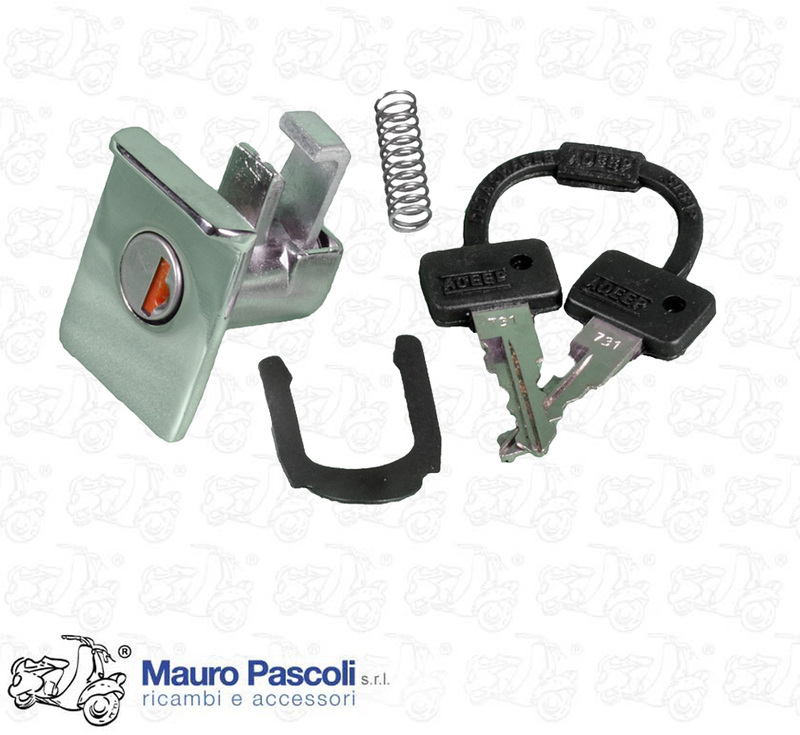 Compatibility: VESPA : V98T - V1T - V11T>15T - V30T>33T - APE : A1T-A11T>15T. 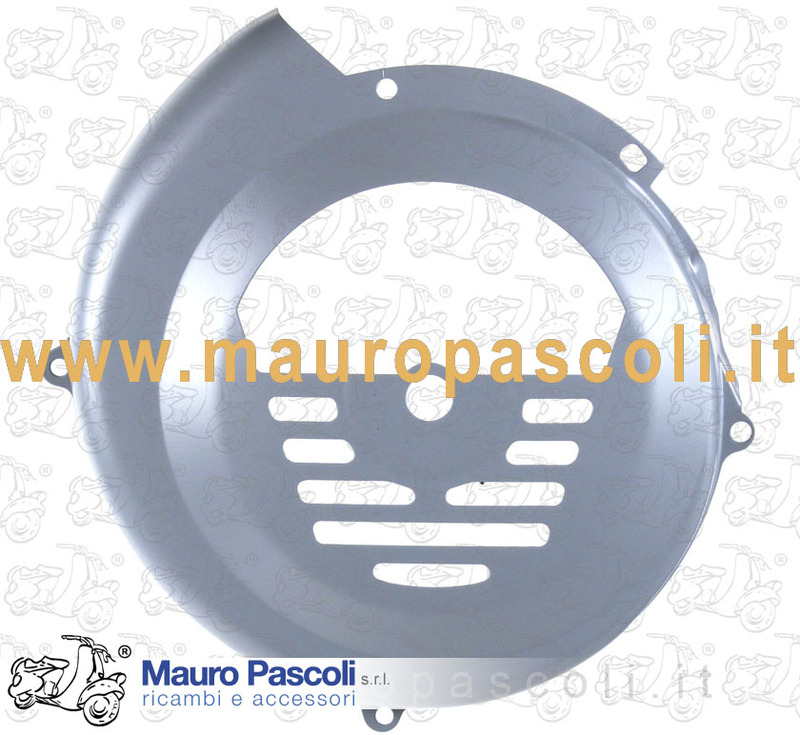 Compatibility: VESPA : VMB1T.125 ET3. 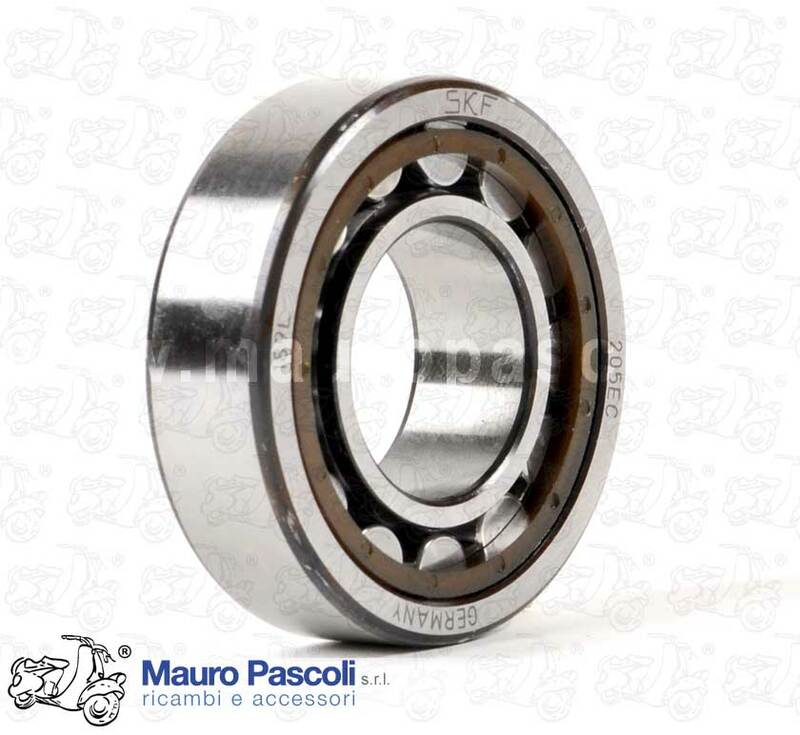 Compatibility: APE : AC1T>4T - AE01T - AE1T - PENTARO : APA1T - APB1T - APC1T - AF1T - AF2T. 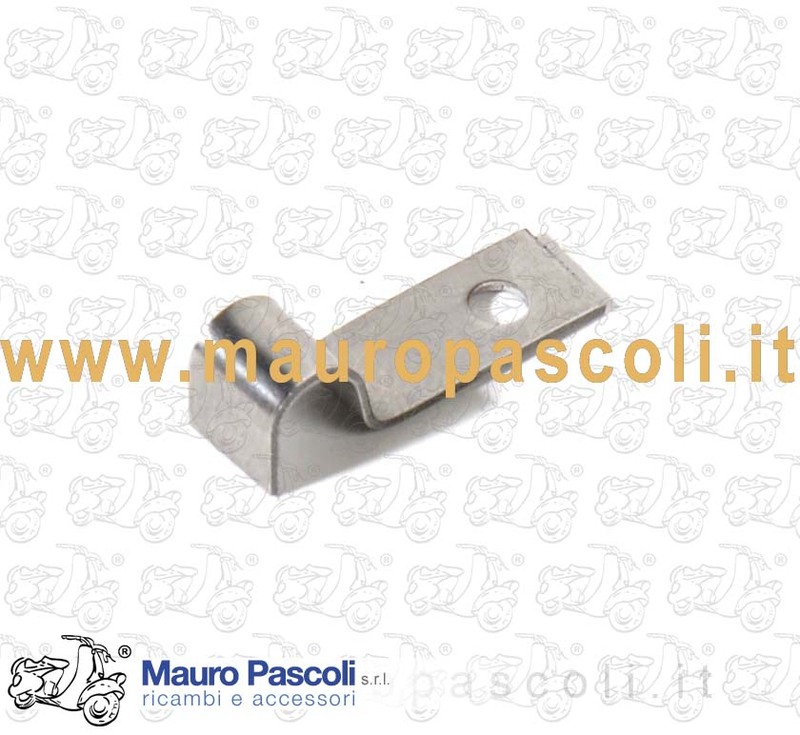 Compatibility: VESPA : V1T>15T - V30T>33T - VM1T>2T - VN1T>2T - VNA1T>2T - VNB1T>6T - VNC1T - VNL2T - VL1T> 3T - VGL1T - VGLA1T - VGLB1T - VB1T - VBA1T - VBB1T>2T - VBC1T - VS1T>5T - VLA1T - VLB1T>2T. 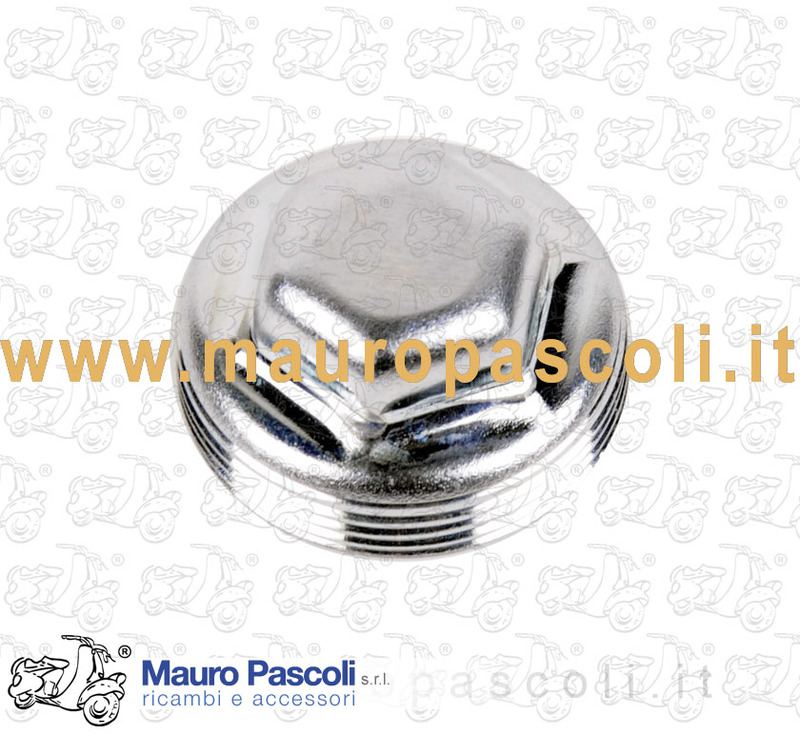 Compatibility: VESPA : 50 - N - V5A1T> 113375 - V5SA1T > 15876 - 90 - V9A1T > 21676 . 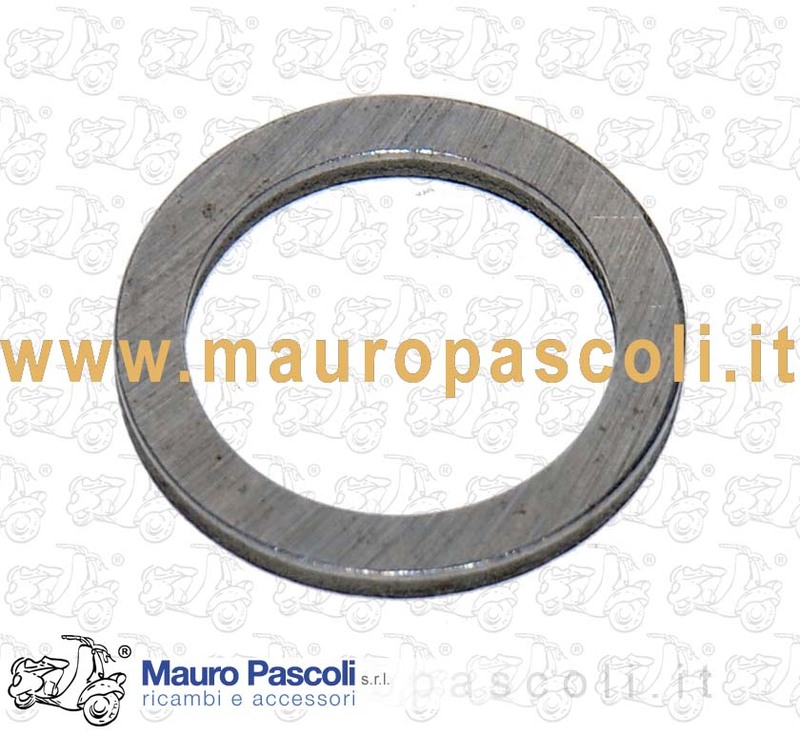 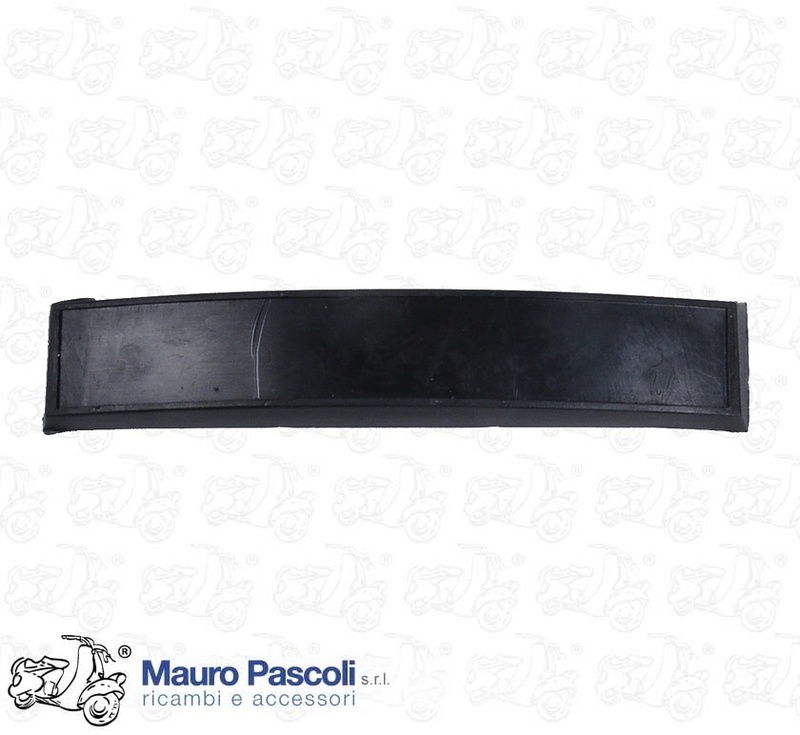 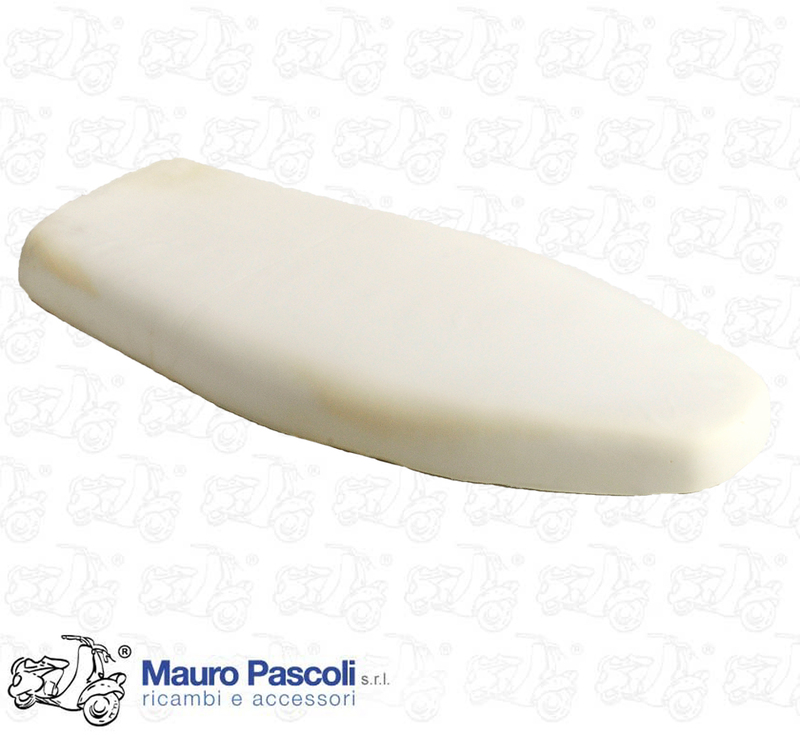 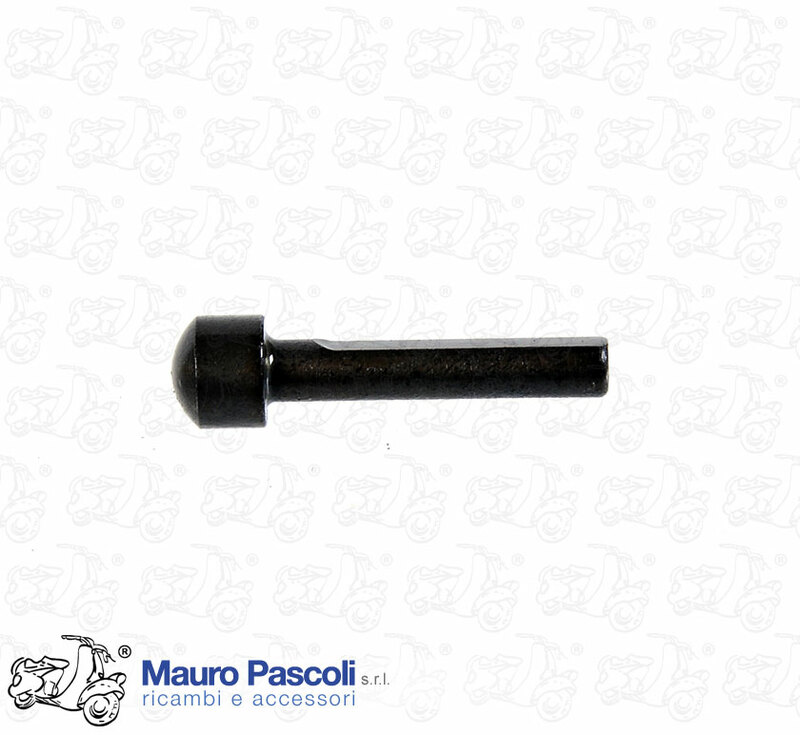 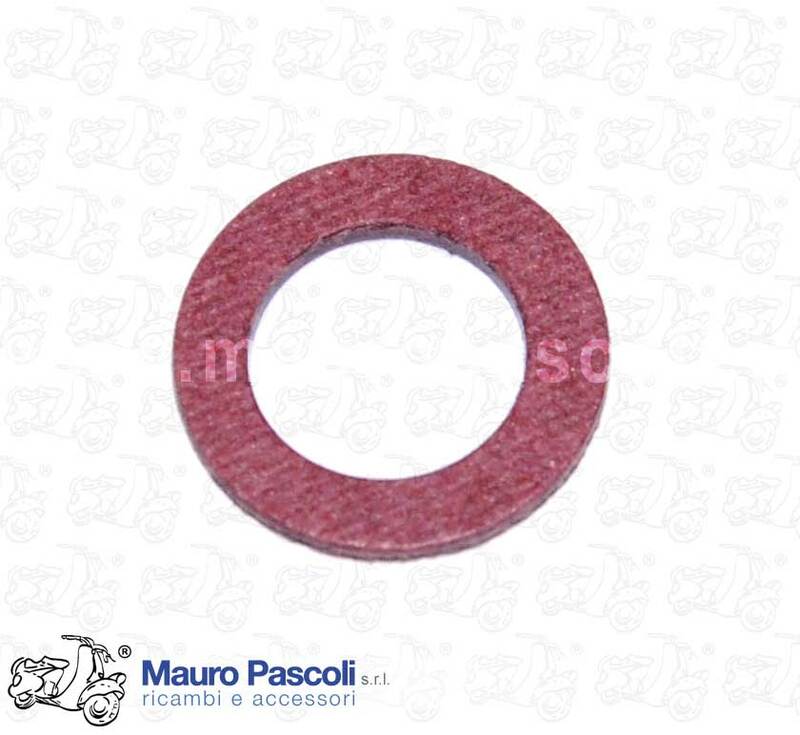 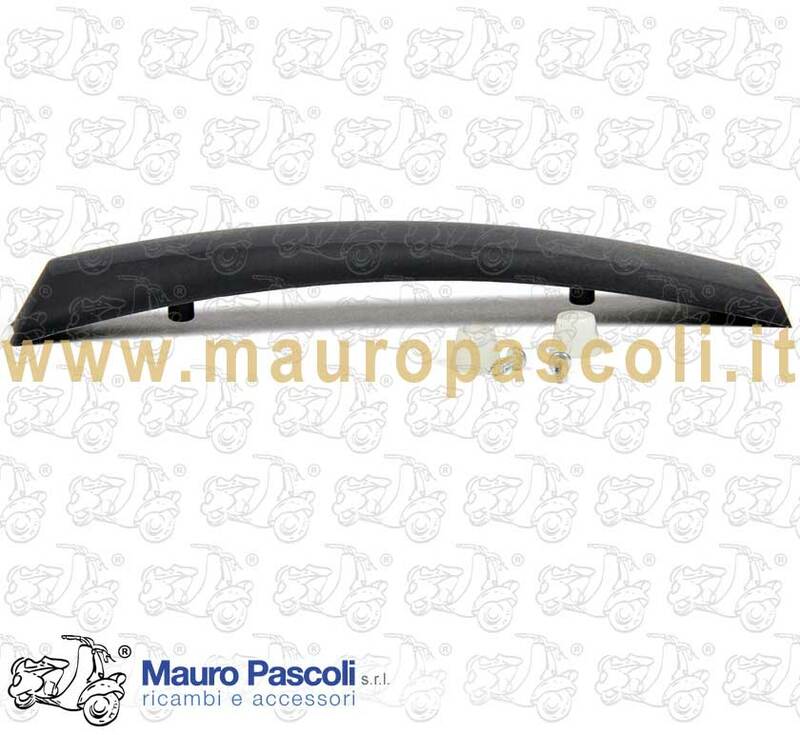 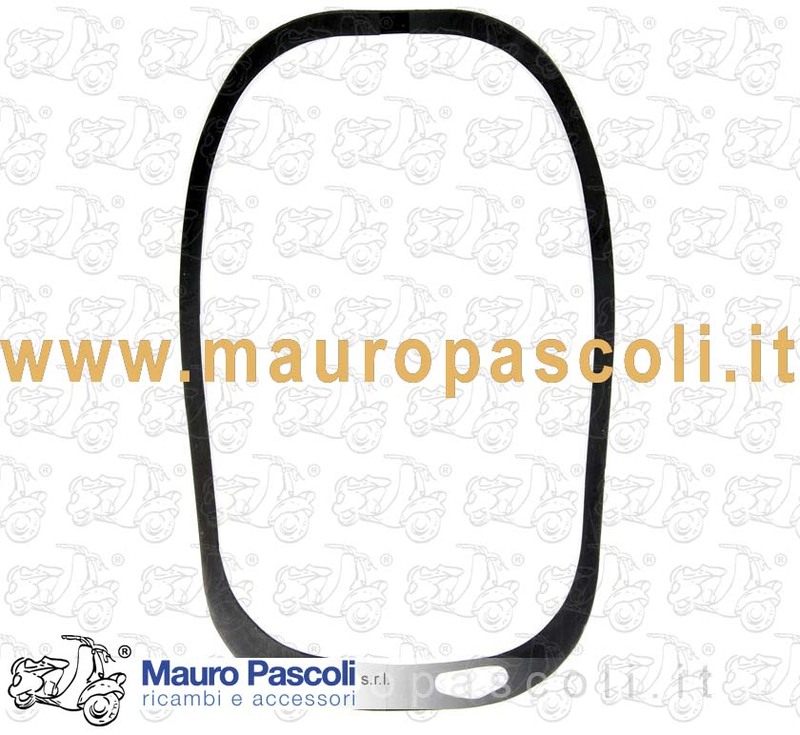 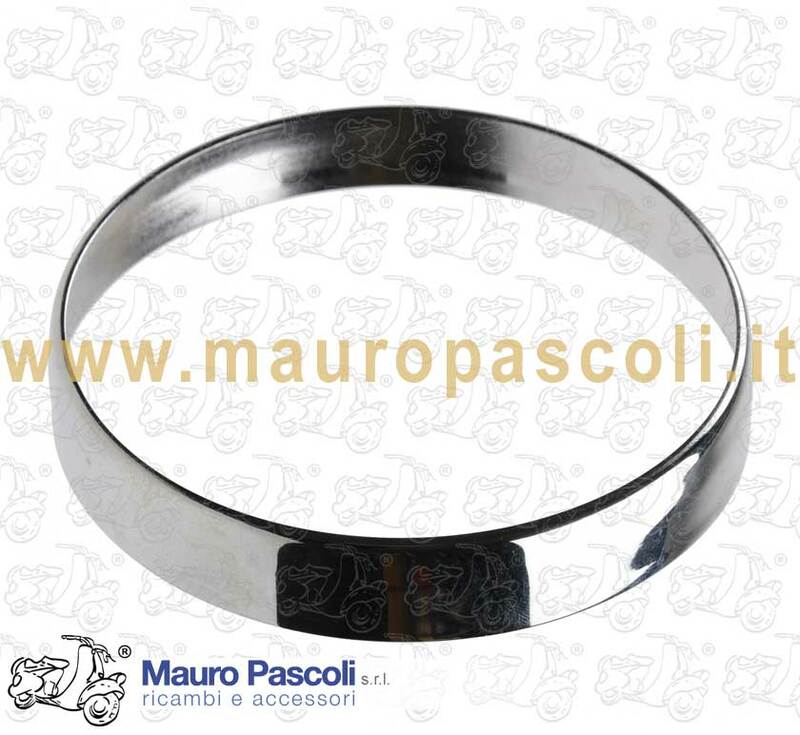 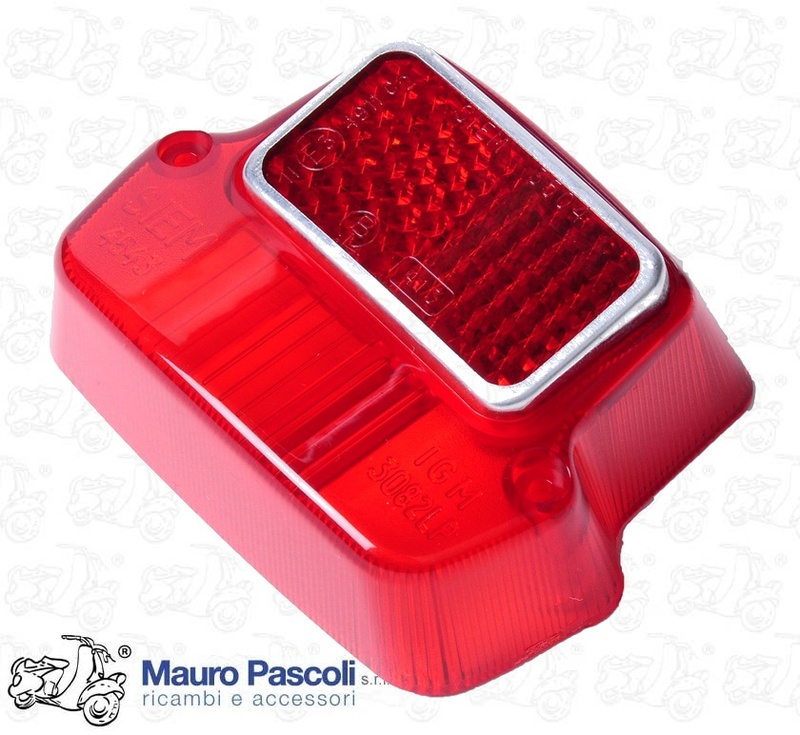 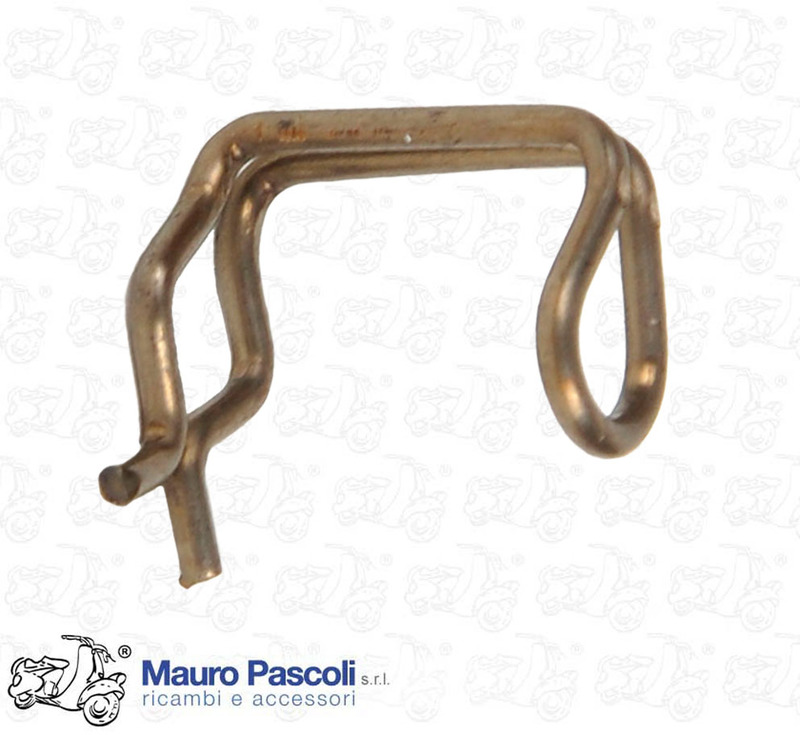 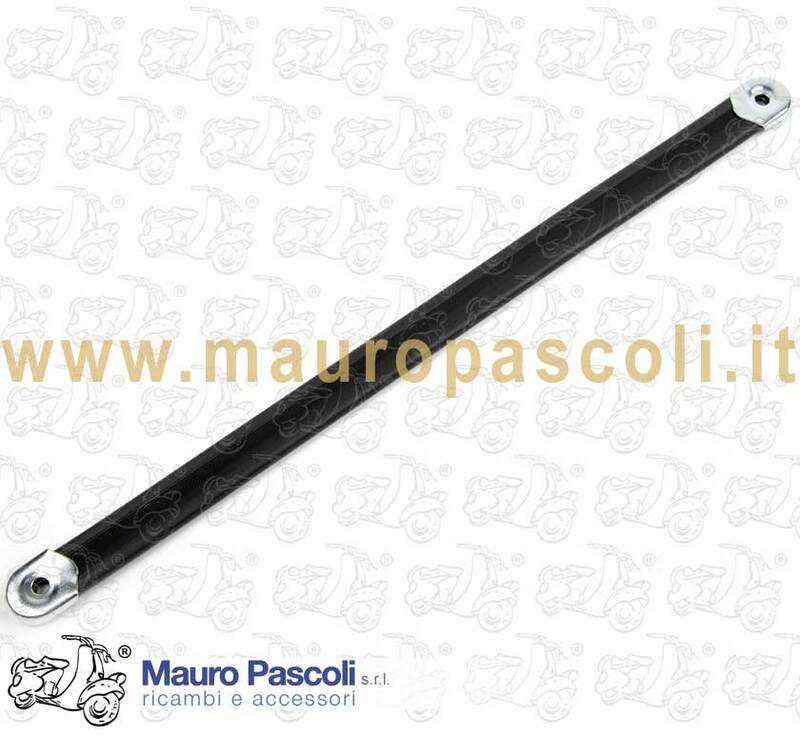 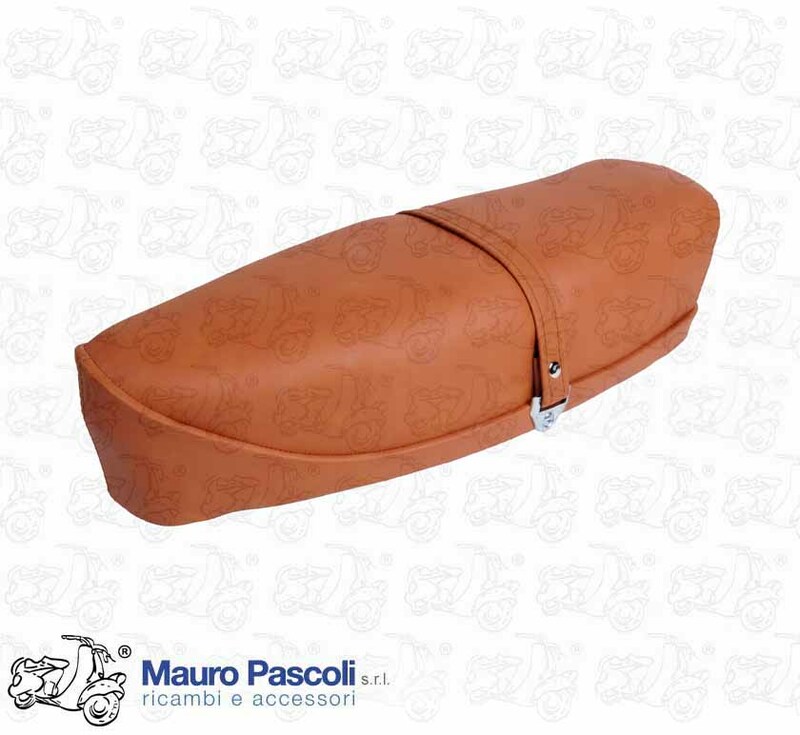 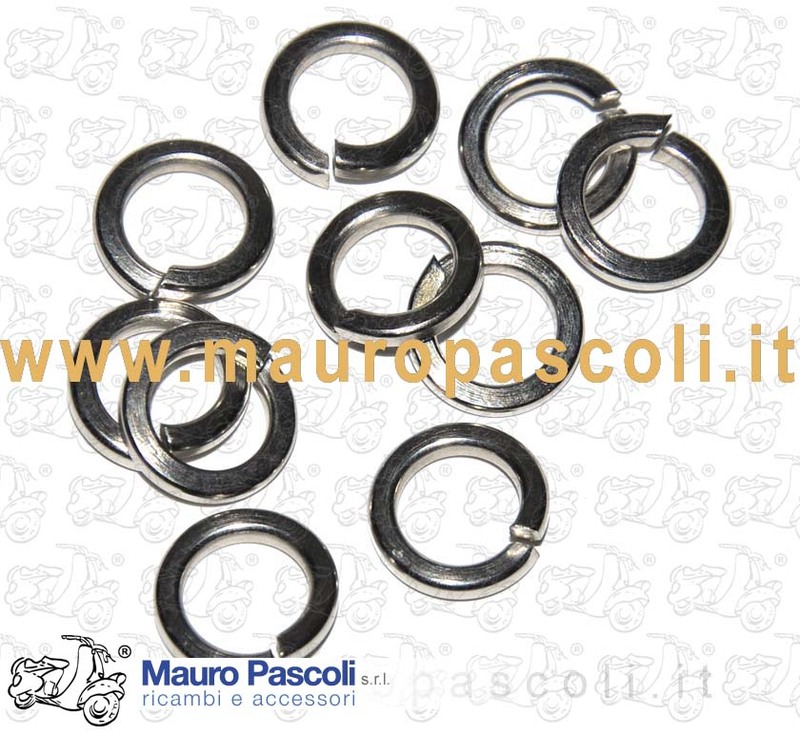 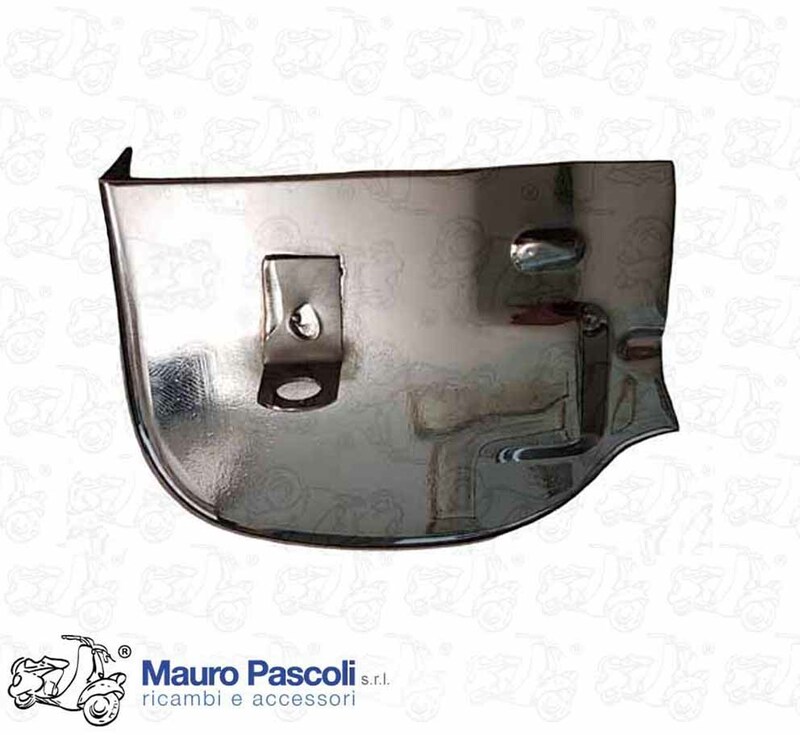 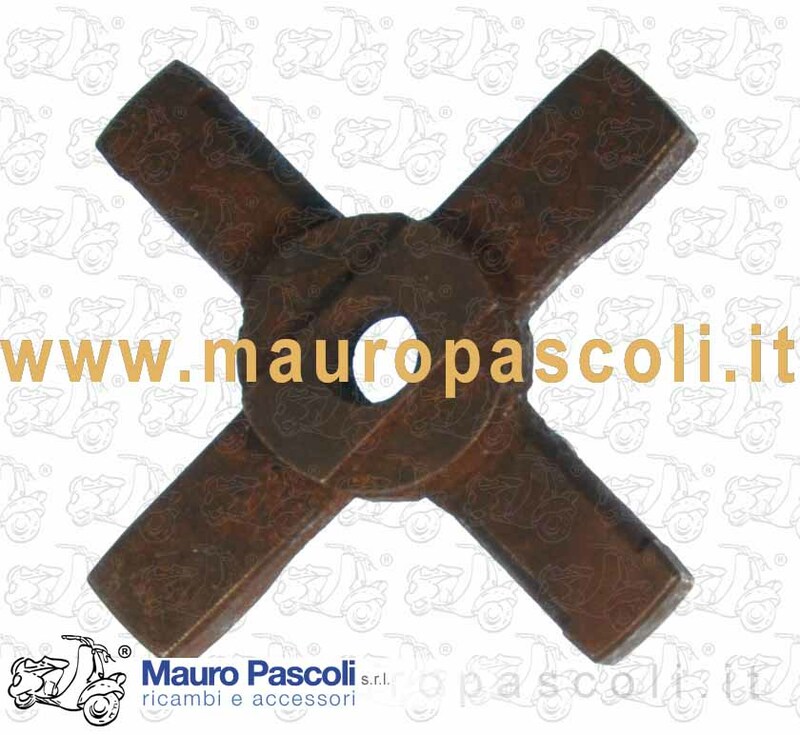 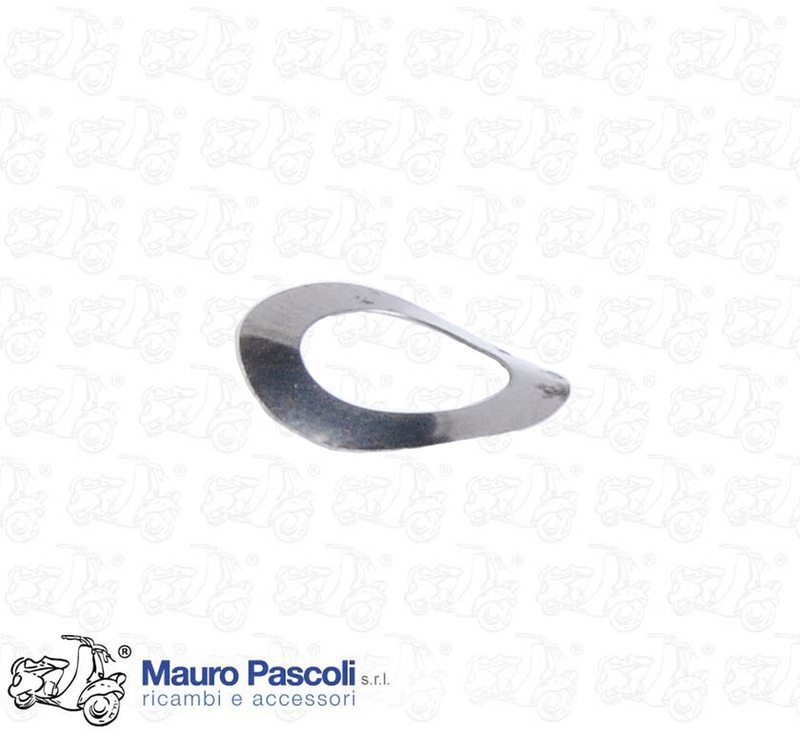 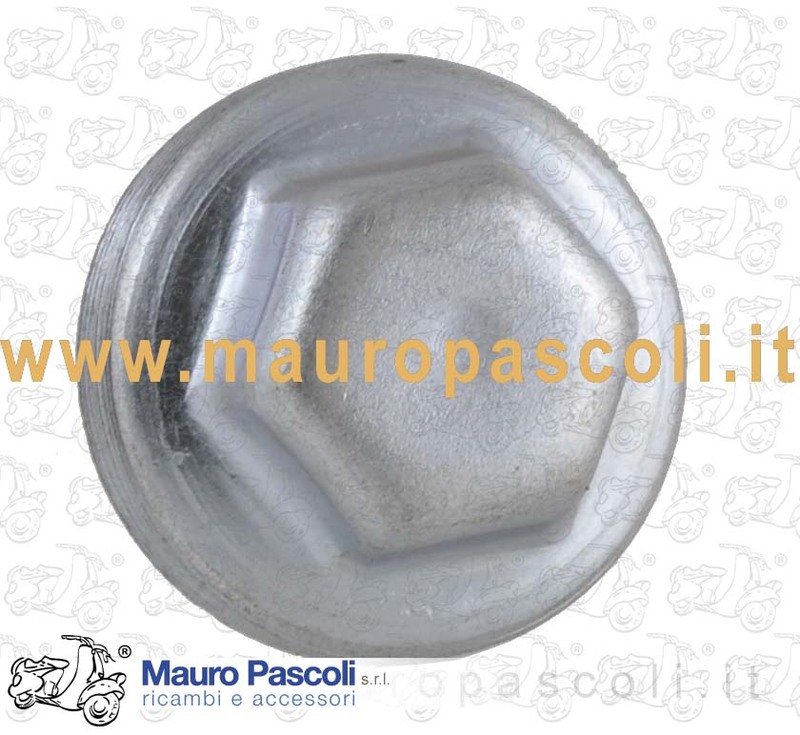 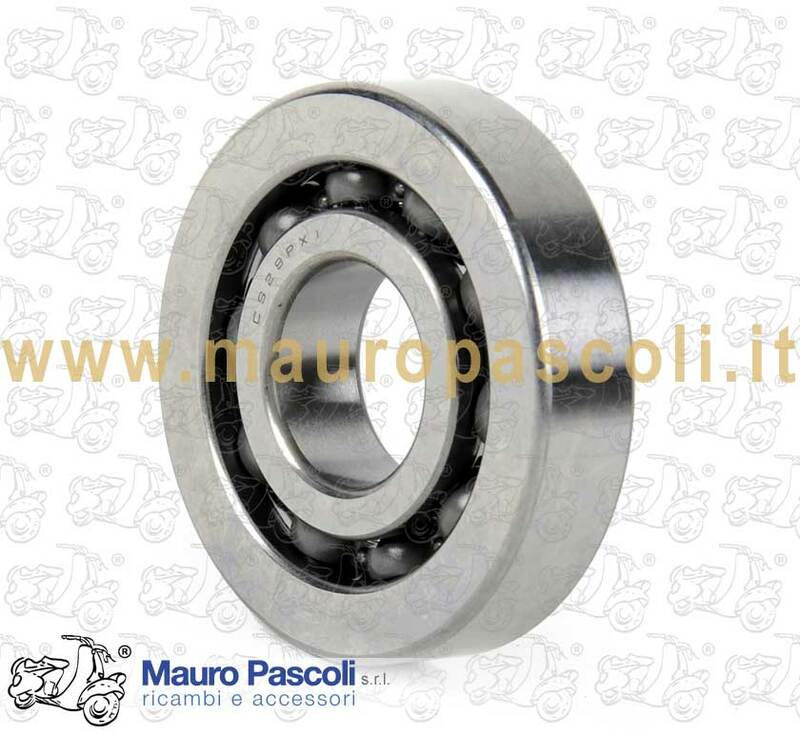 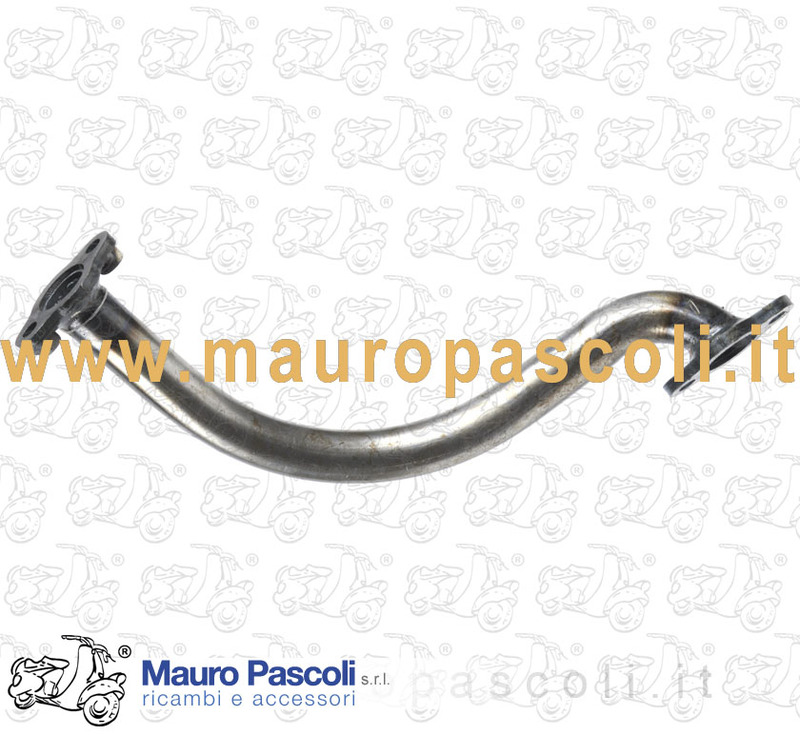 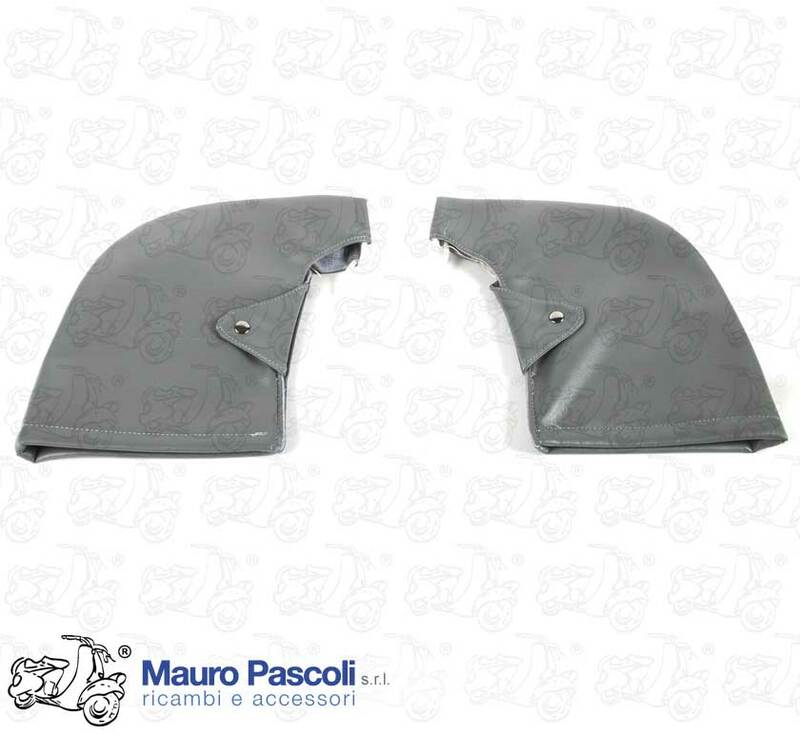 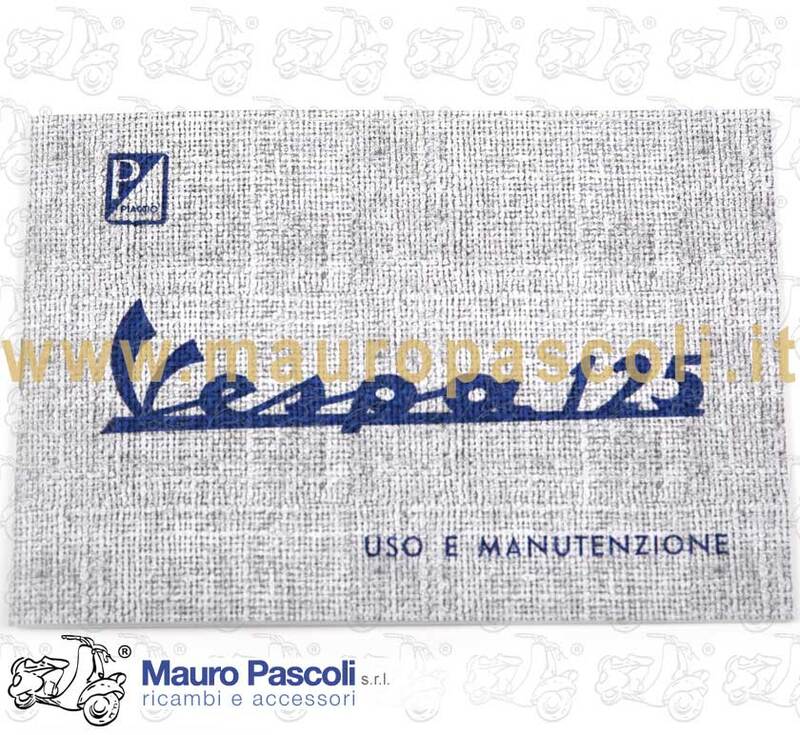 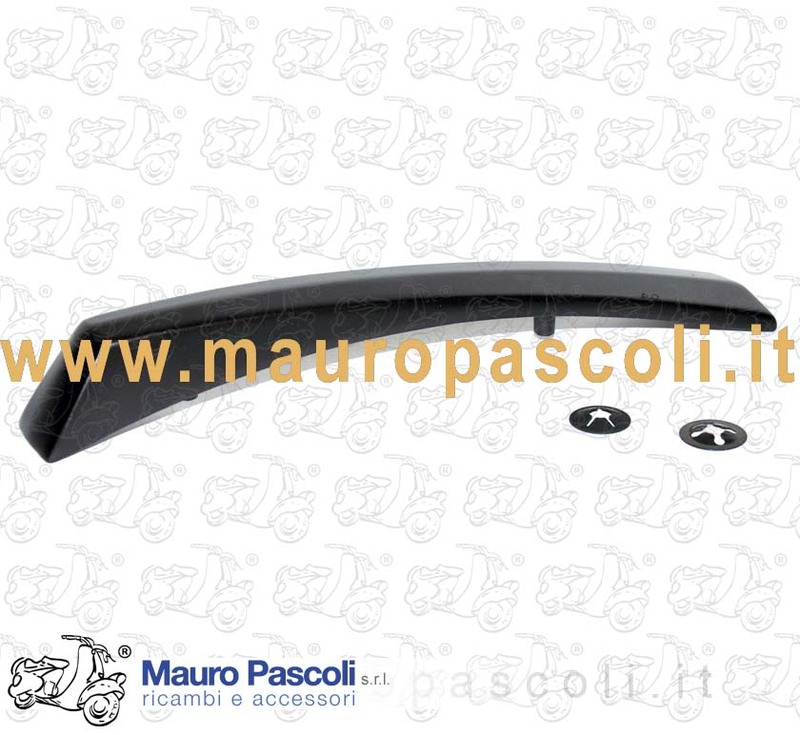 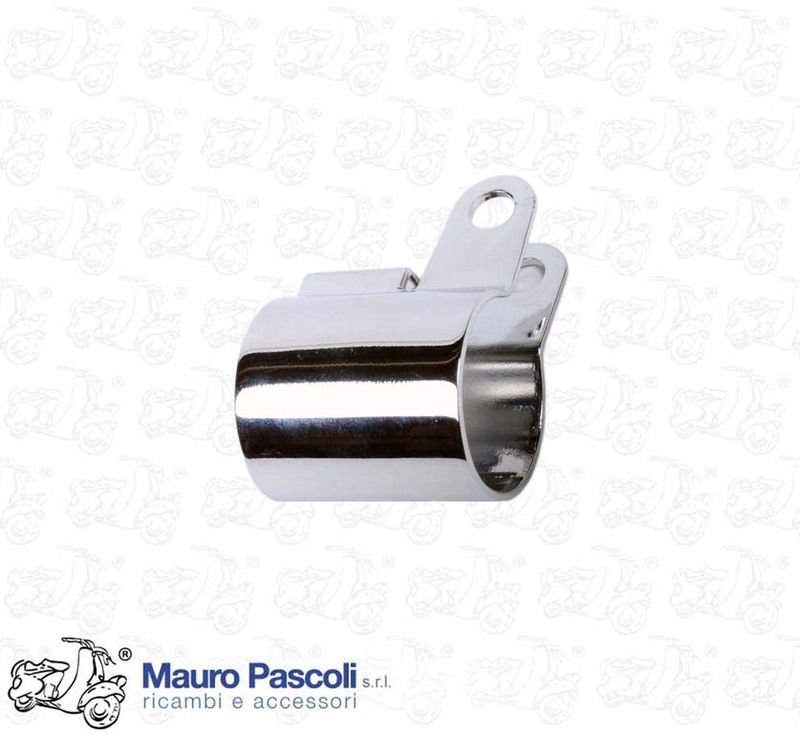 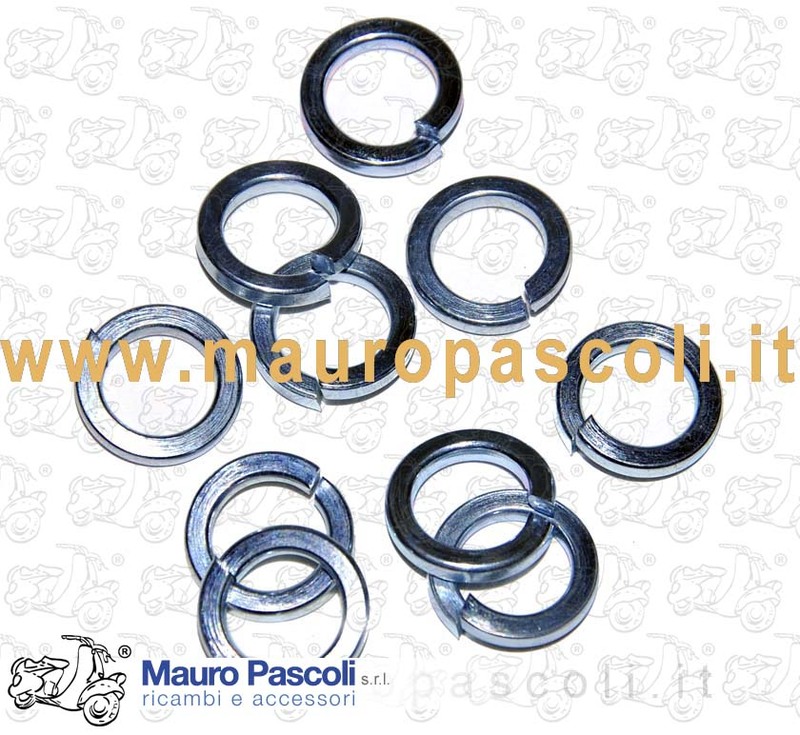 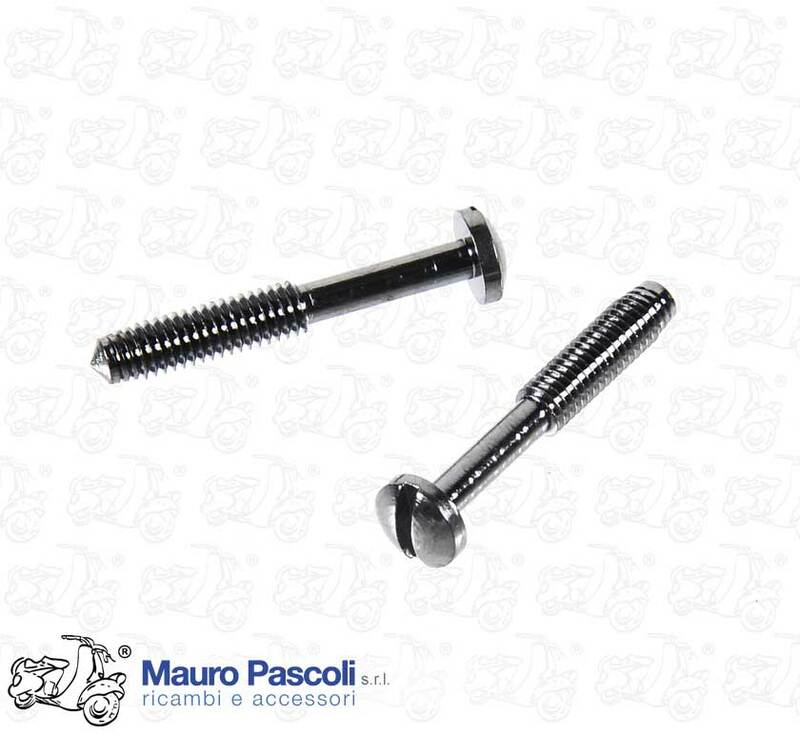 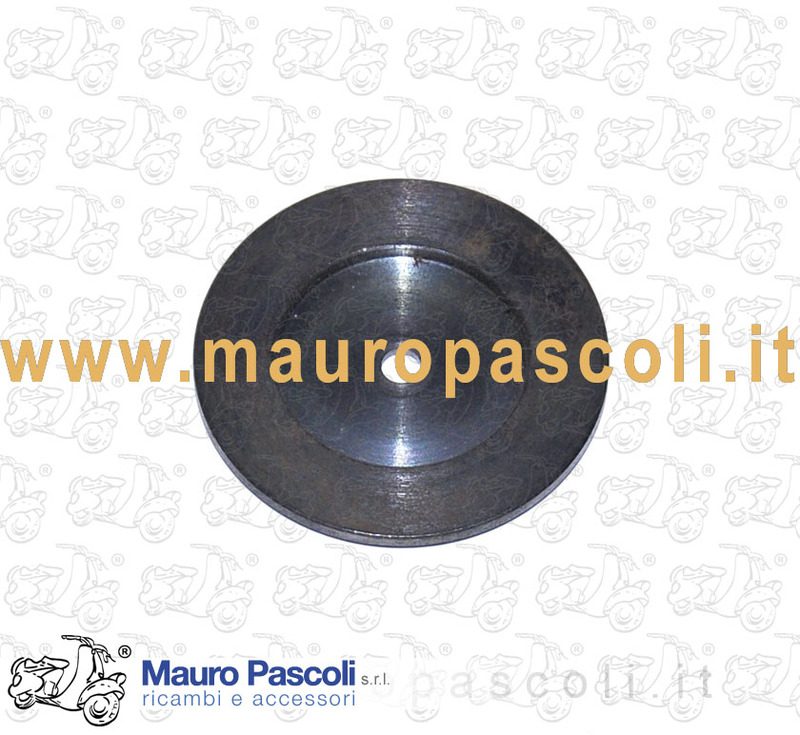 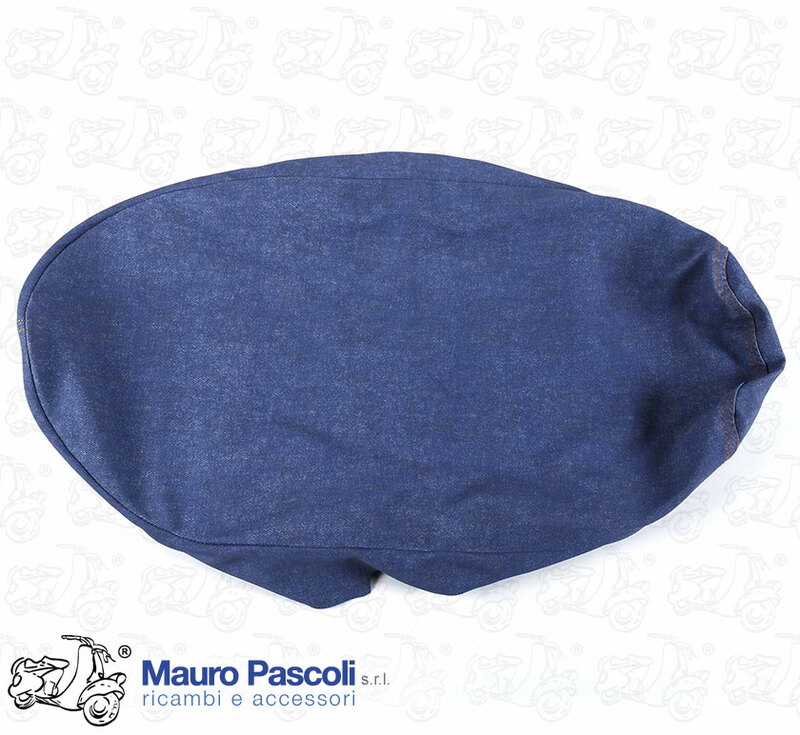 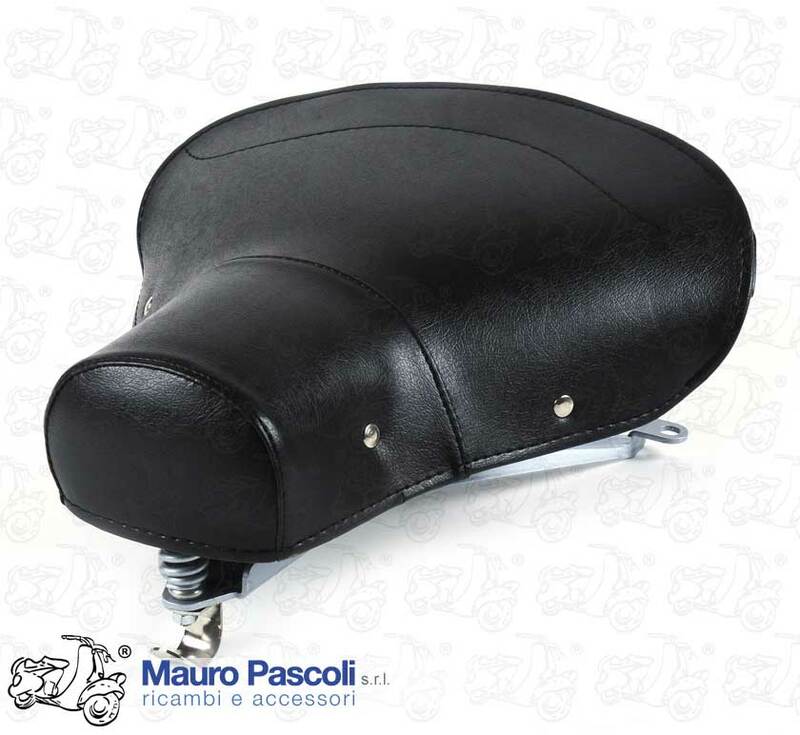 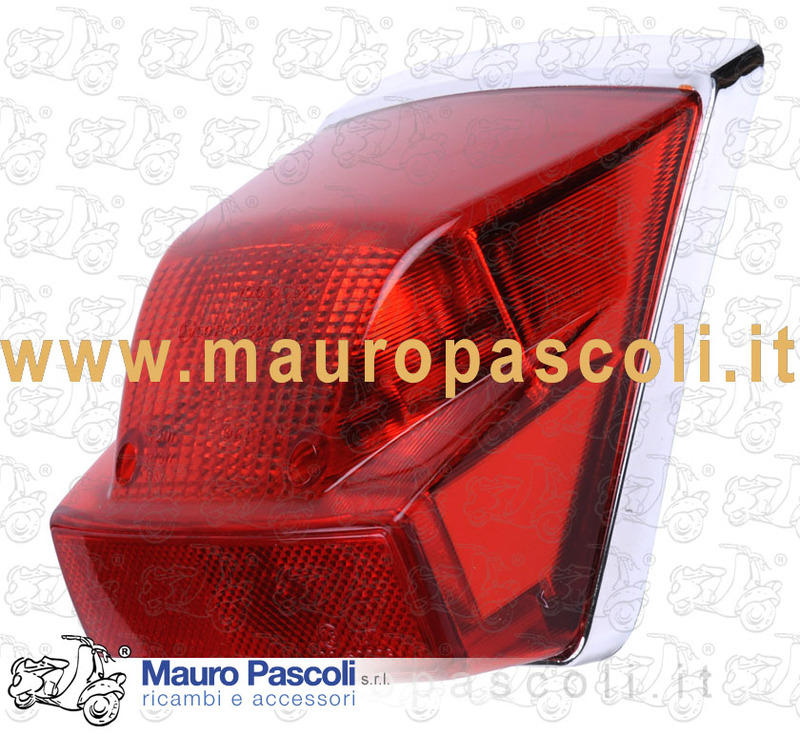 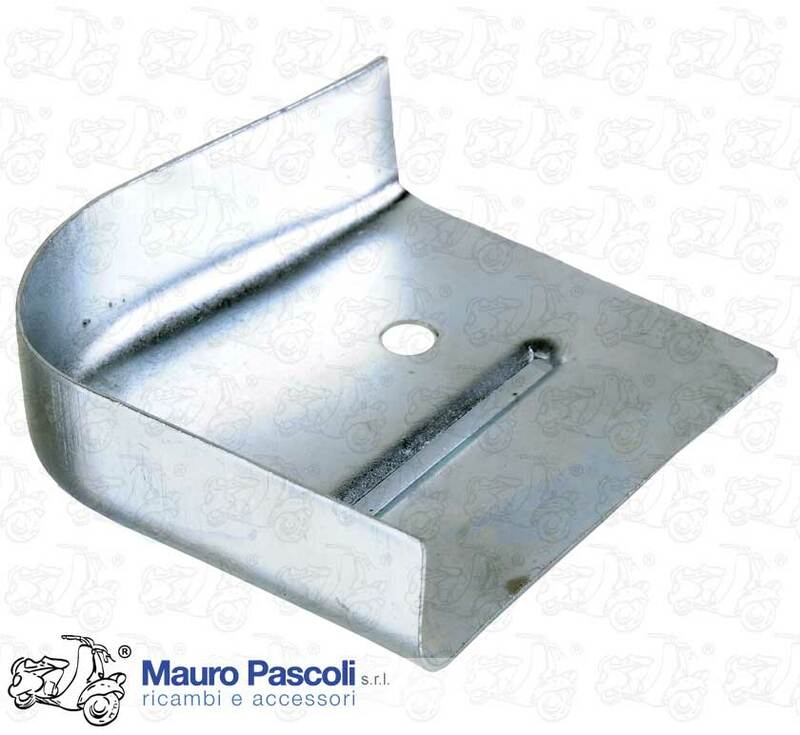 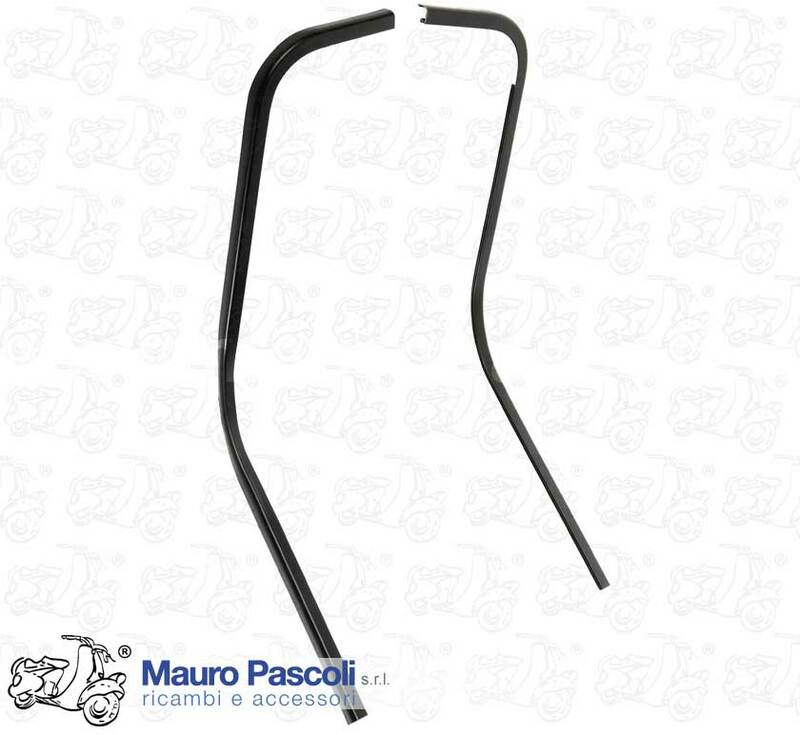 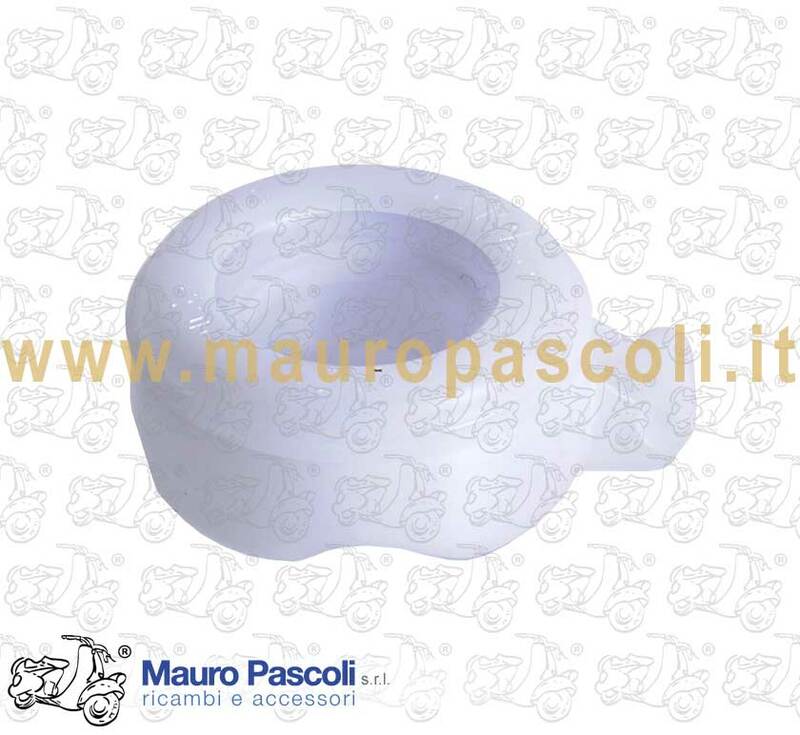 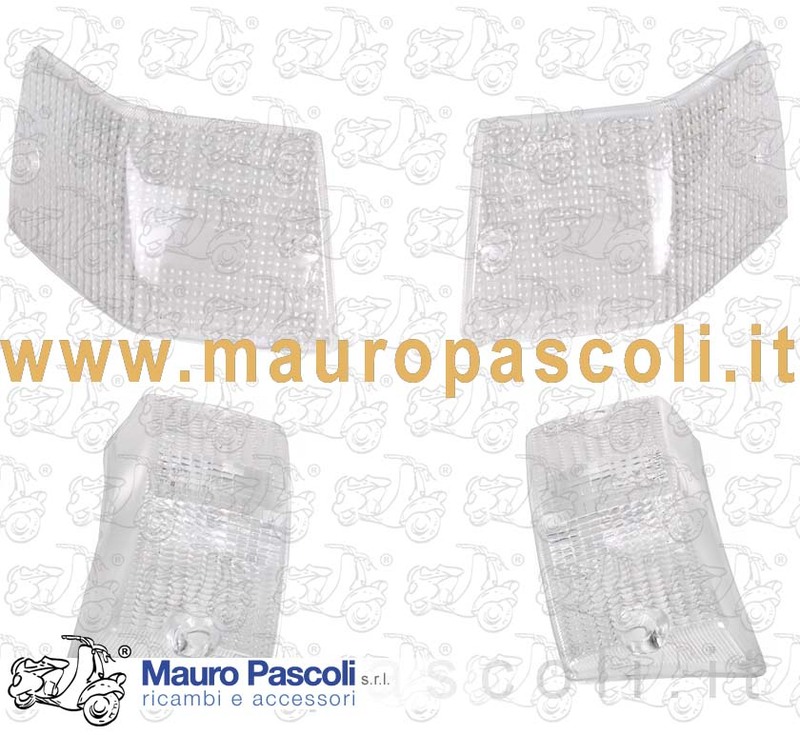 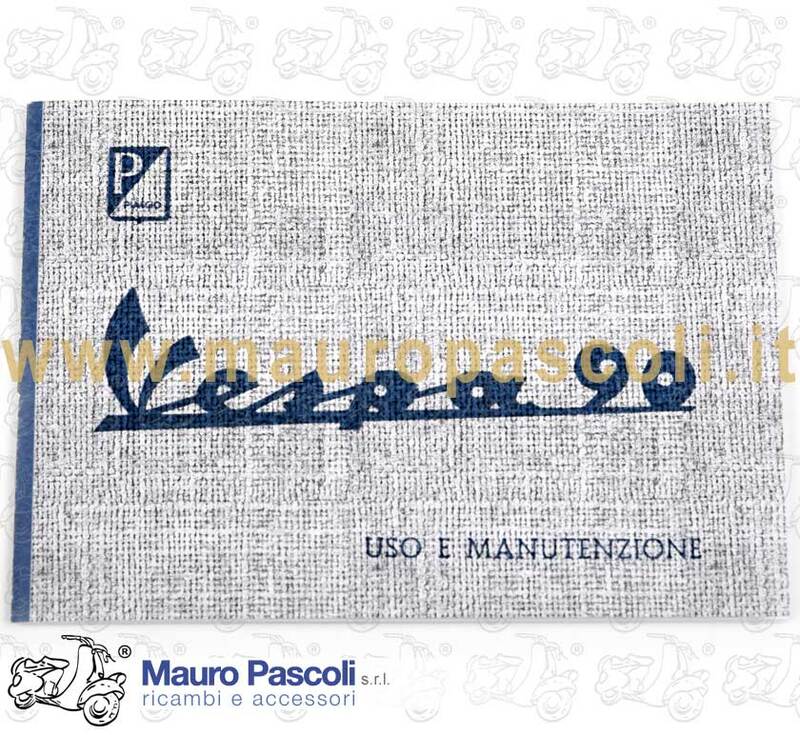 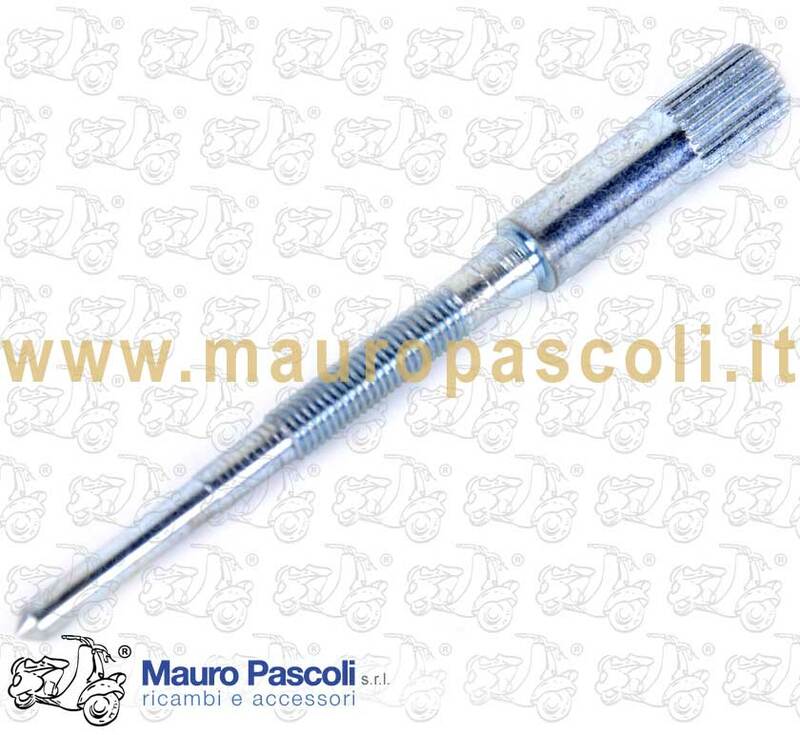 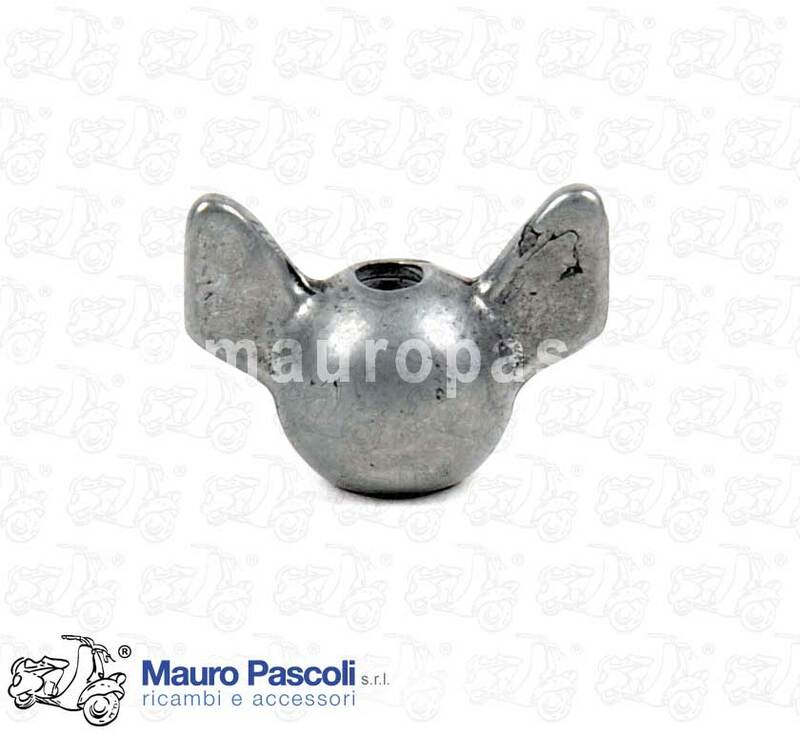 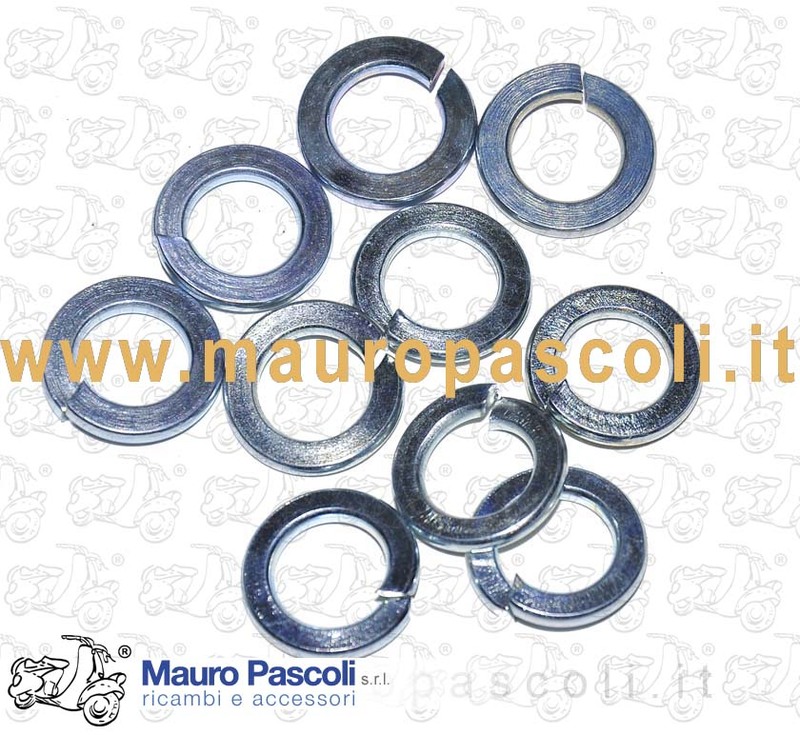 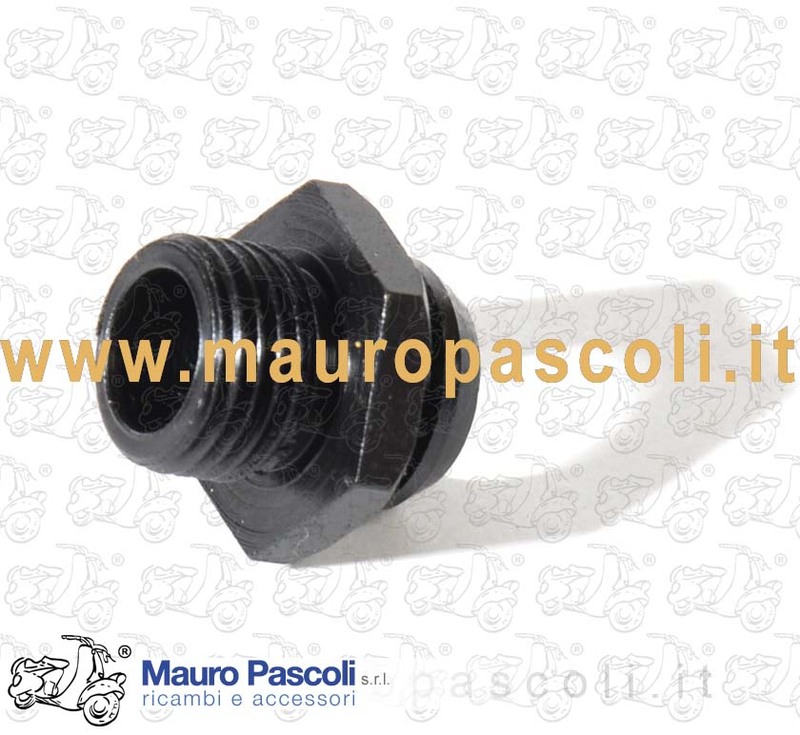 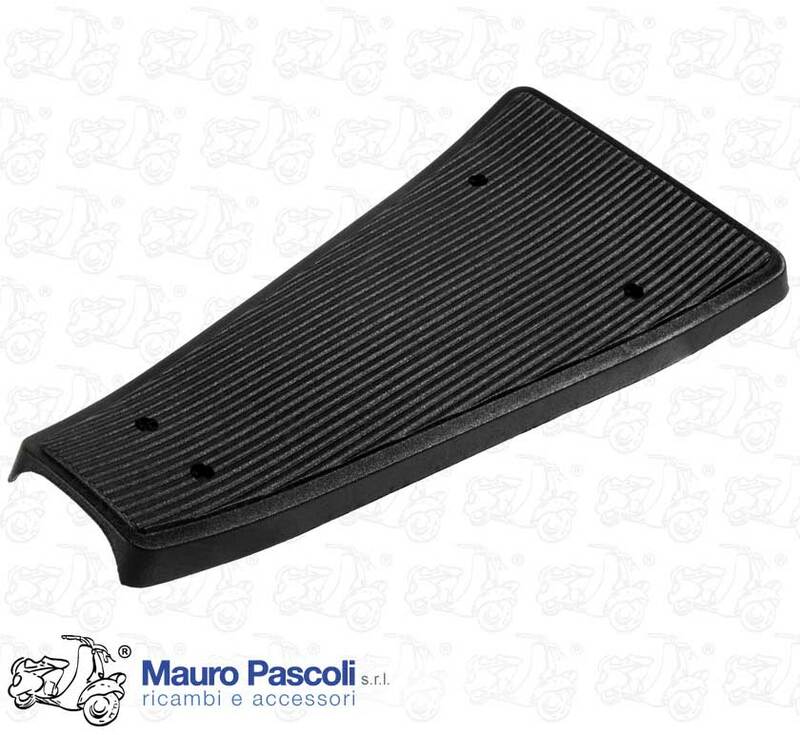 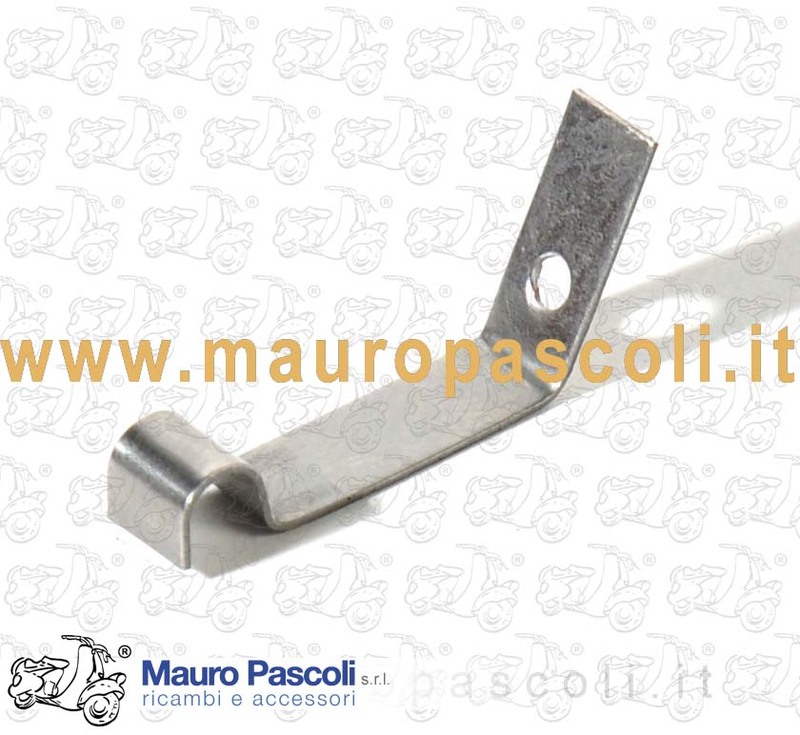 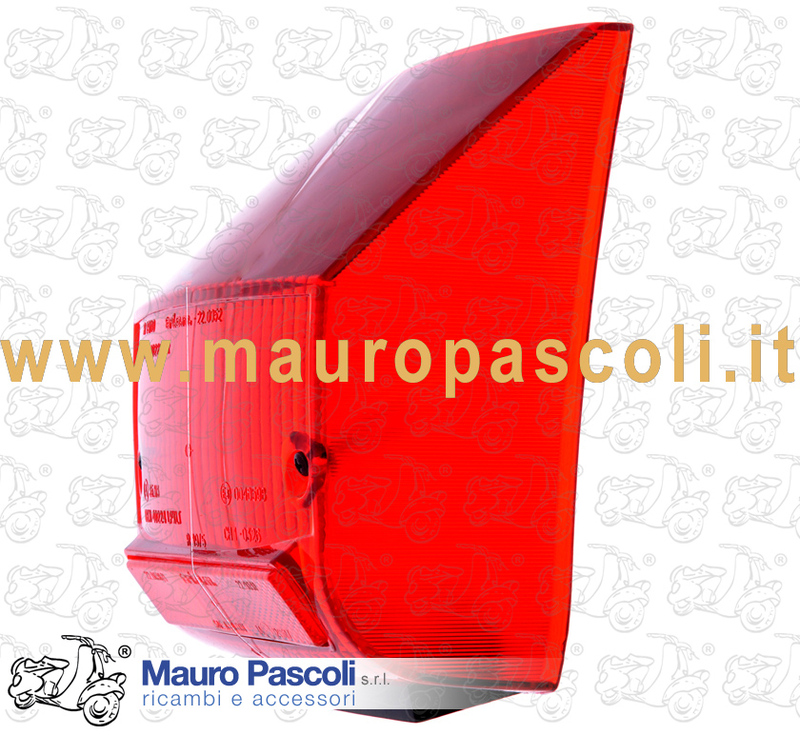 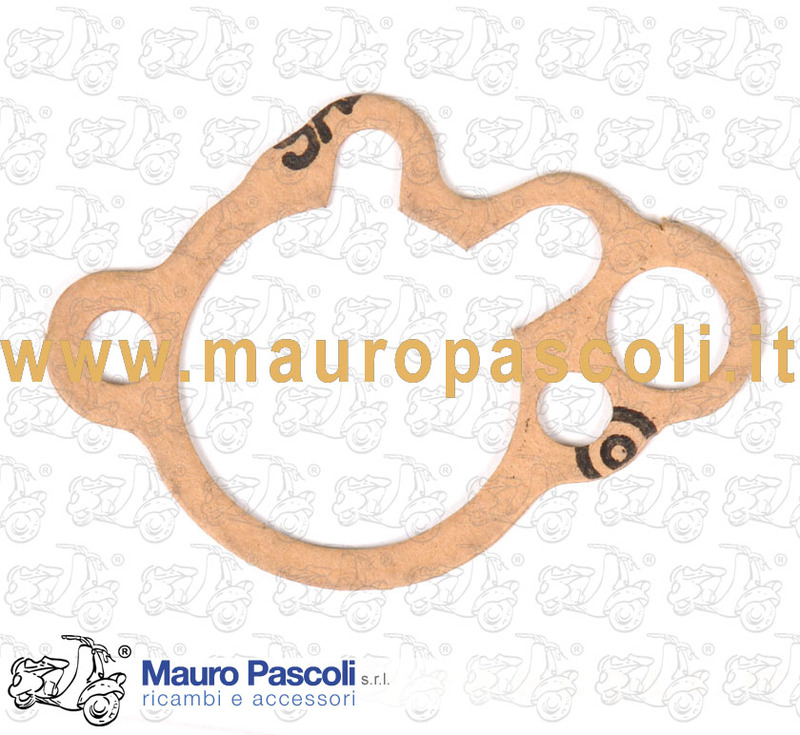 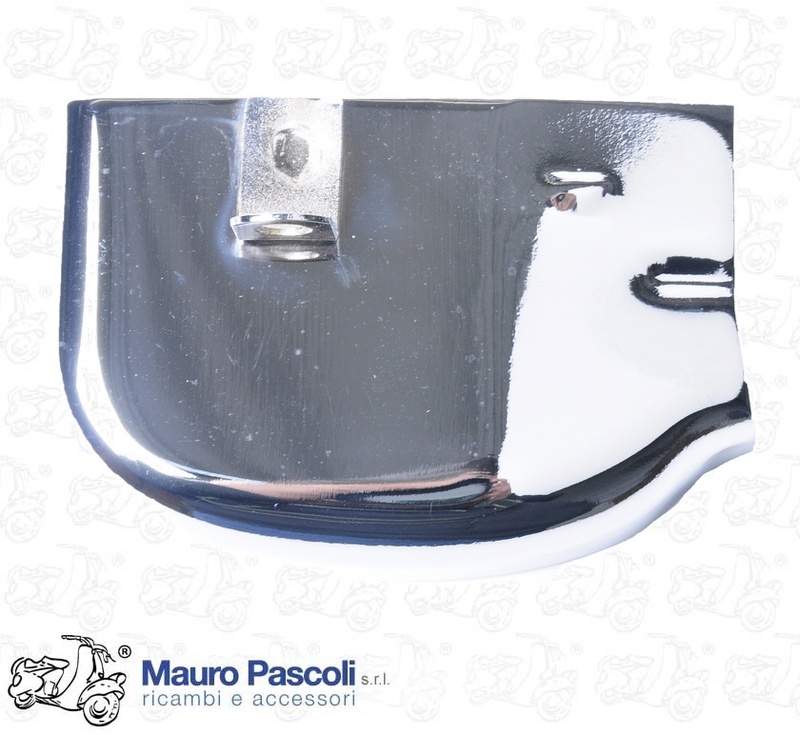 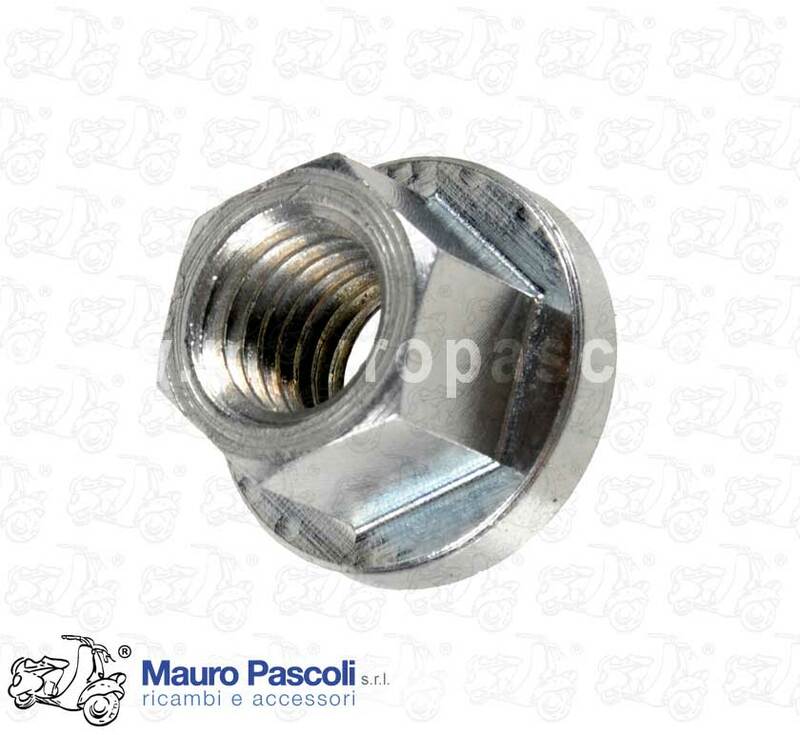 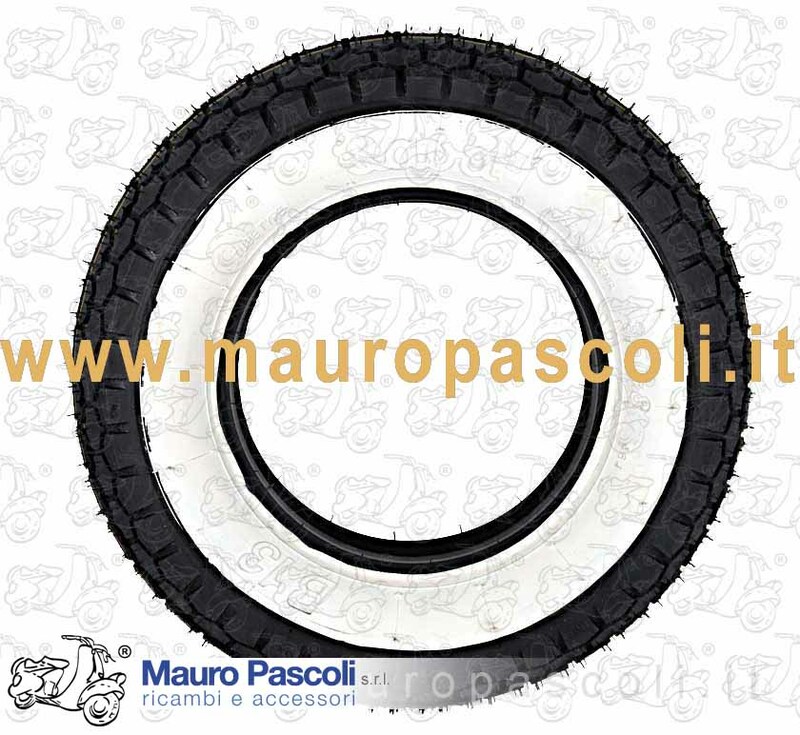 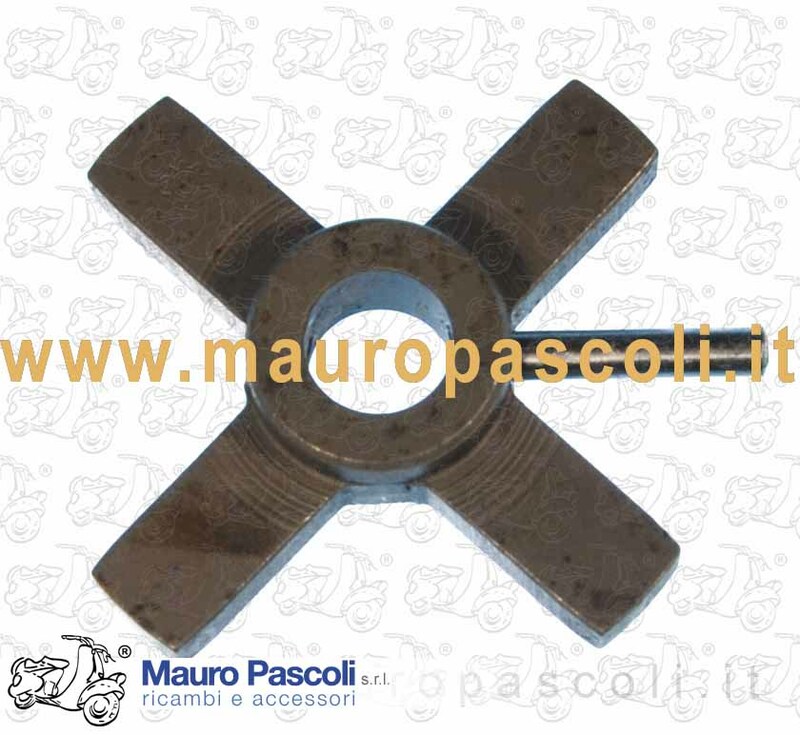 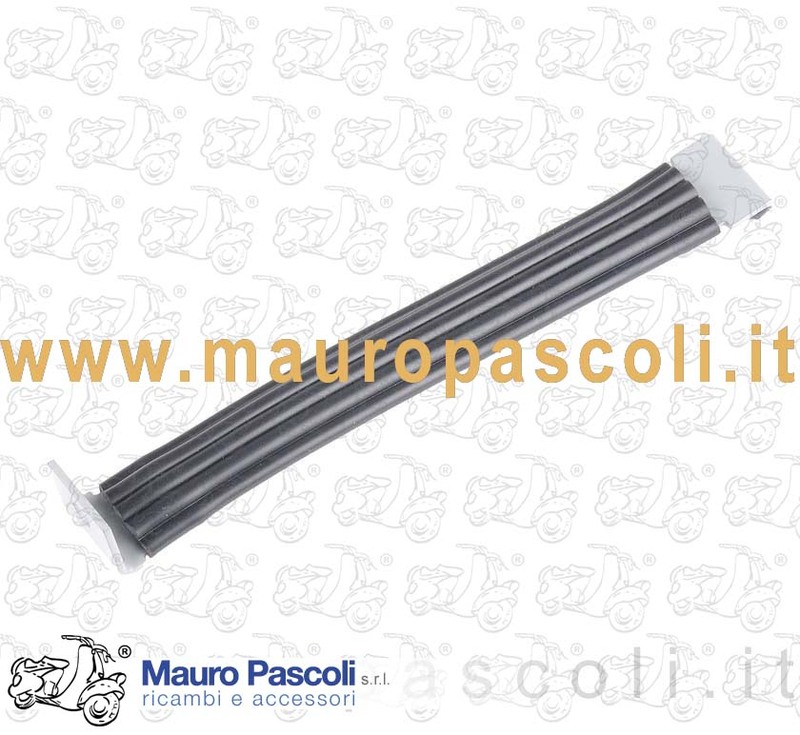 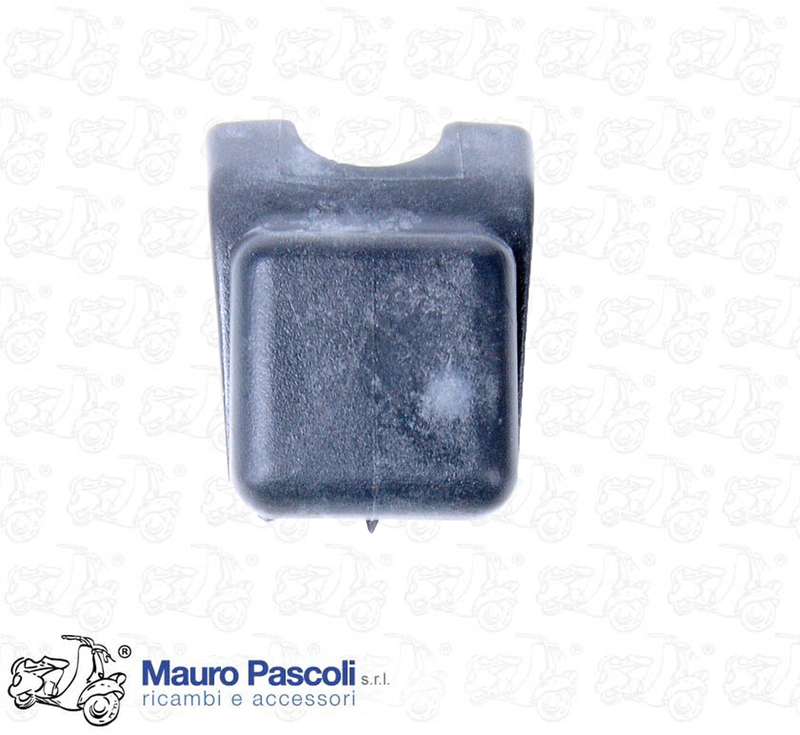 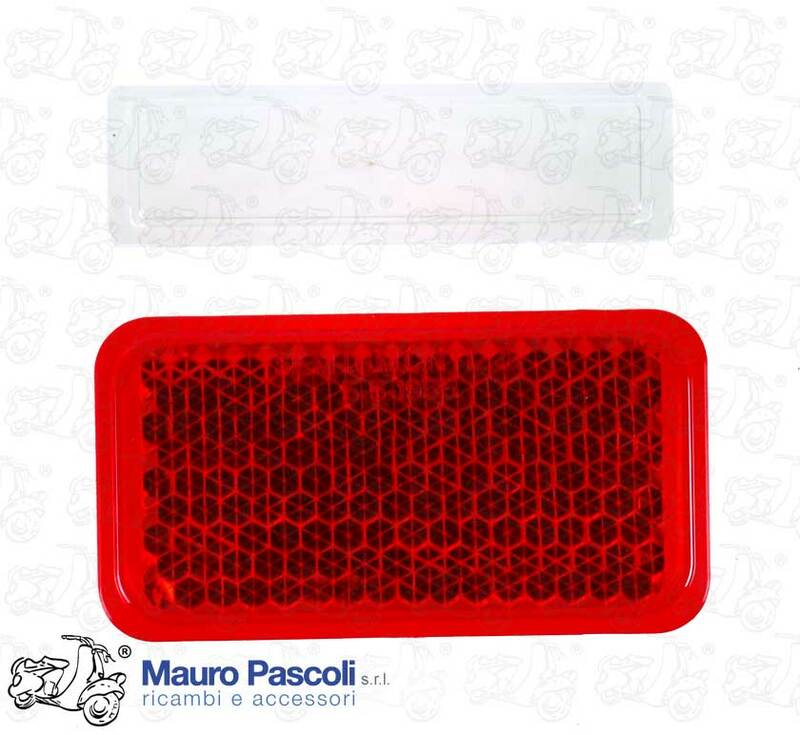 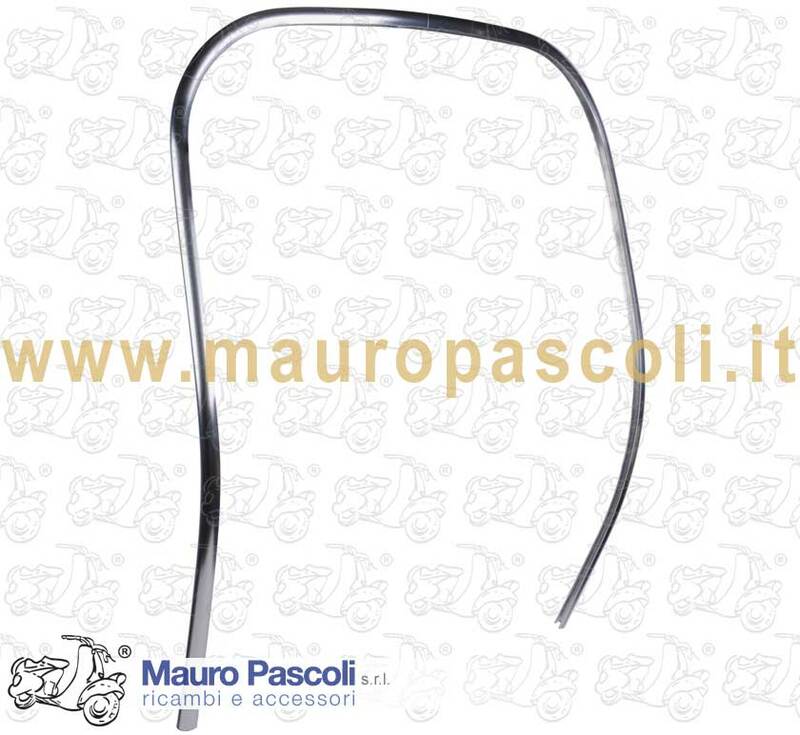 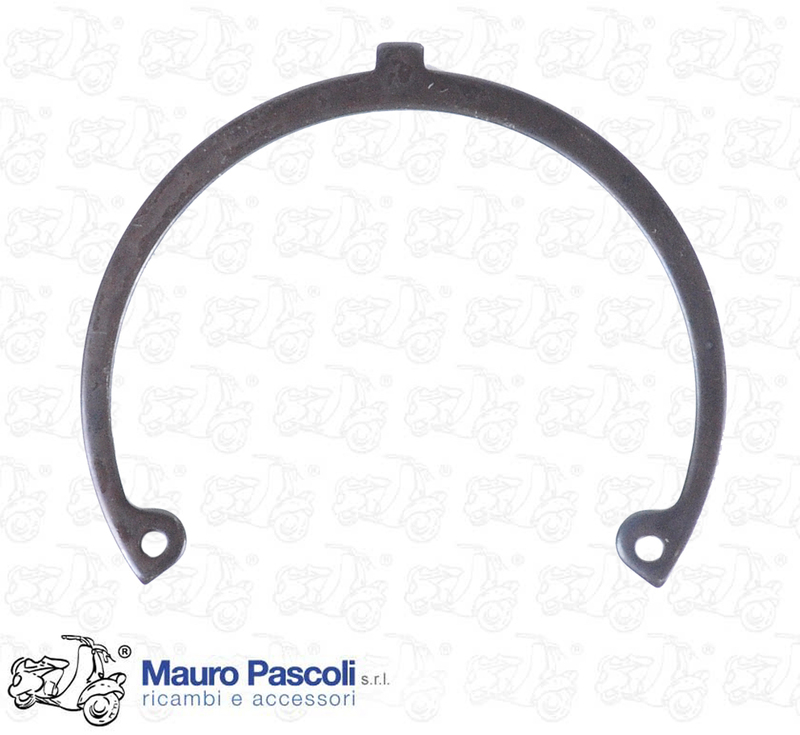 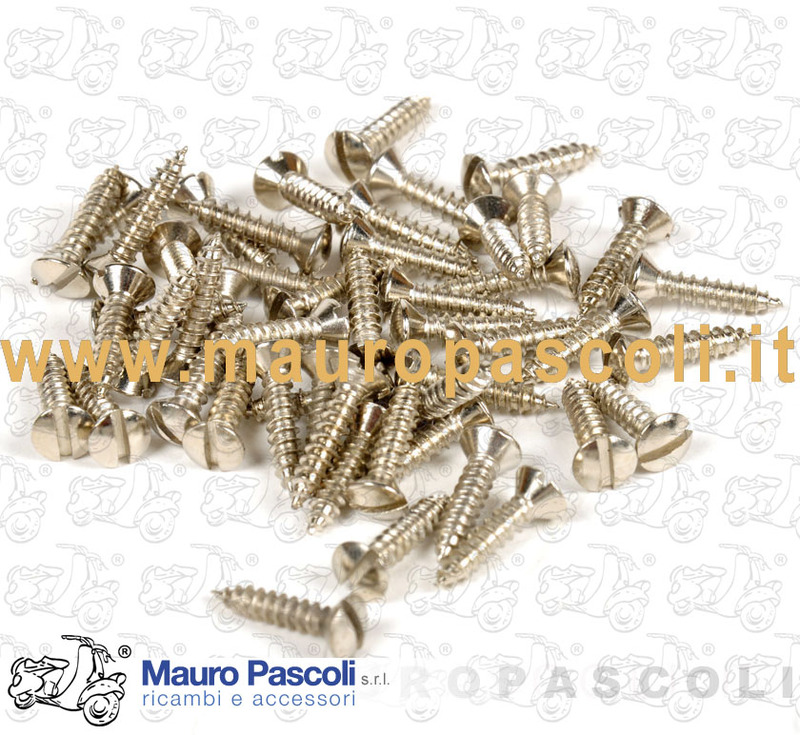 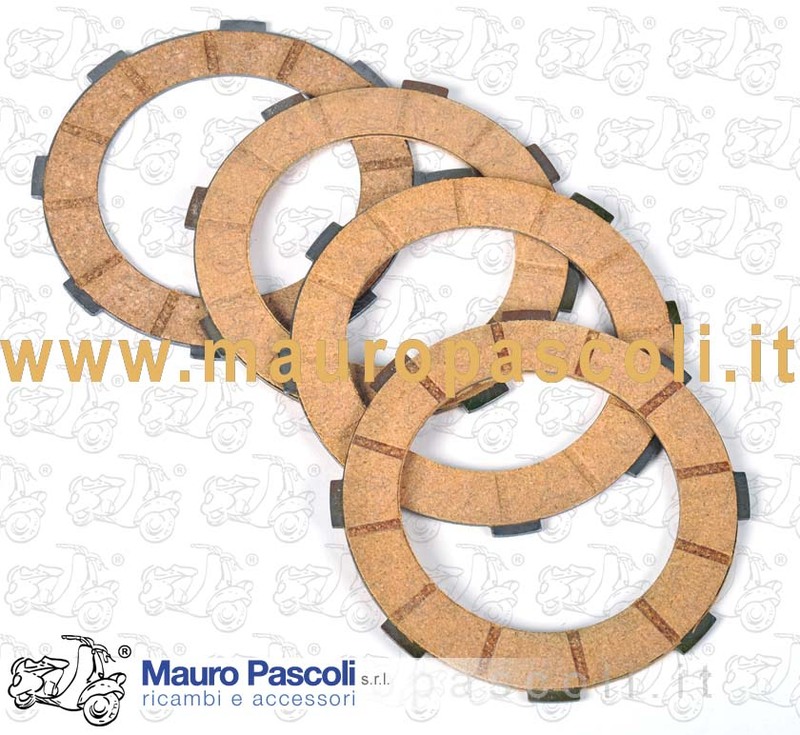 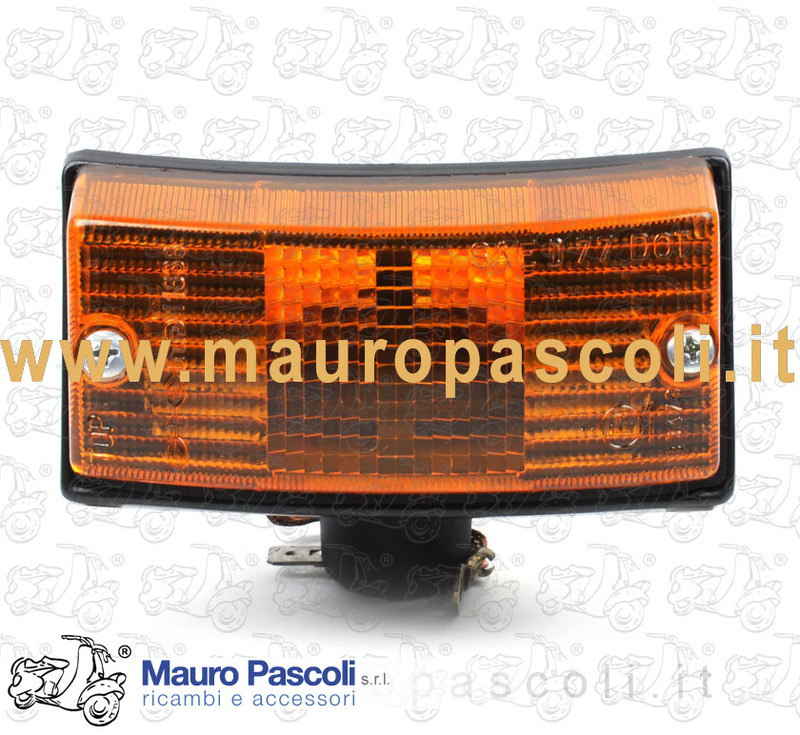 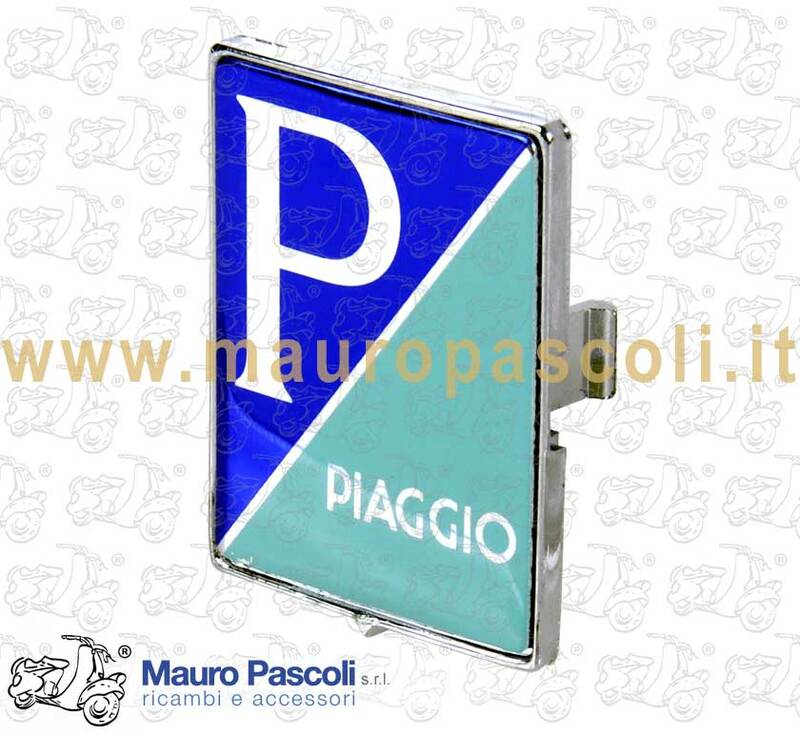 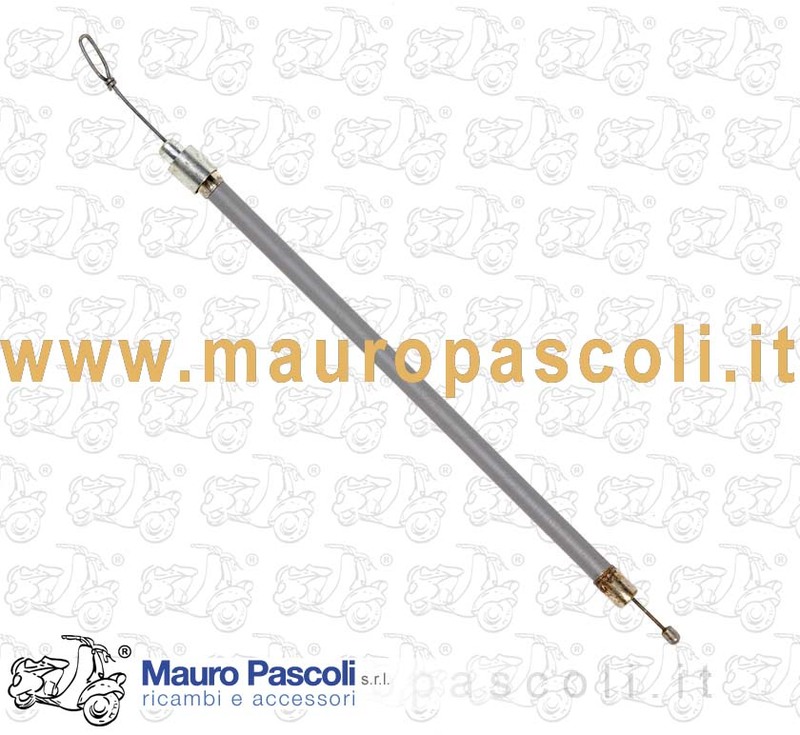 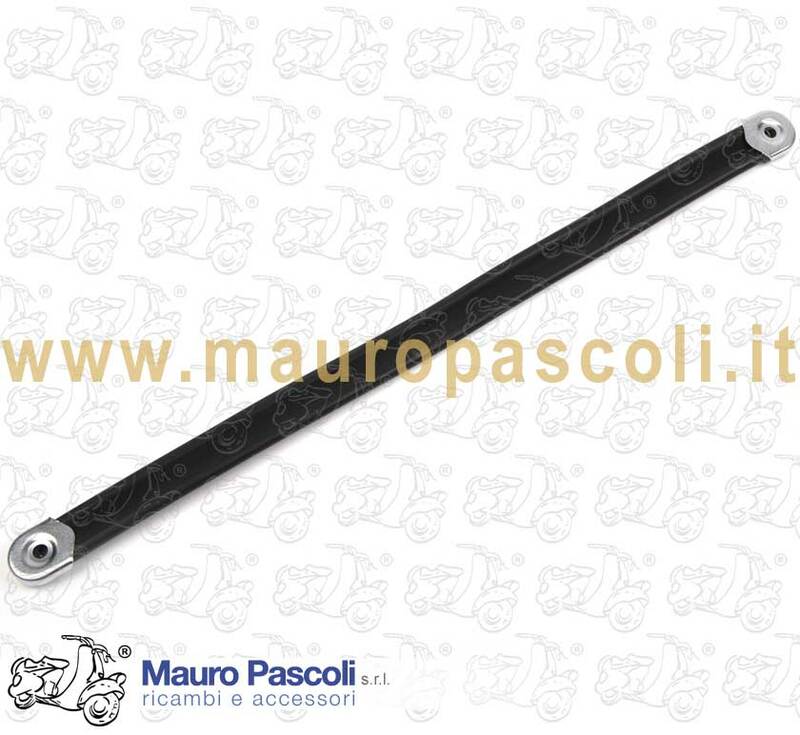 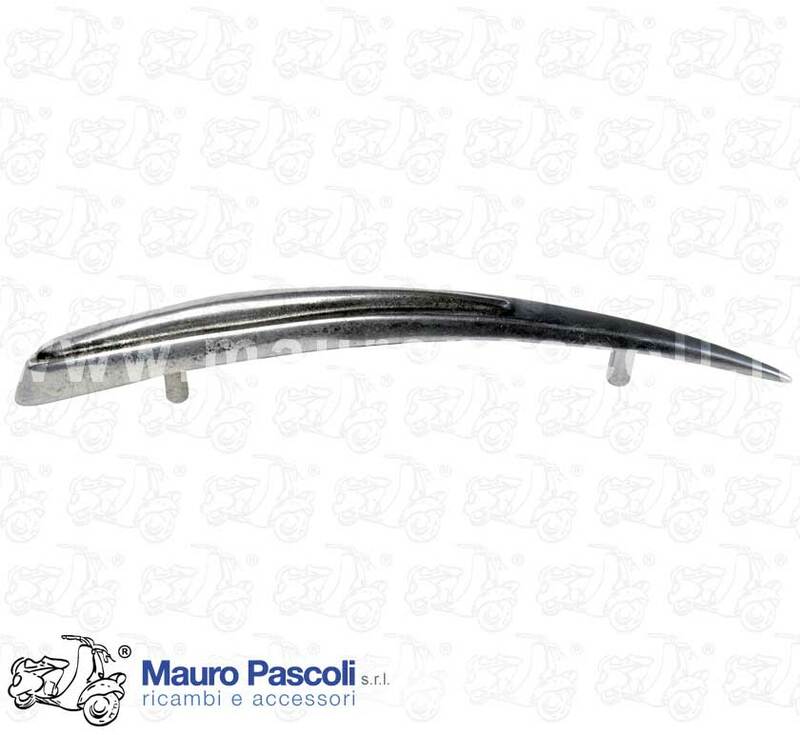 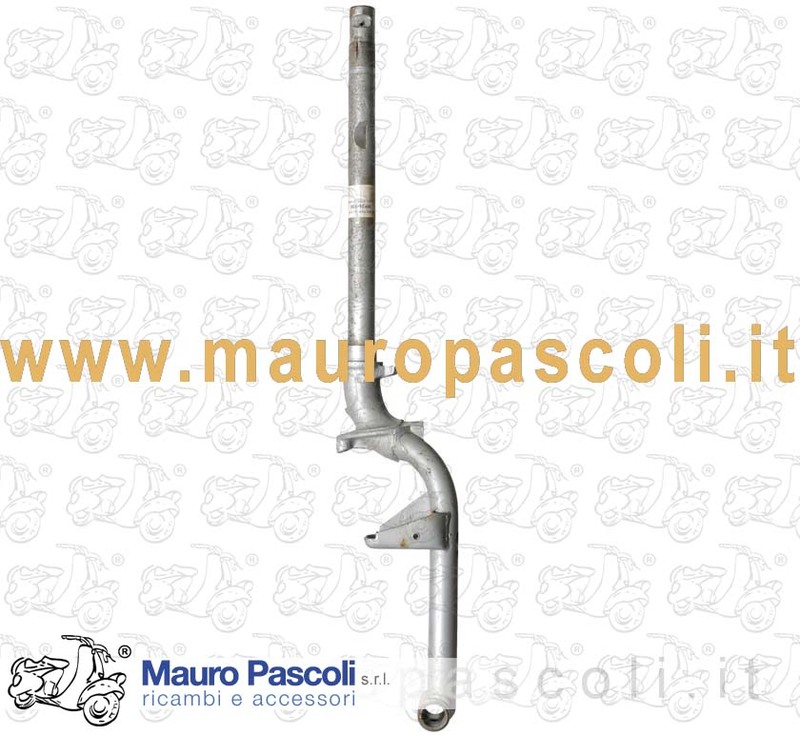 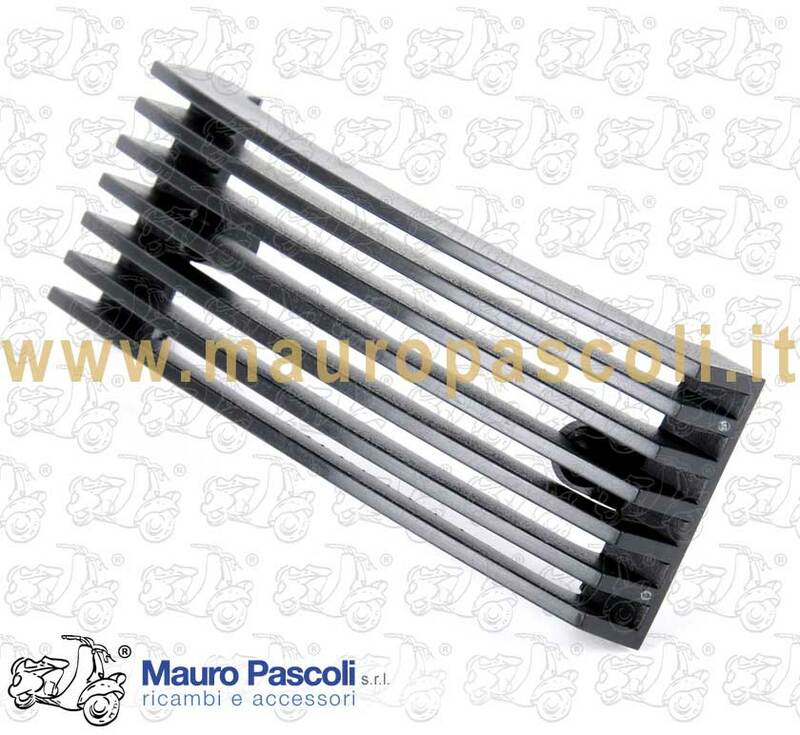 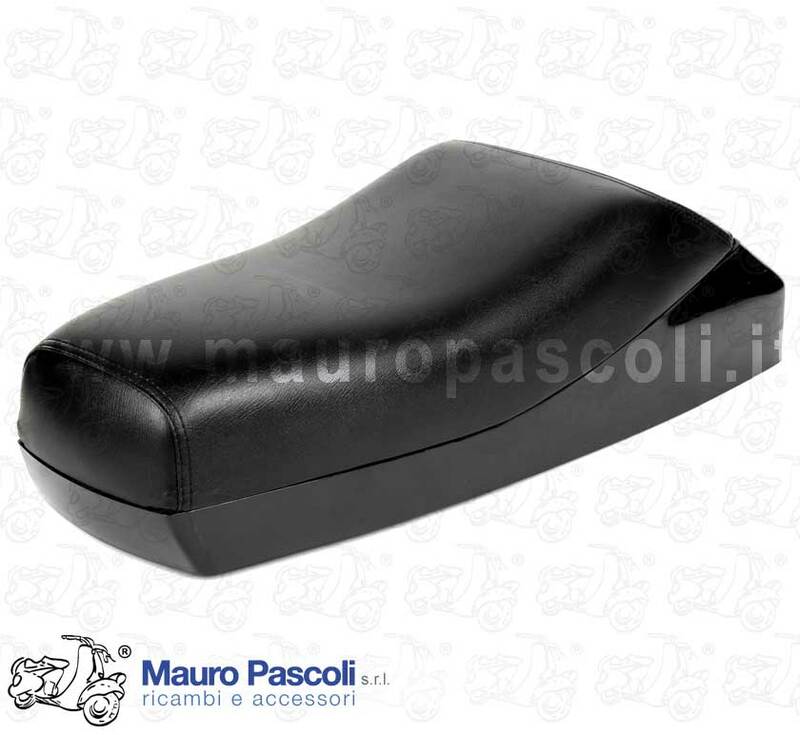 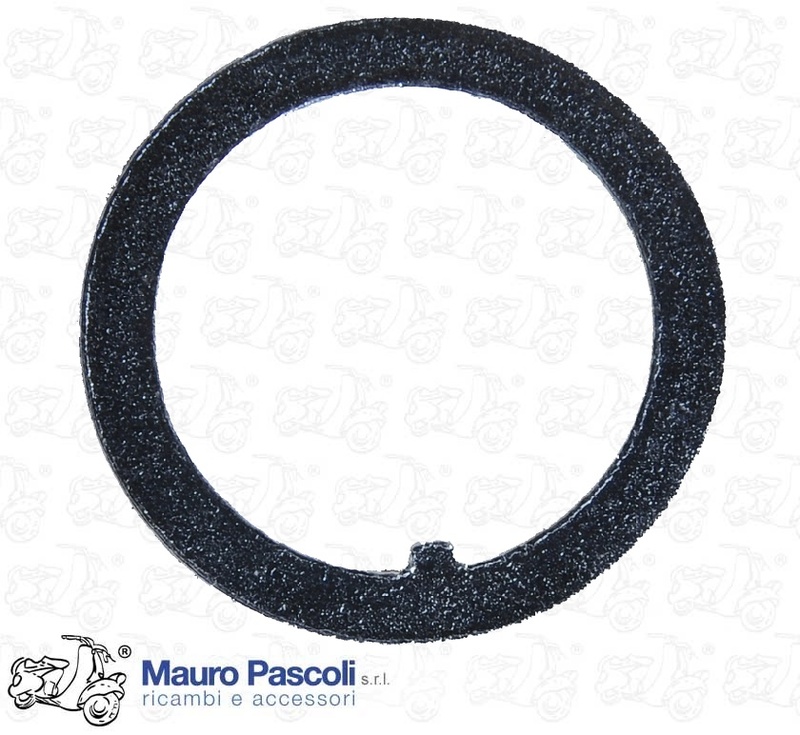 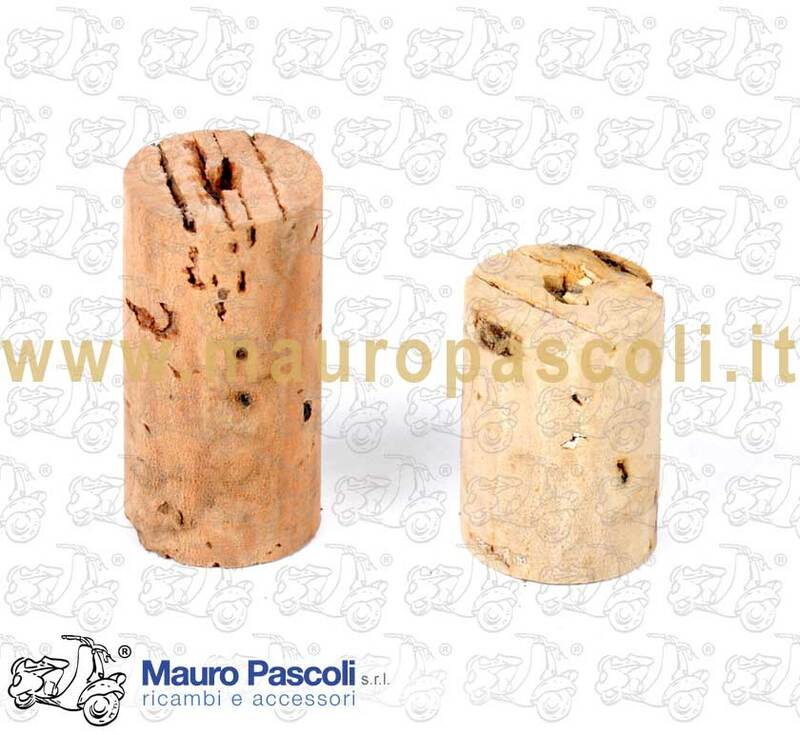 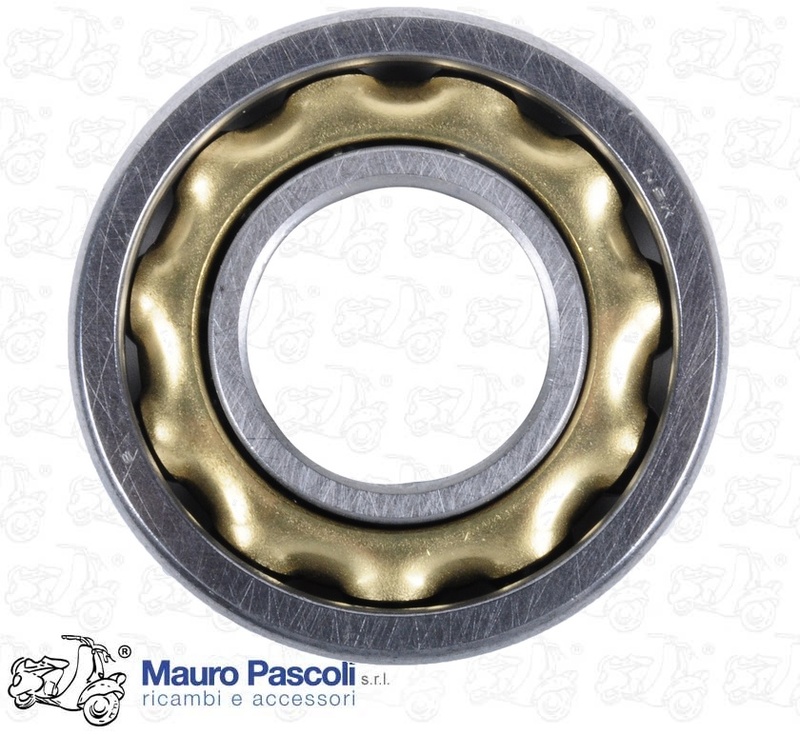 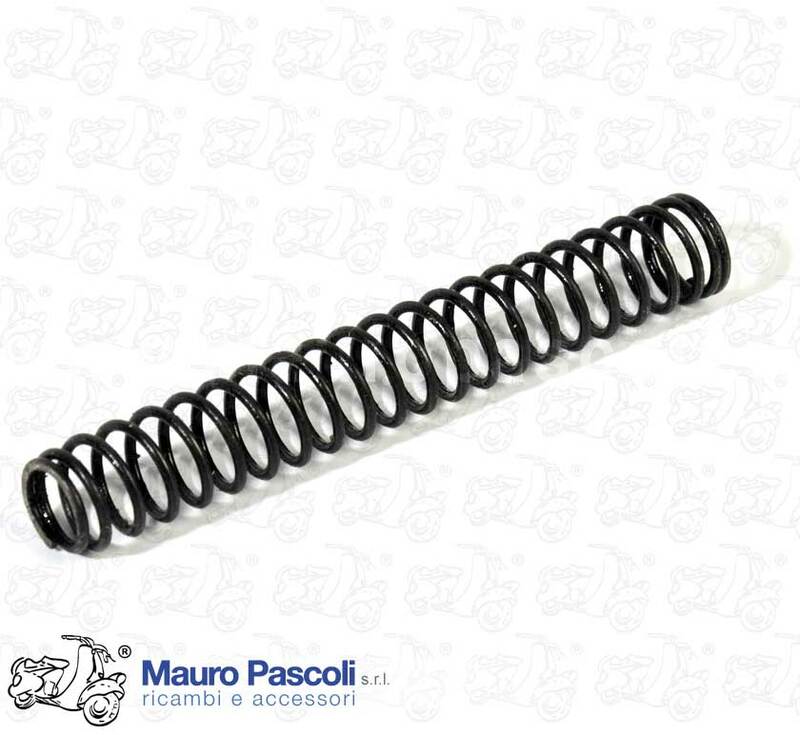 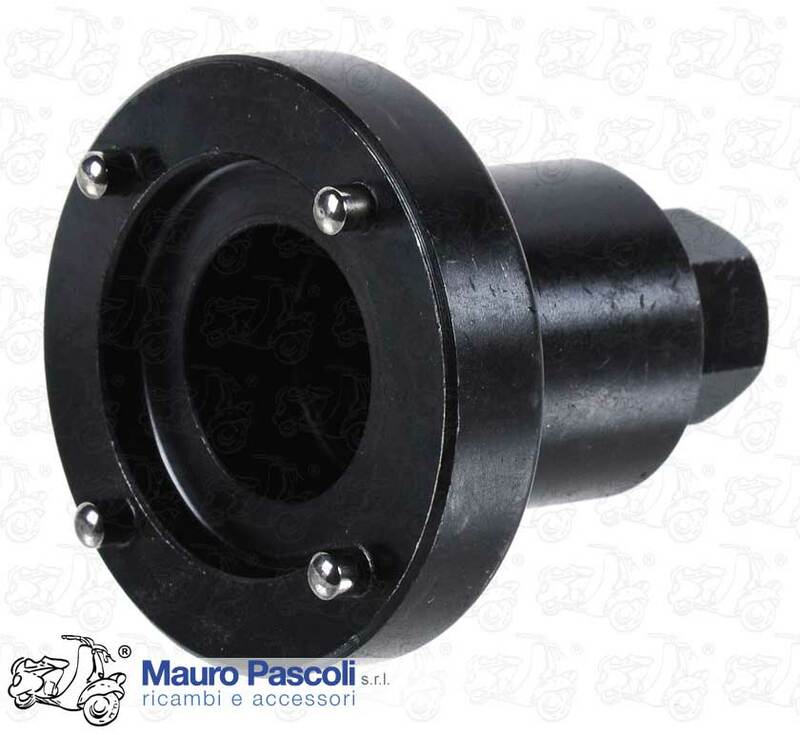 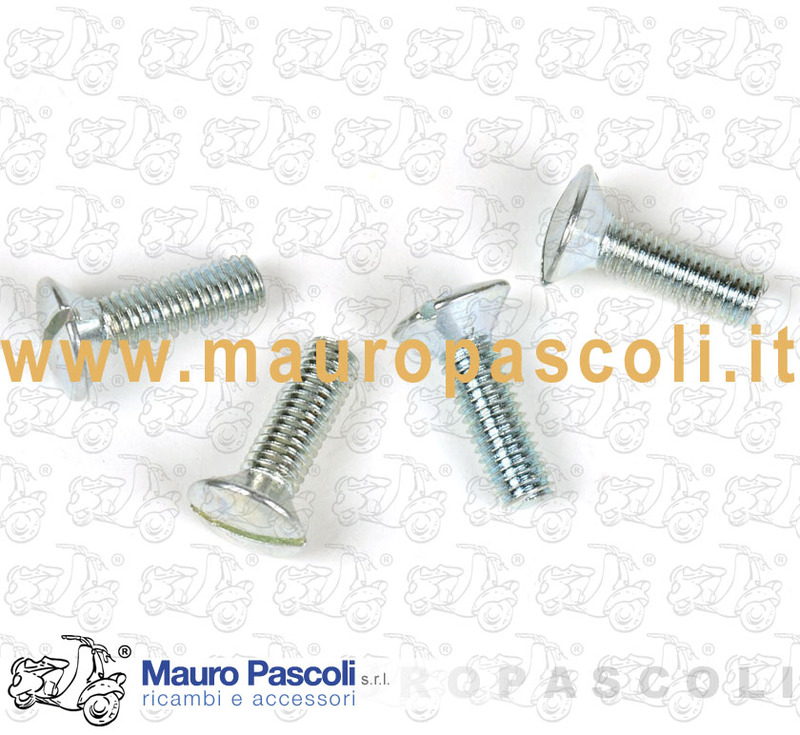 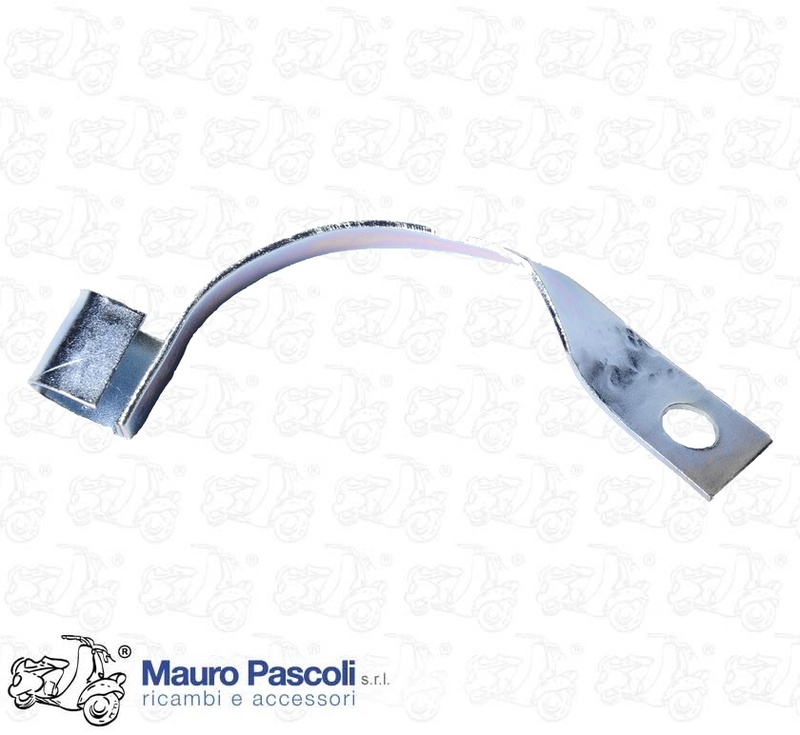 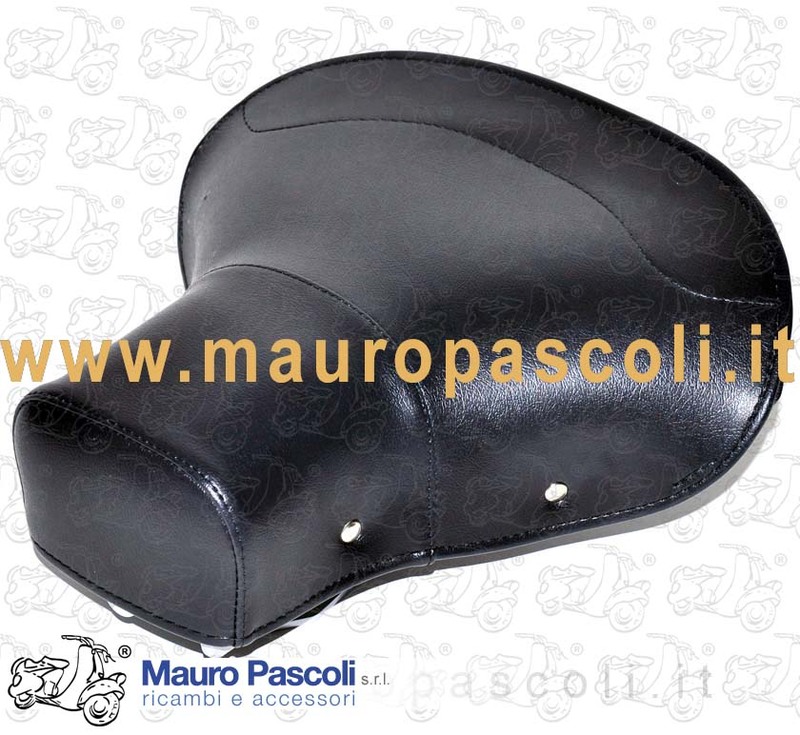 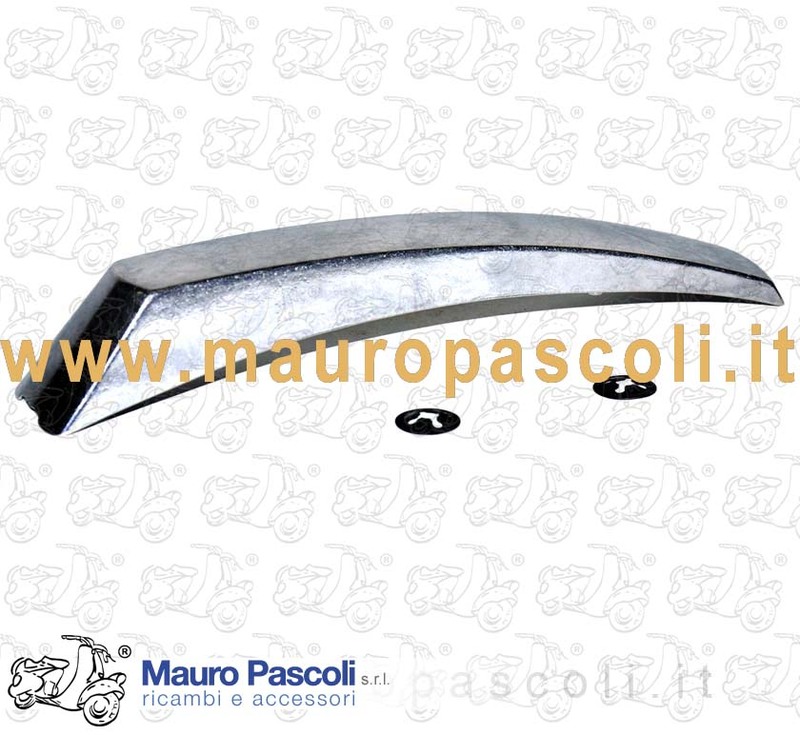 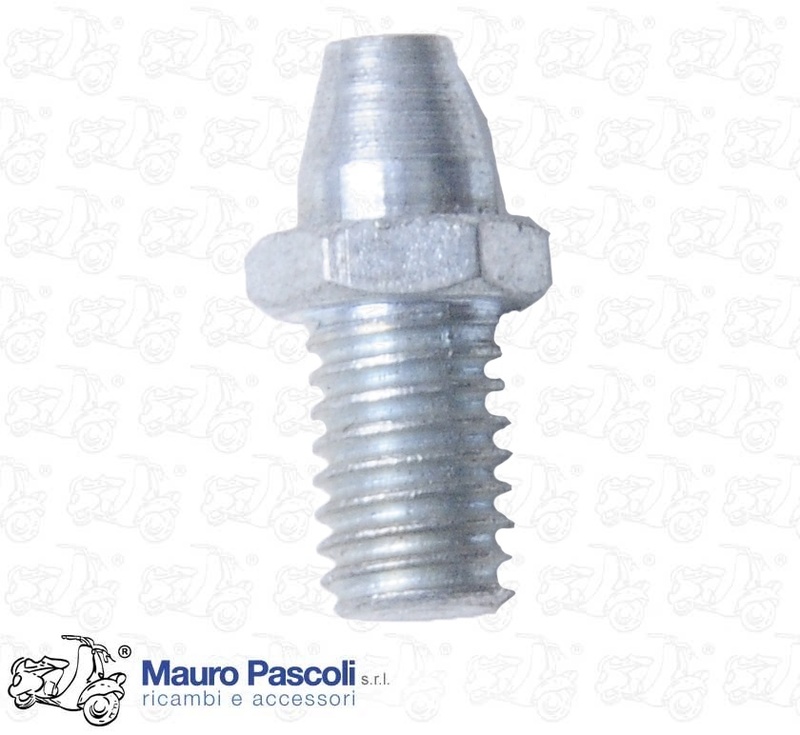 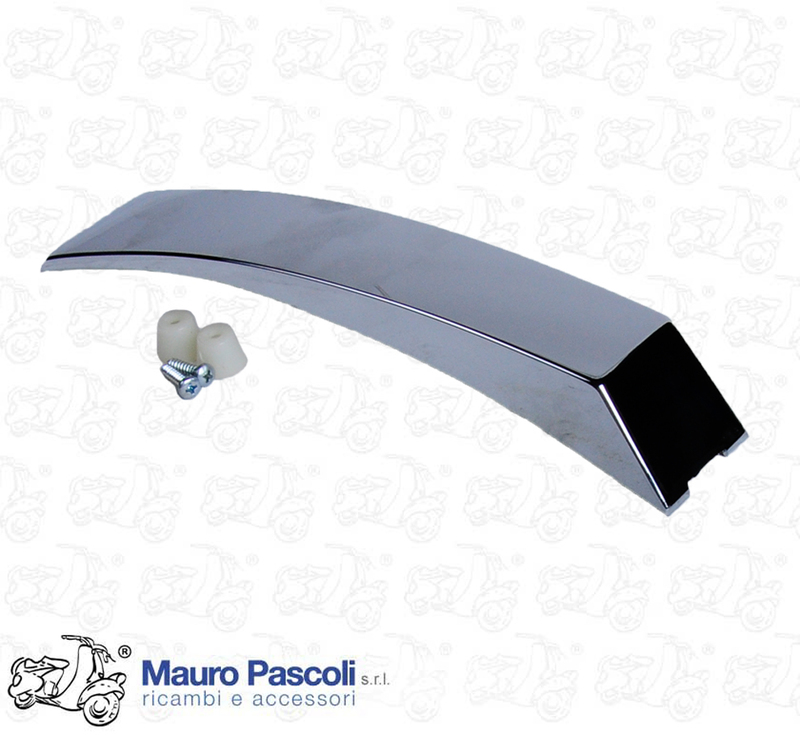 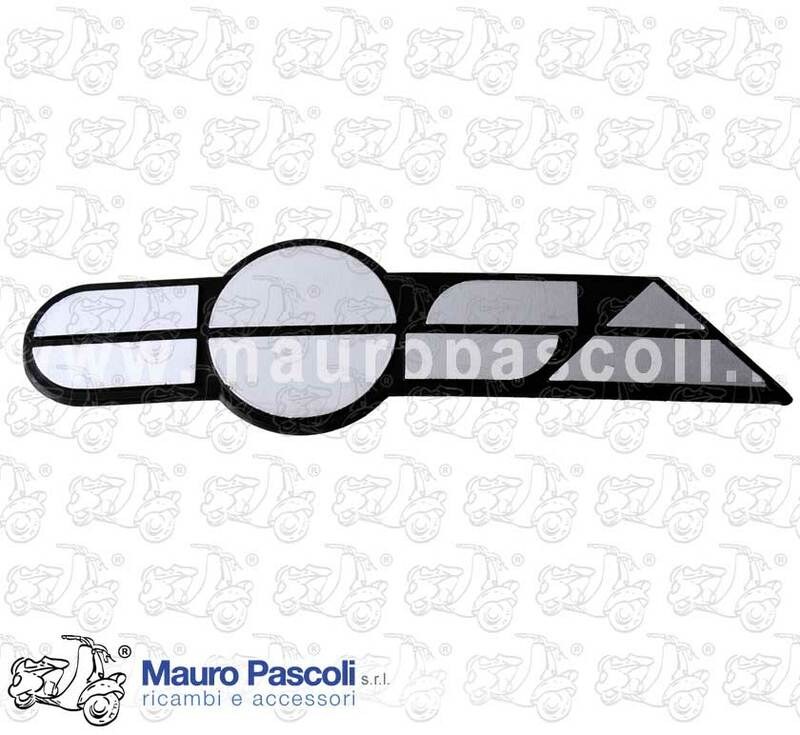 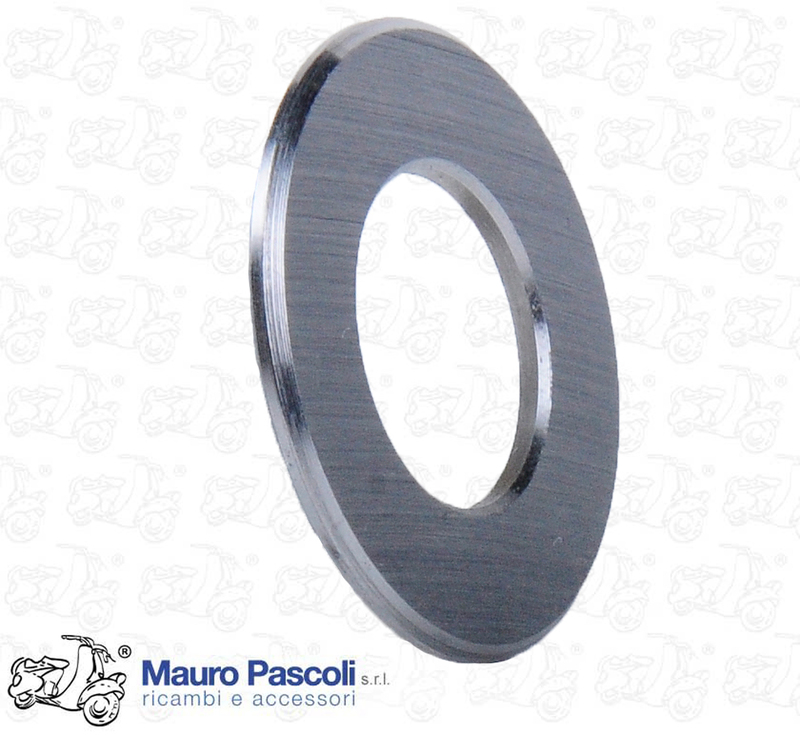 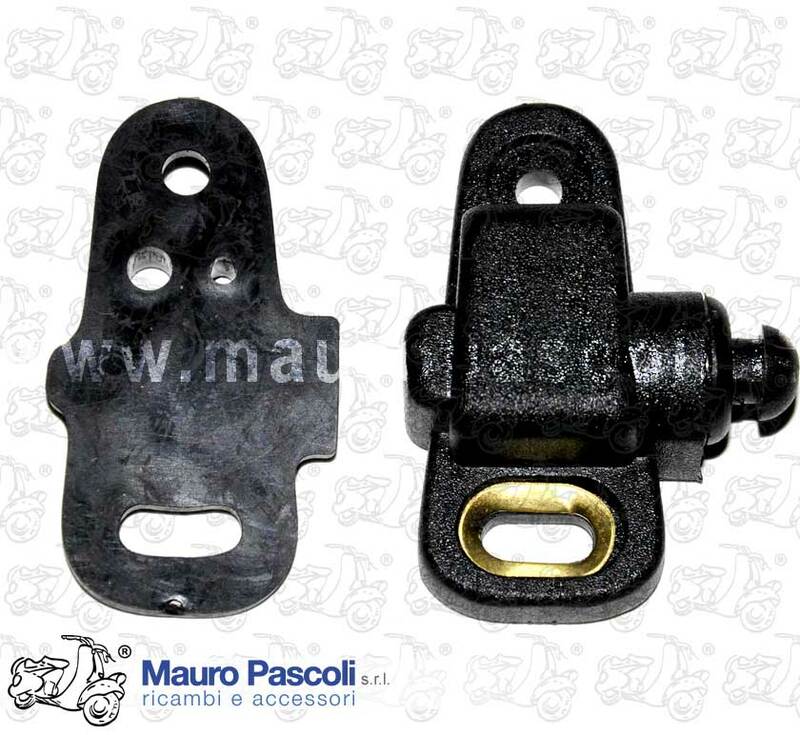 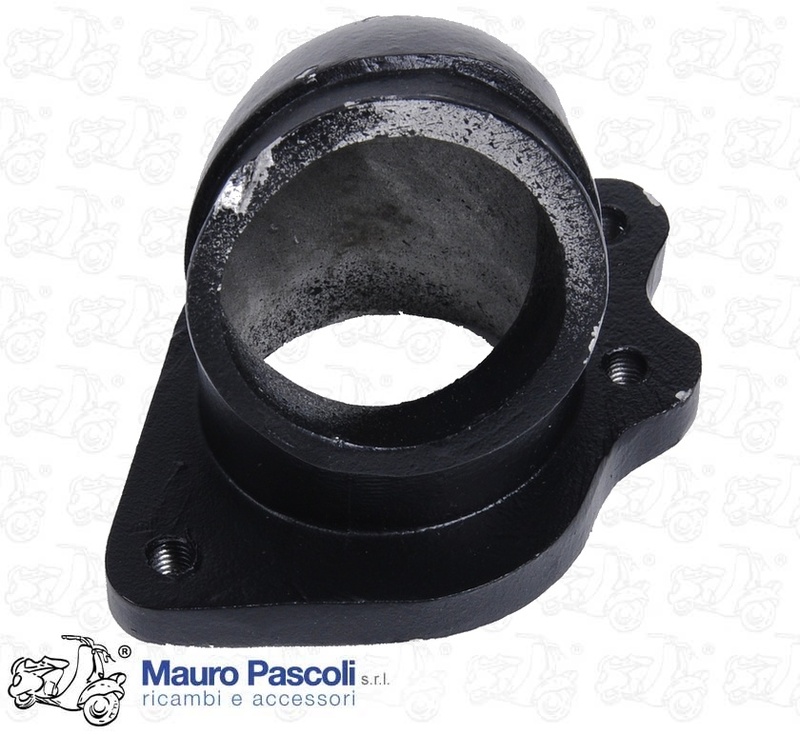 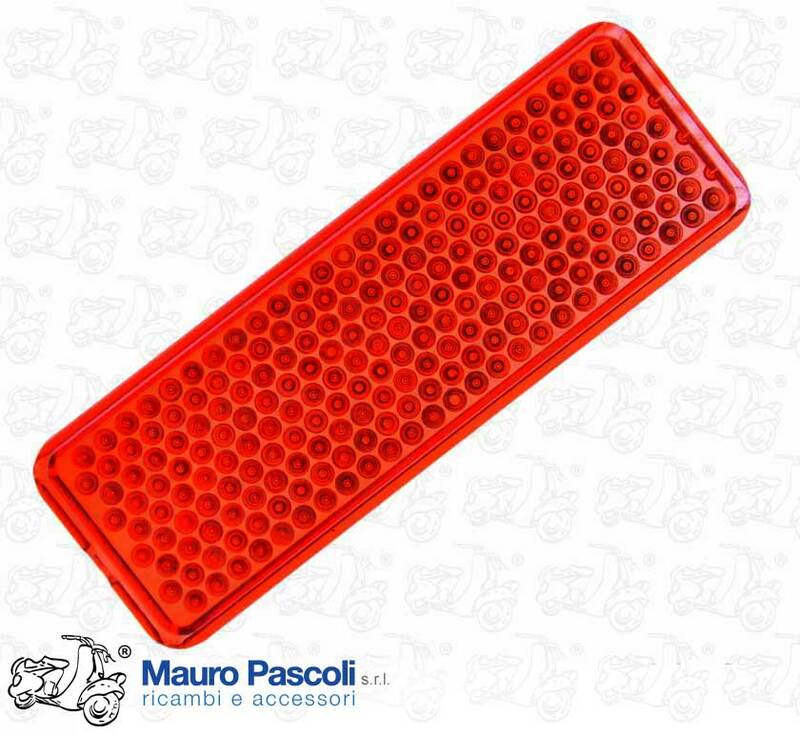 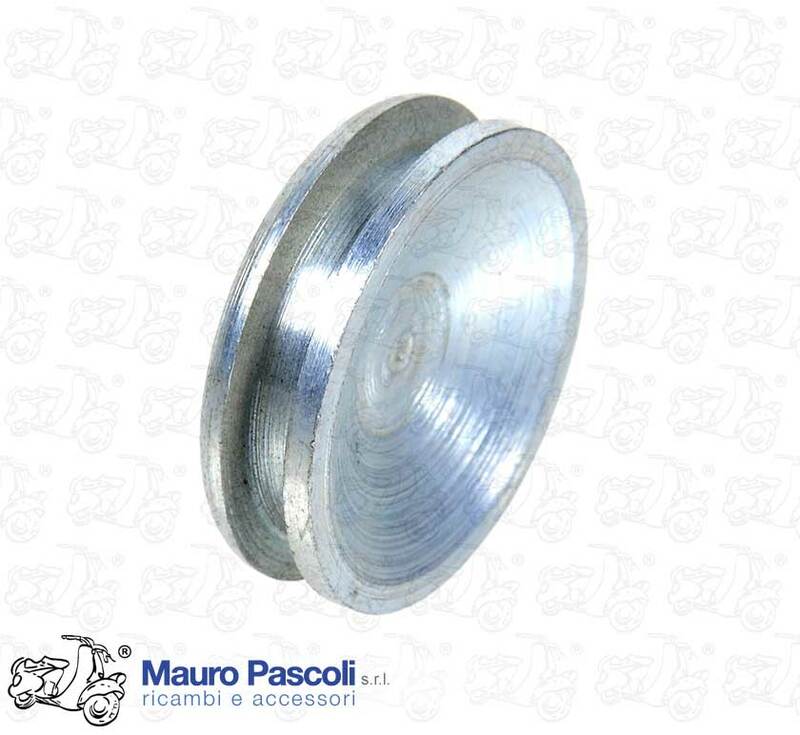 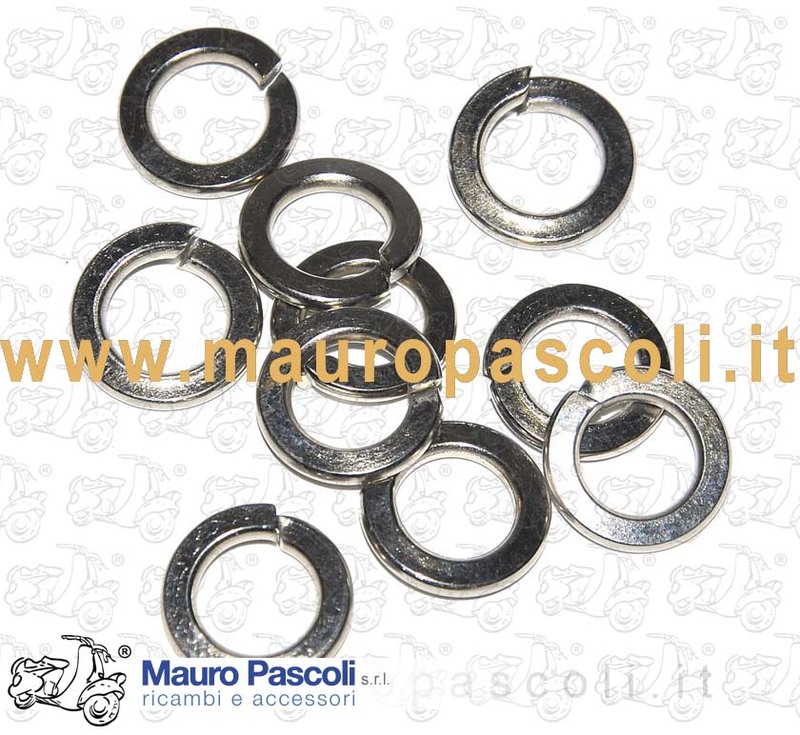 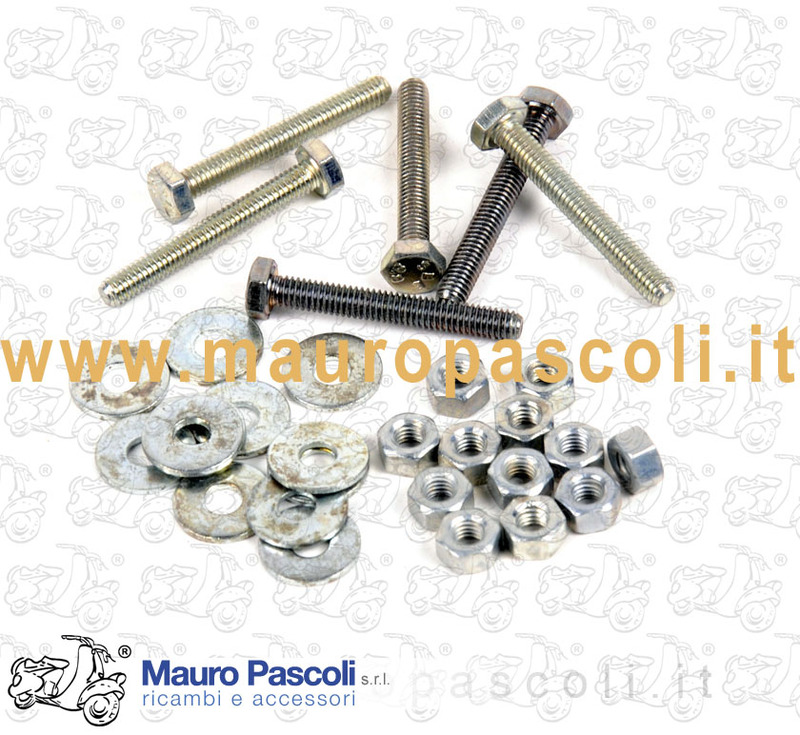 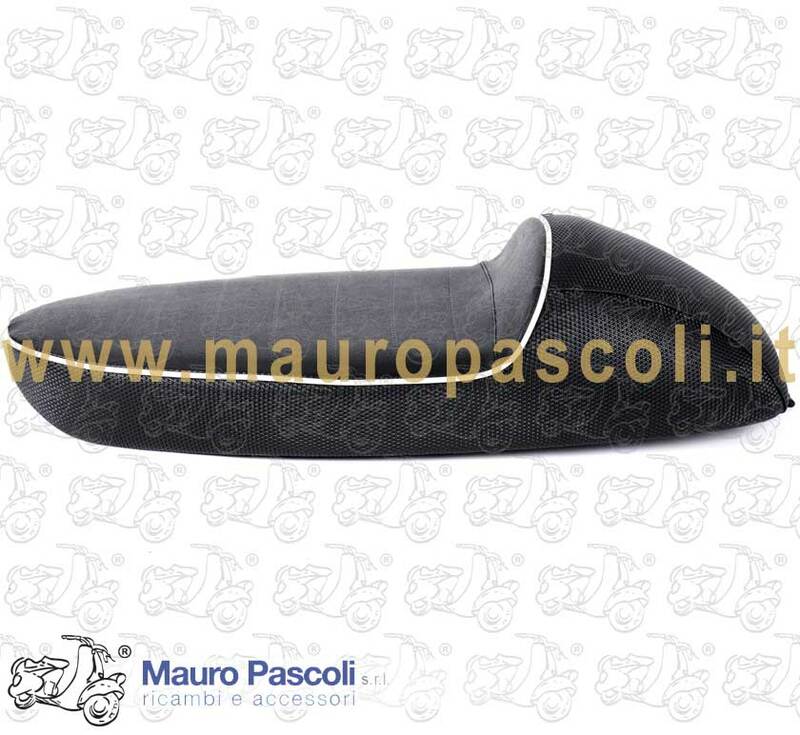 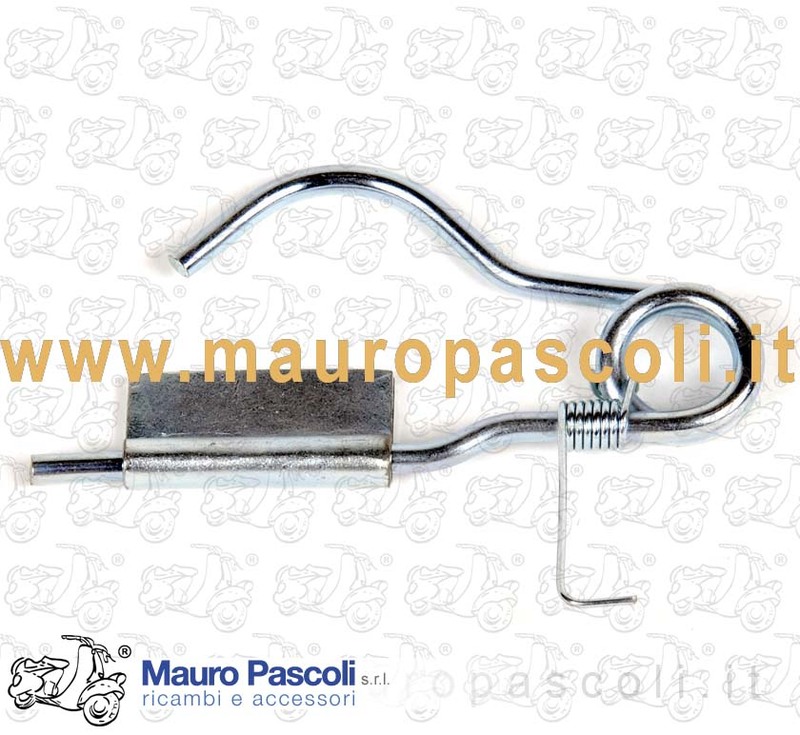 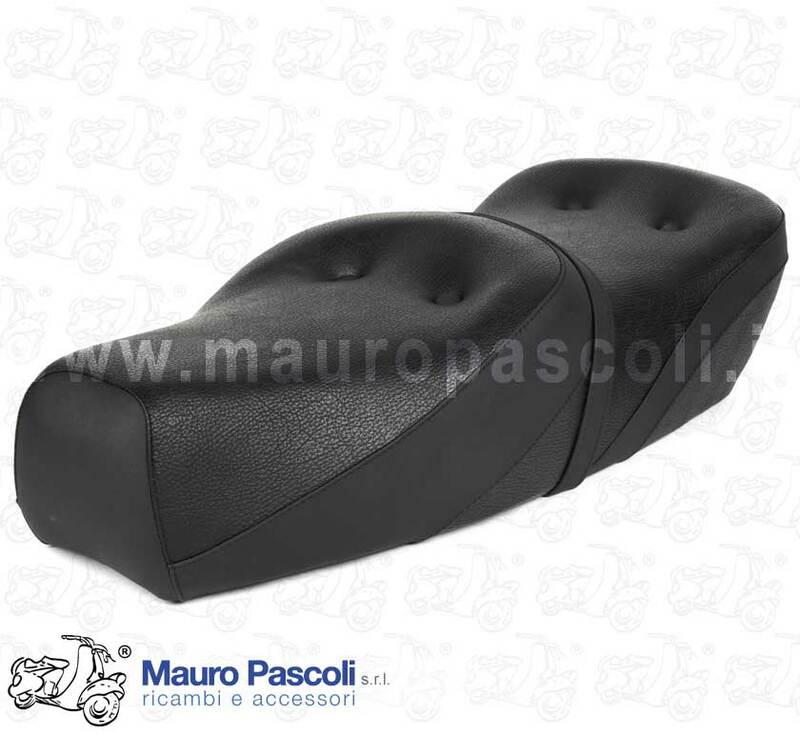 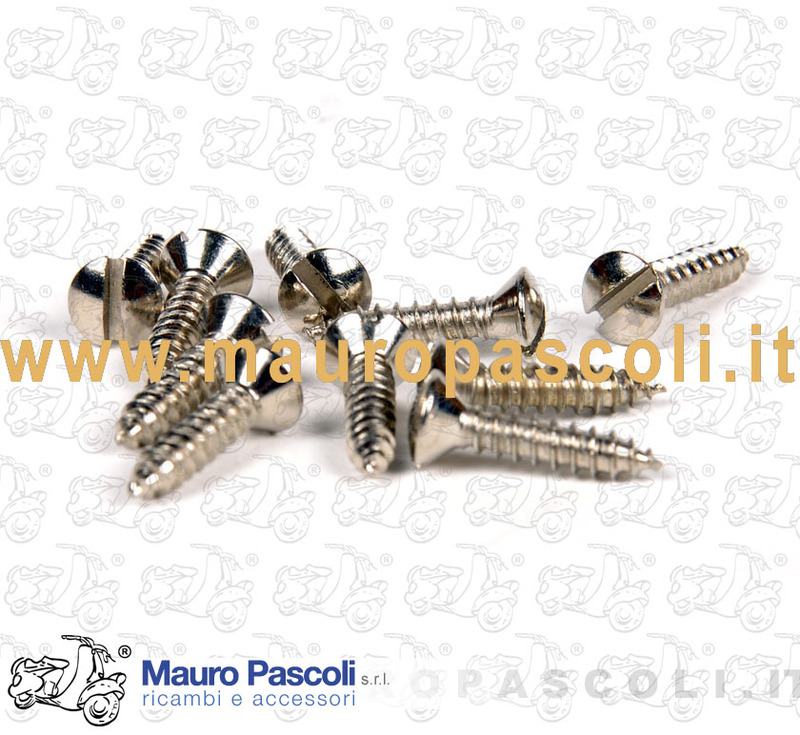 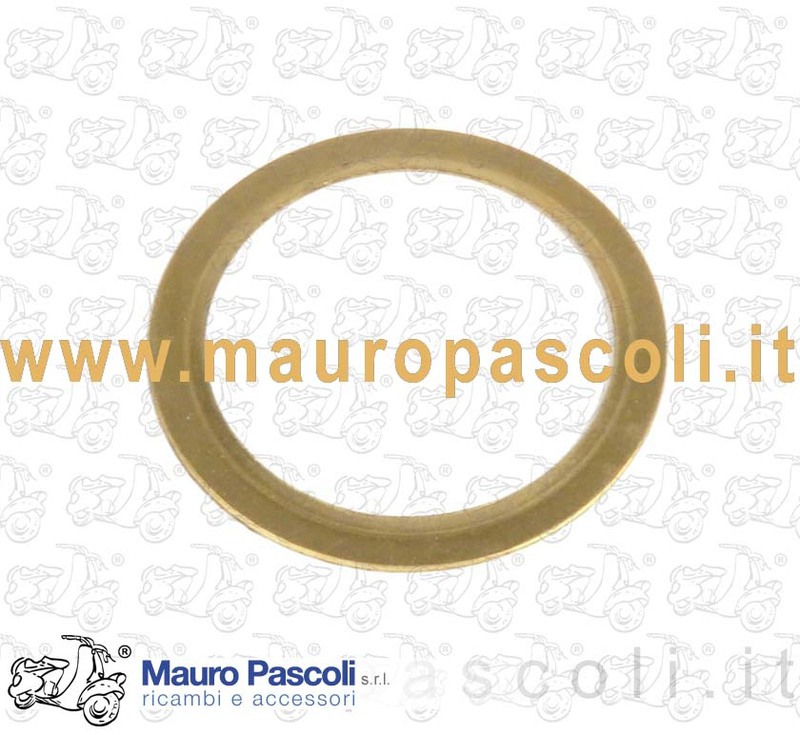 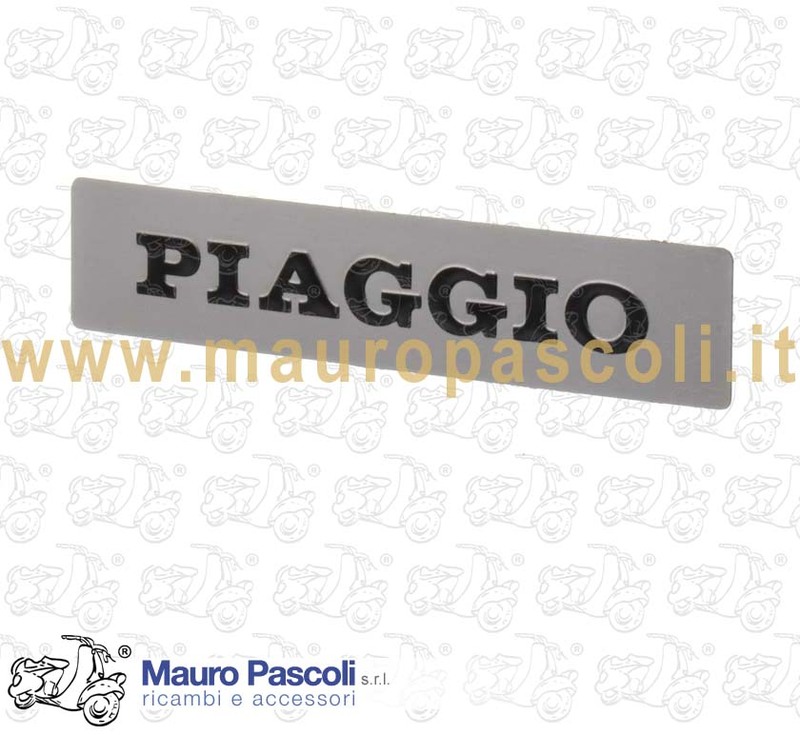 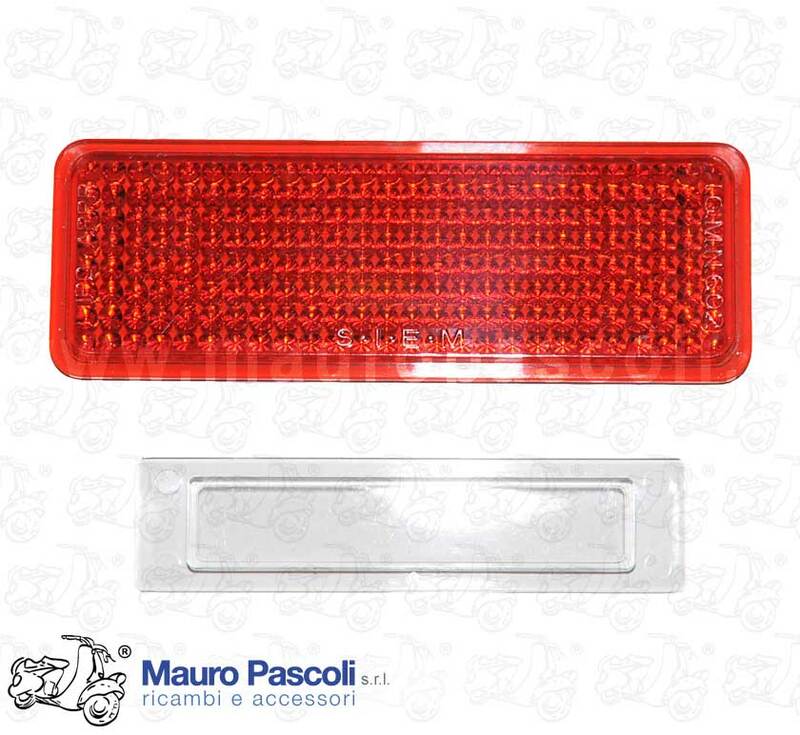 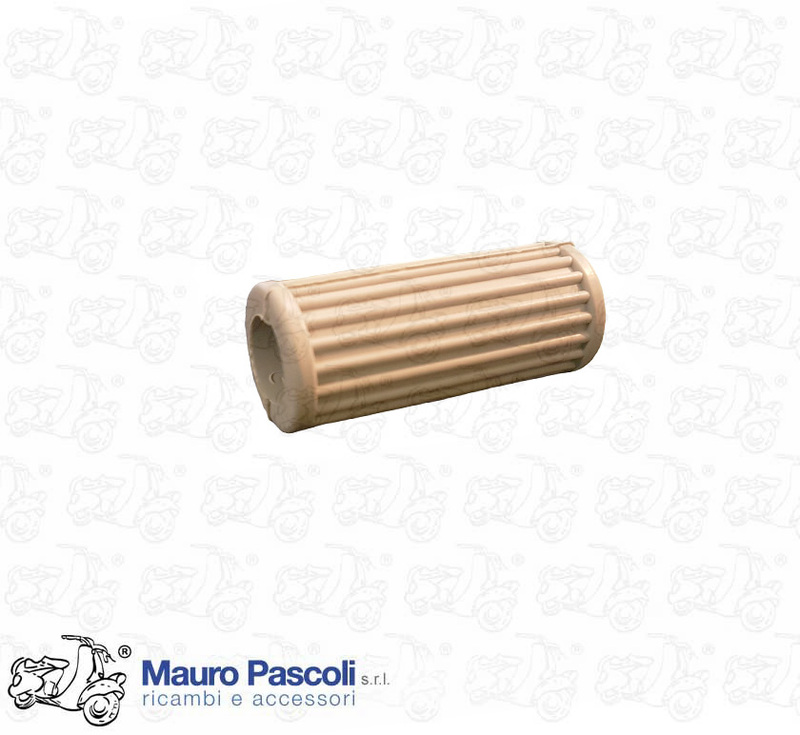 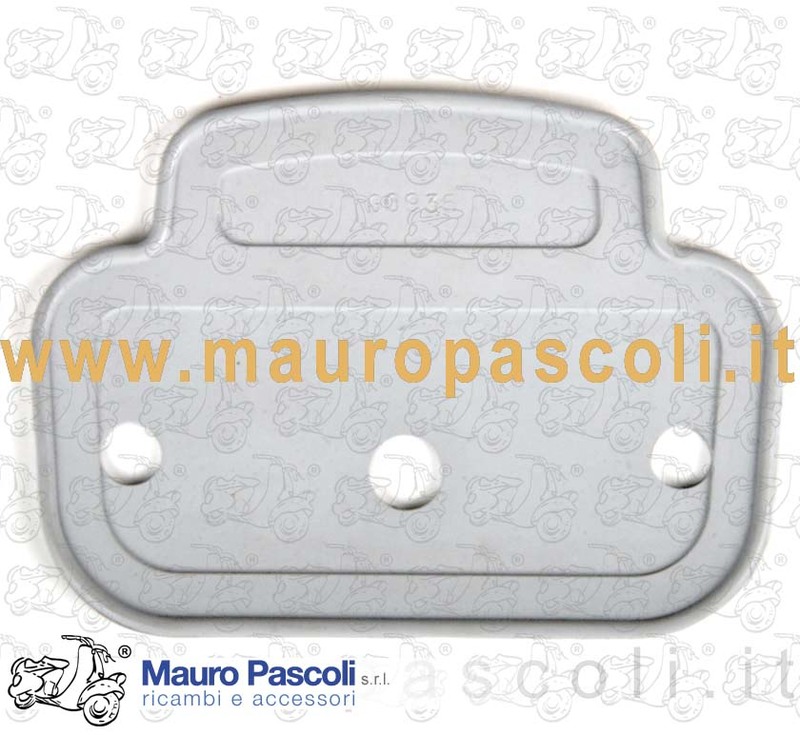 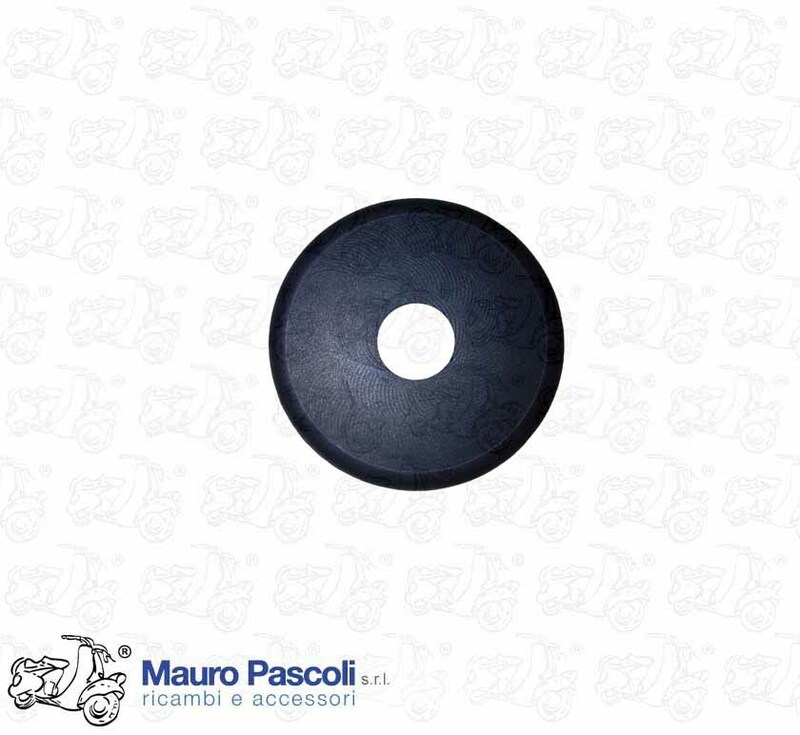 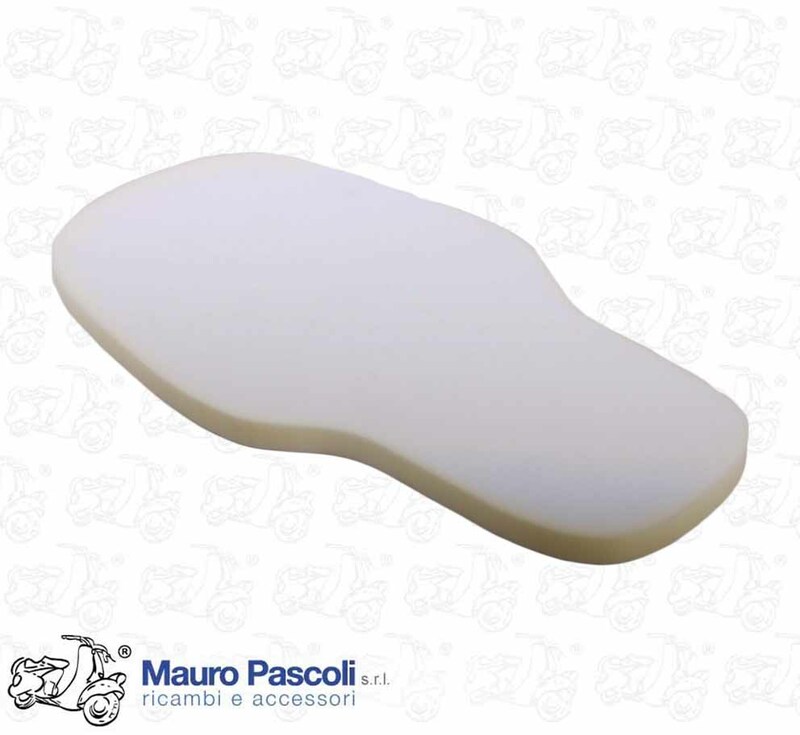 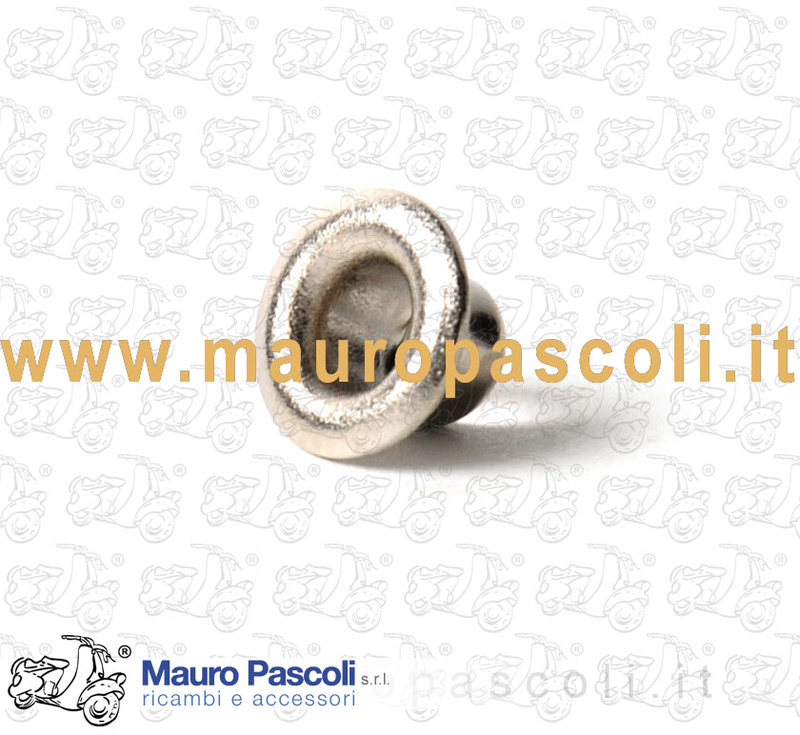 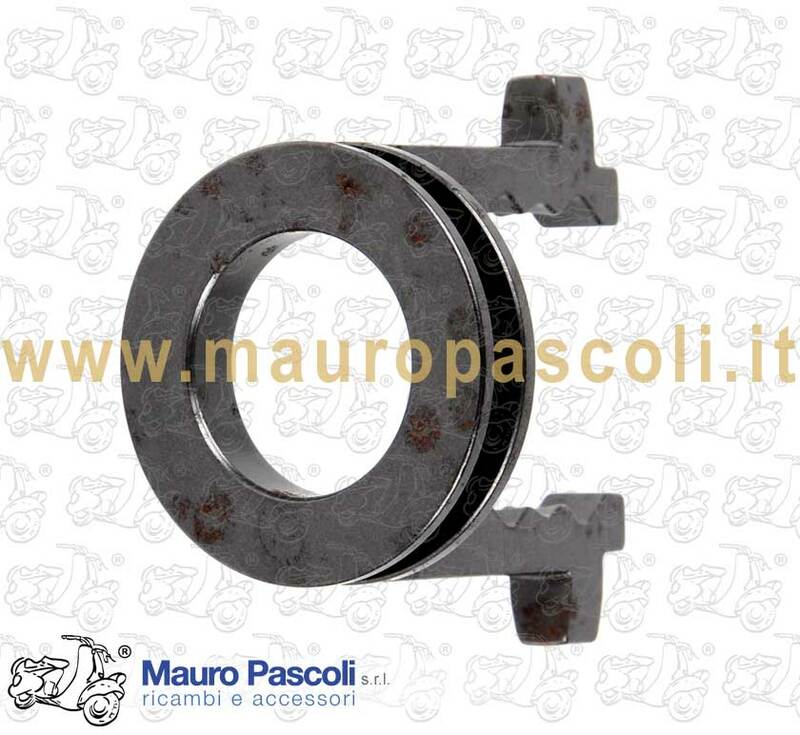 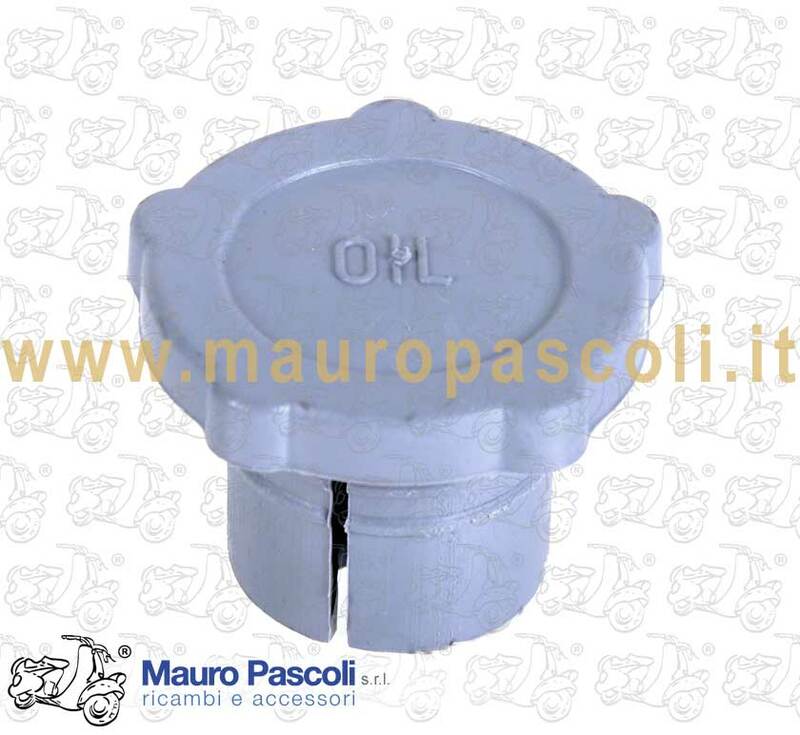 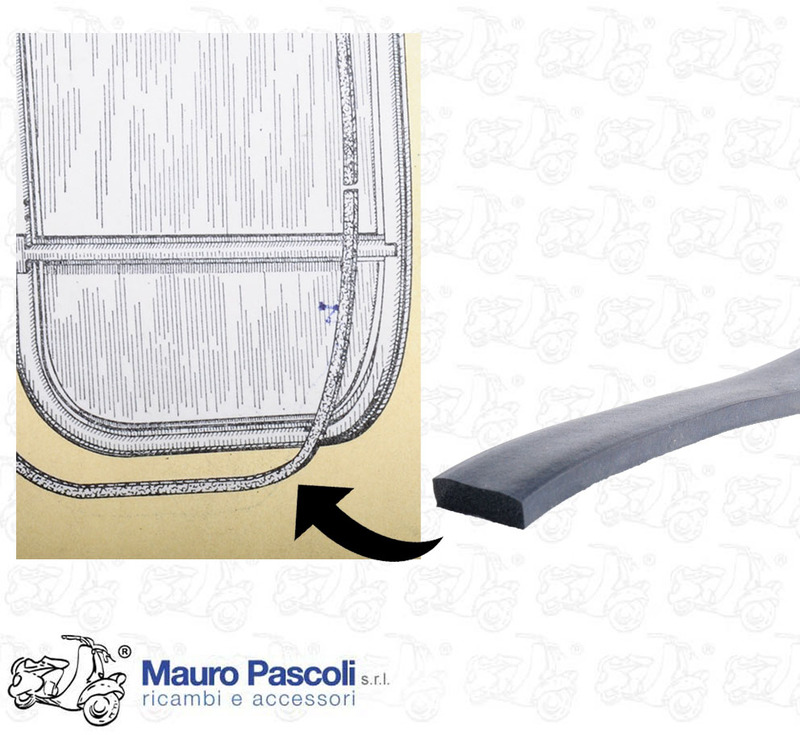 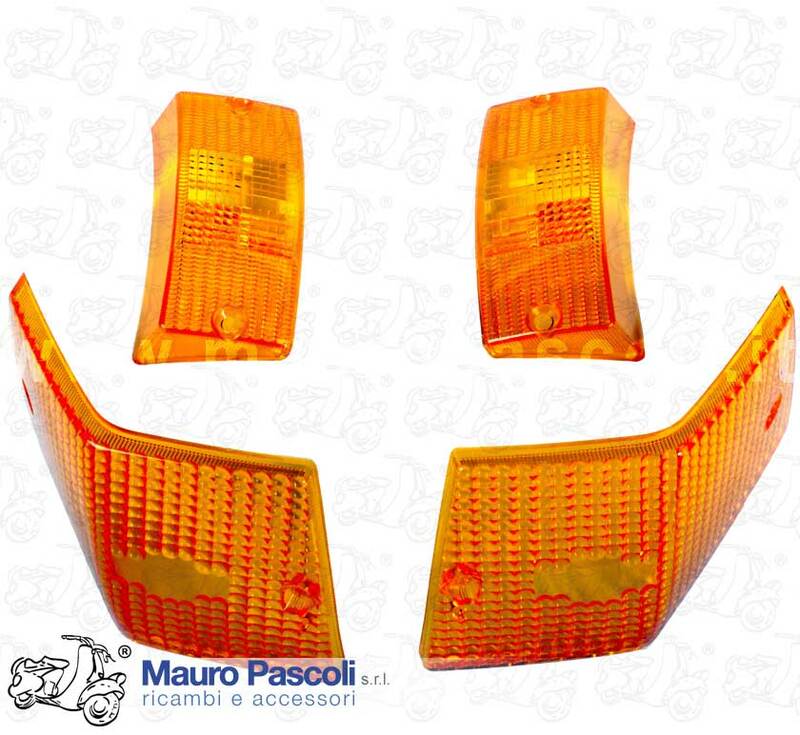 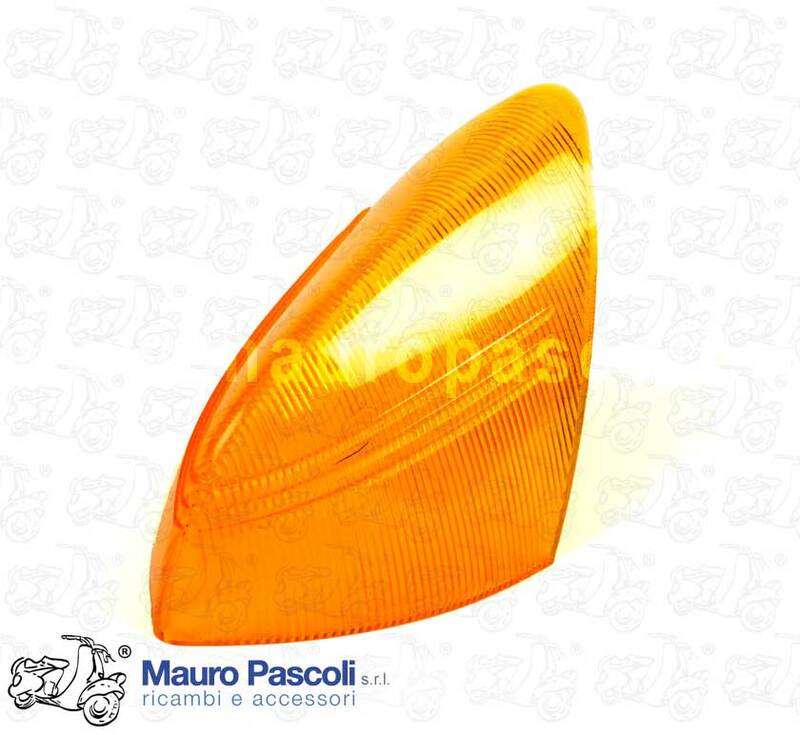 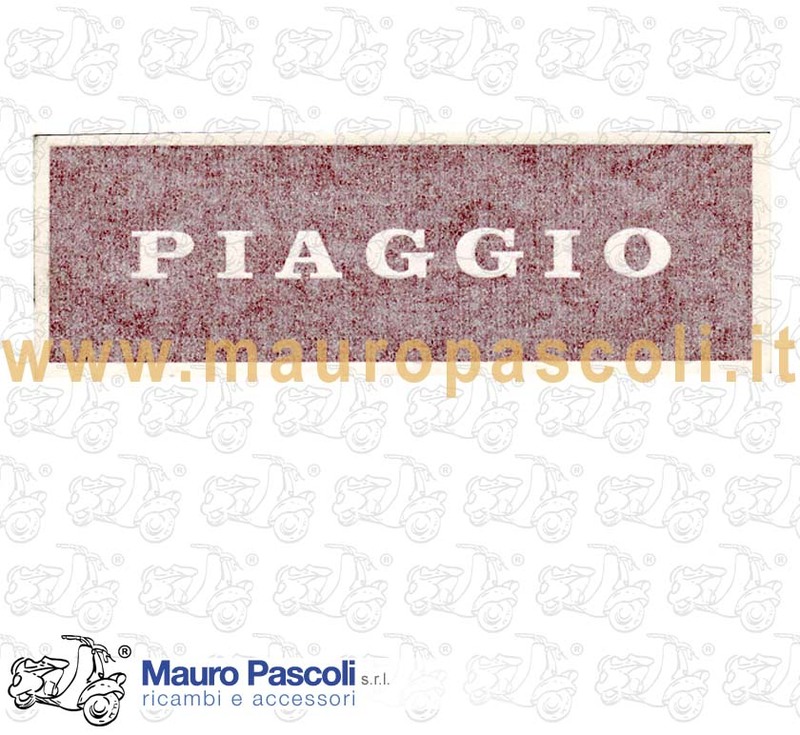 ADATTABILE : VESPA - 125 - V30T - V31T - V32T - V33T - VM1T - VM2T - VN1T > 048592 - VU1T - 150 - VL1T - VL2T > 60740 . 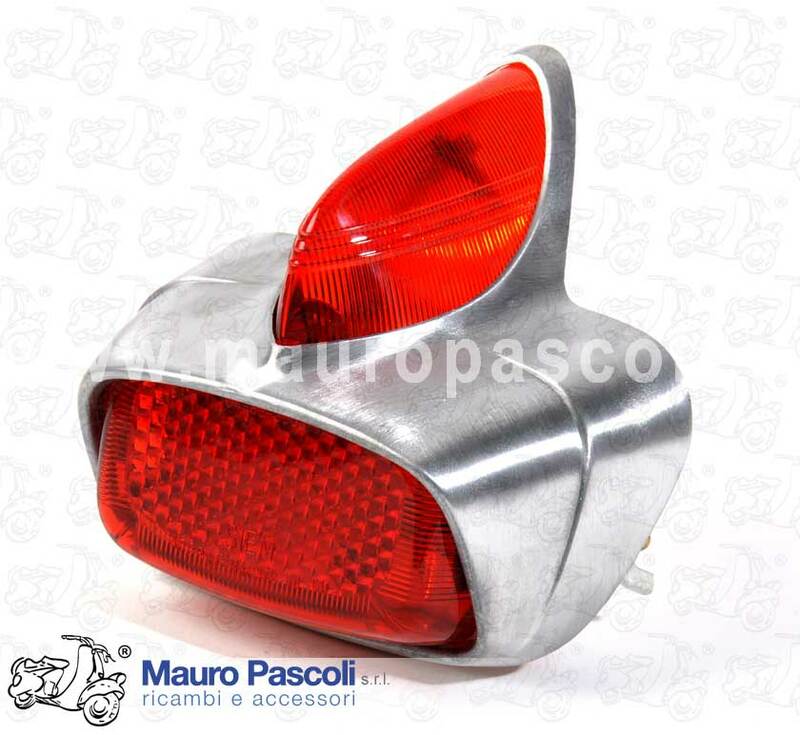 Compatibility: VESPA : MODELLI ARCOBALENO . 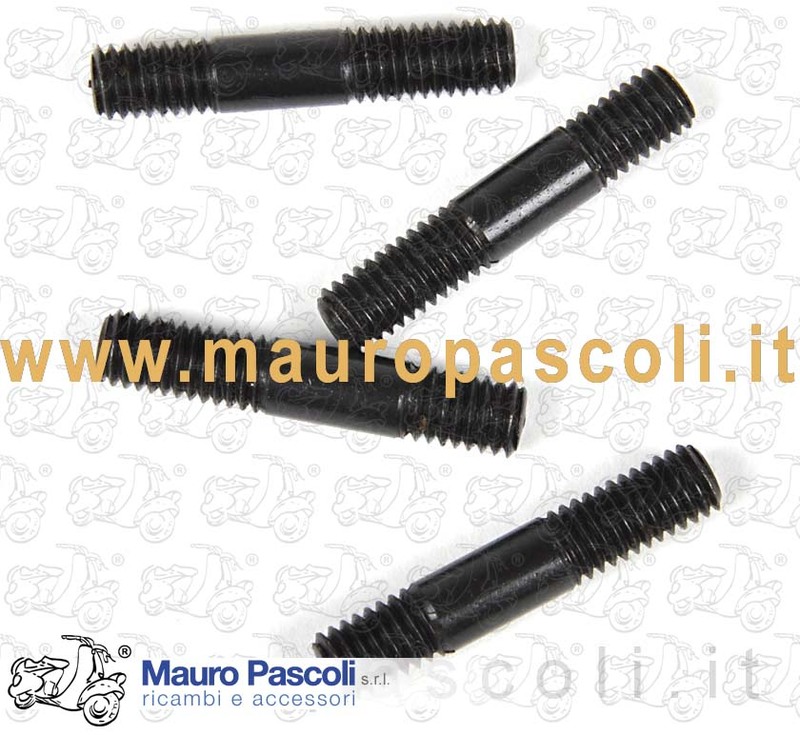 V8X1T - VNX2T - VLX1T - VSX1T. 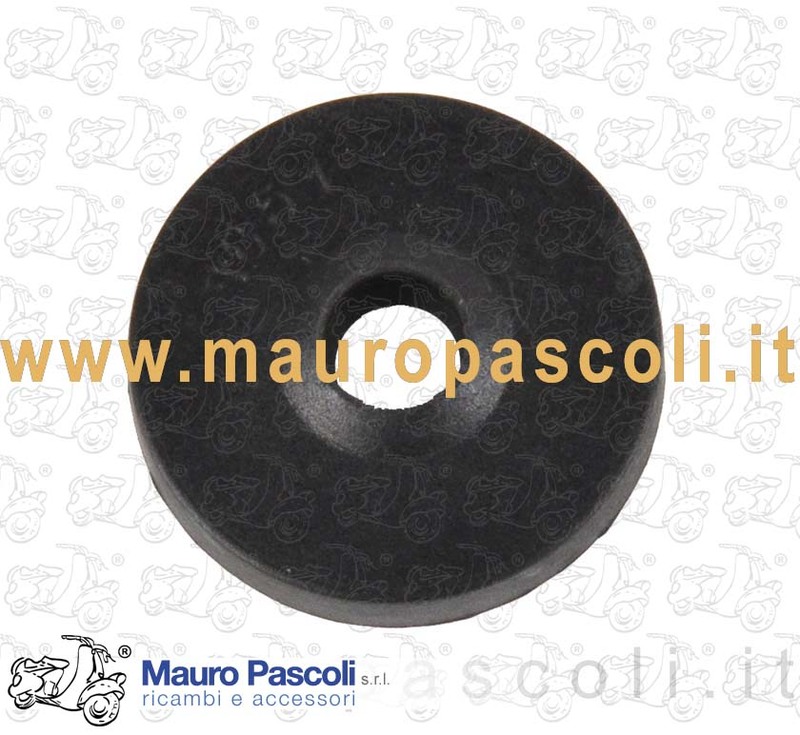 Compatibility: VESPA : V98T - V1T - V11T>15T - V30T>33T - VU1T - APE : A1T-A11T>15T - AB1T - AB2T. 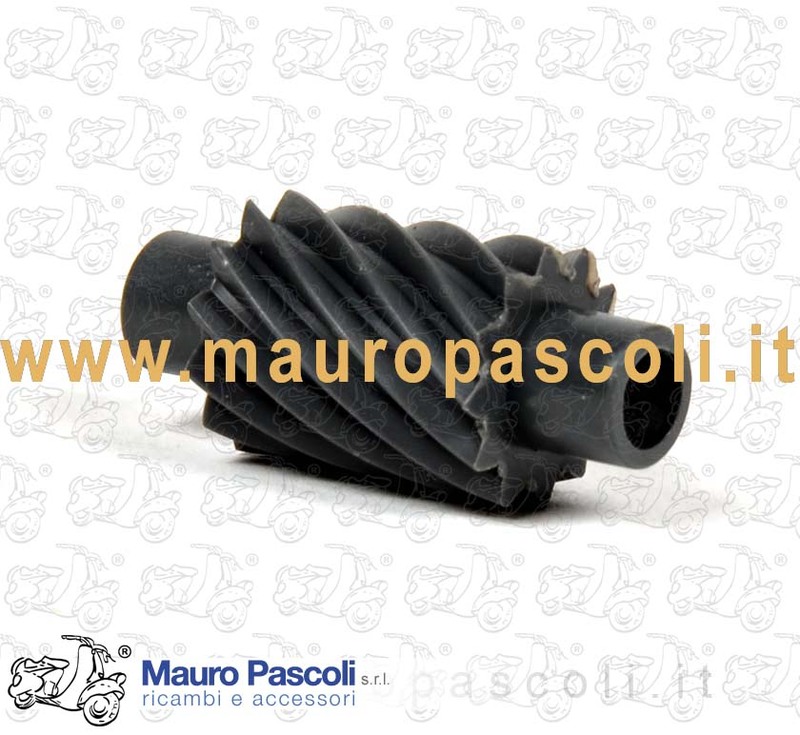 Compatibility: VESPA : V5A1T>3T - V5B1T>4T - V5R1T - V5SA1T - V5SS1T>2T - V5X1T>5T - V5S1T - V8X5T - V8A1T - V9A1T - V9X1T - V9SS1T>2T - VMS1T - VMX1T - VMX5T>6T - VMA1T>2T - VMB1T - APE : TL1T>4T - TL6T - TM1T(125). 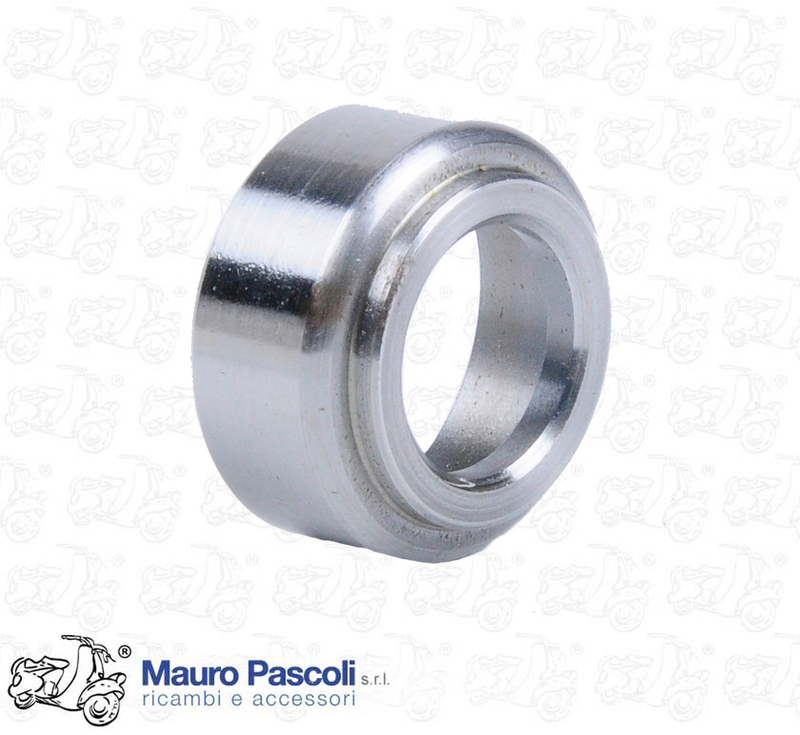 Compatibility: VESPA : V8X1T >40608 - VNA1T>2T - VNB1T>6T - VNC1T - VNL2T>3T - VNX1T - VGLA1T - VGLB1T - VBA1T - VBB1T>2T - VBC1T - VLA1T - VLB1T - VBX1T - VLX1T >346402 - VSB1T - VSC1T - VSD1T - VSE1T - VSX1T >160000. 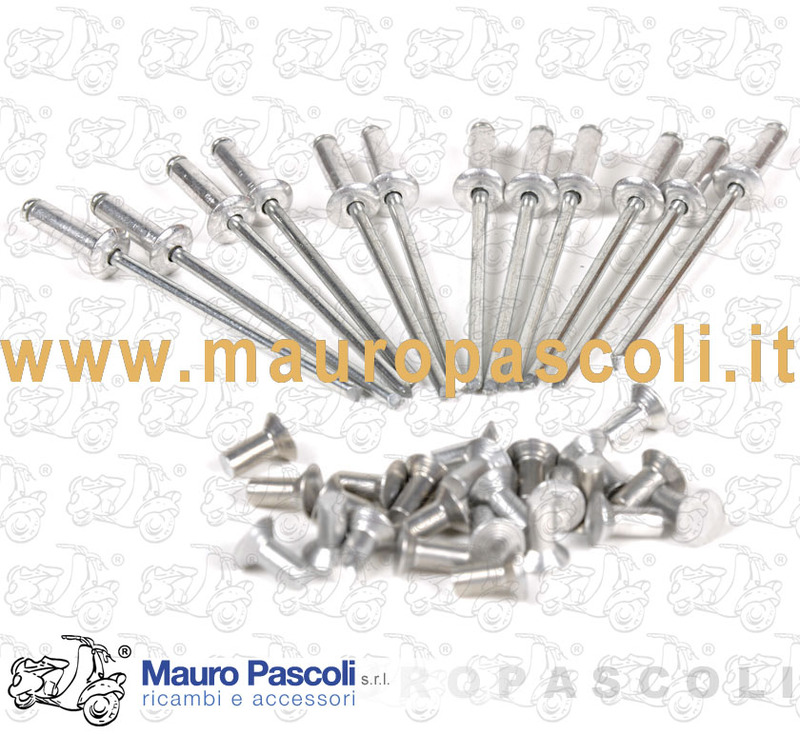 Compatibility: VESPA : V5A1>3T - V5B1>4T - V5R1T - V5SA1T - V5SS1>2T - V5X1>5T - V5N1>2T - V5S1>2T - V5P1>2T - VAS1T - VA51>2T - V8X5T - VA81T - V8A1T - V8X1T - V9A1T - V9X1T - V9SS1>2T - VAM1T - VVM1>2T - VMS1T - VMX1T - VMX5>7T - VMA1>2T - VMB1T - VNA1>2T - VNB1>6T - VNC1T - VNL2>3T - VNX1>2T>FD - ZAP M093 EURO1>2 2004 - ZAP M741 EURO3 2011 - VNX5T - VNR1>2T - VBA1T - VBB1>2T - VBC1T - VLA1T - VLB1>2T - VBX1T - VLX1T>-FD - ZAP M094 EURO1 2004 - ZAP M094 EURO2 2004 - ZAP M094 EURO2 2007 - ZAP M742 EURO3 2011 - VLR1>2T - VSD1T - VSE1T - VSX1T>FD - VSR1T. 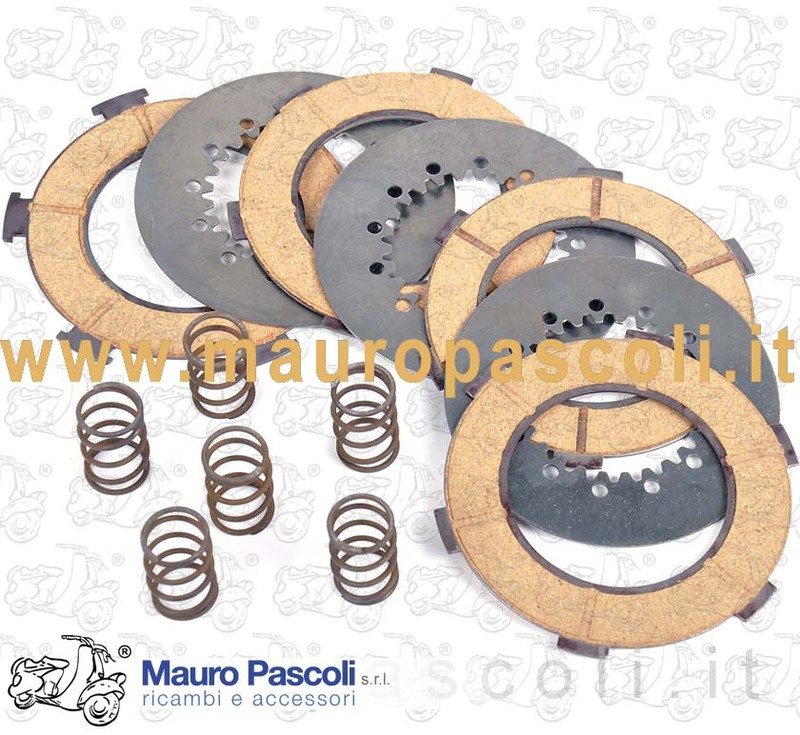 Compatibility: VESPA : VNB3T - VNB4T - VNB5T - VNB6T - VGLA1T - VGLB1T - VBA1T - VBB1T - VBB2T - VS5T 0059311> - APE : AE01T - AE1T - AD1T - PENTARO : APC1T. 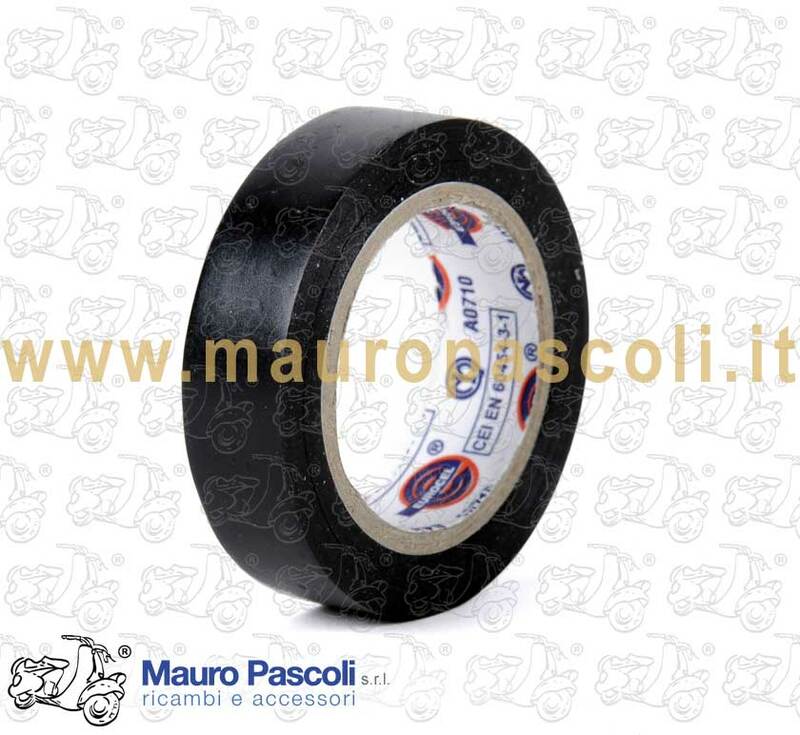 Compatibility: VESPA : VM1T>2T - VN1T>2T - VL1T>3T - VGL1T - VB1T - VS1T>5T - APE : AB1T>4T - PENTARO : APA1T - APB1T. 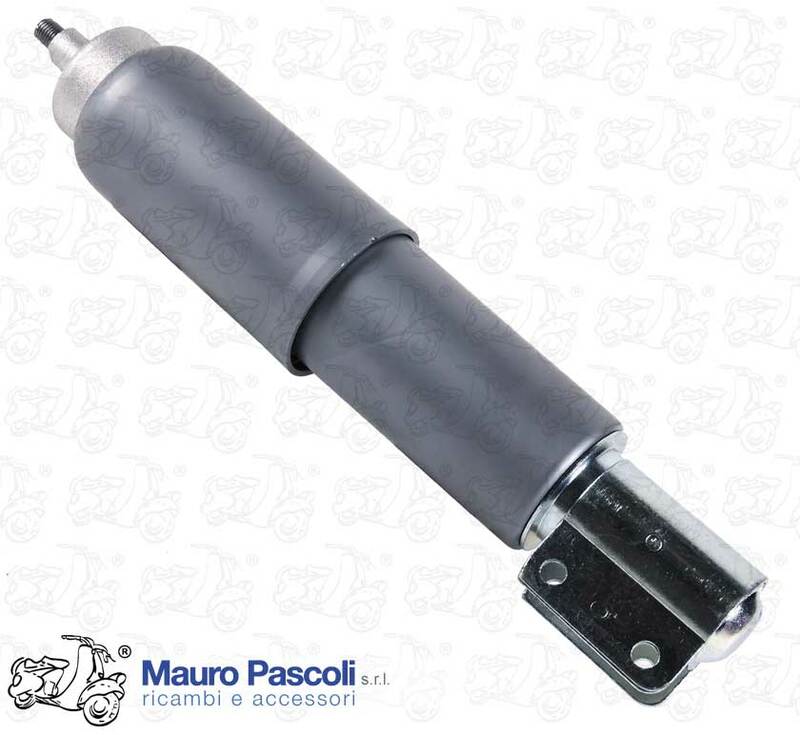 Compatibility: VESPA : VSB1T - VSC1T - APE : AE01T>2T - AE1T>3T - AD1T>2T - MPR1T>2T - MPP1T - MPA1T - MPV1T>2T - MPM1T>2T - MPMC1T - MPF1T - AF1T. 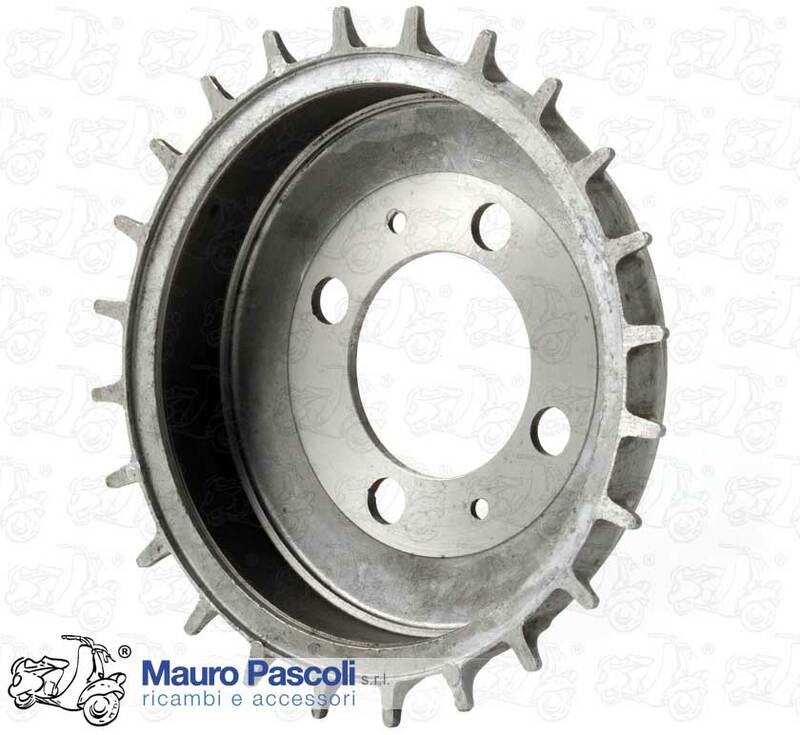 Compatibility: VESPA : V98T - V1T>15T - V30T>33T - VU1T - APE : A1T>15T. 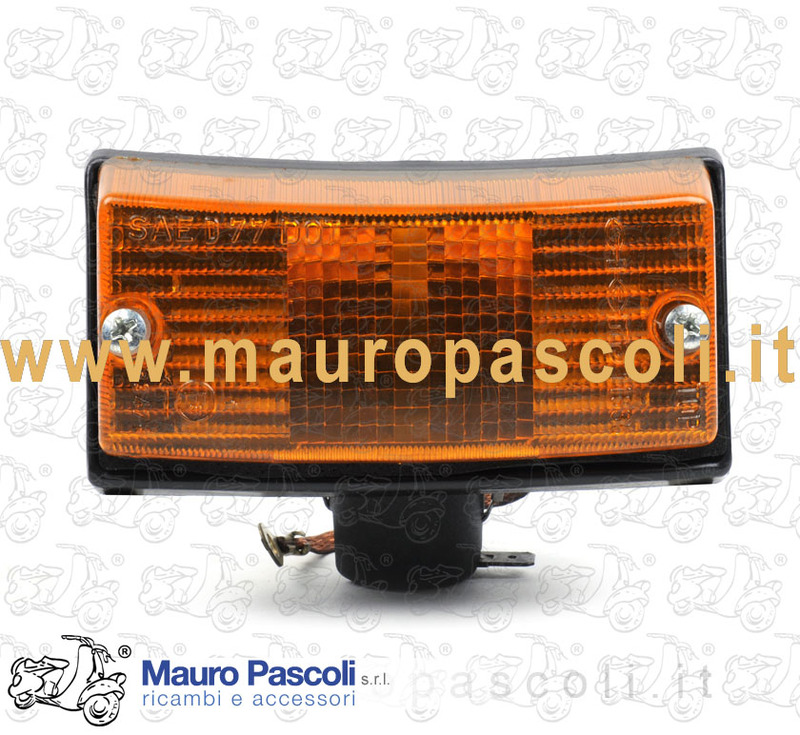 Compatibility: VESPA : V30T>33T - VU1T - VM1T>2T - VN1T>2T - VNA1T>2T - VNB1T>6T - VNC1T - VL1T>3T - VGL1T - VGLA1T - VGLB1T - VB1T - VBA1T - VBB1T>2T - VS1T>5T - VSB1T. 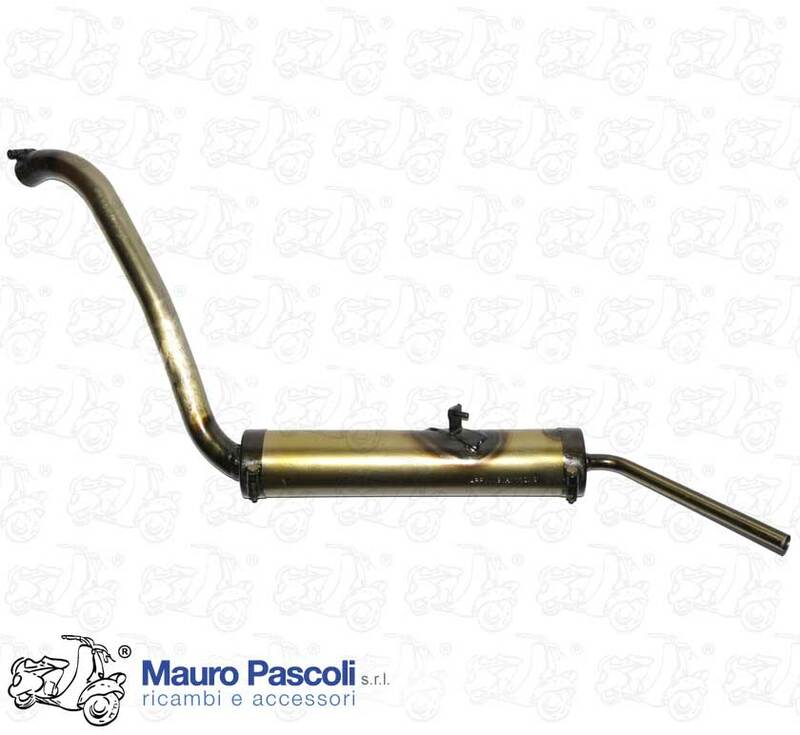 Compatibility: VESPA : V5A1T>3T - V5B1T>4T - V5R1T - V5SA1T - V5SS1T>2T - V9A1T - V9SS1T>2T - VMA1T>2T - VMB1T - VNC1T - VNL2T>3T - VBC1T - VLA1T - VLB1T>2T - VSC1T - VSD1T - VSE1T. 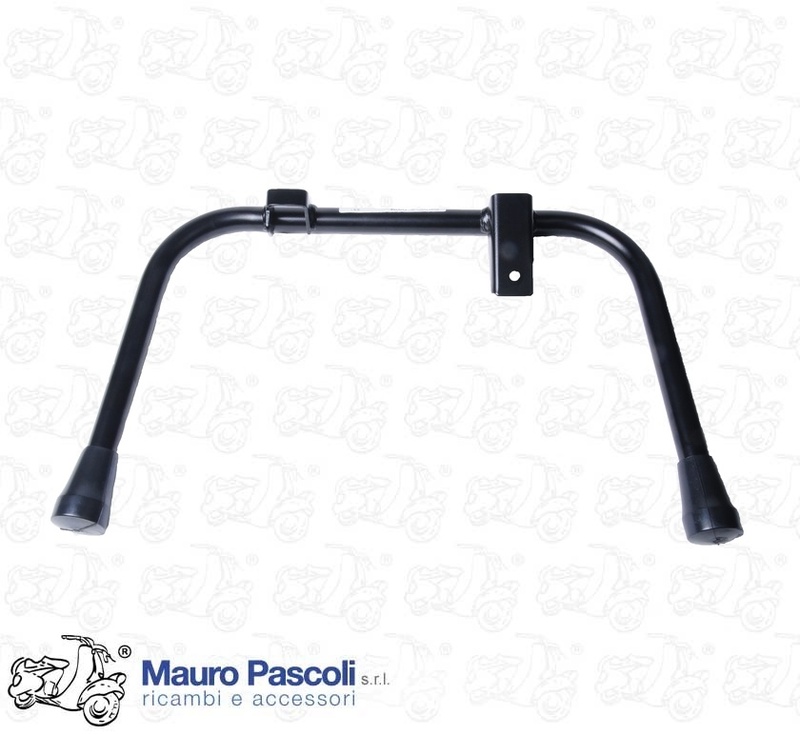 Compatibility: VESPA : V5B1T>3T - V8A1T - V9SS2T - VMA1T>2T - VMB1T - VNC1T - VNL2T - VBC1T - VS5T - VLA1T - VLB1T>2T. 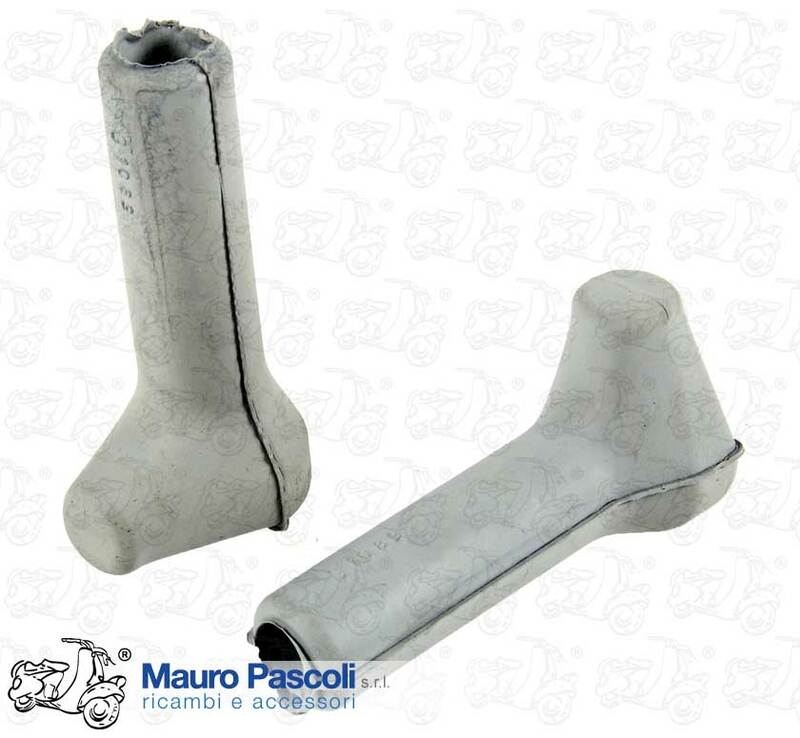 body only, Aluminum, Ø 105mm. 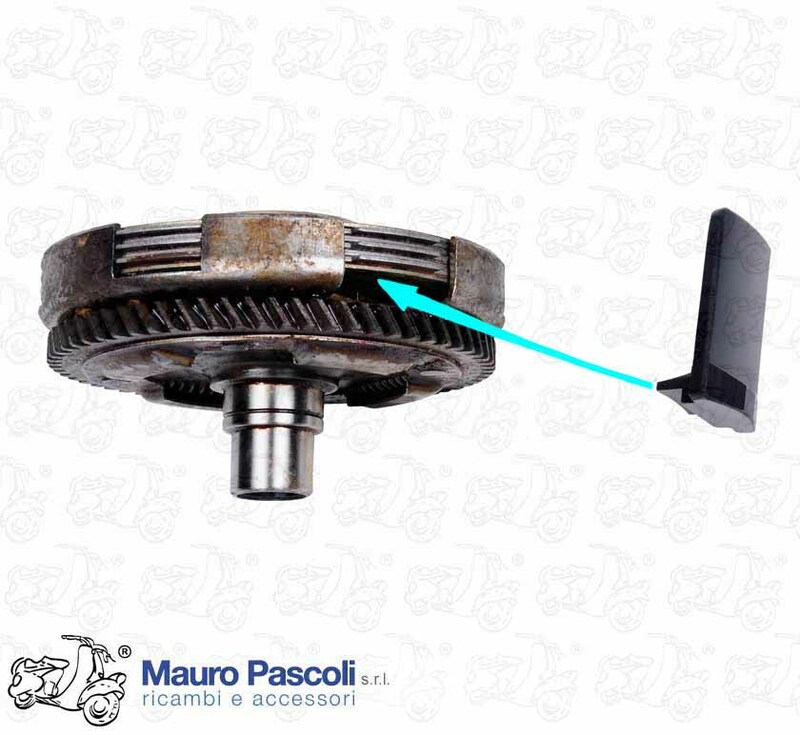 Compatibility: VESPA : VM1T - APE : AB1T>3T. 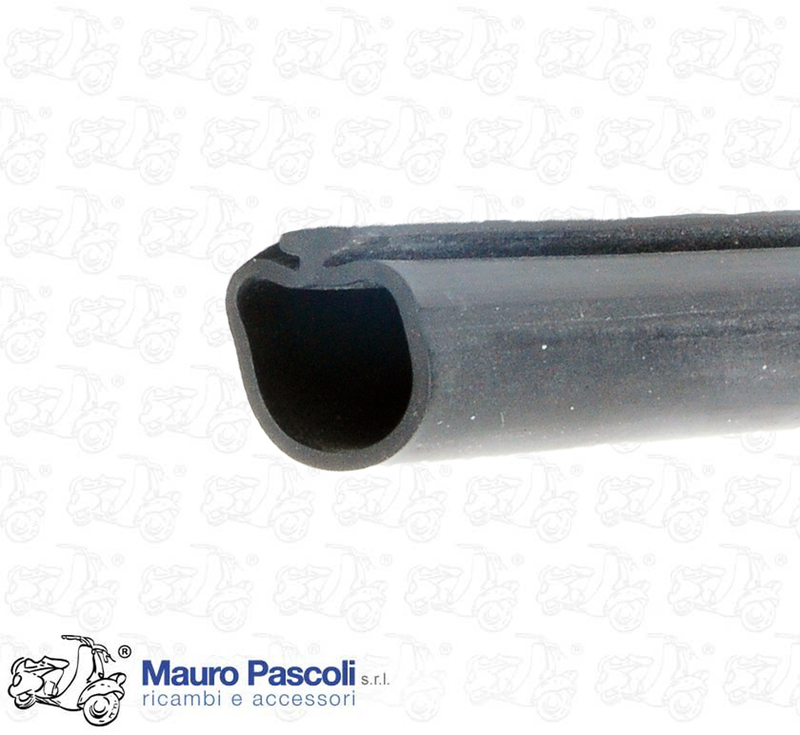 ADATTABILE : APE - AB4T.